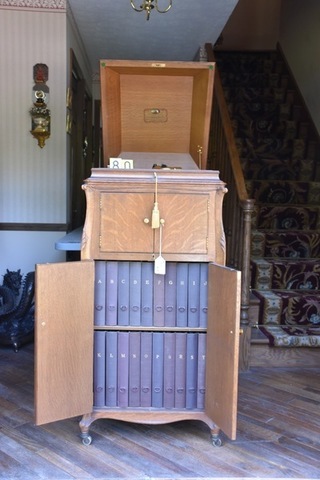 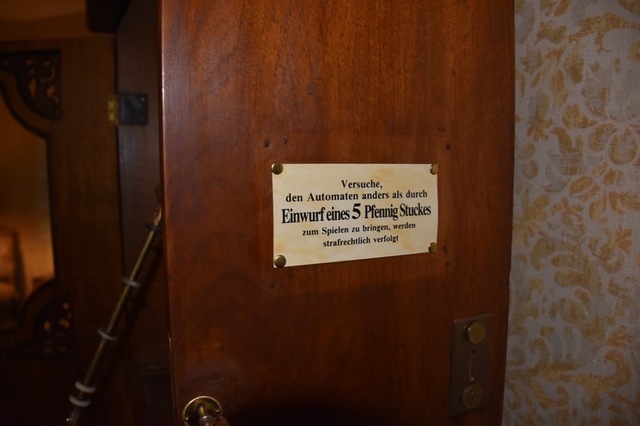 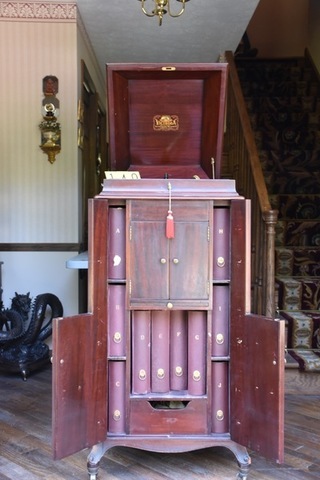 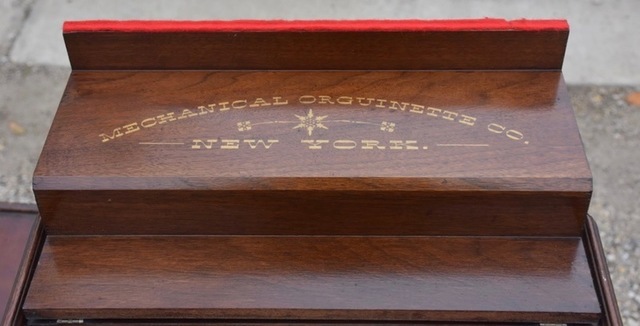 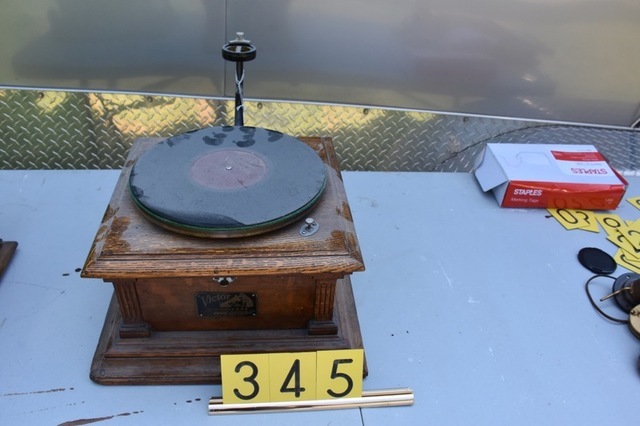 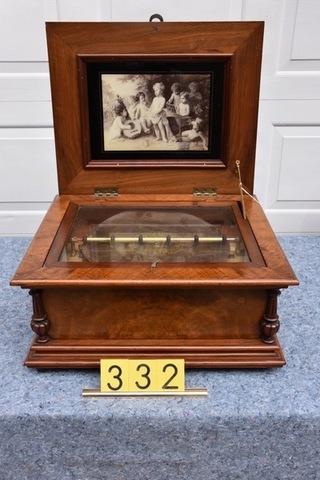 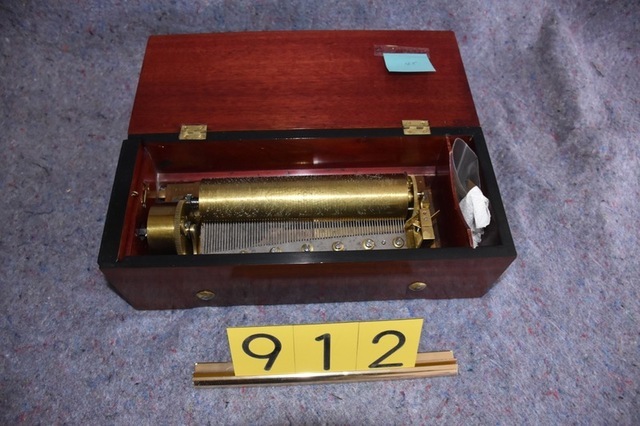 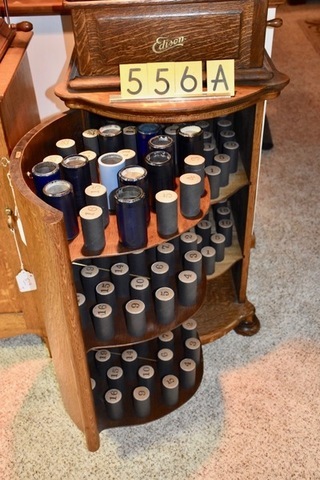 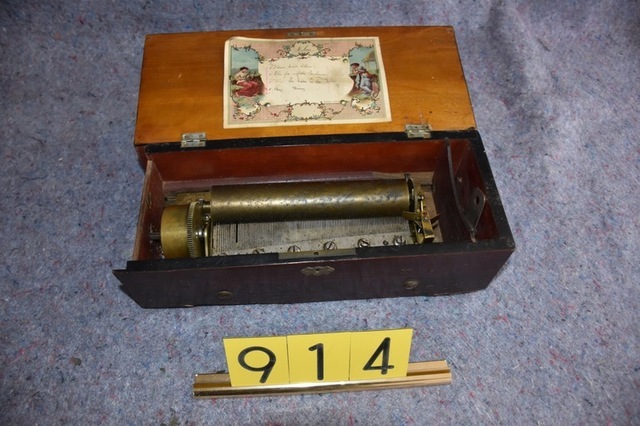 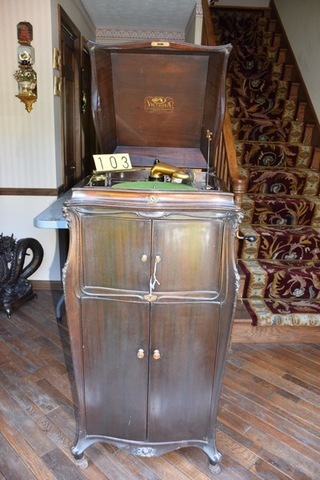 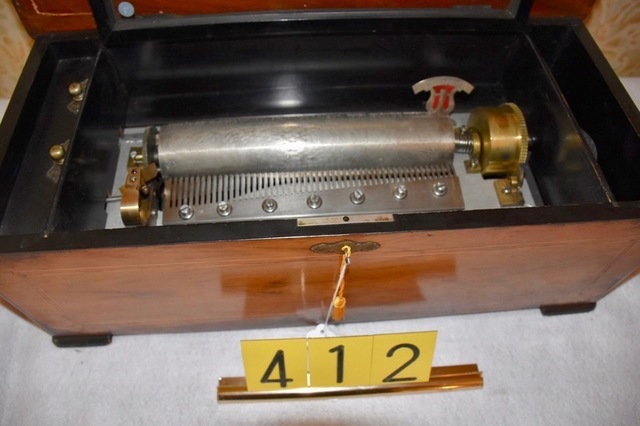 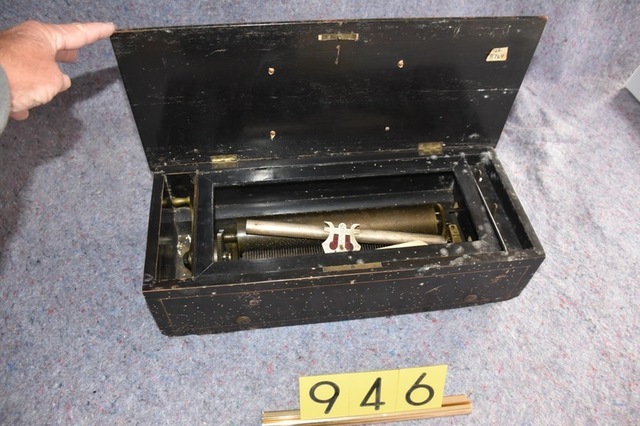 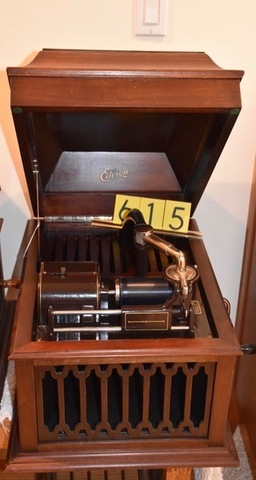 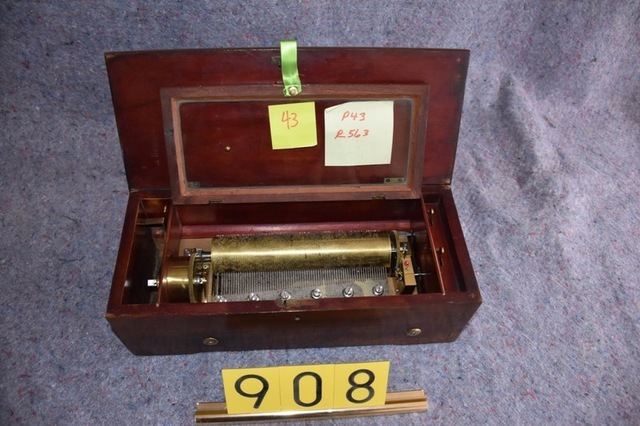 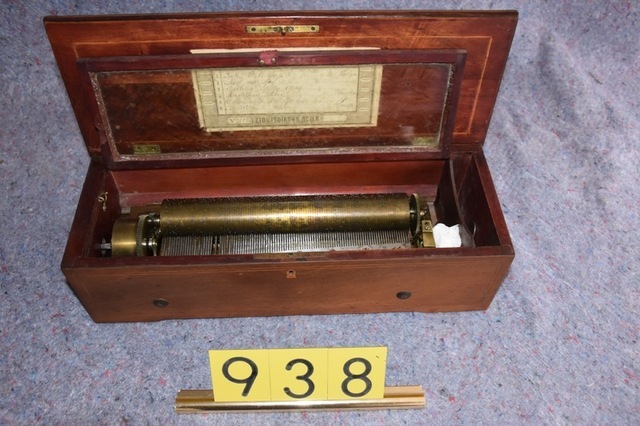 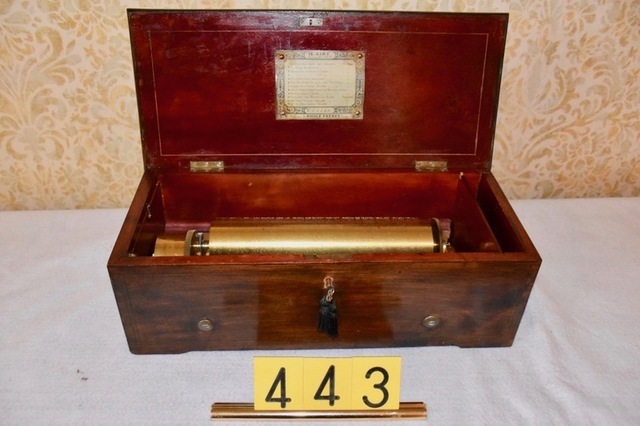 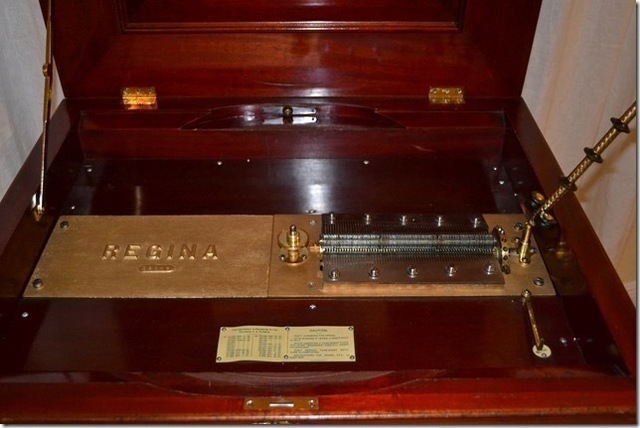 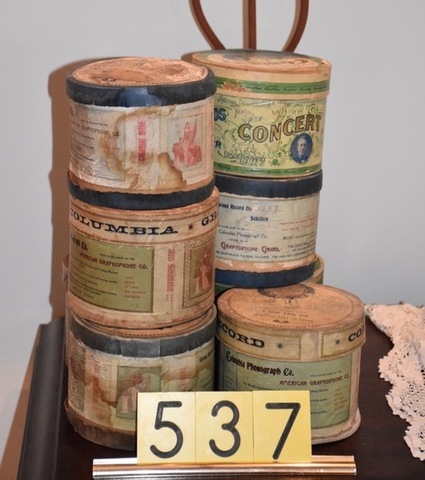 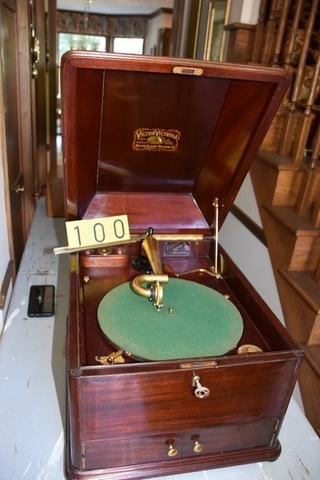 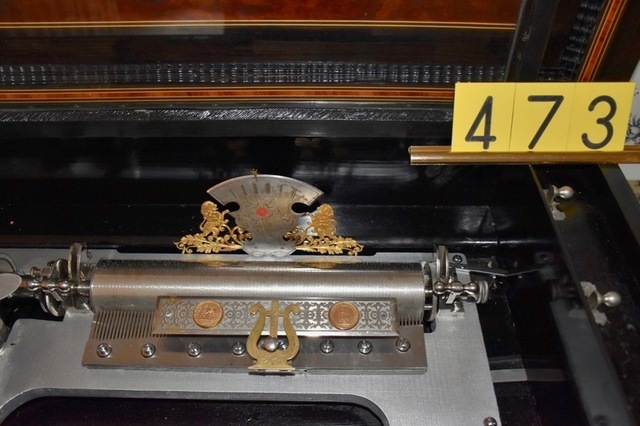 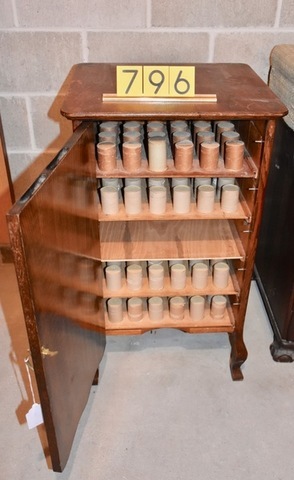 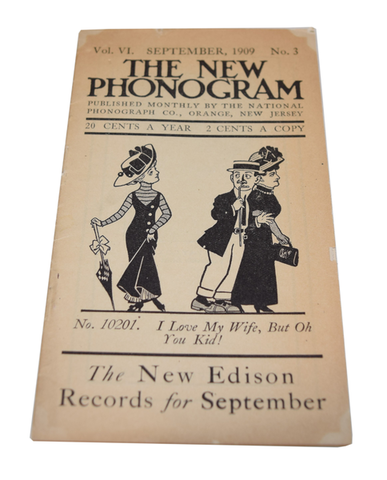 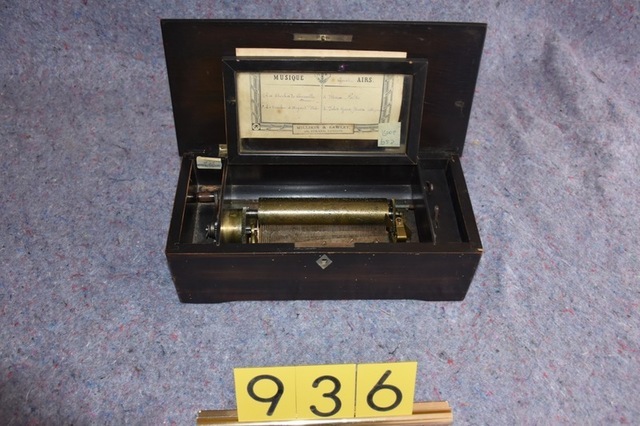 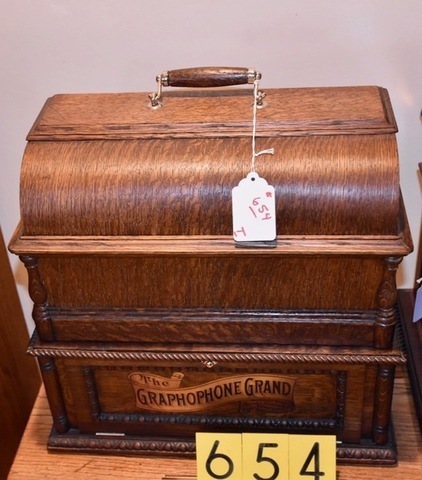 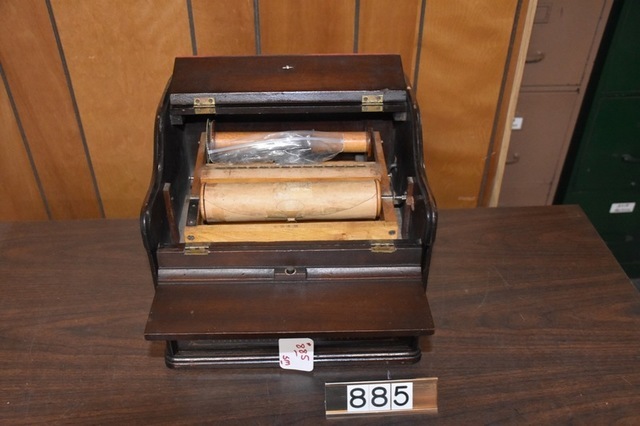 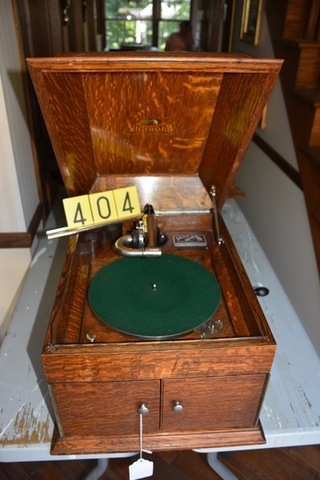 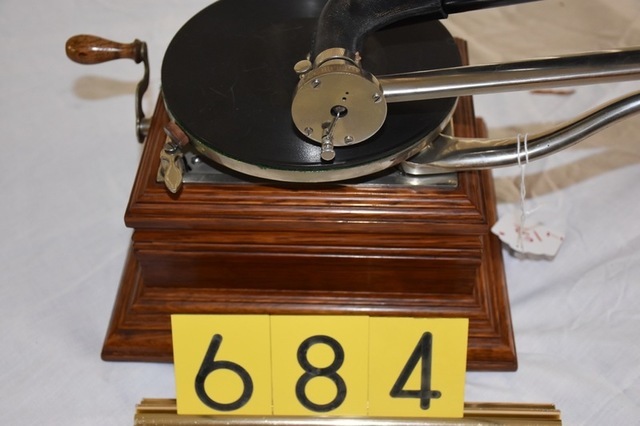 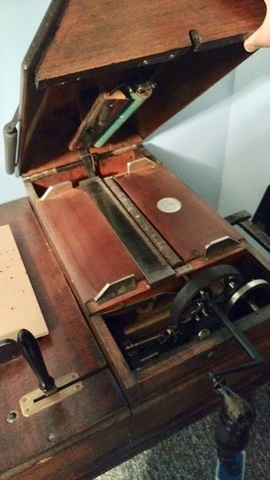 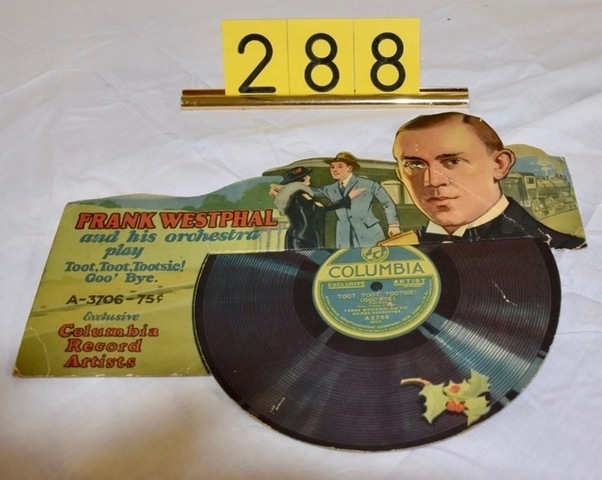 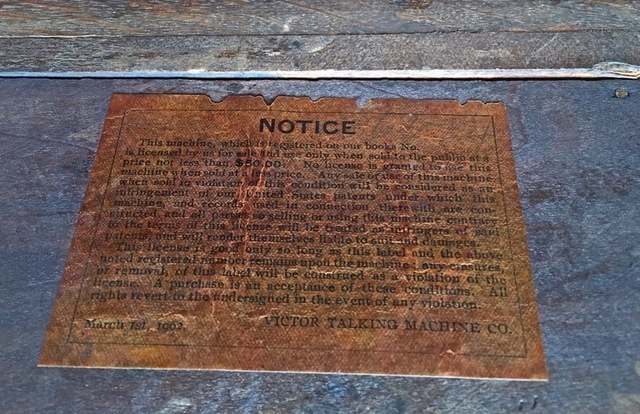 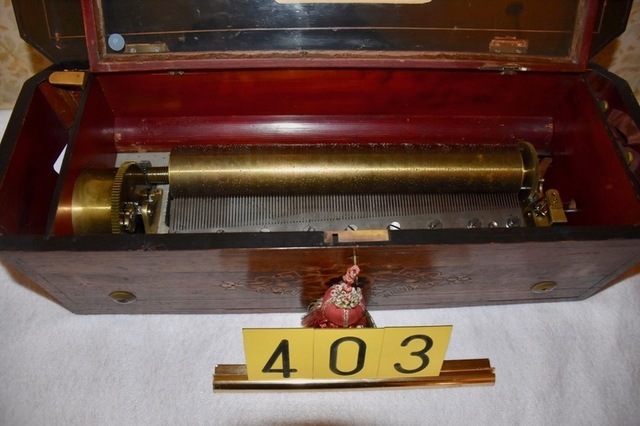 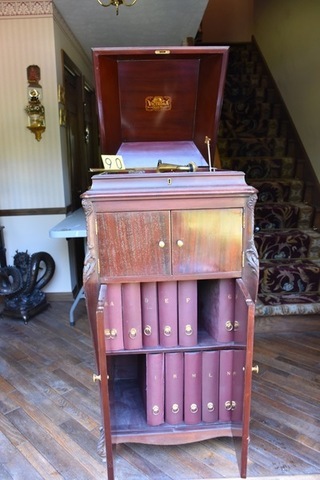 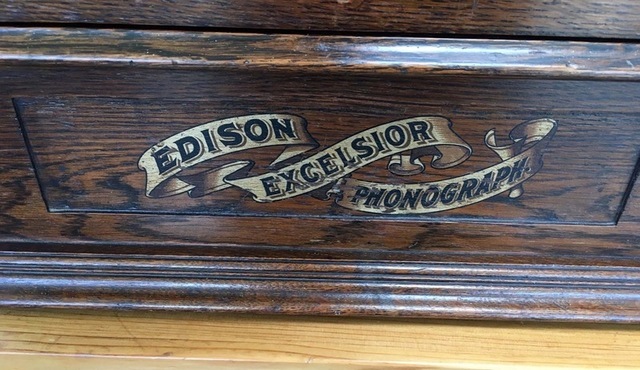 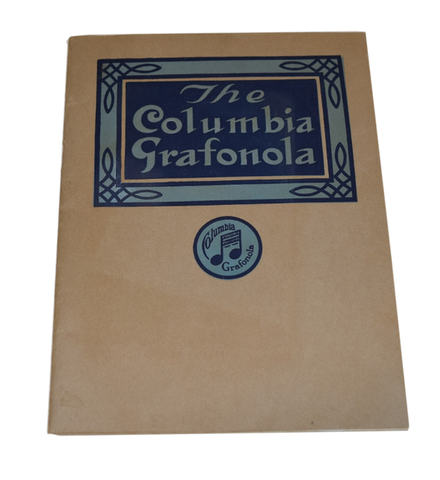 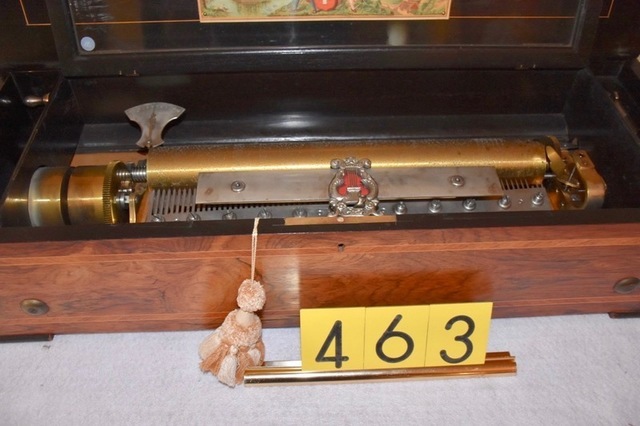 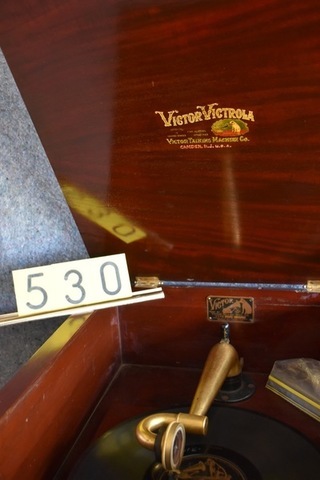 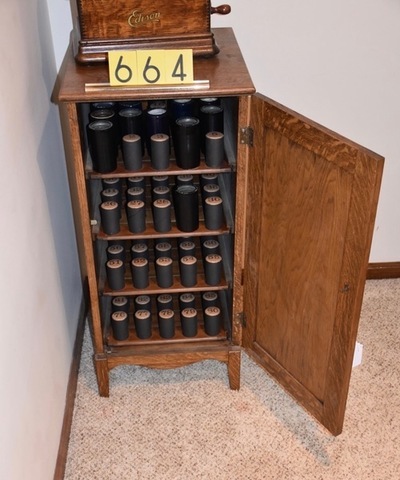 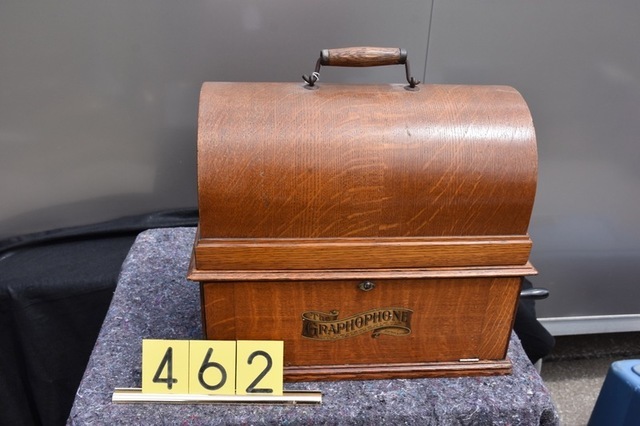 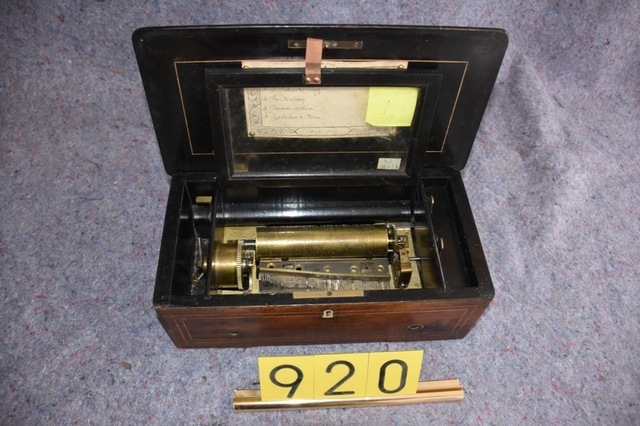 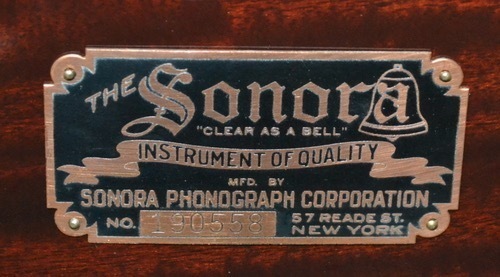 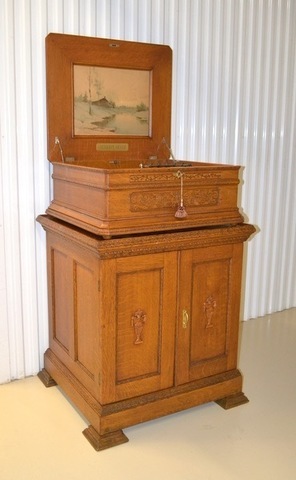 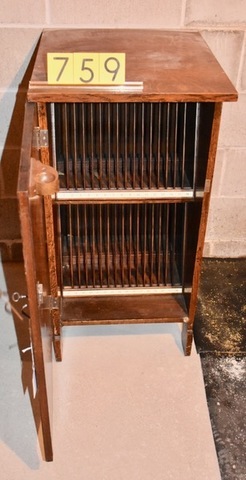 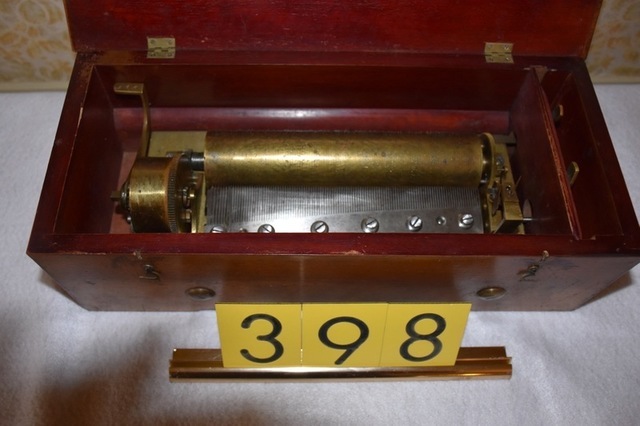 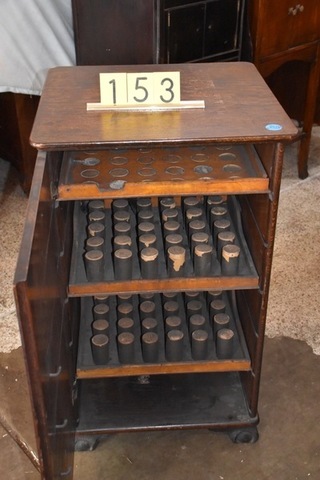 1,050 pictures w/Orchestrions to music boxes, 100’s of phonographs, roller organs, records, juke boxes, POSTED. 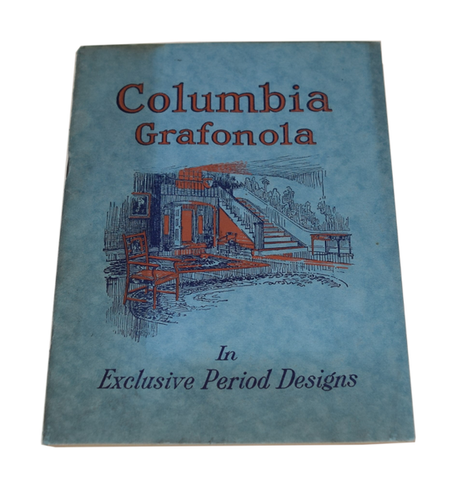 10-25 THE CATALOG NOW POSTED UNDER DOCUMENTS. 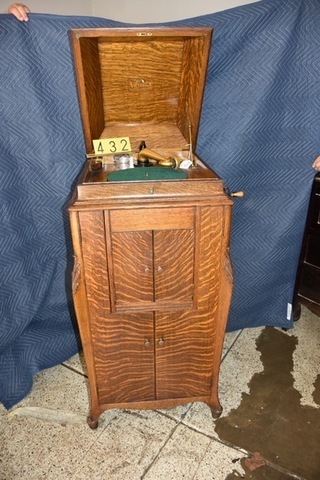 11-1 MORE Addendum pictures just posted, more to come. 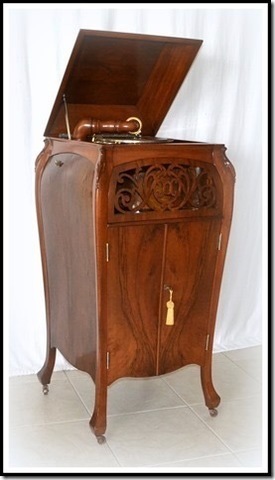 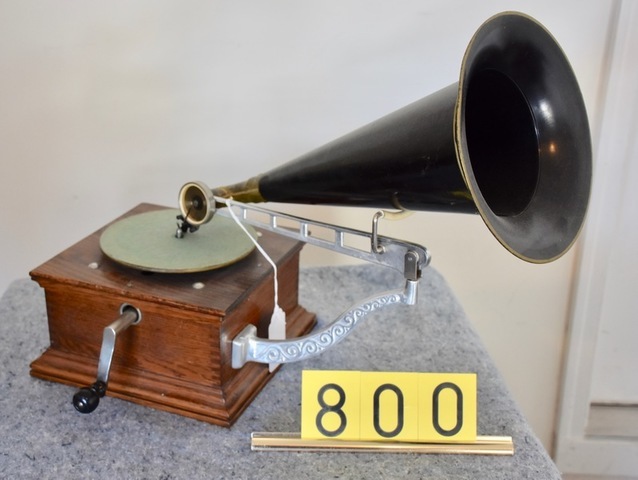 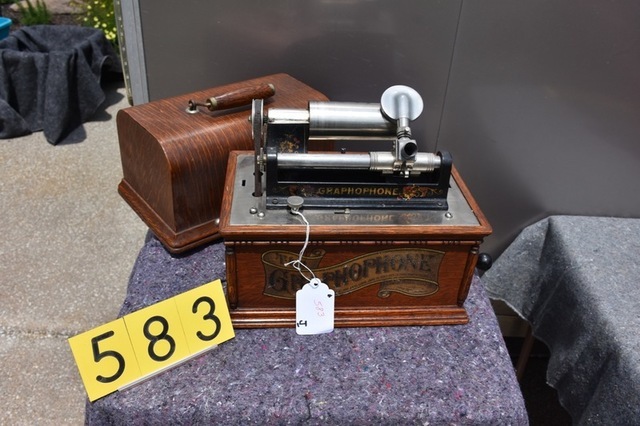 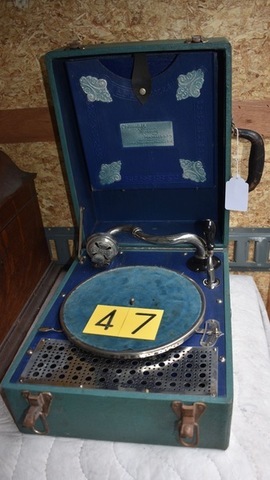 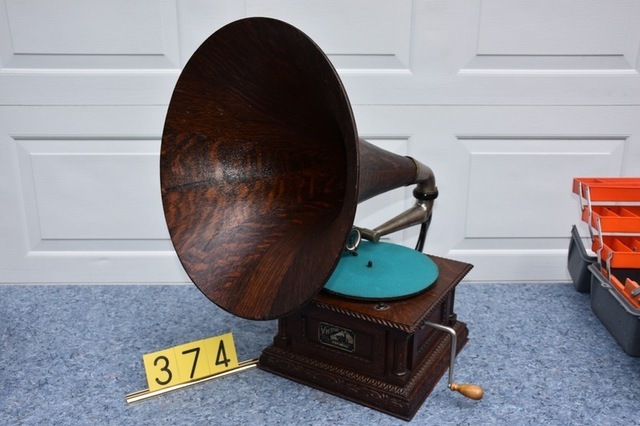 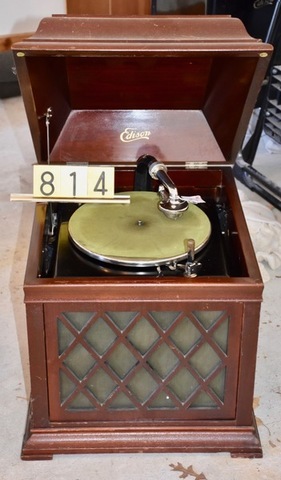 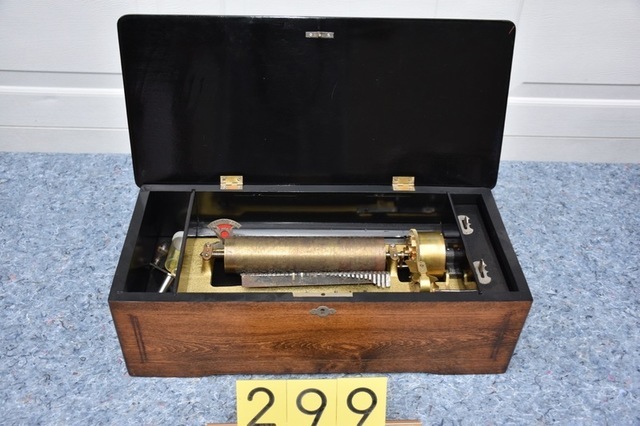 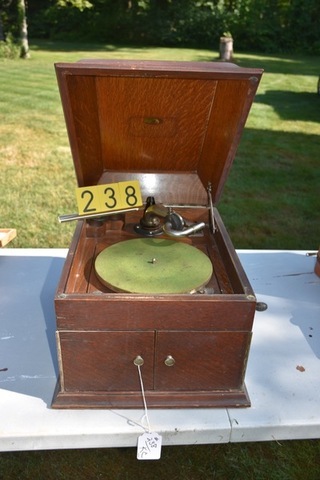 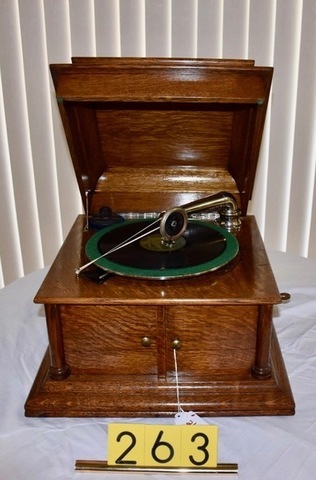 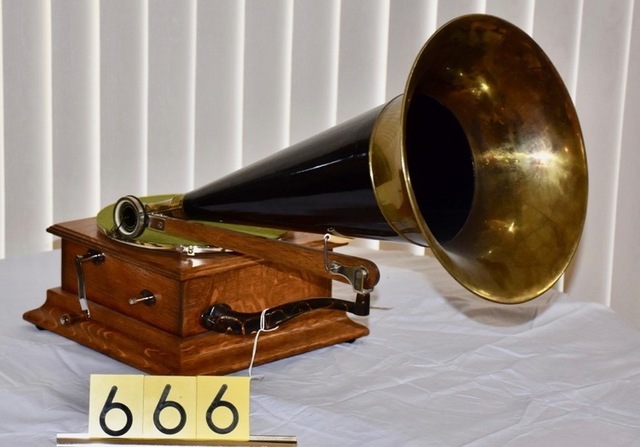 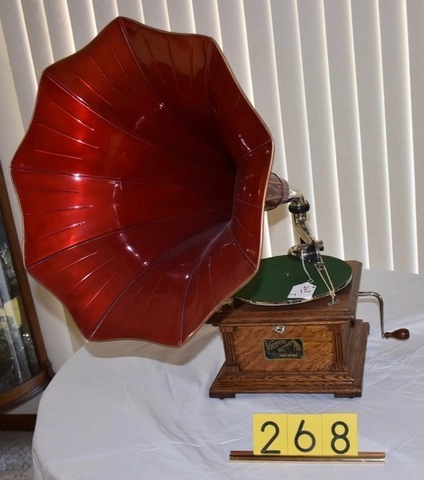 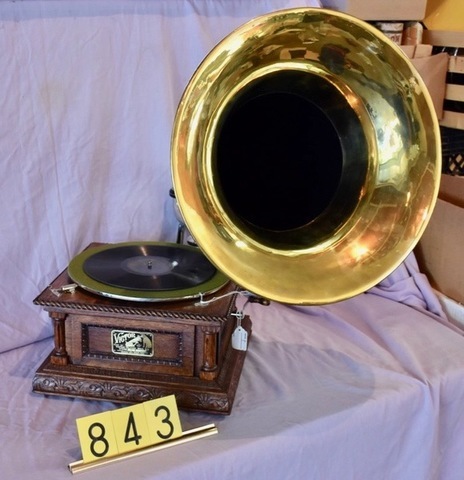 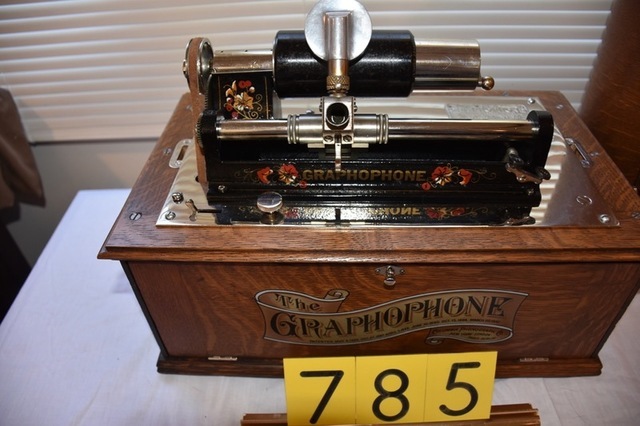 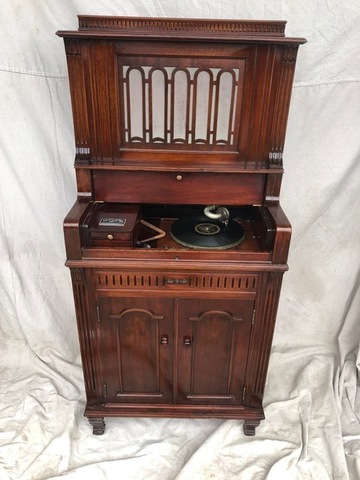 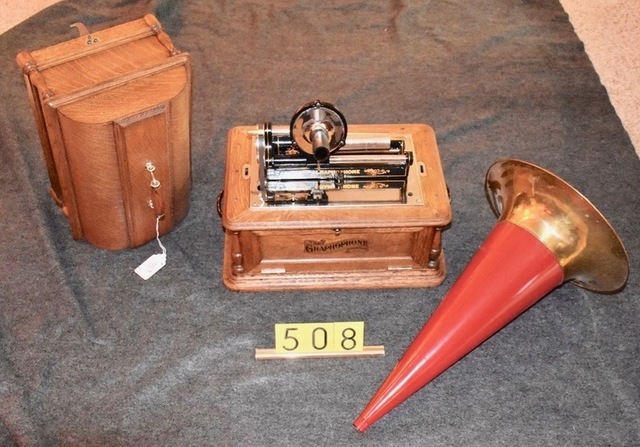 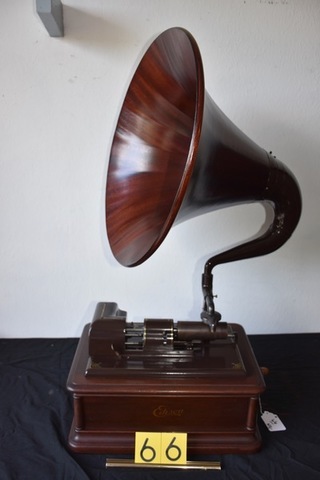 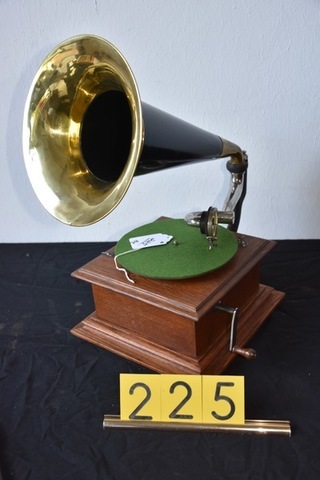 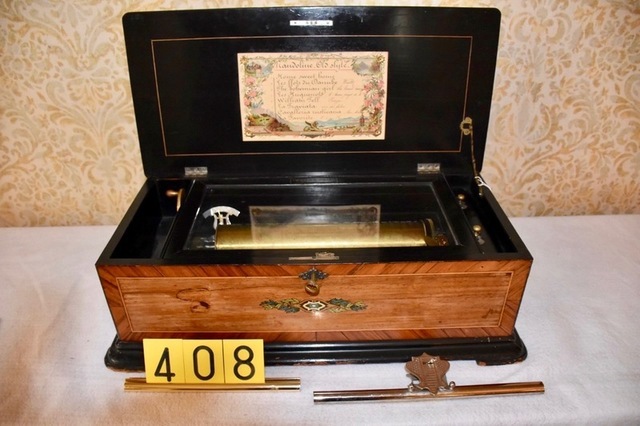 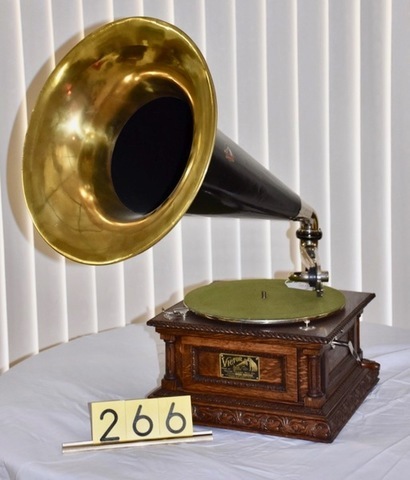 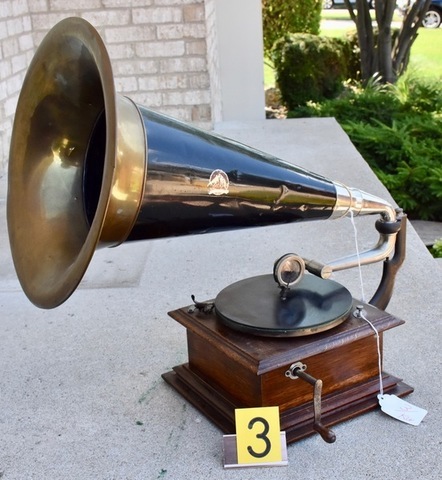 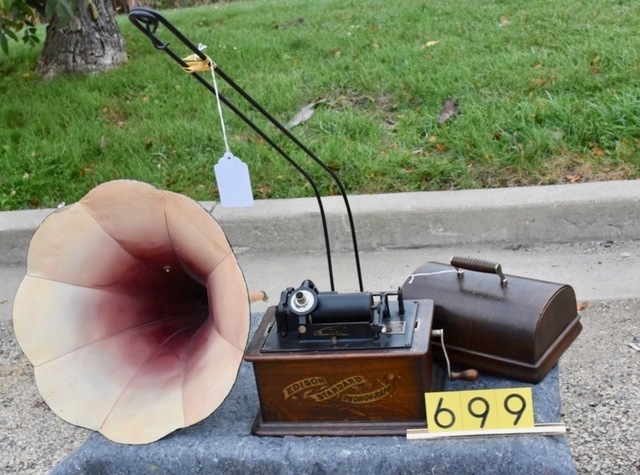 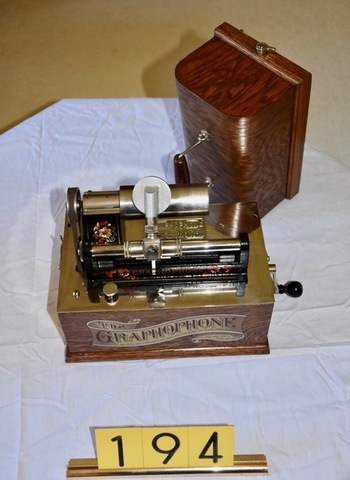 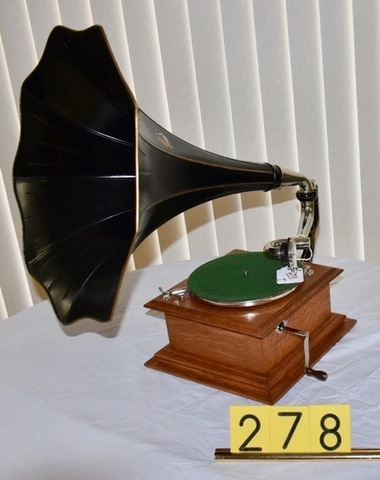 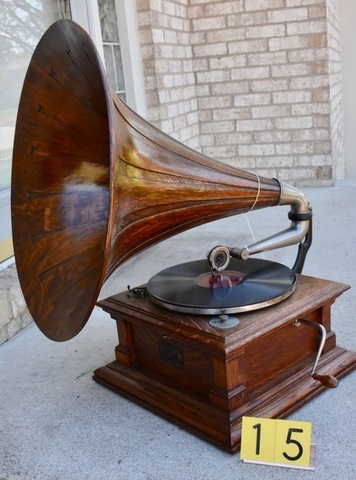 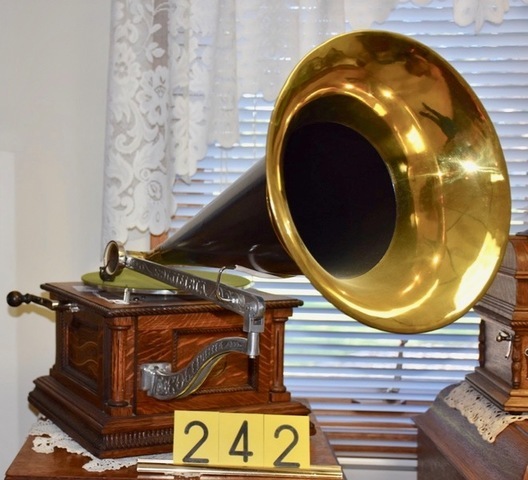 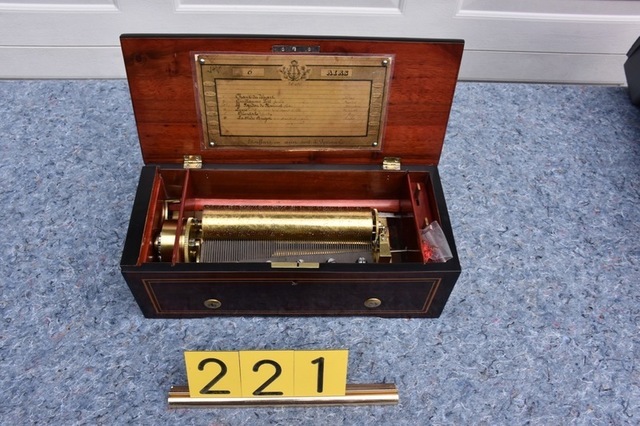 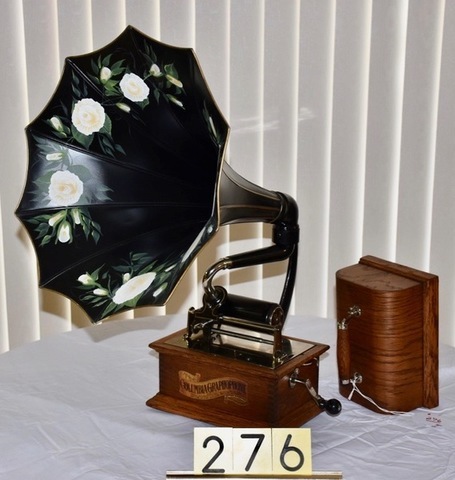 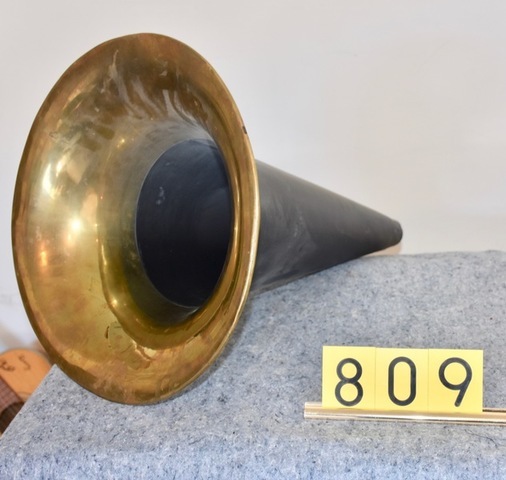 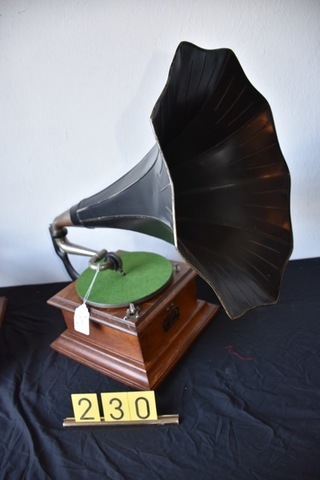 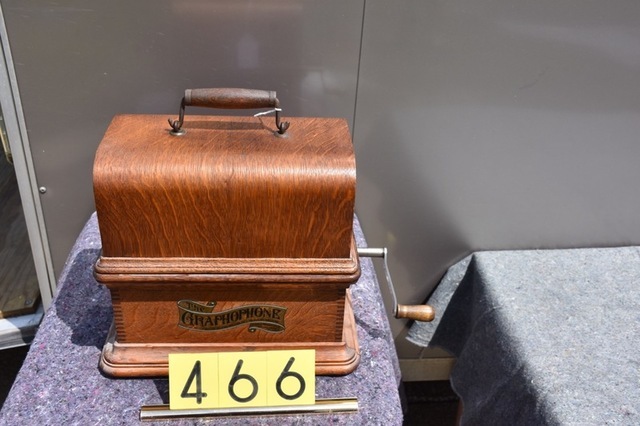 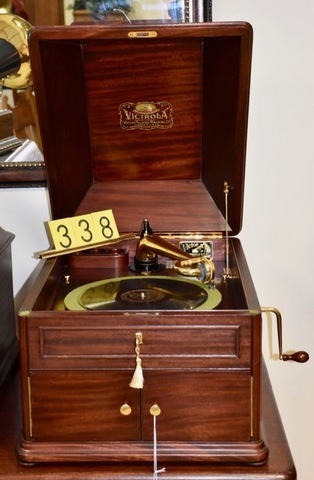 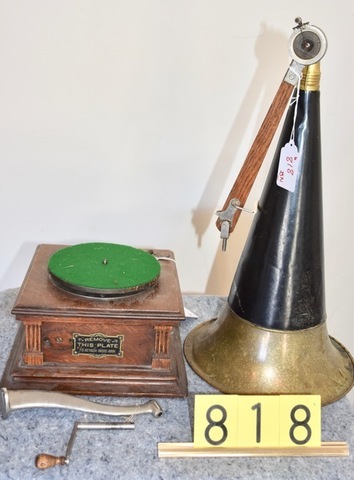 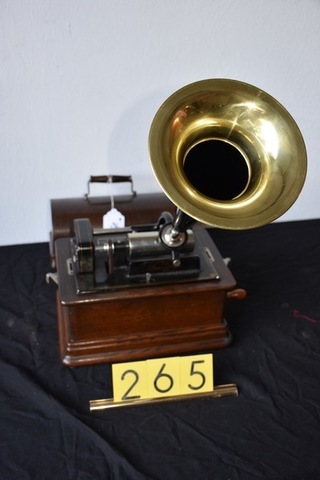 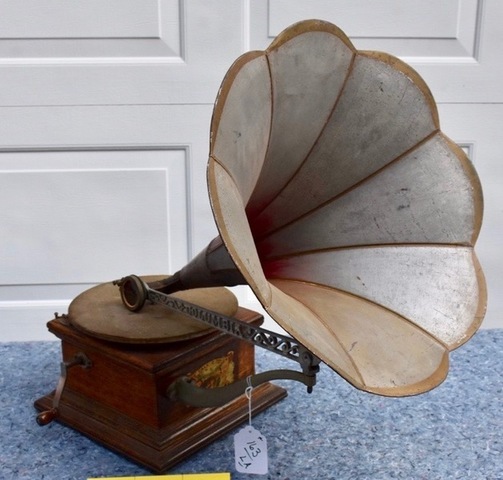 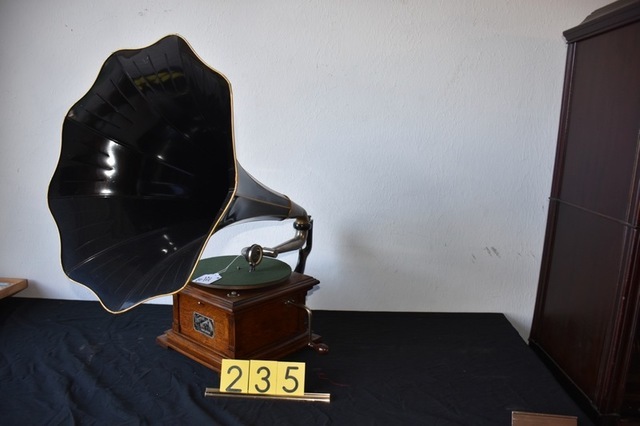 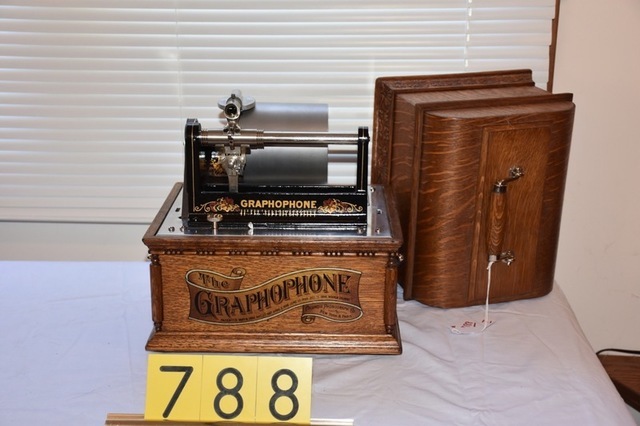 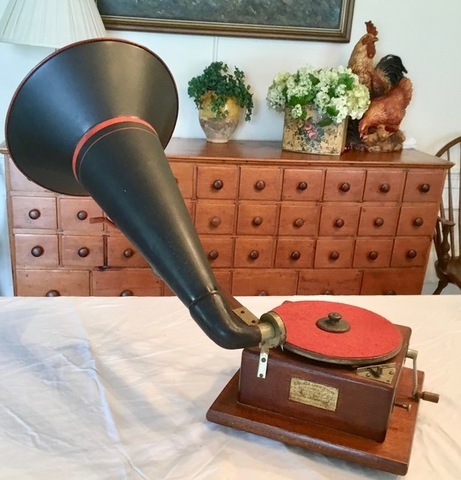 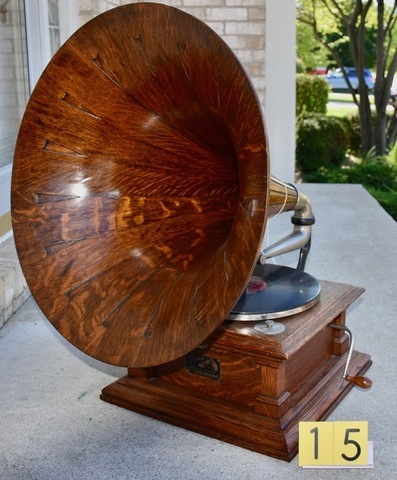 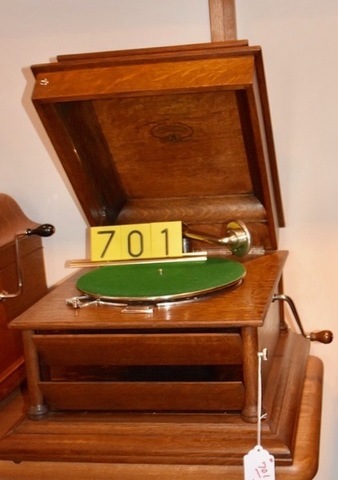 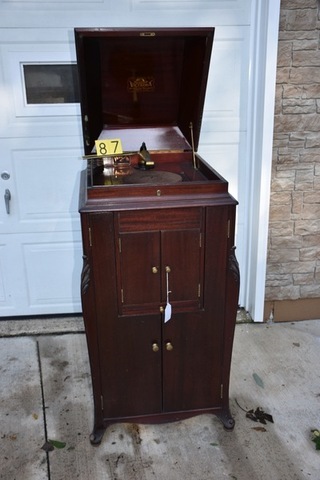 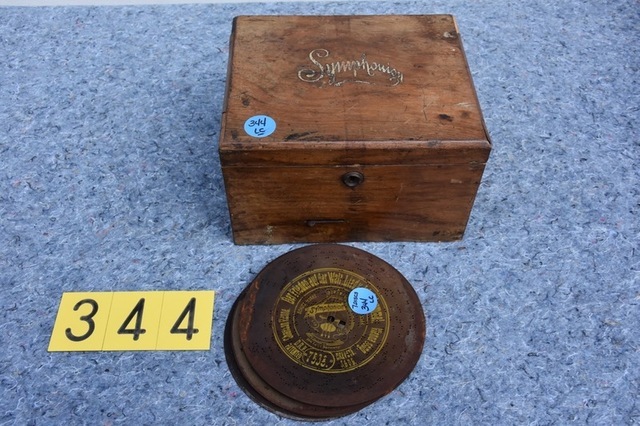 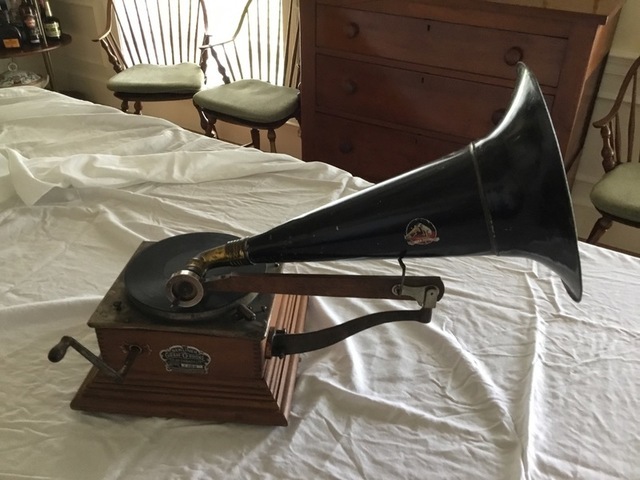 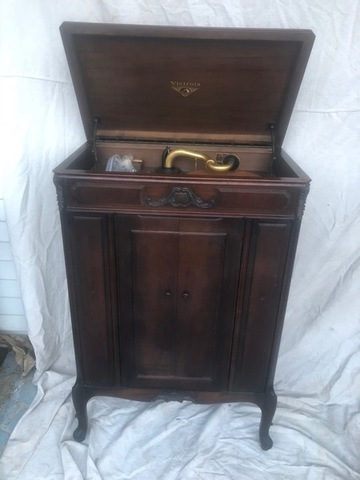 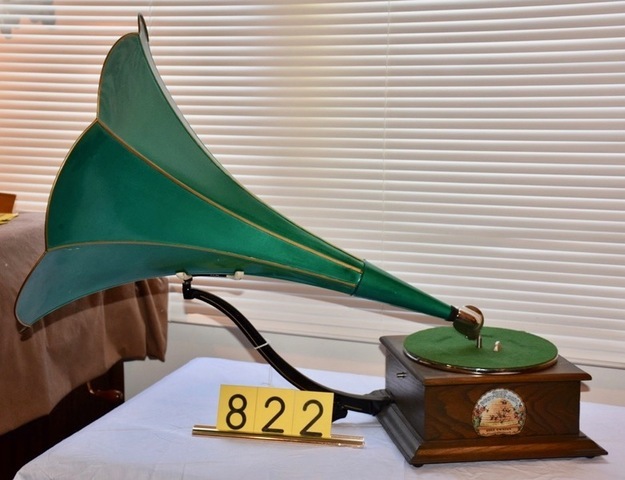 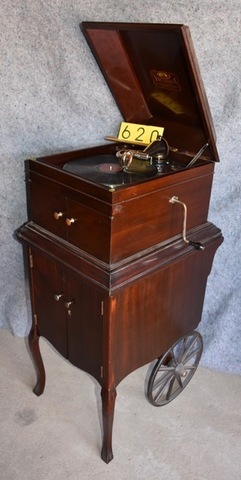 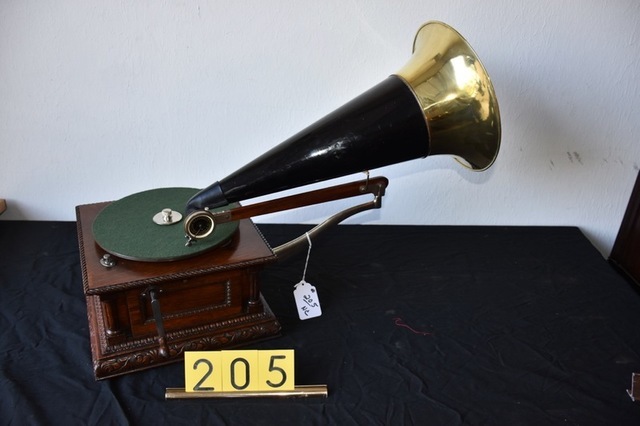 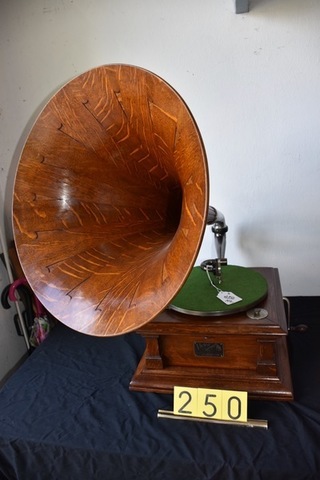 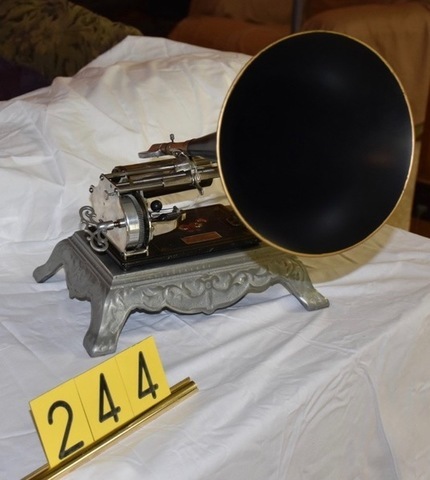 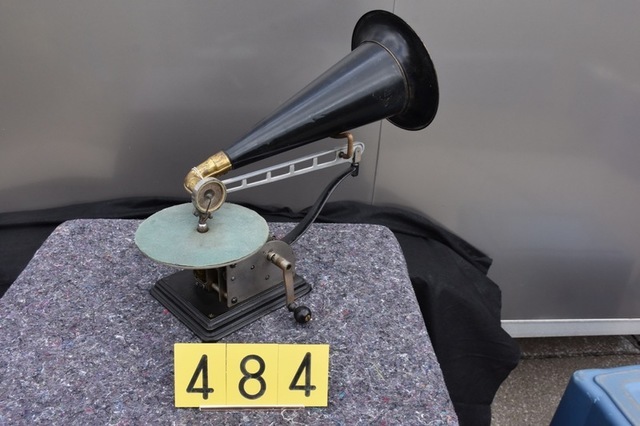 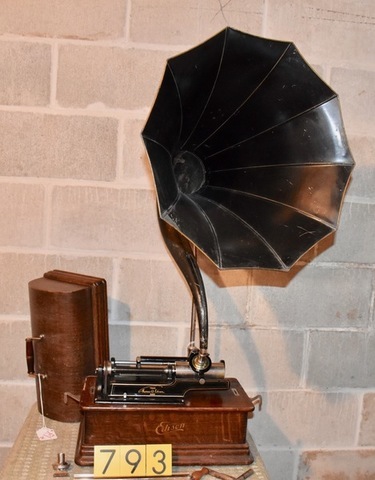 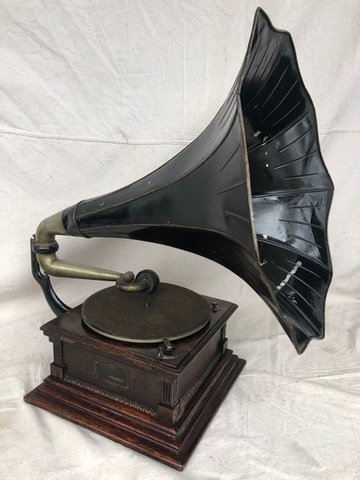 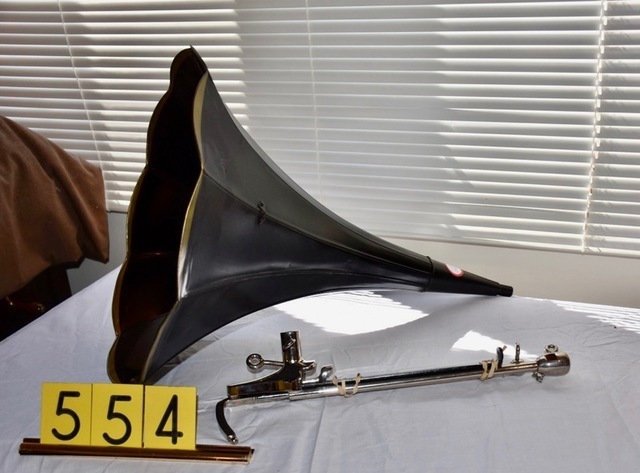 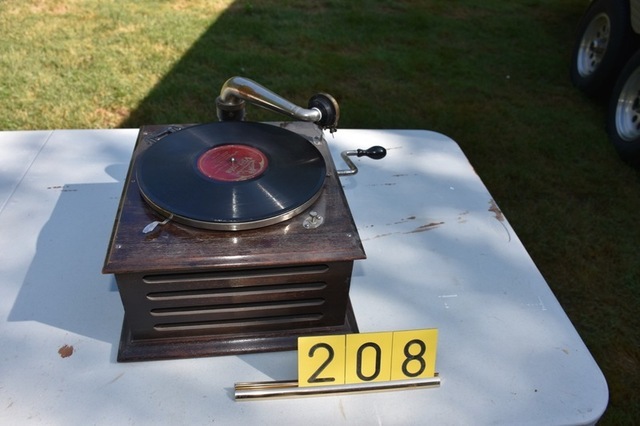 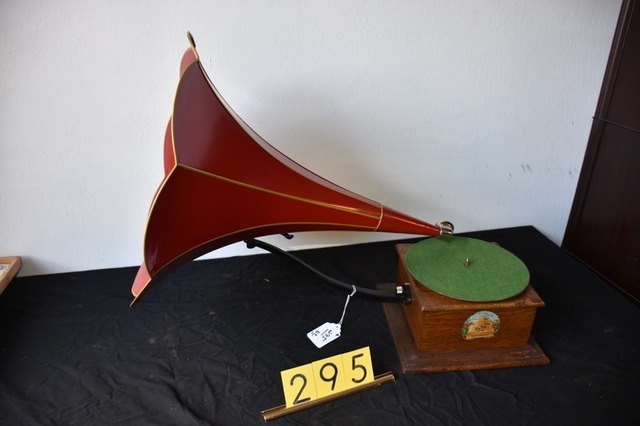 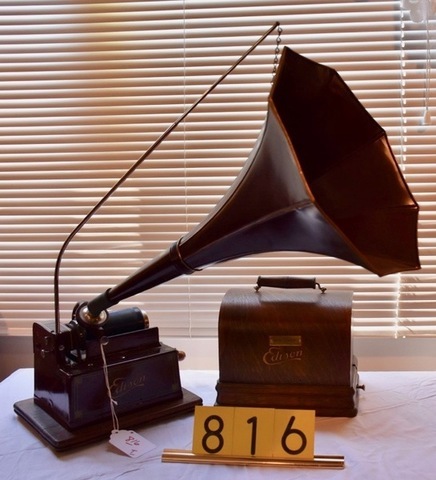 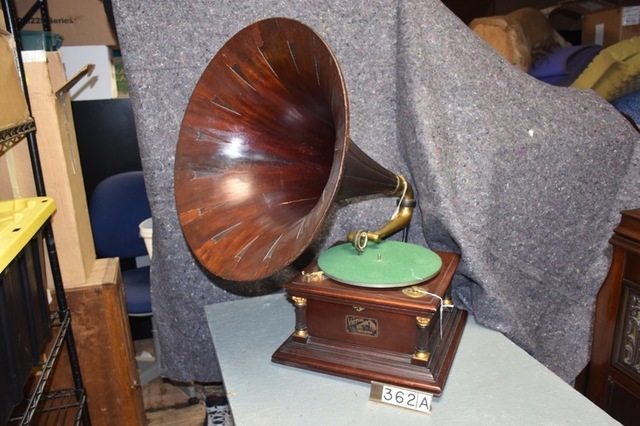 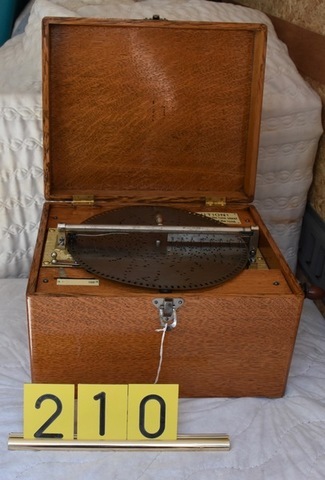 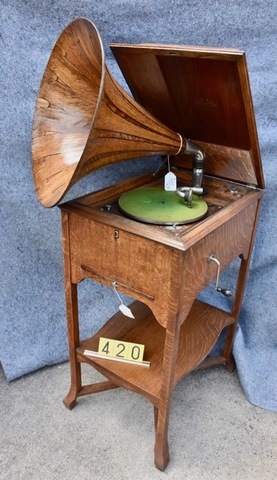 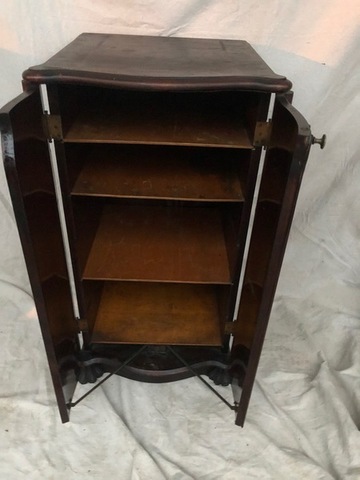 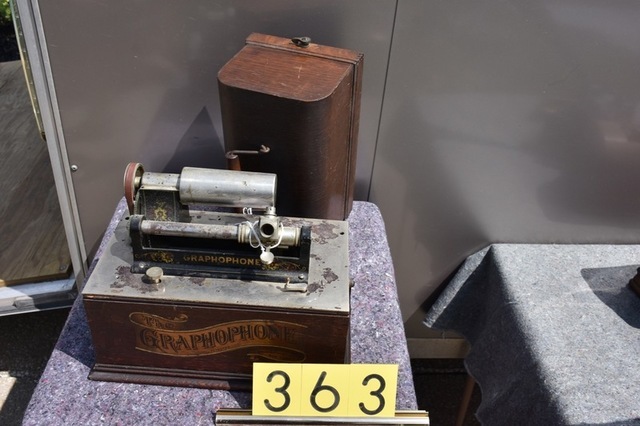 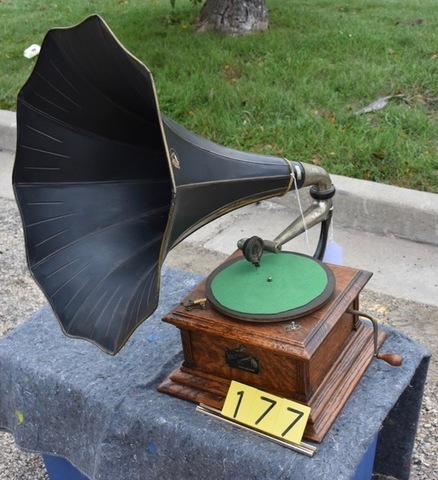 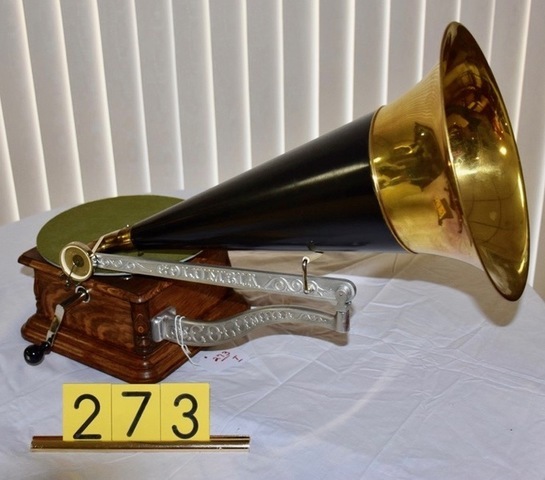 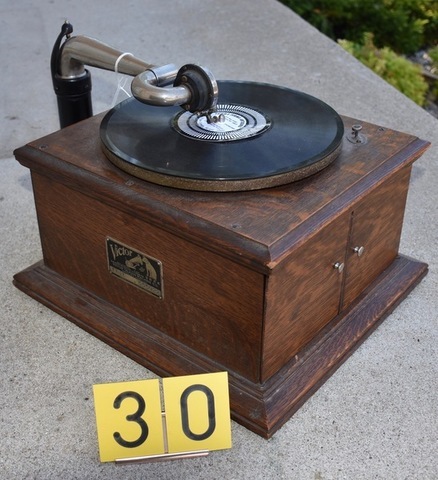 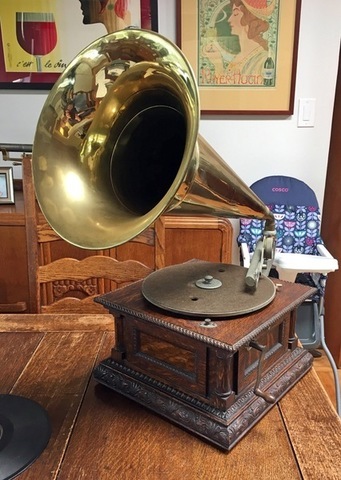 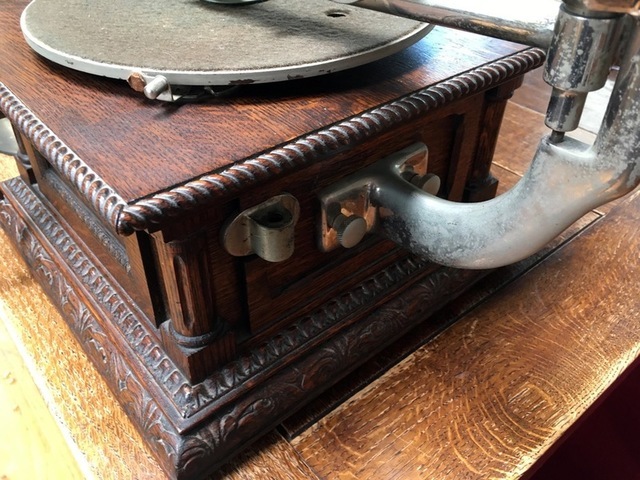 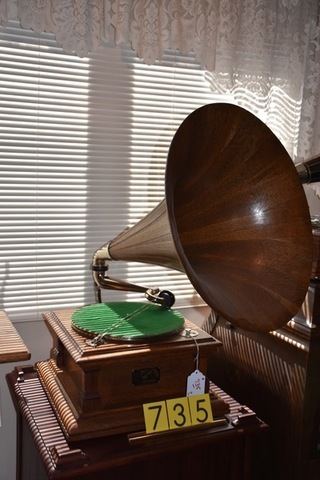 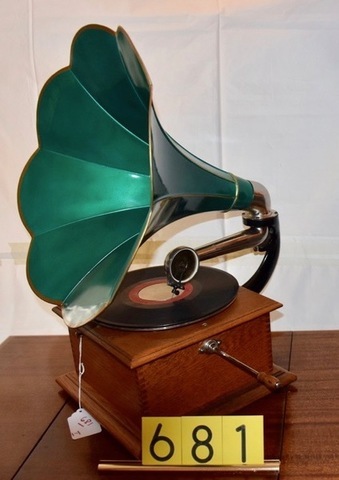 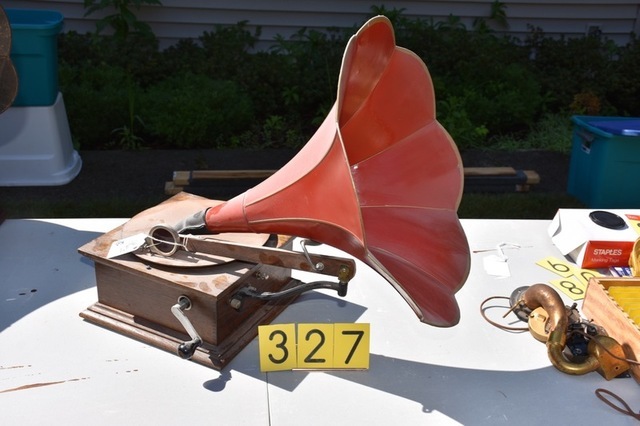 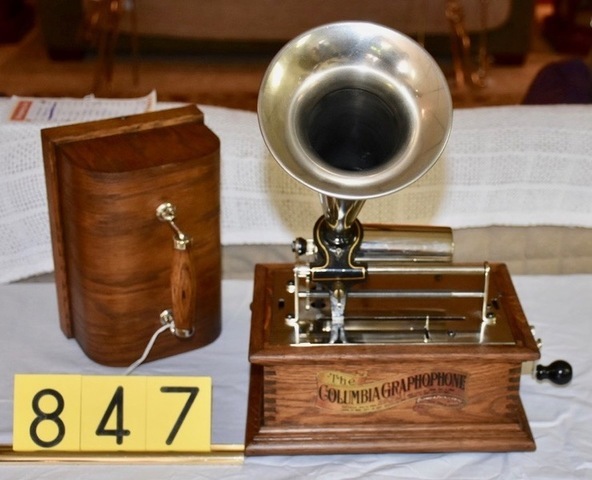 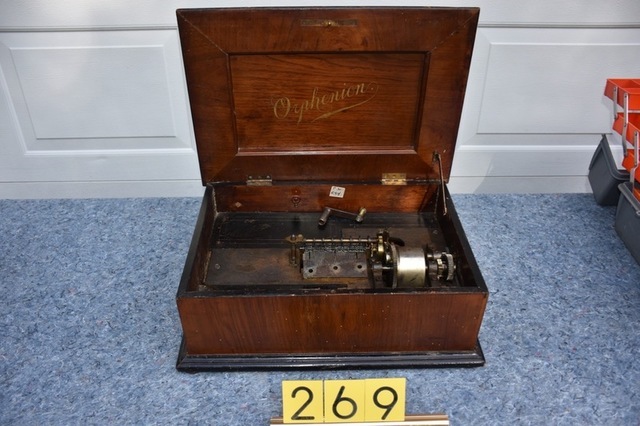 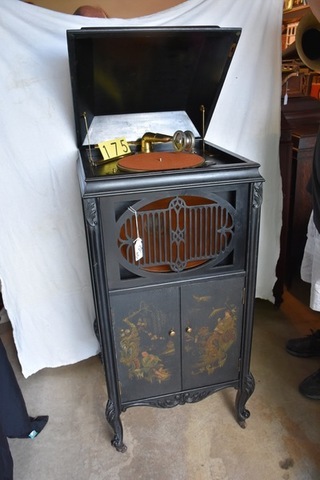 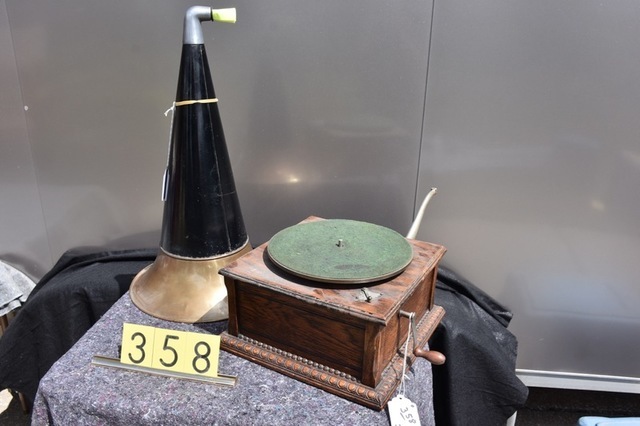 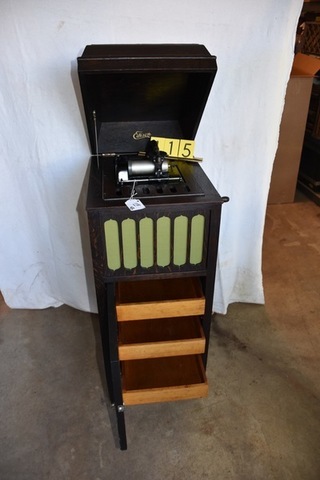 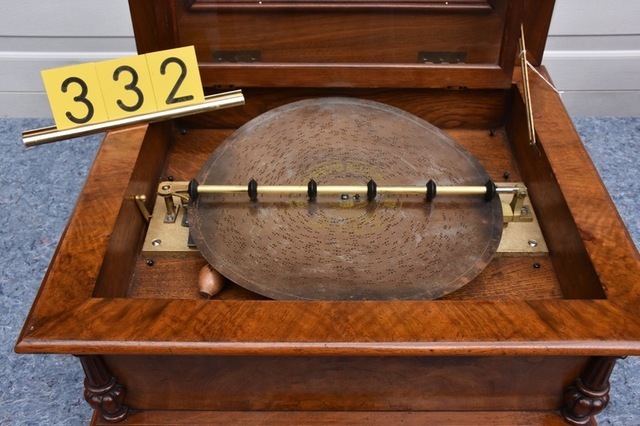 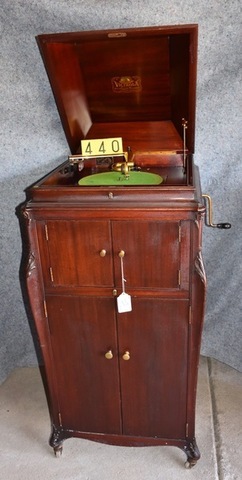 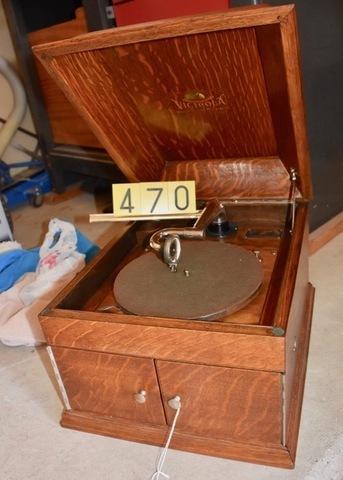 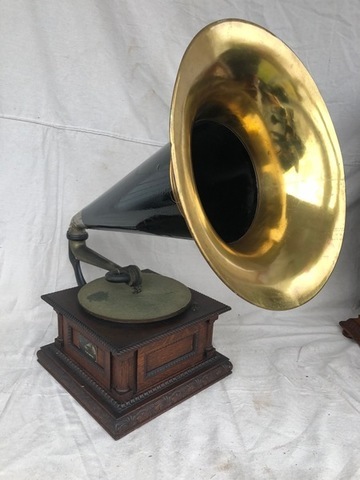 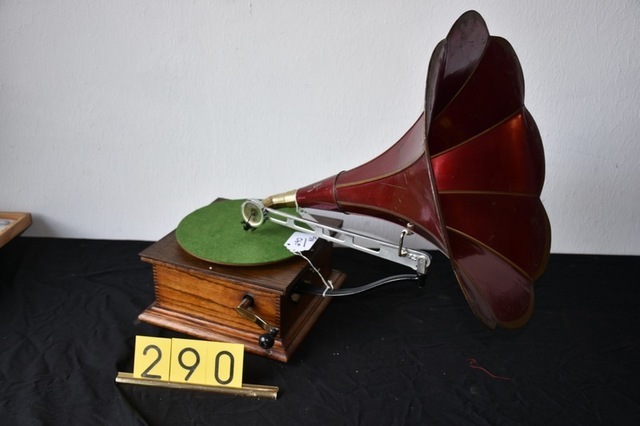 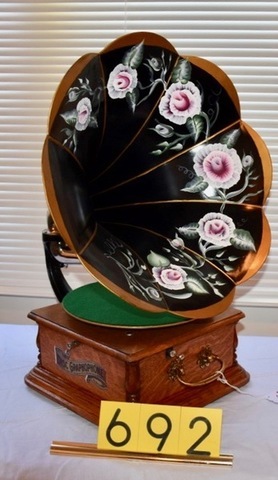 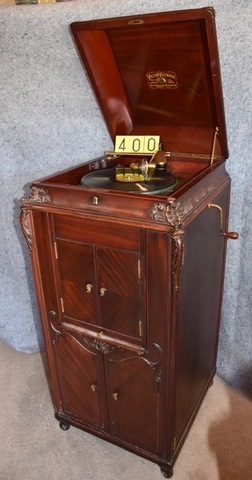 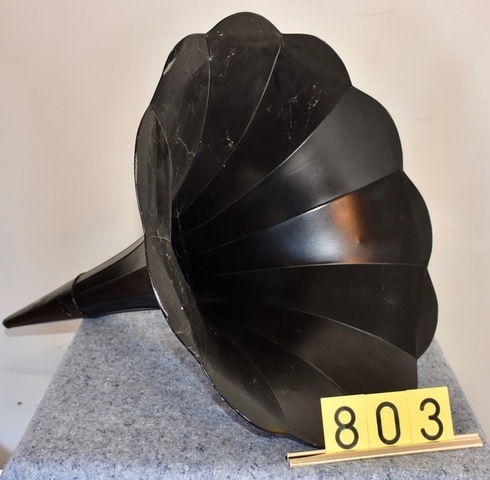 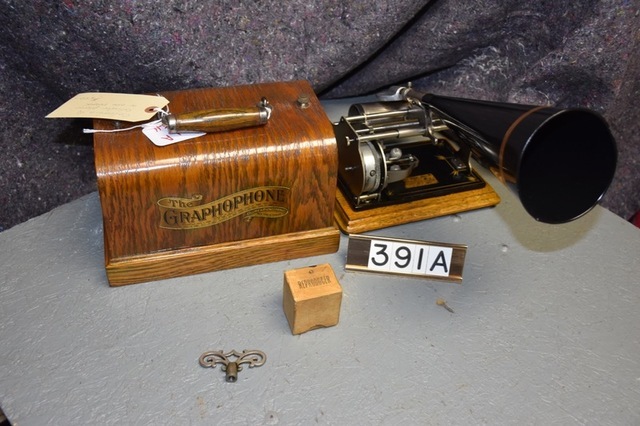 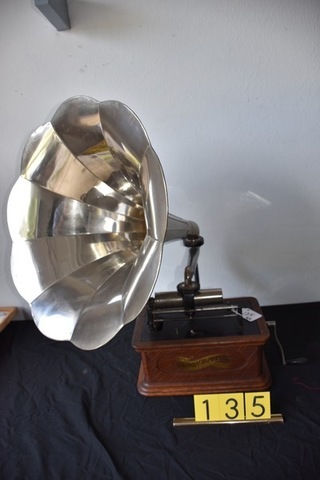 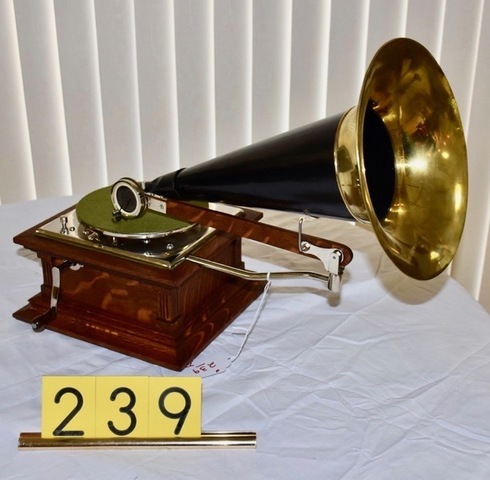 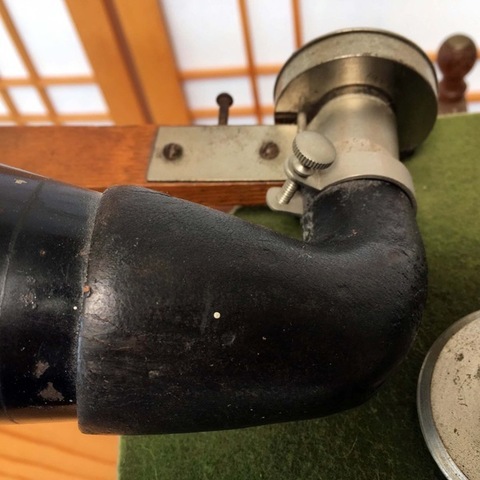 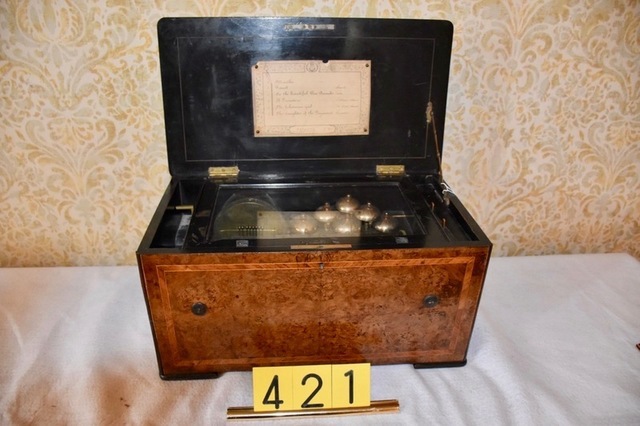 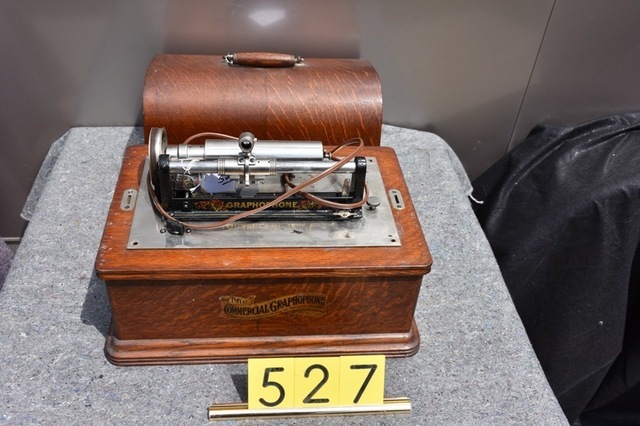 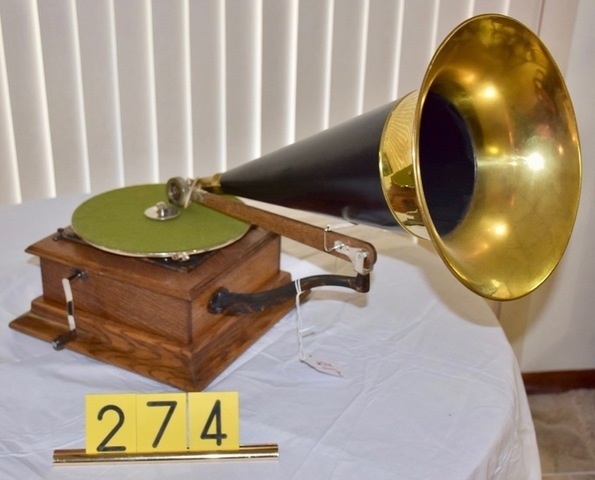 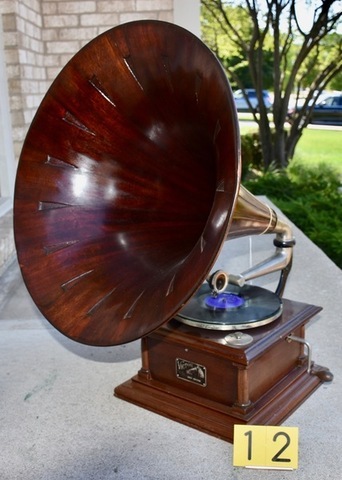 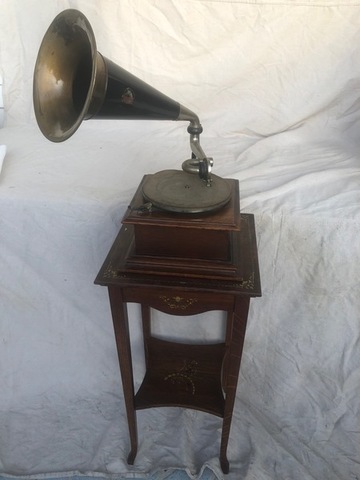 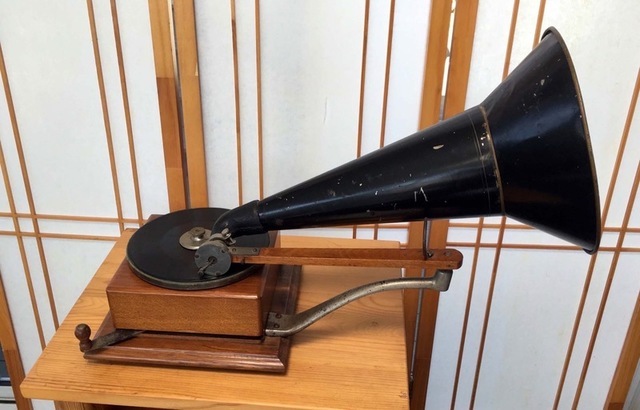 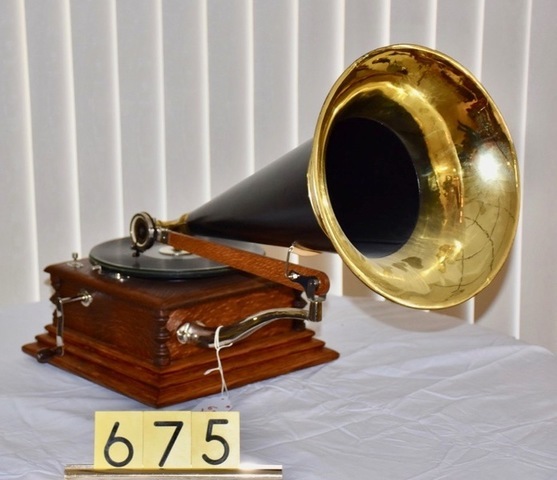 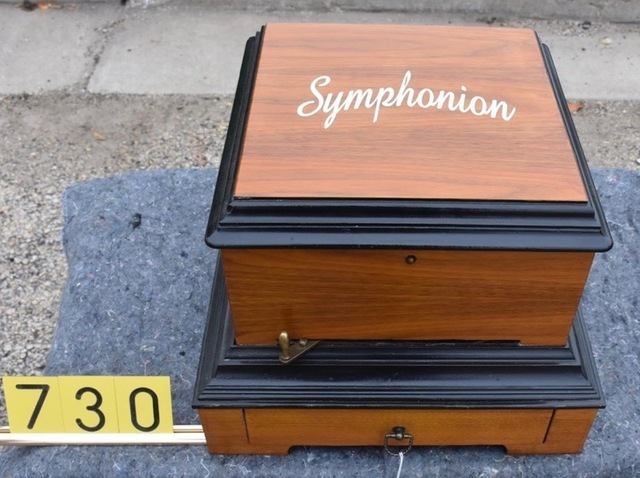 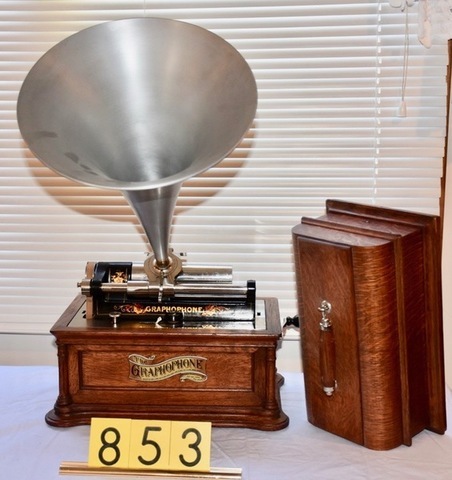 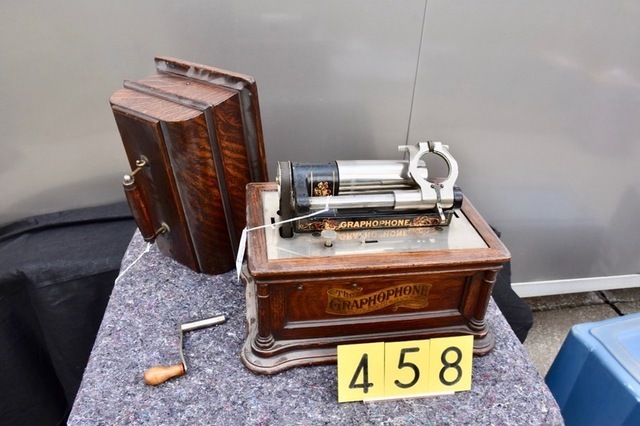 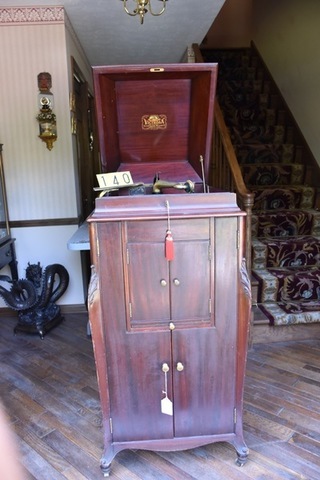 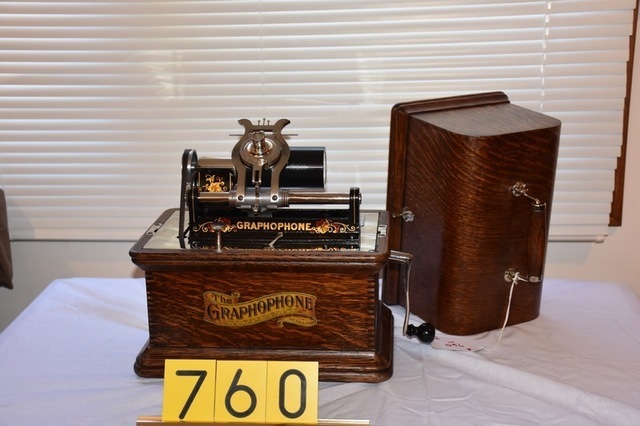 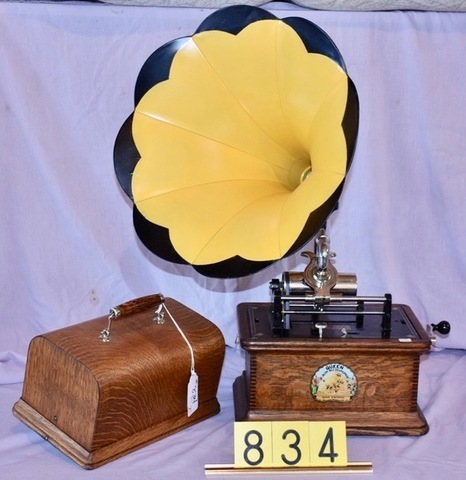 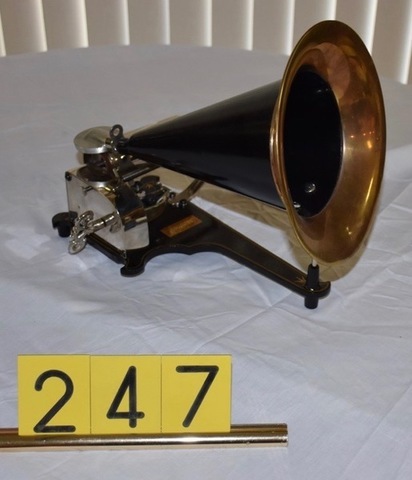 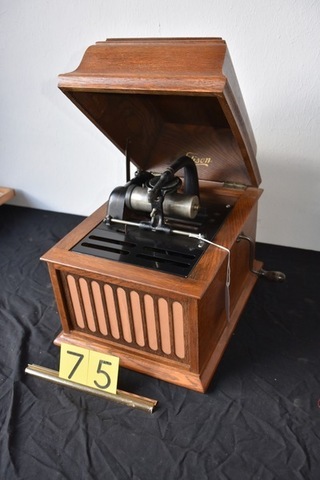 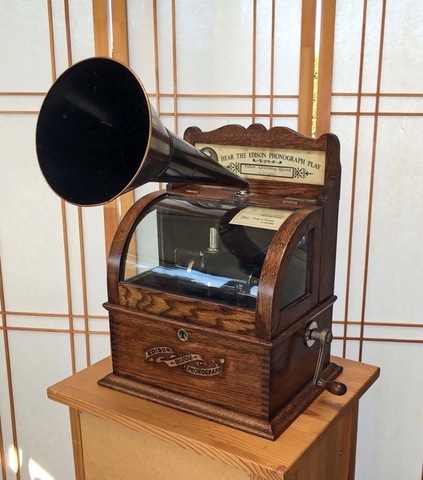 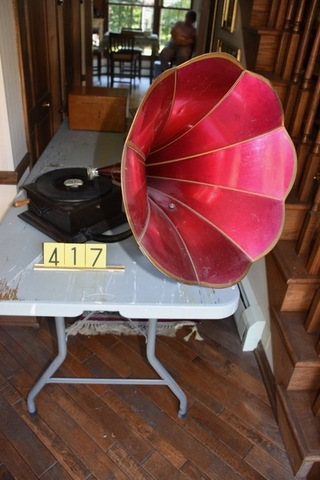 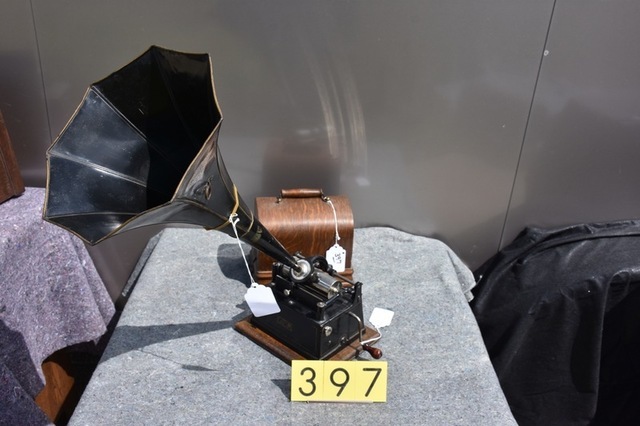 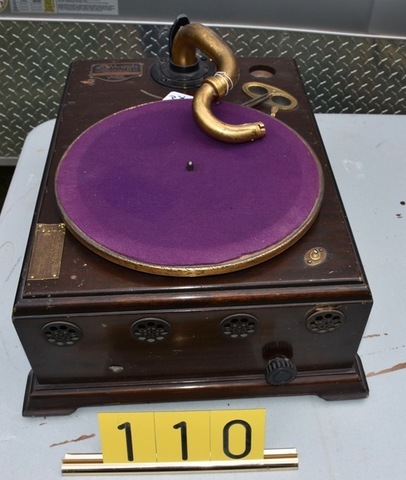 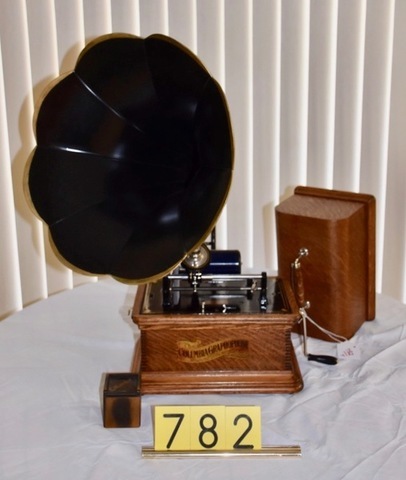 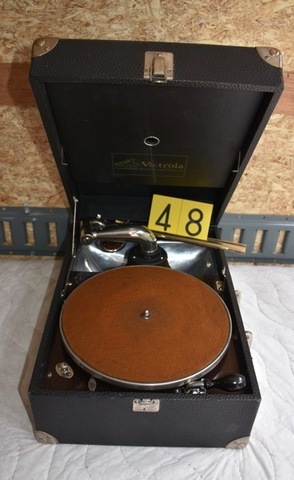 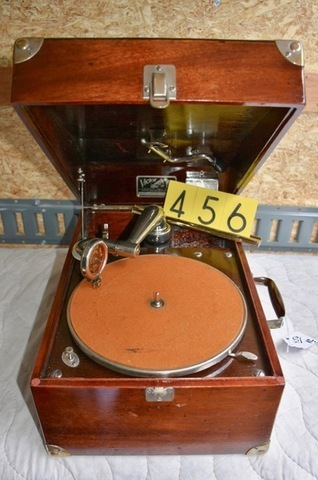 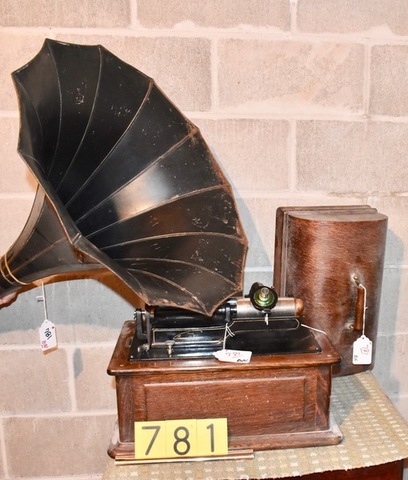 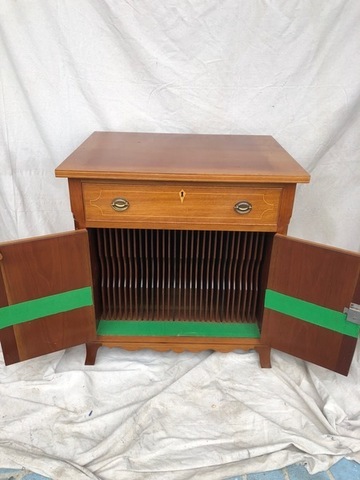 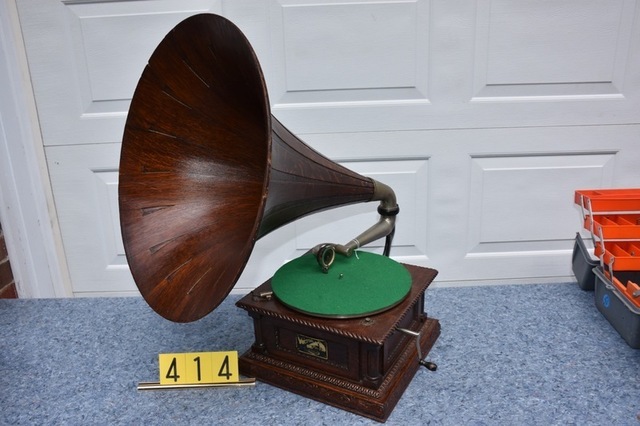 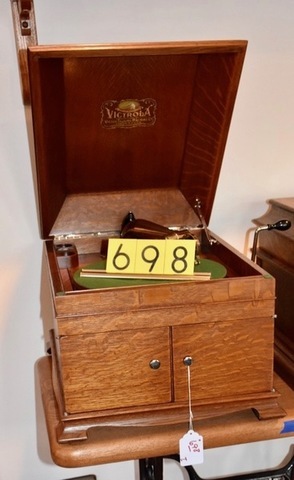 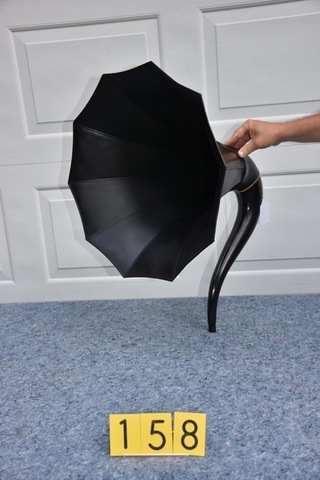 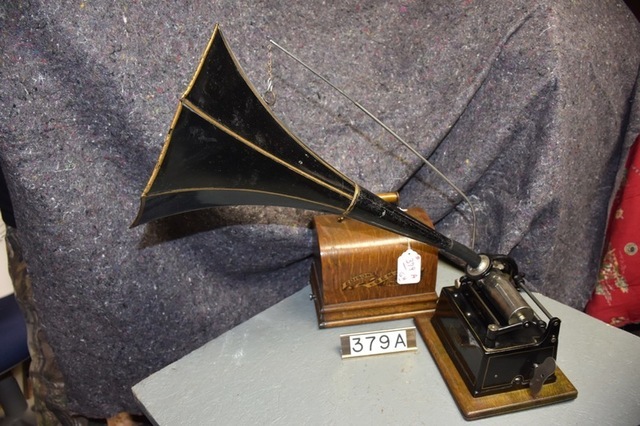 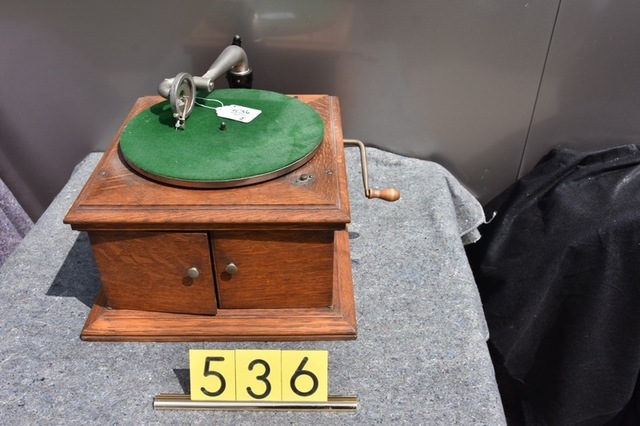 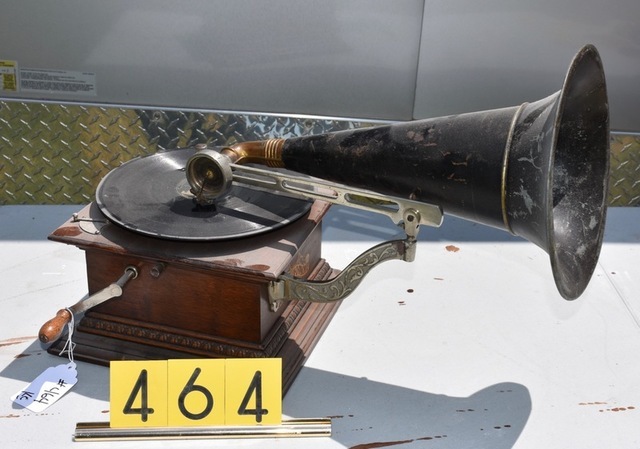 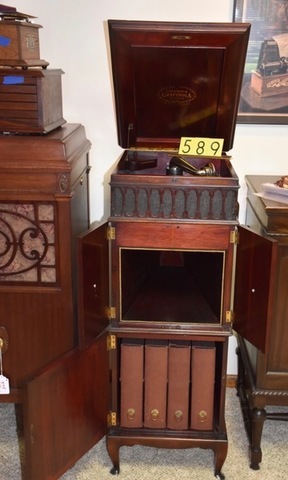 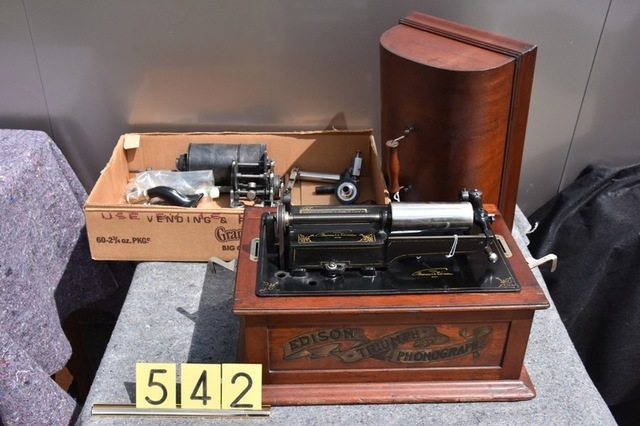 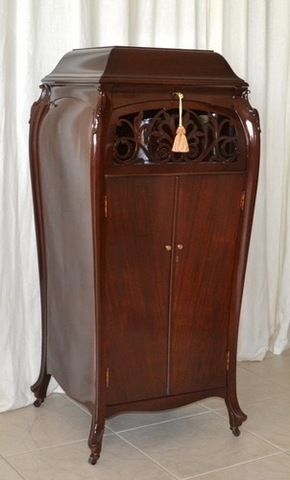 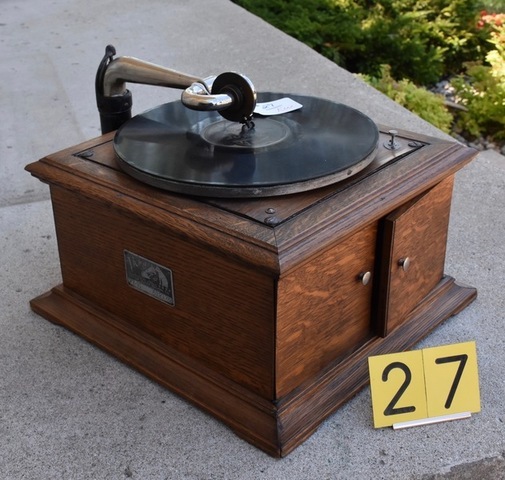 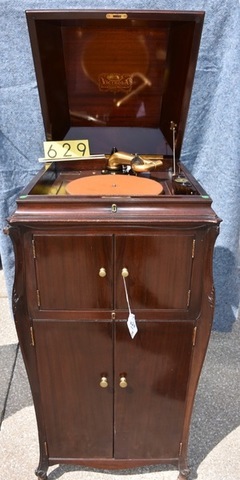 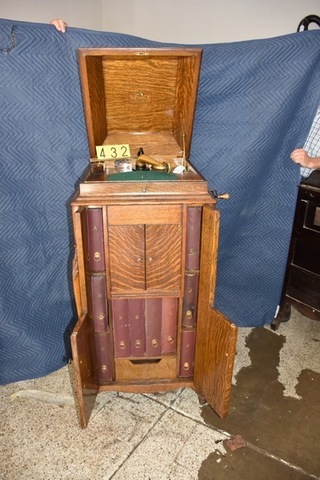 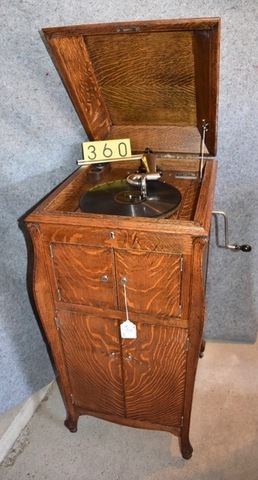 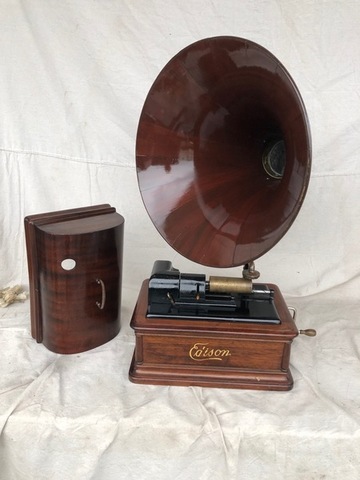 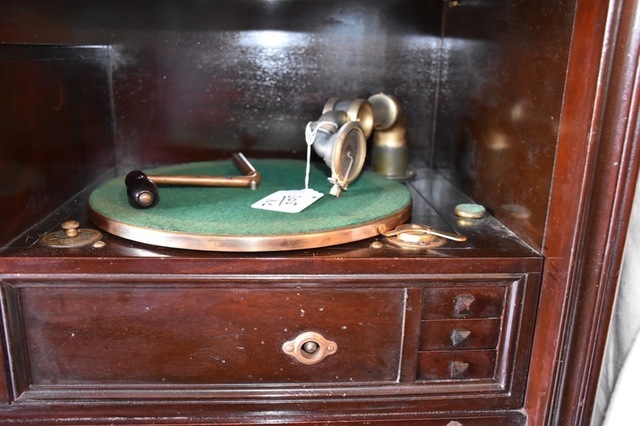 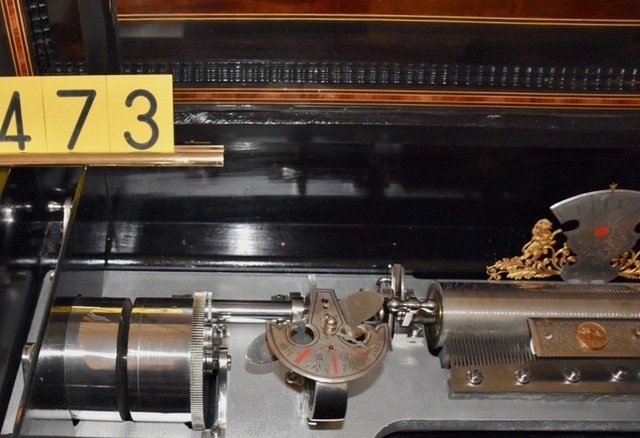 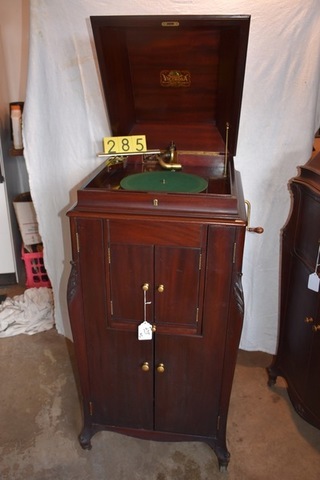 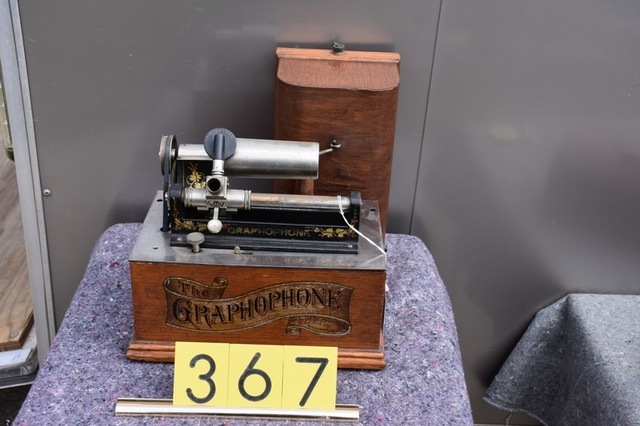 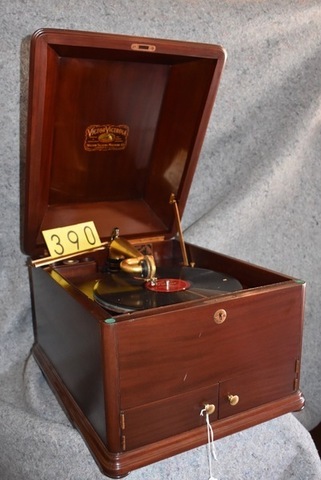 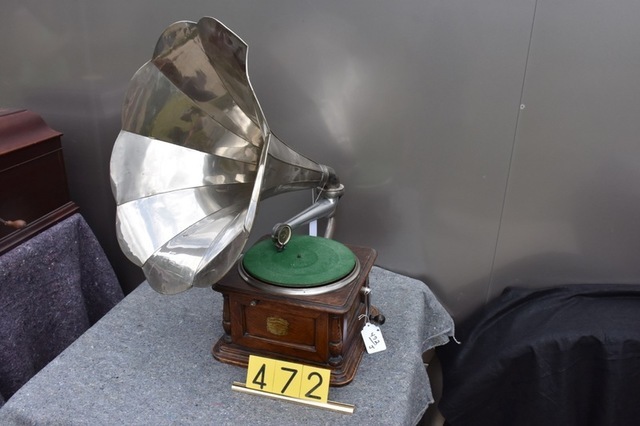 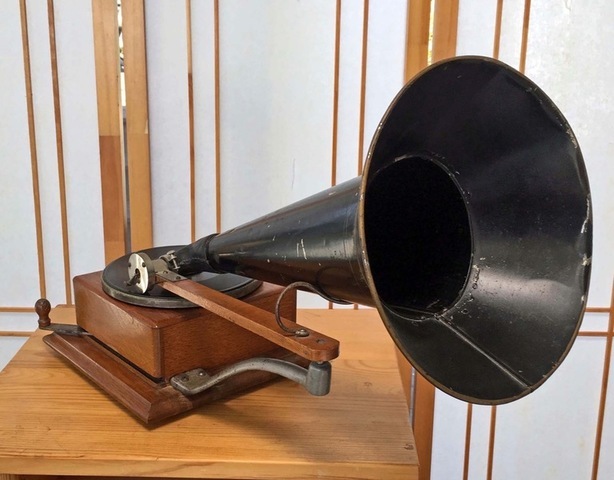 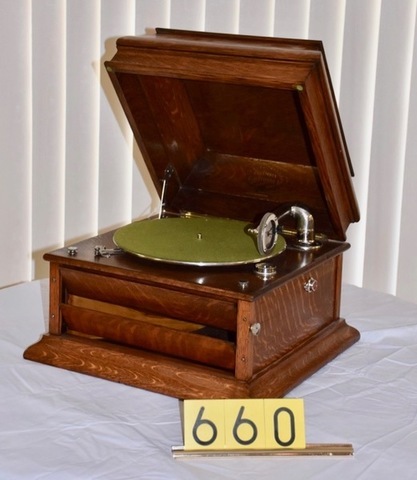 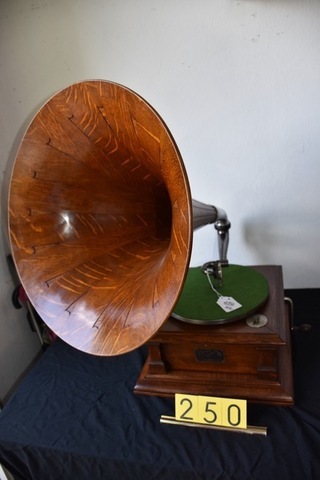 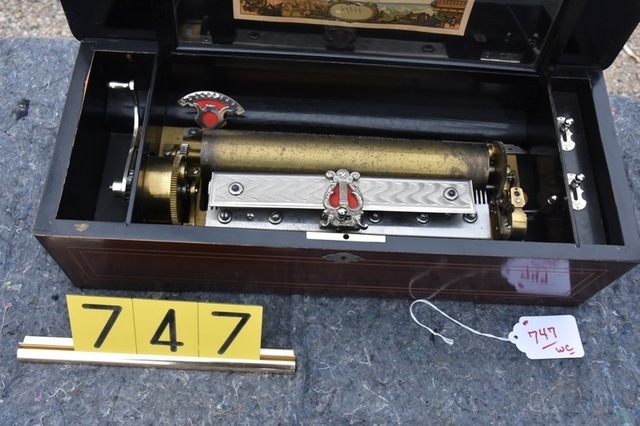 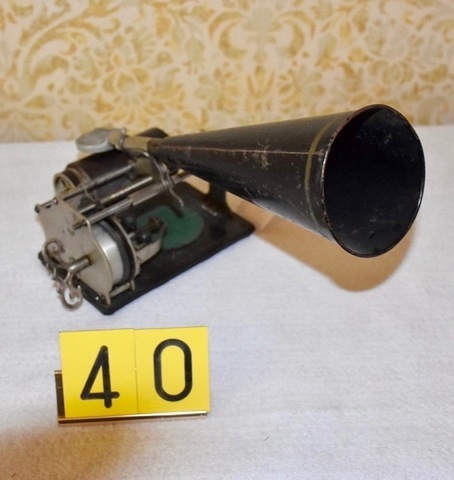 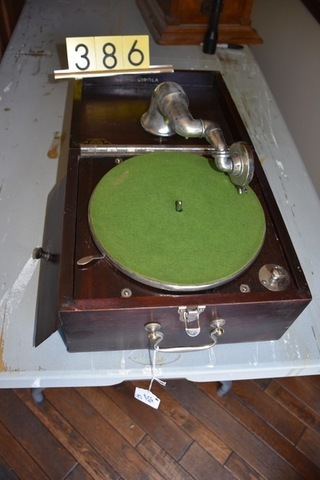 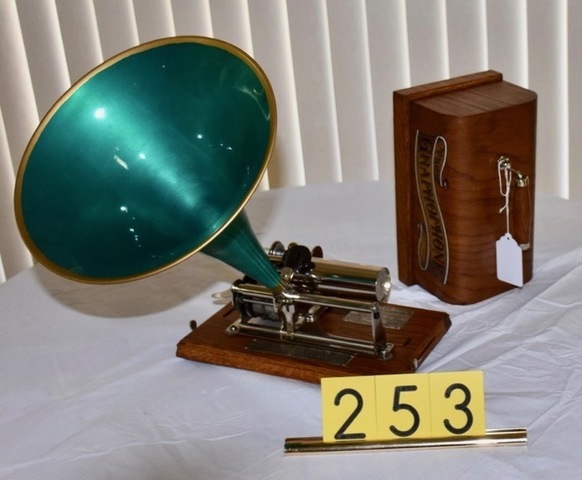 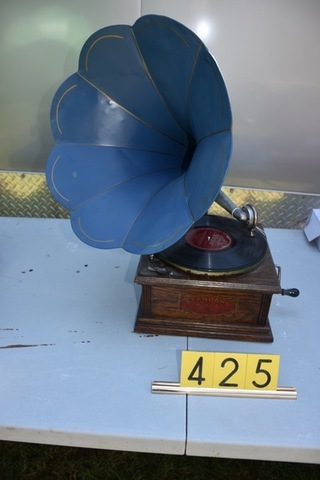 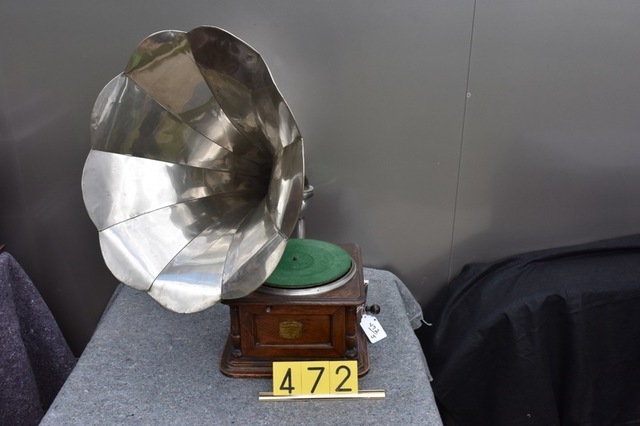 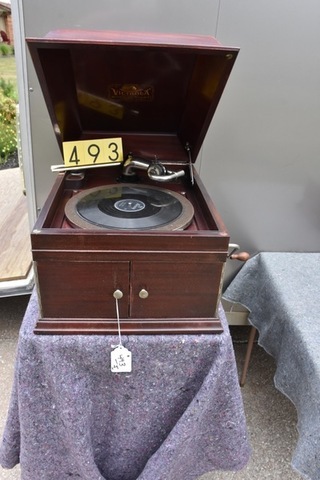 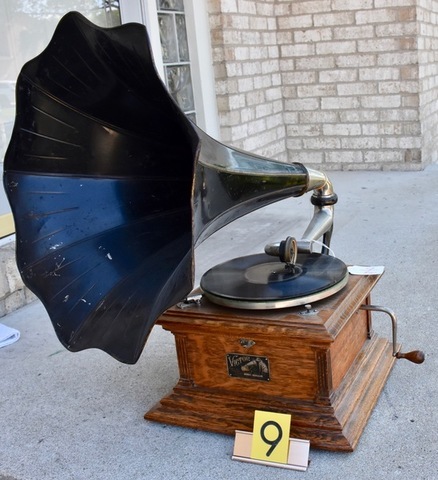 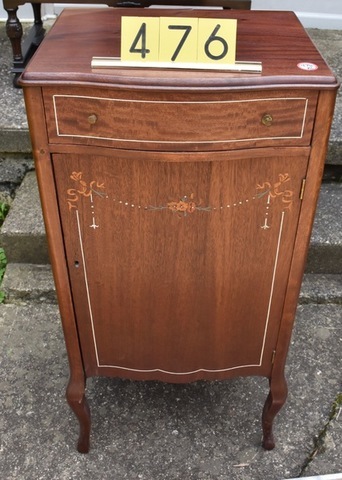 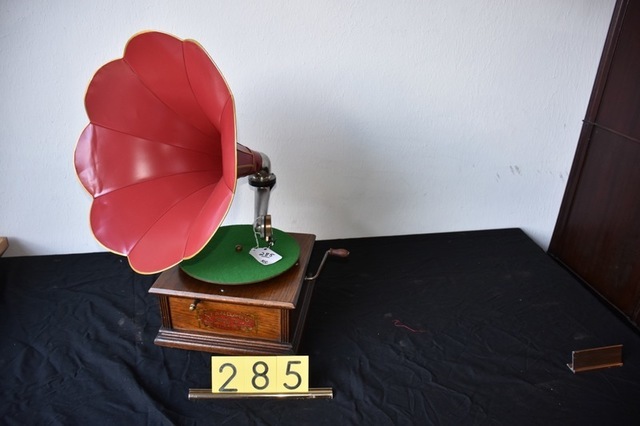 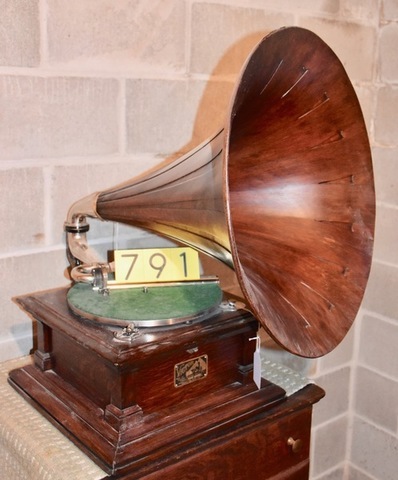 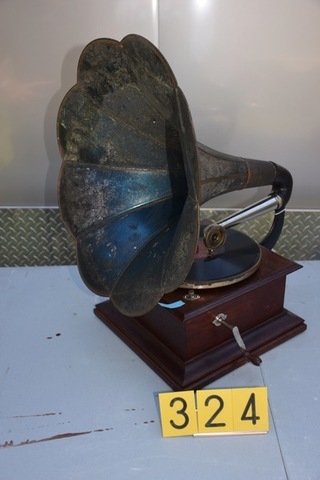 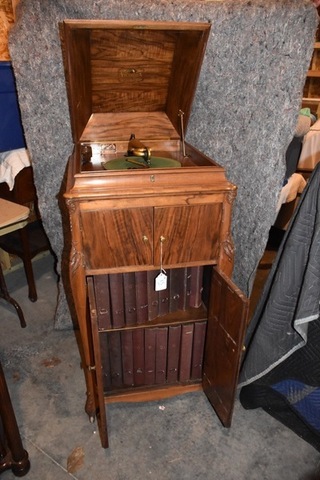 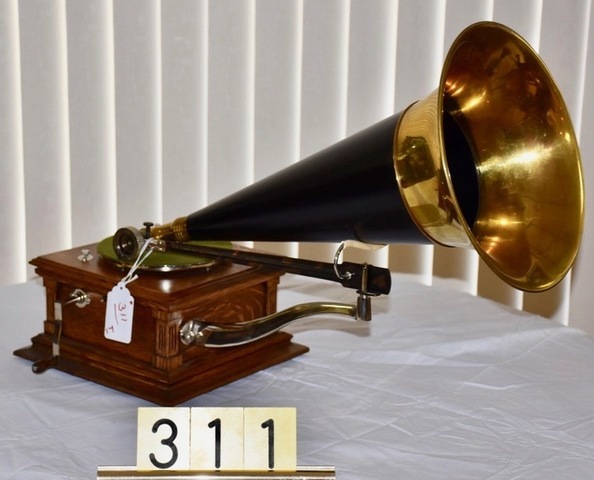 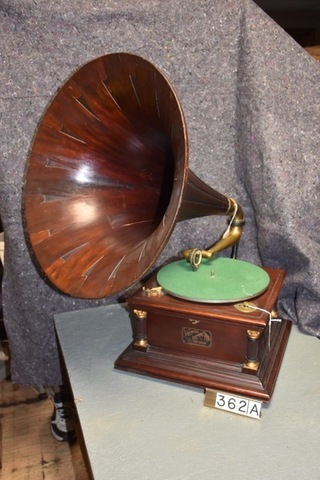 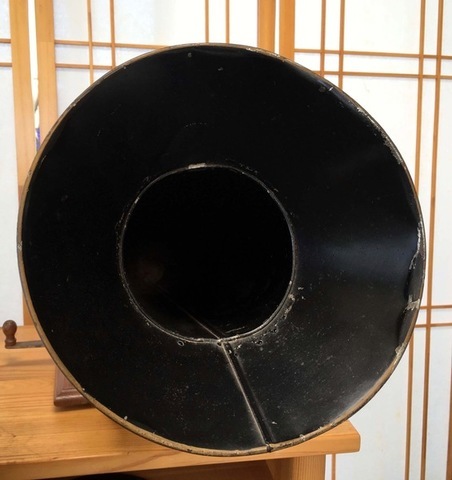 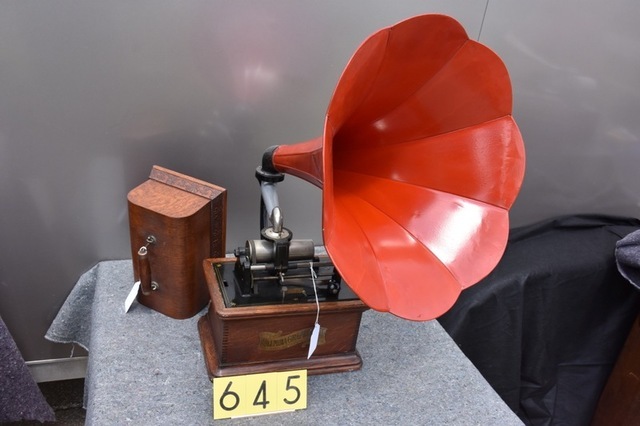 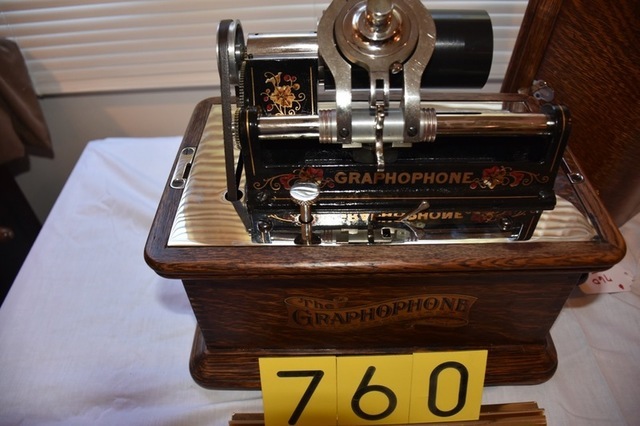 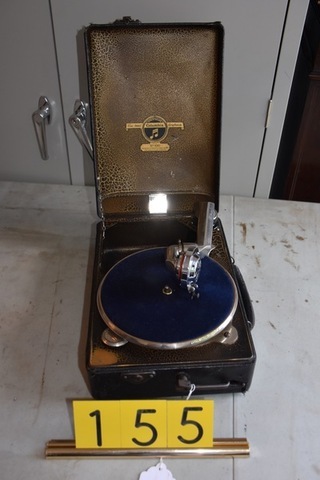 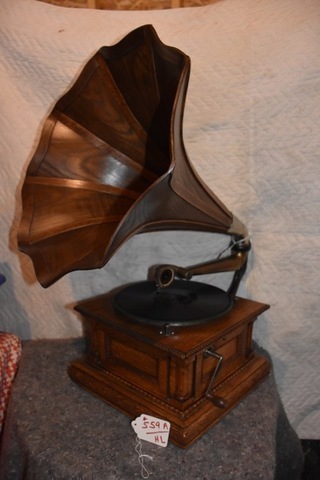 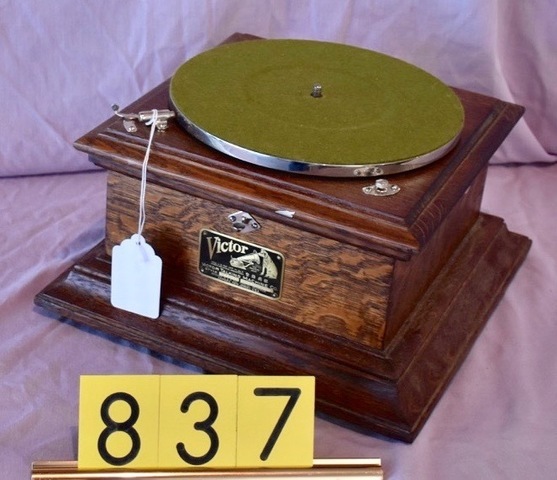 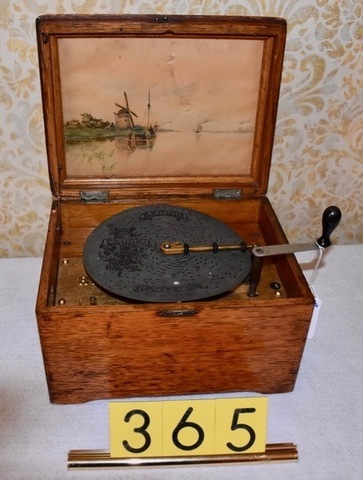 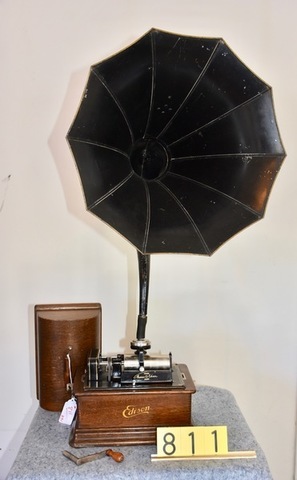 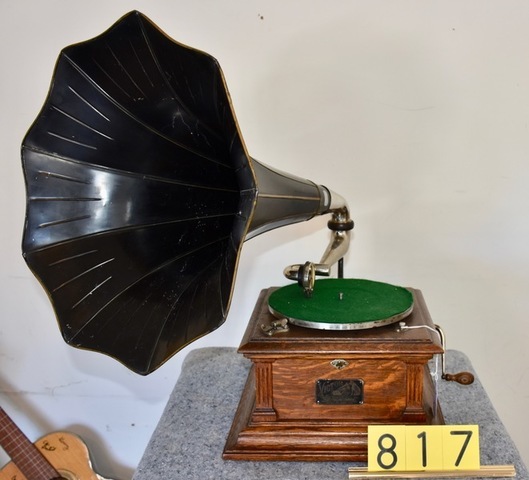 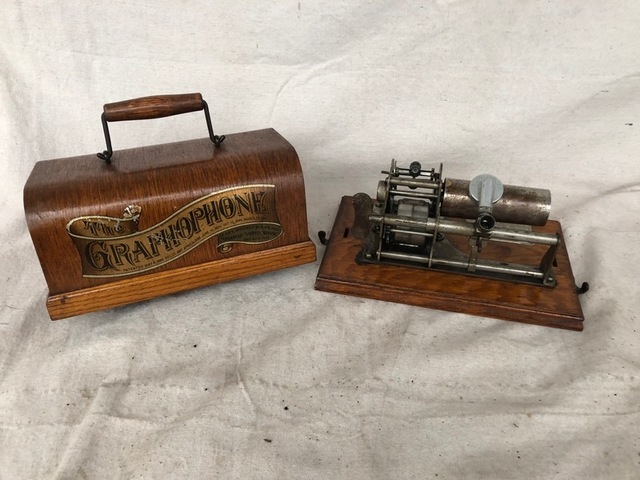 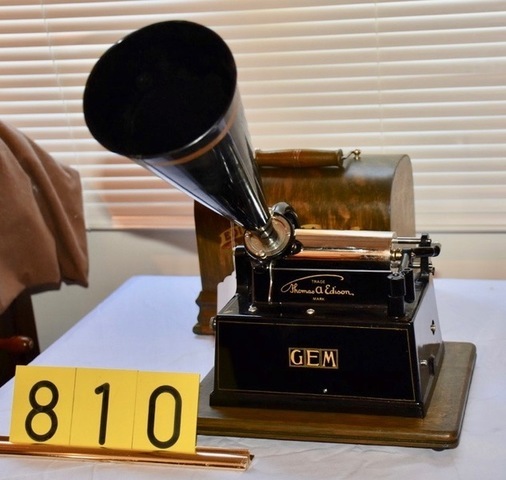 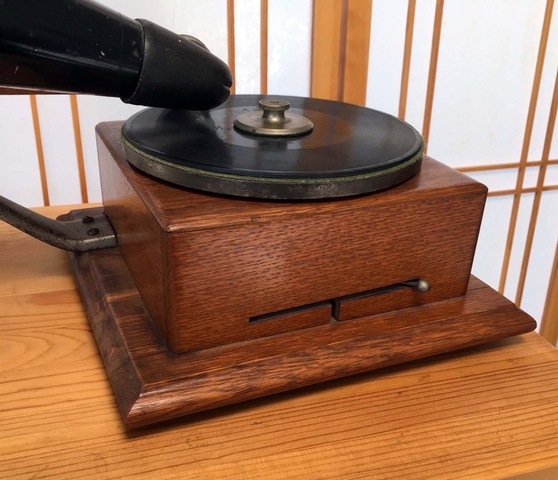 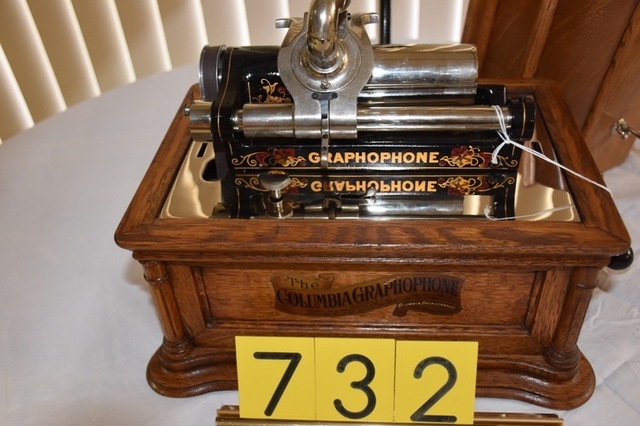 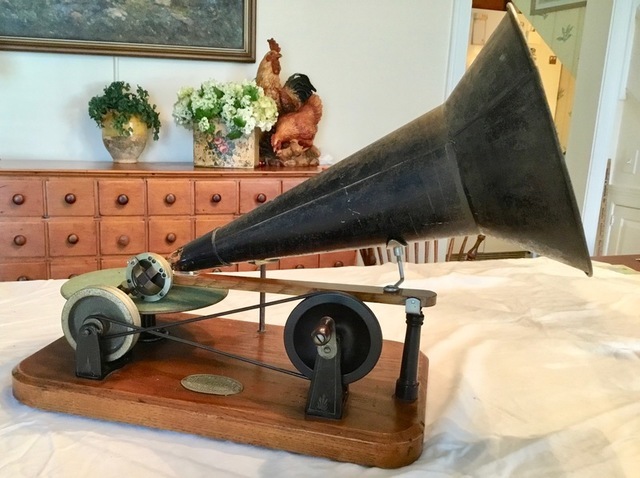 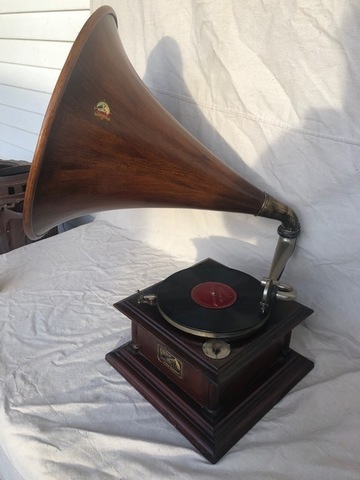 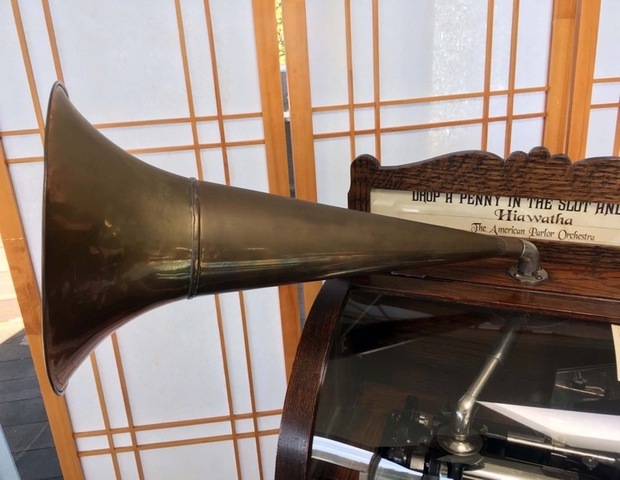 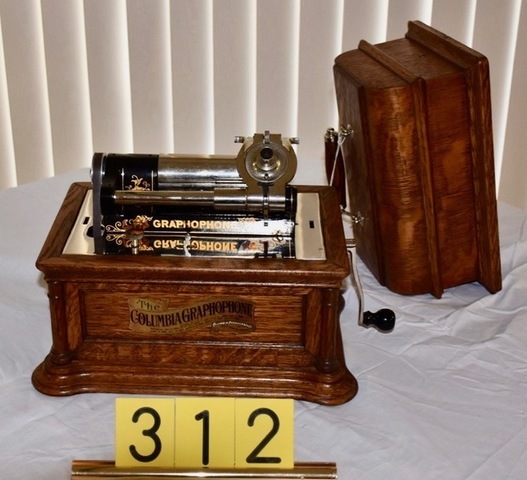 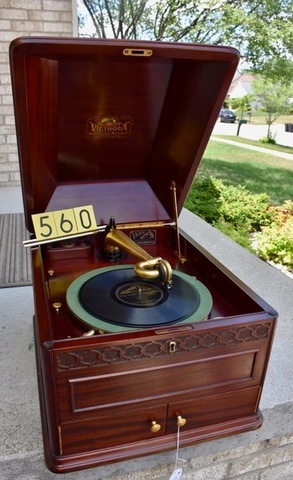 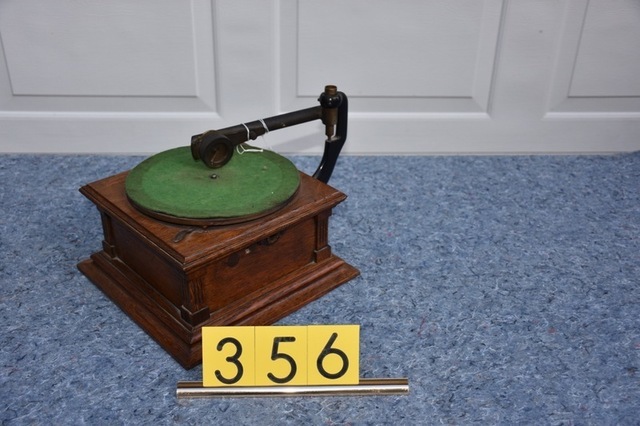 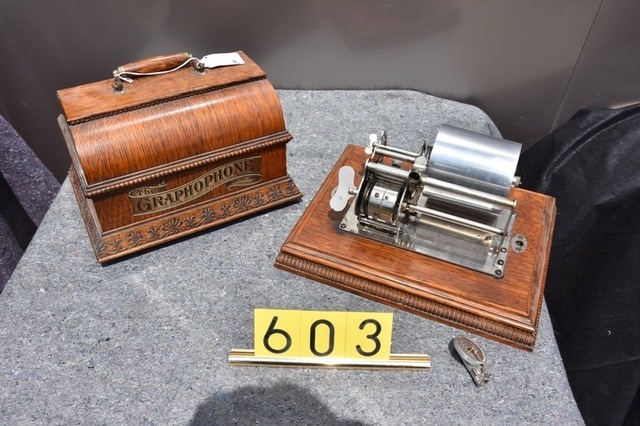 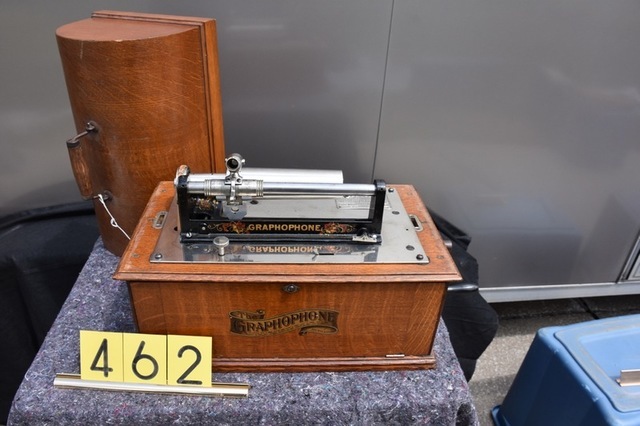 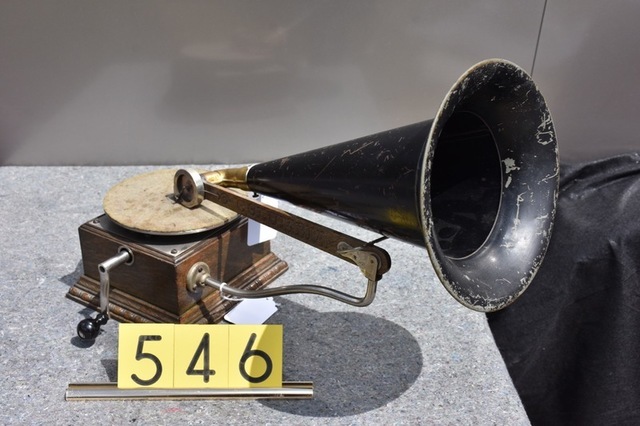 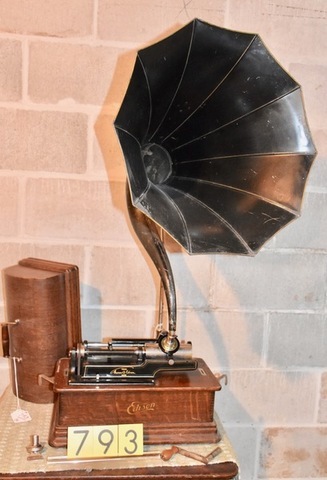 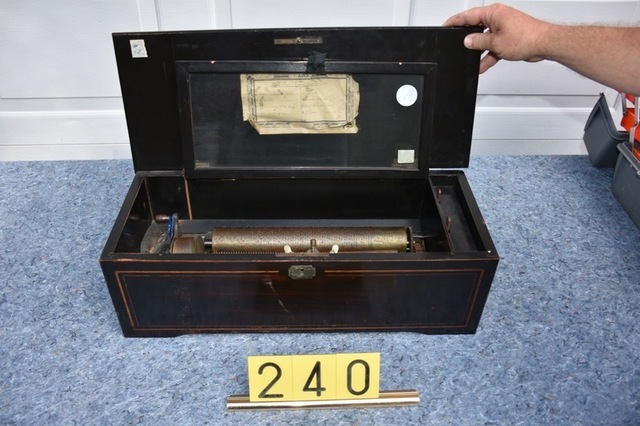 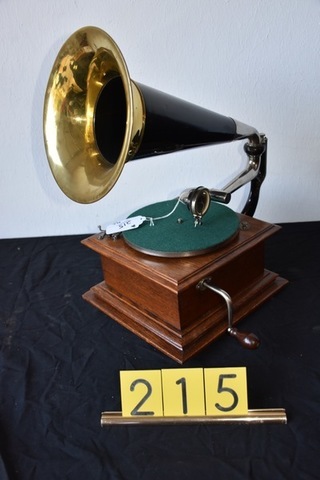 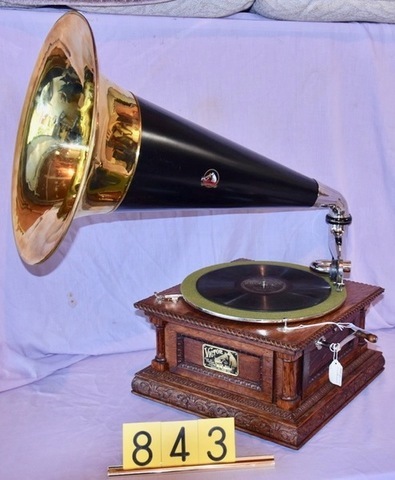 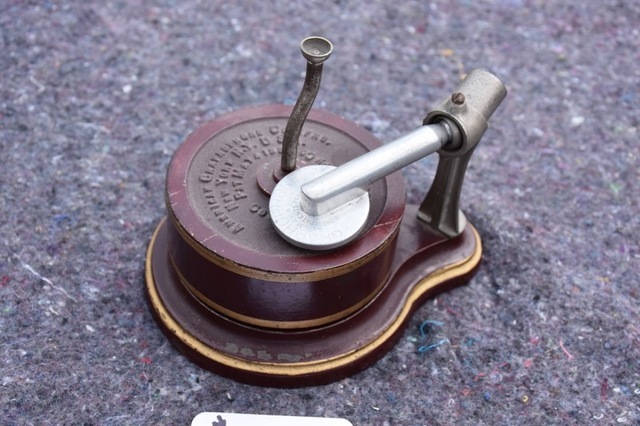 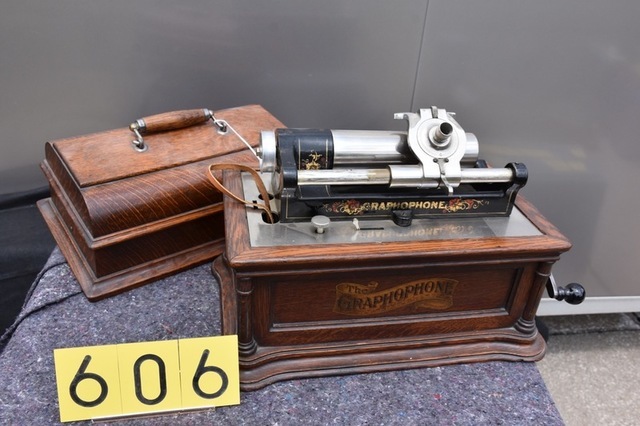 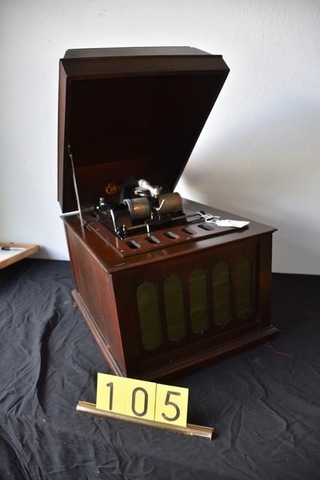 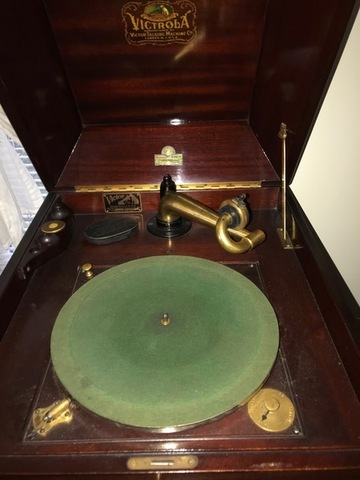 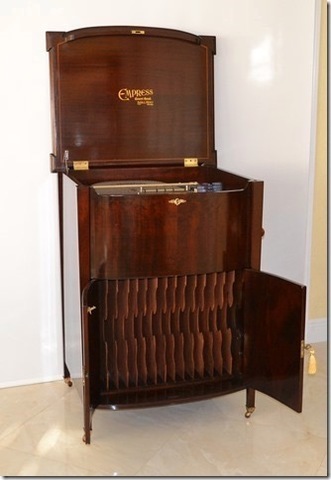 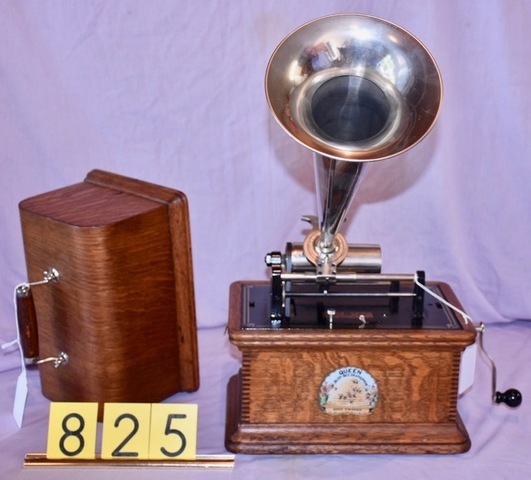 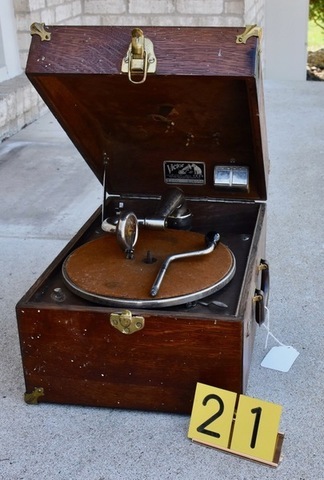 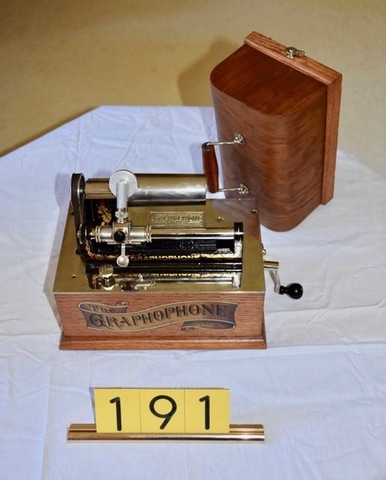 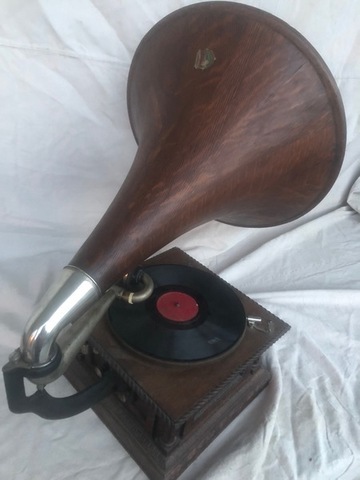 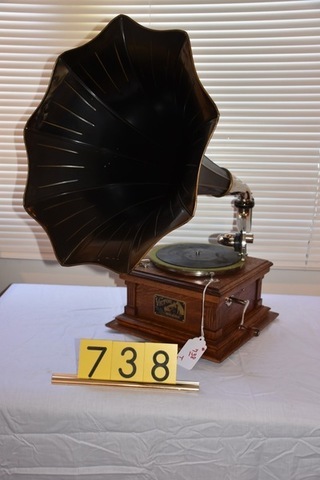 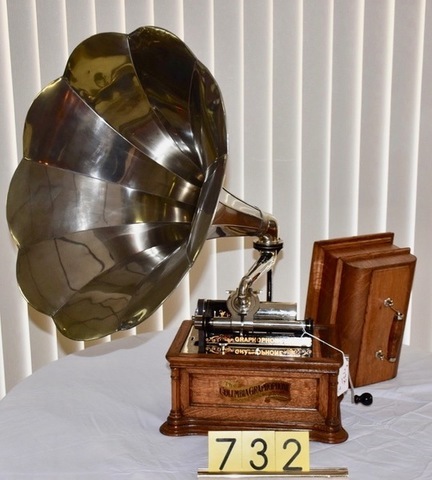 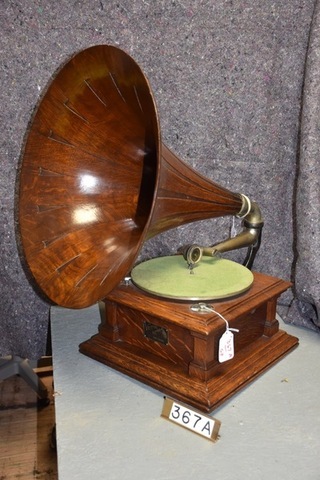 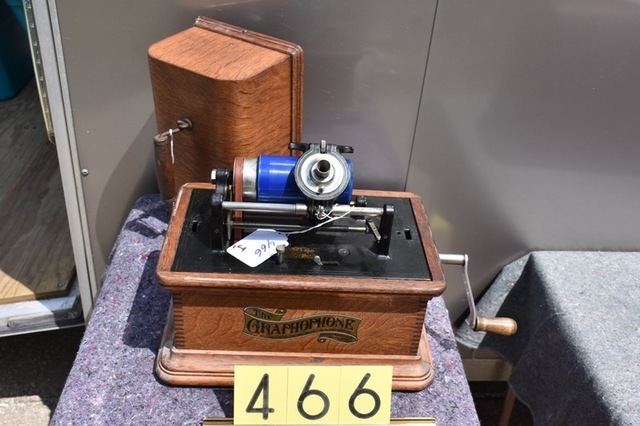 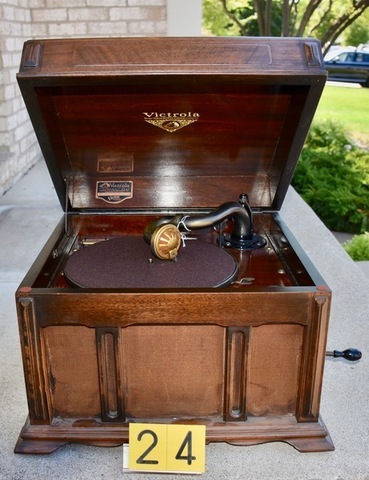 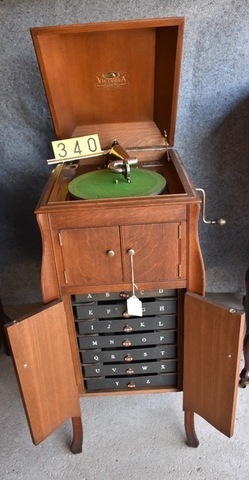 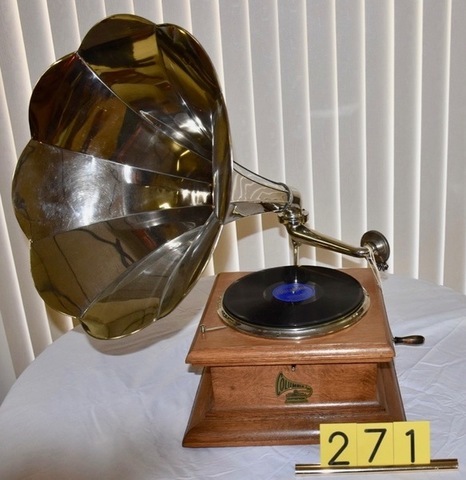 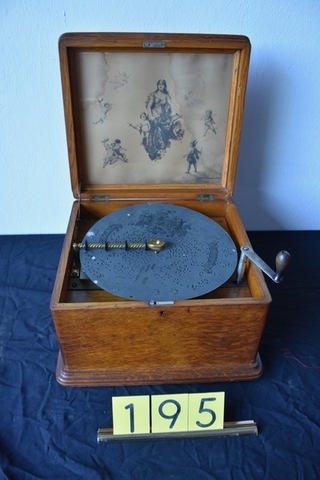 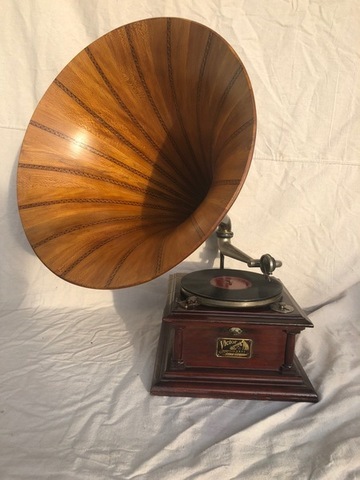 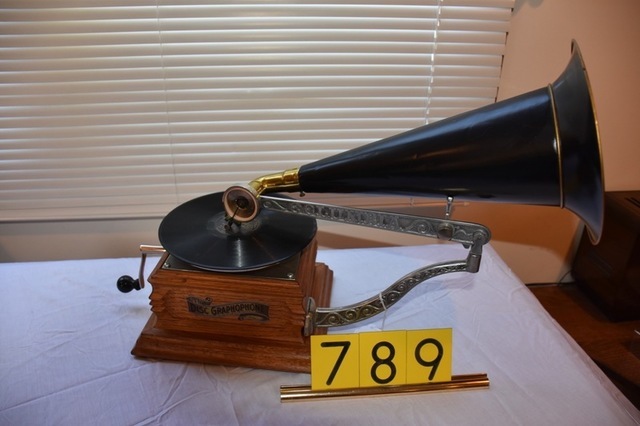 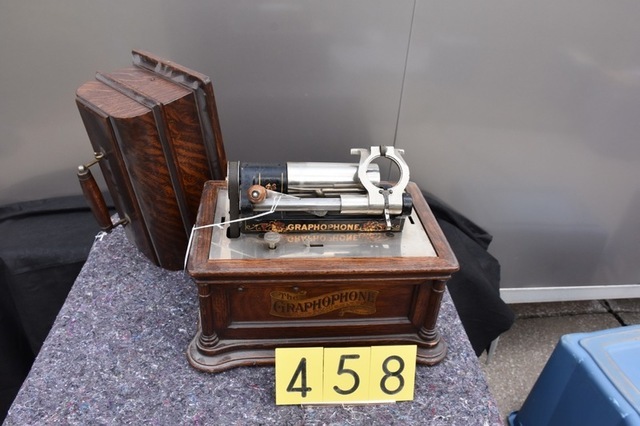 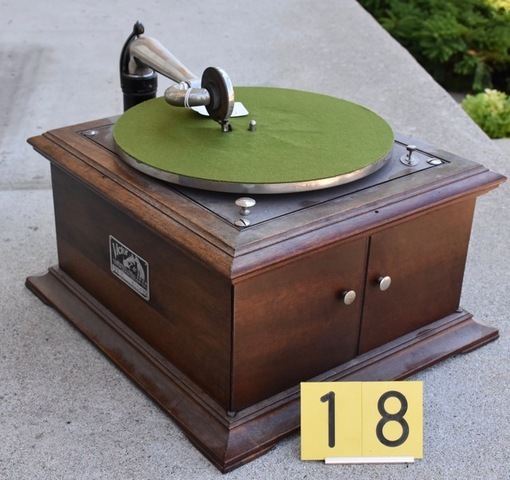 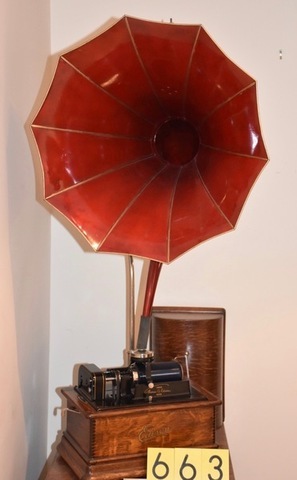 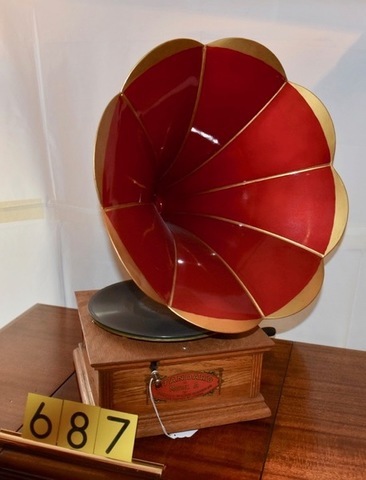 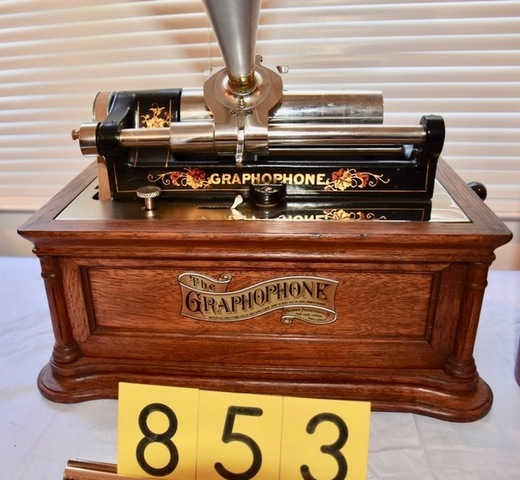 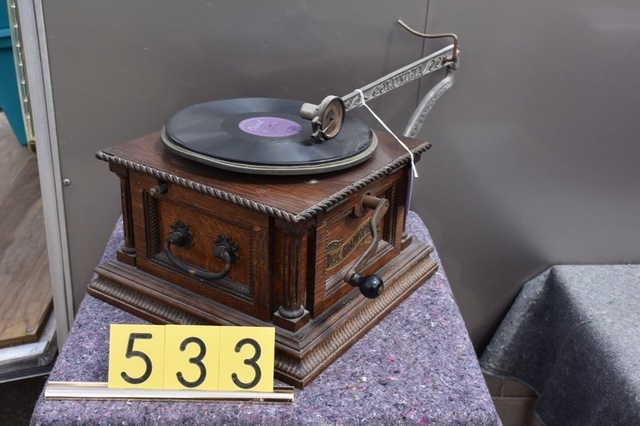 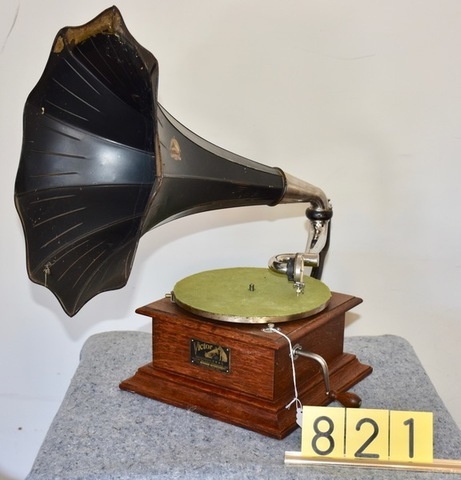 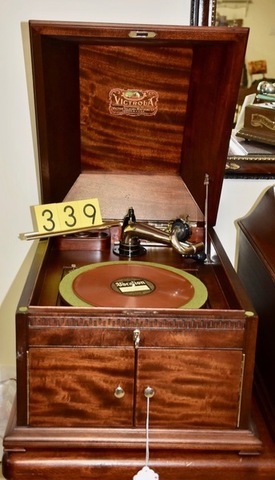 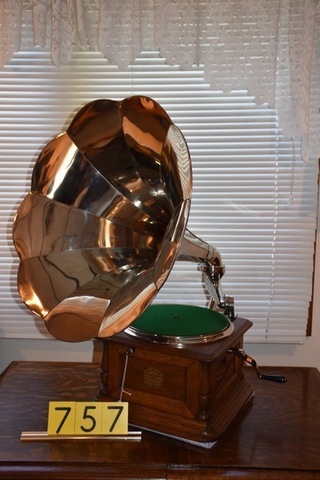 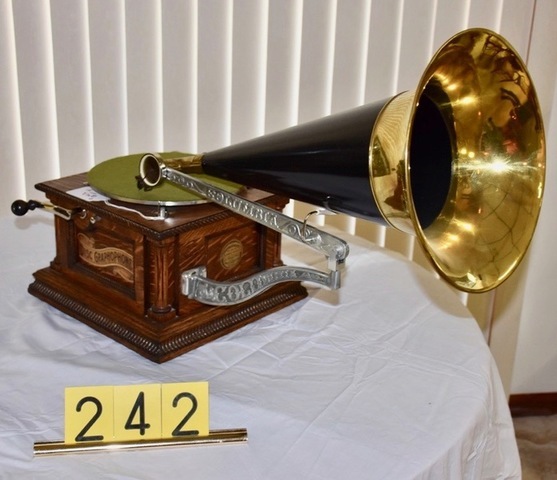 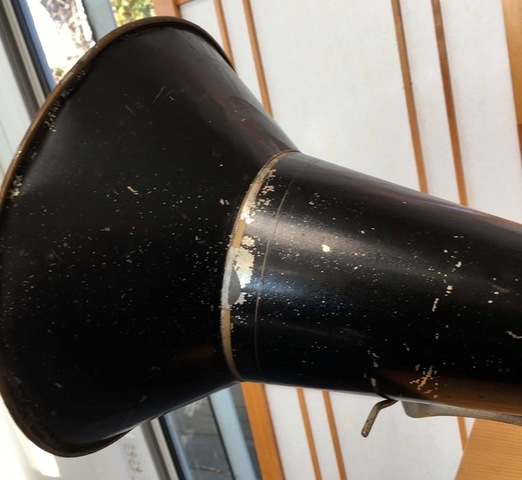 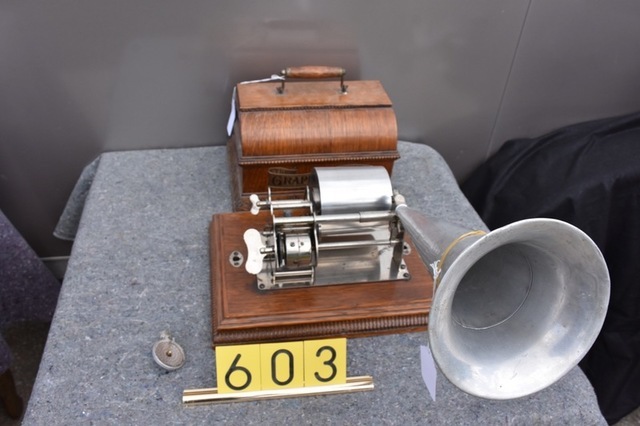 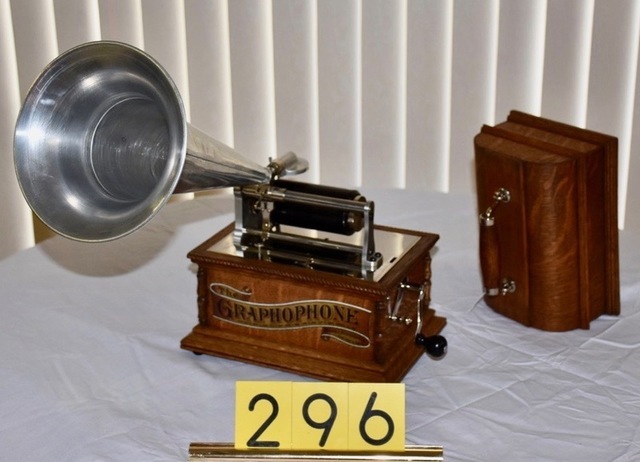 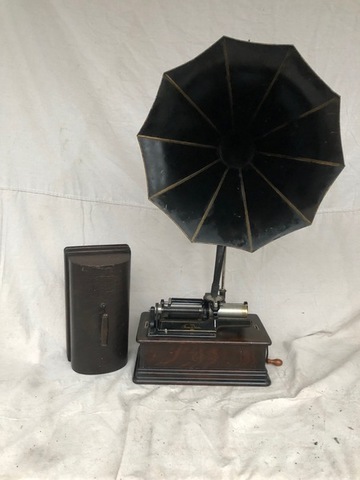 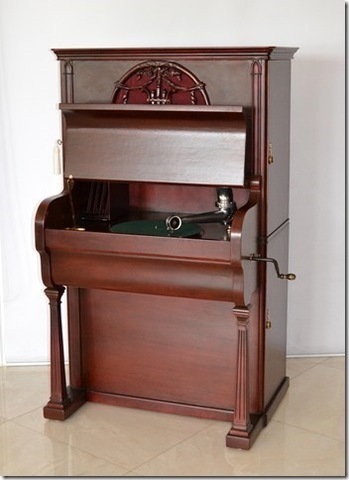 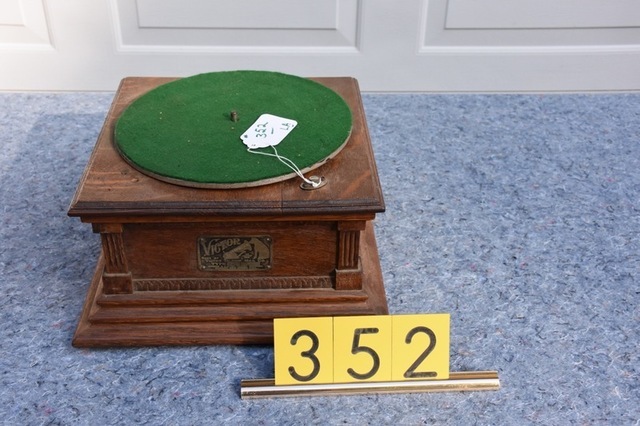 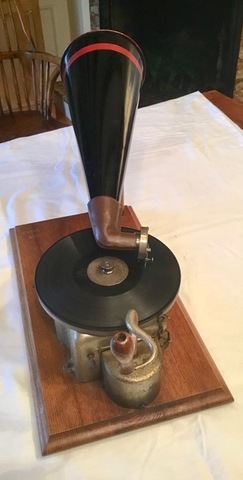 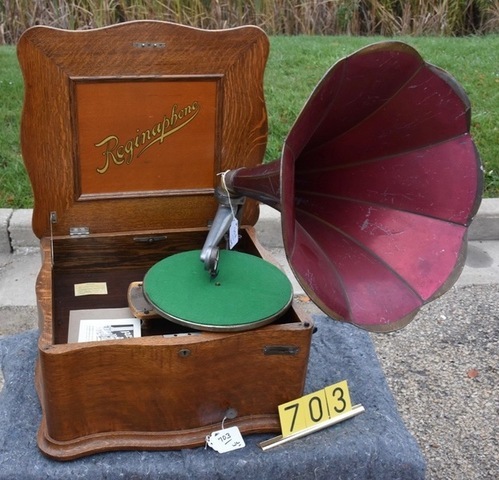 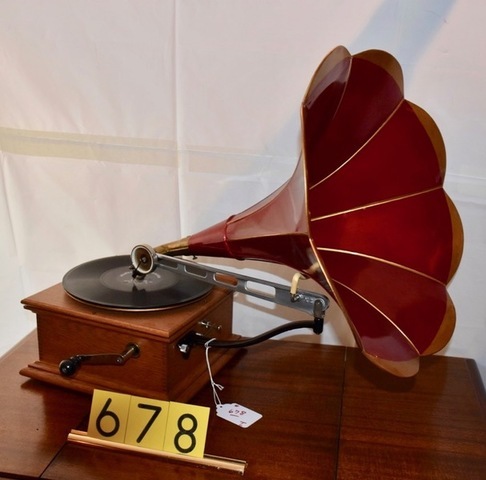 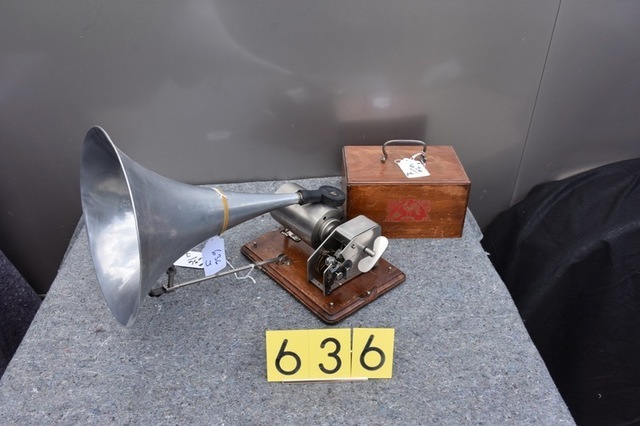 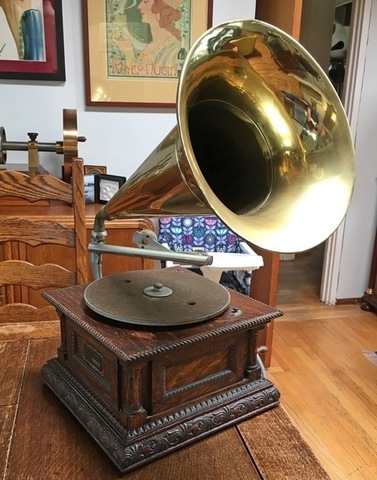 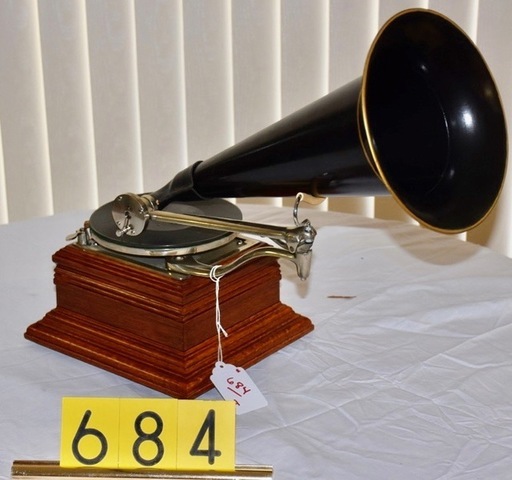 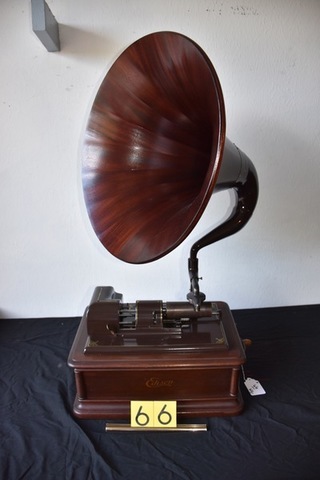 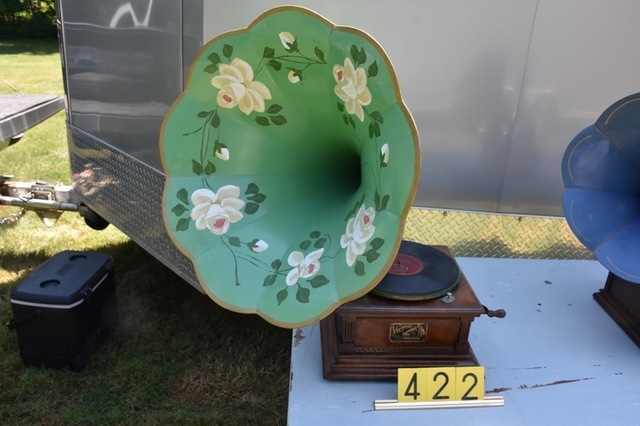 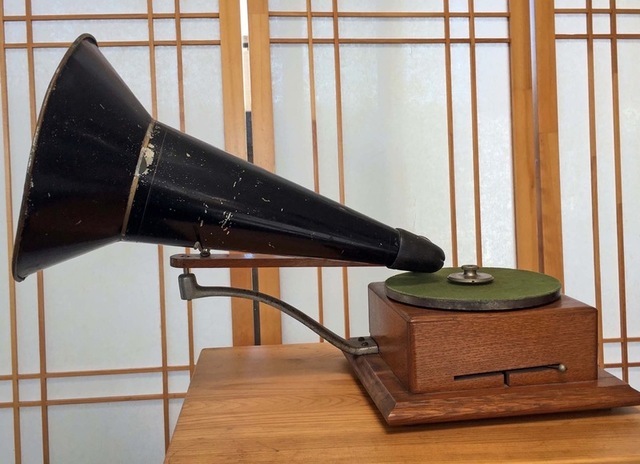 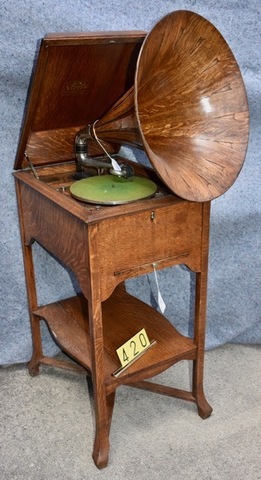 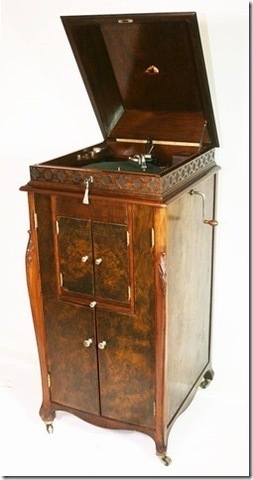 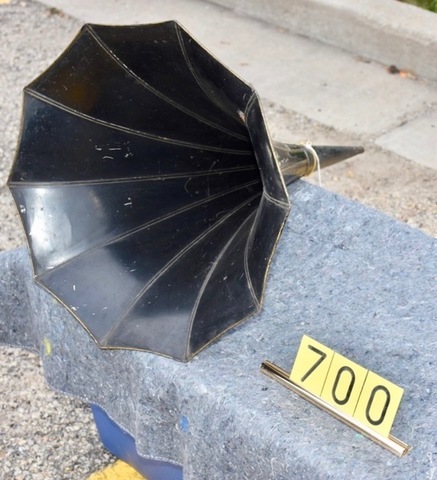 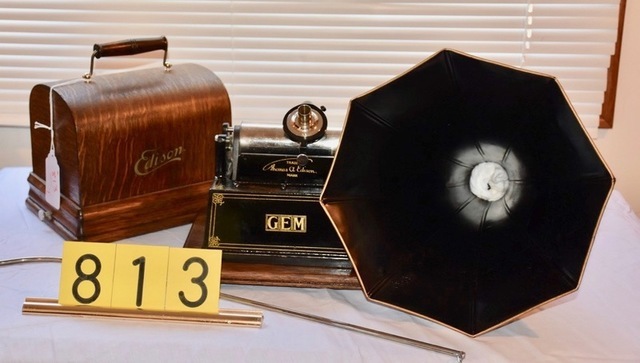 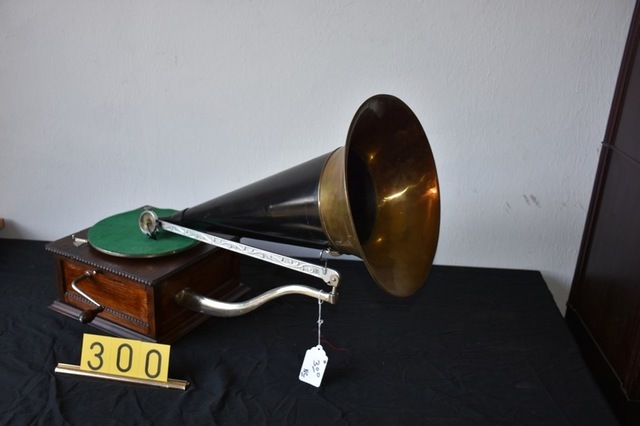 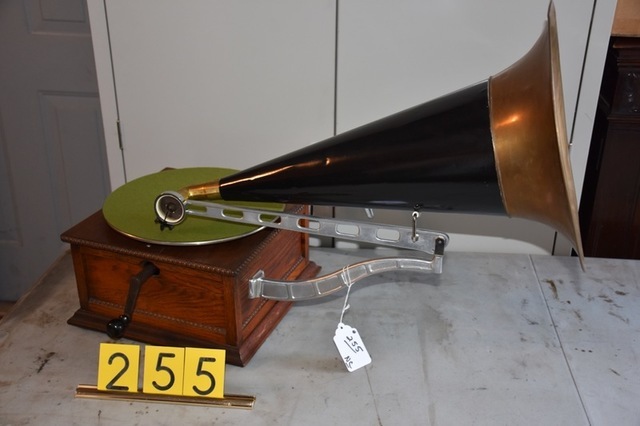 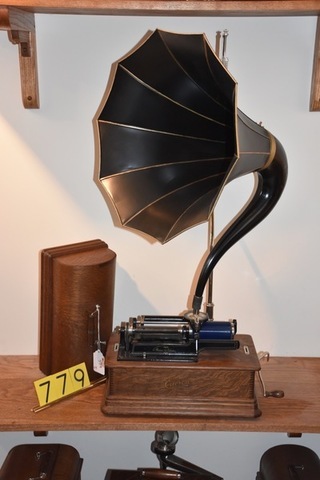 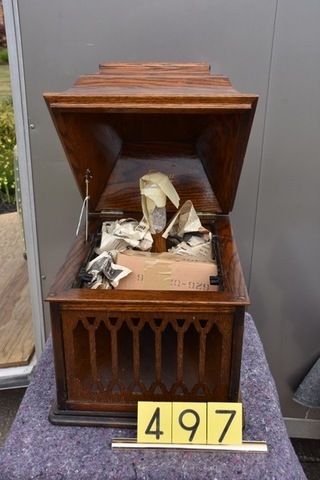 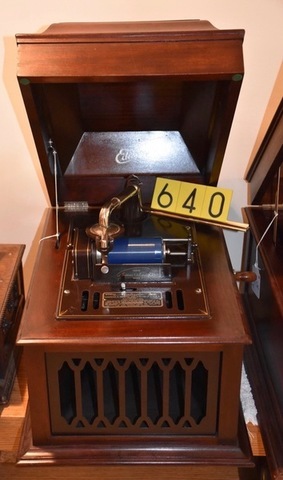 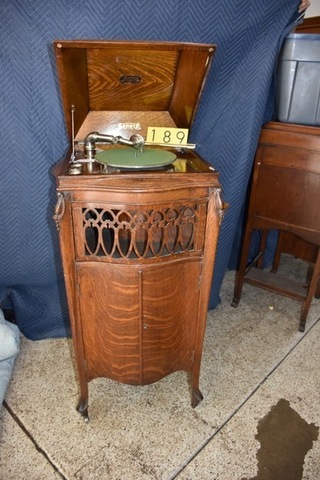 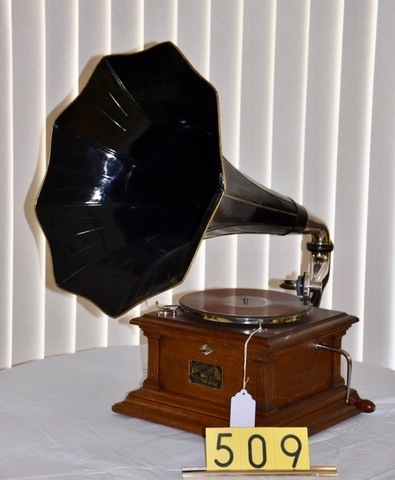 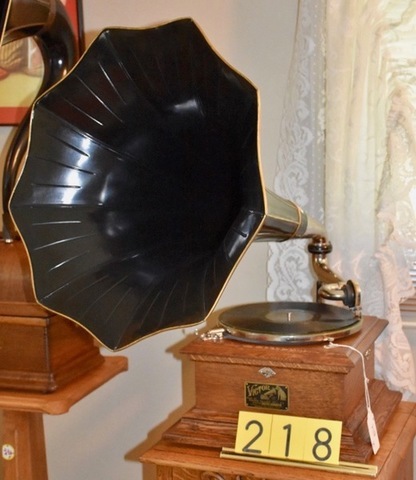 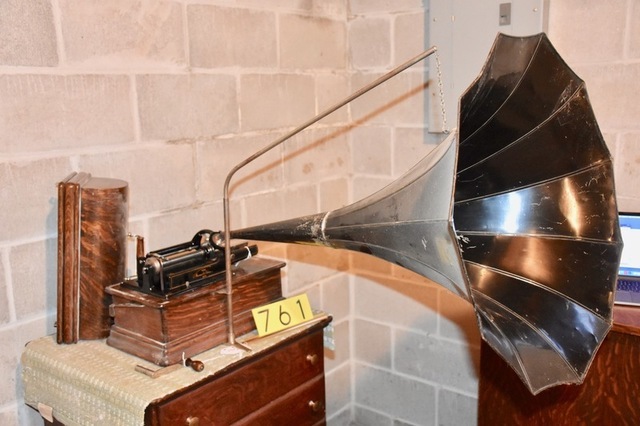 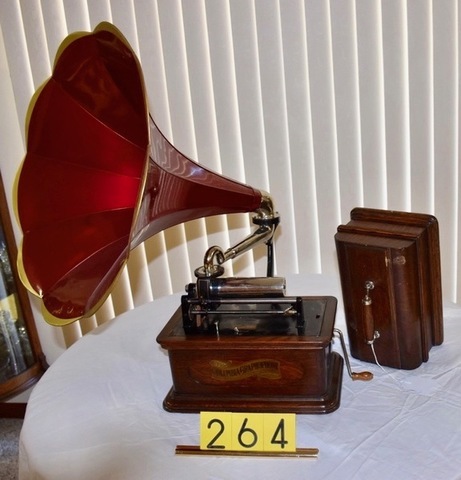 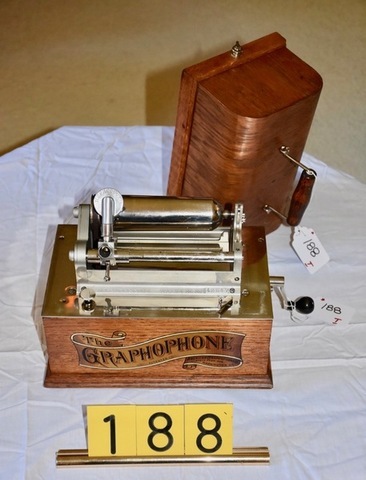 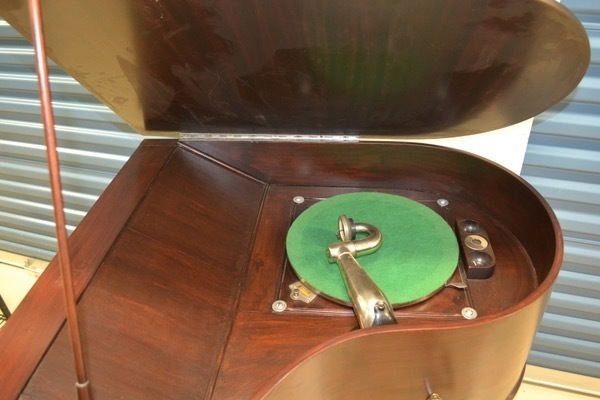 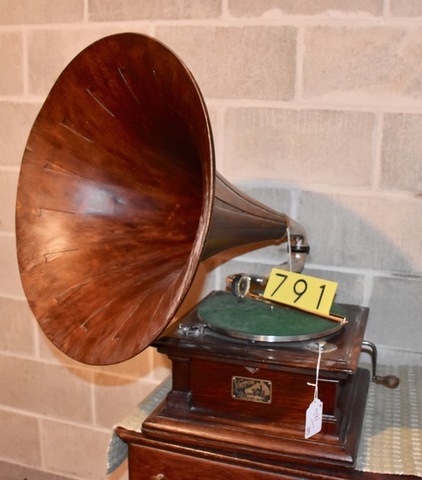 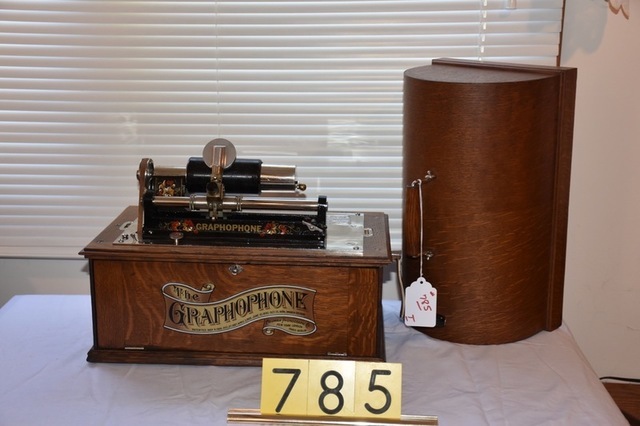 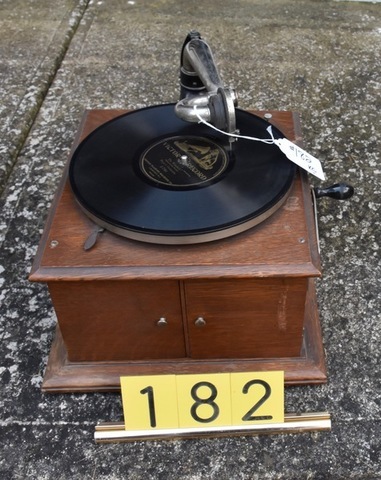 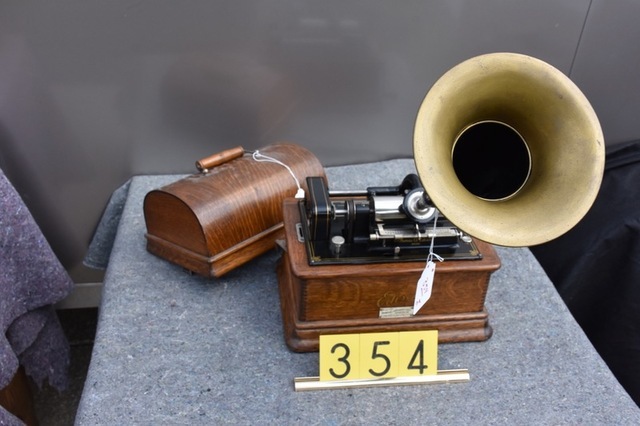 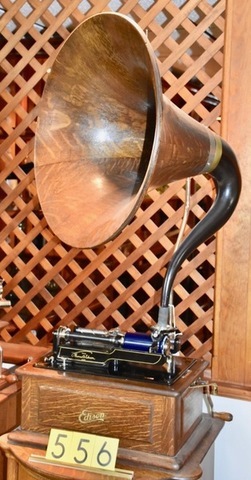 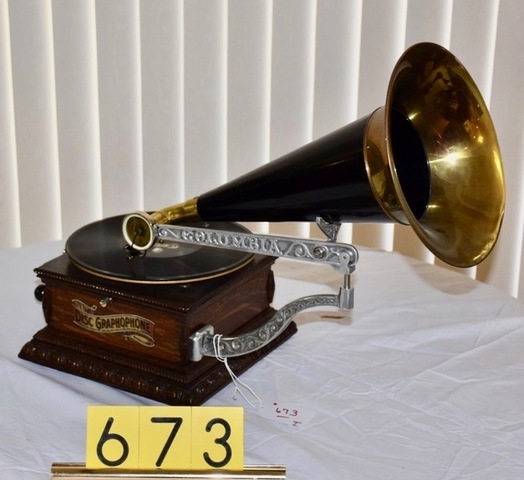 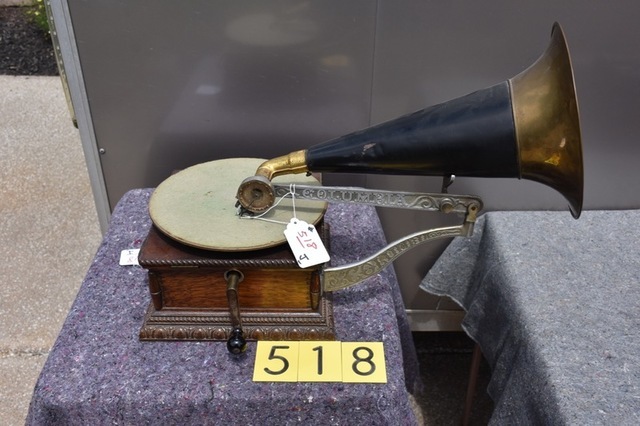 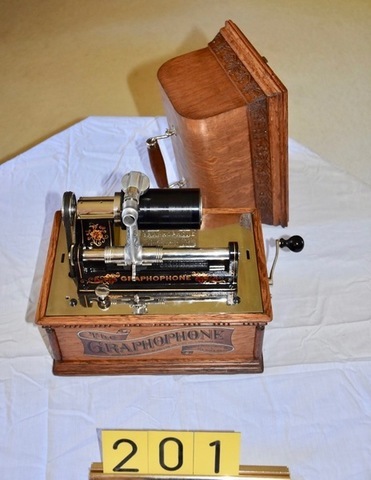 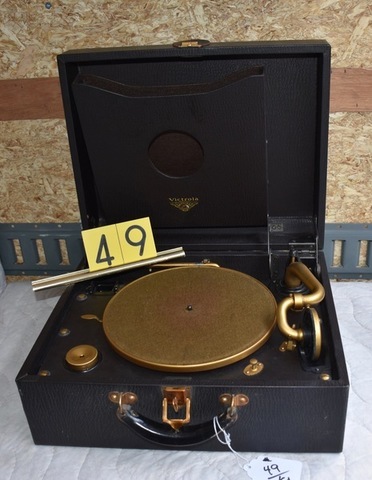 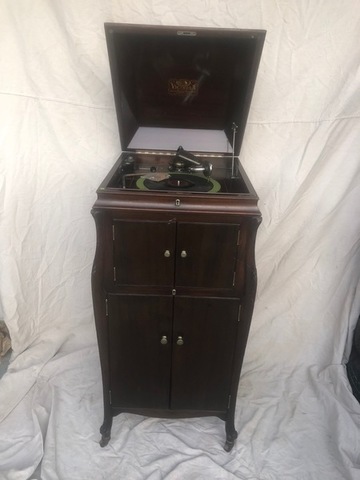 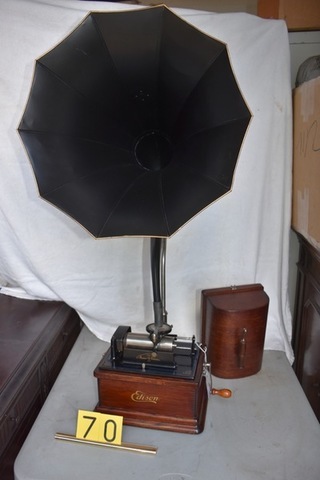 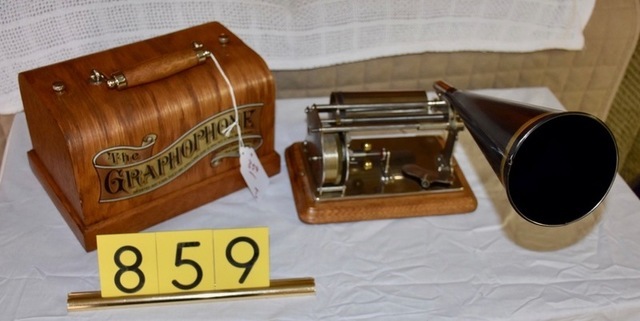 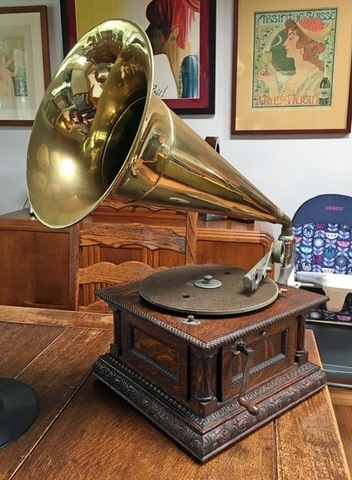 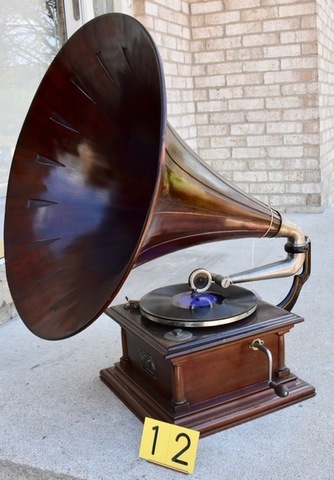 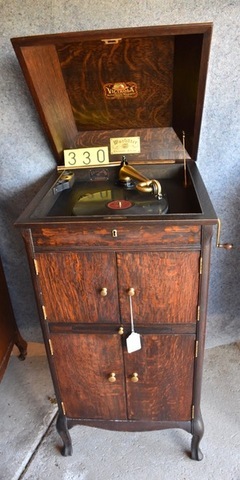 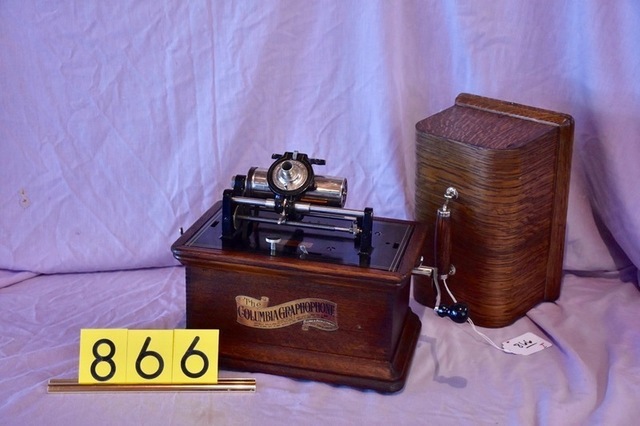 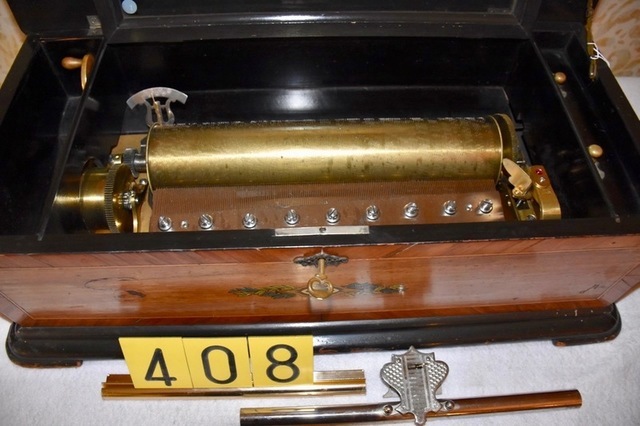 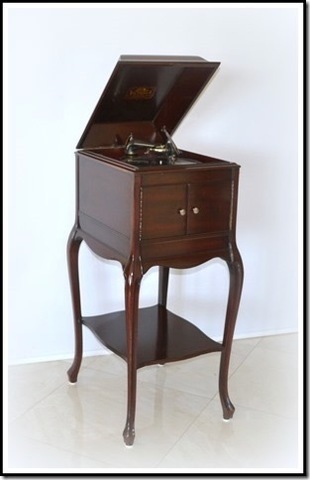 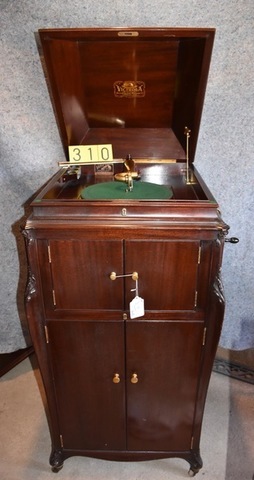 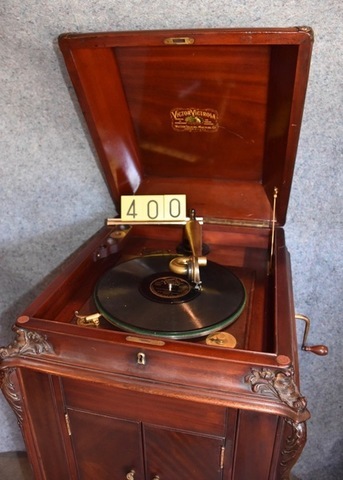 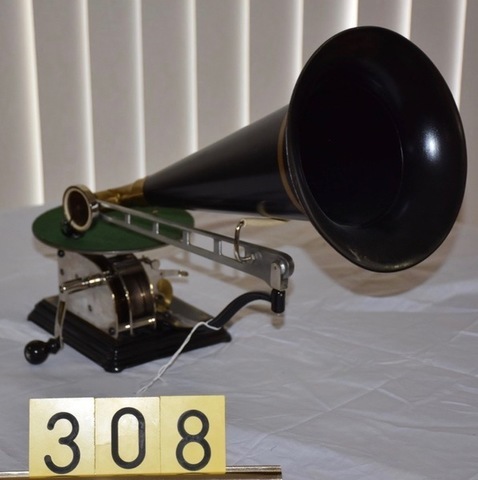 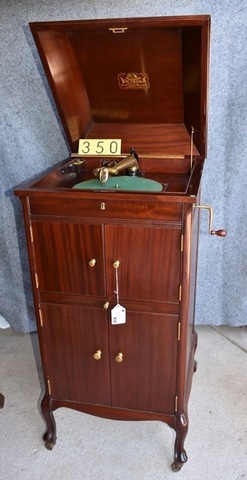 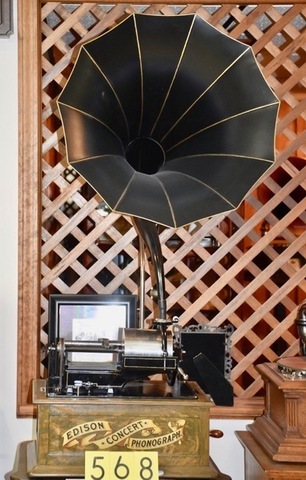 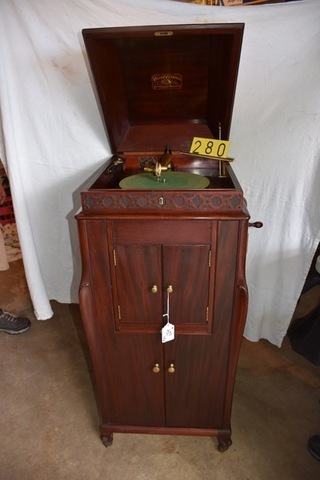 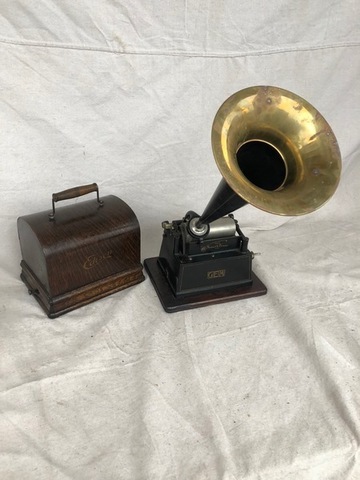 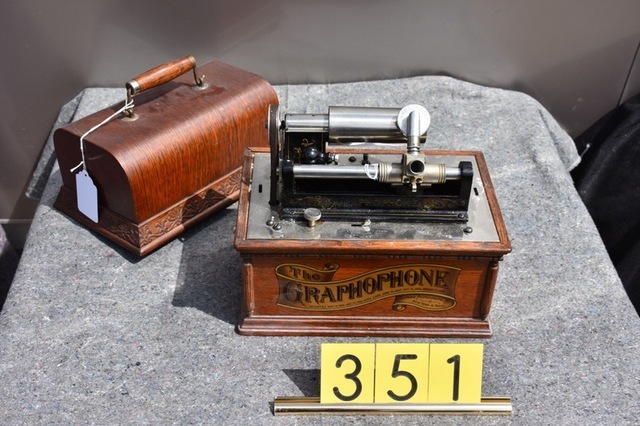 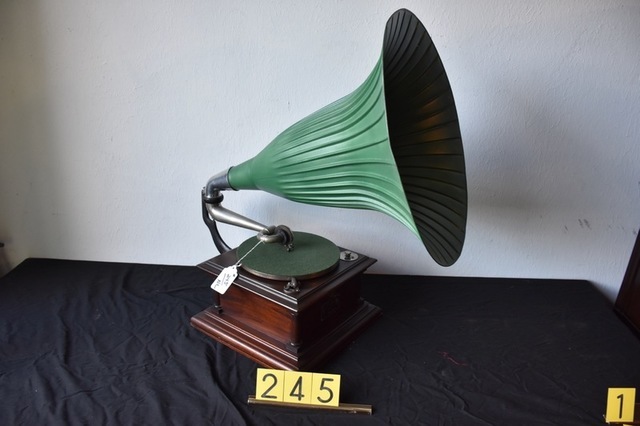 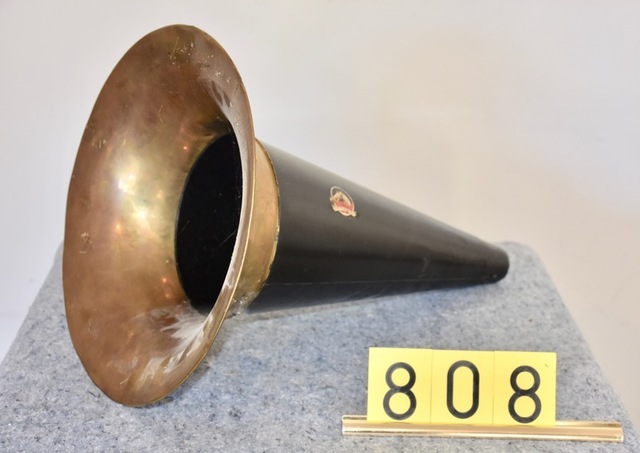 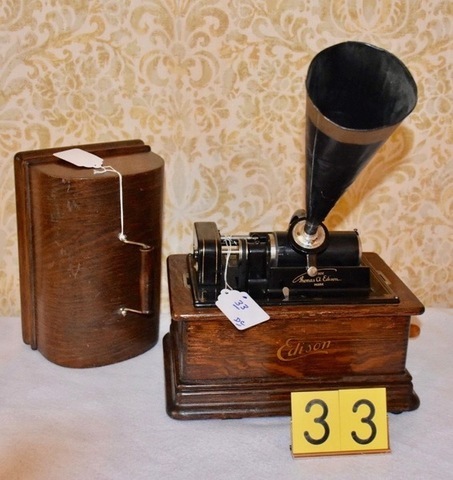 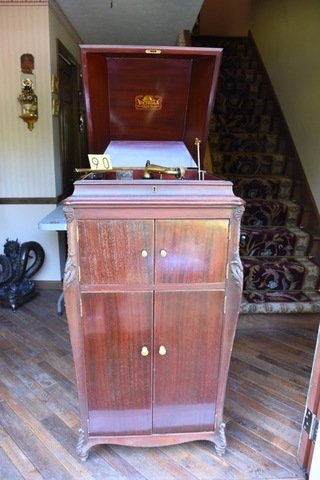 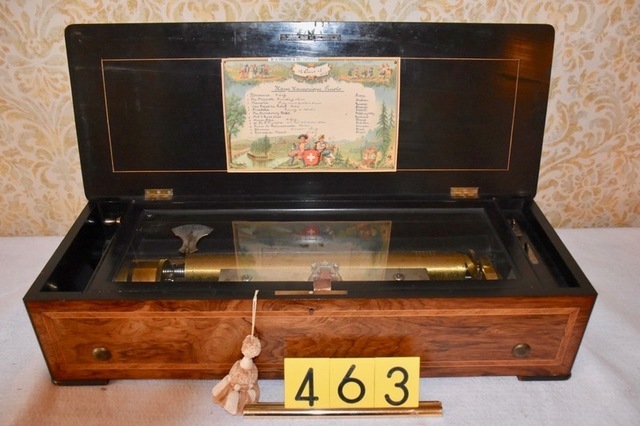 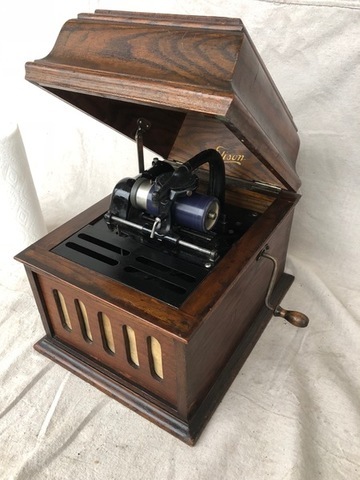 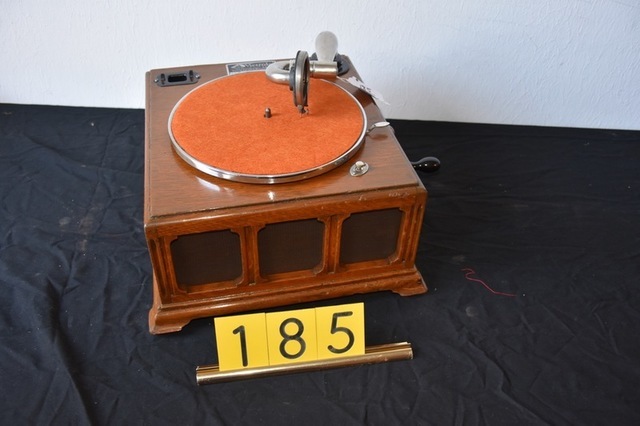 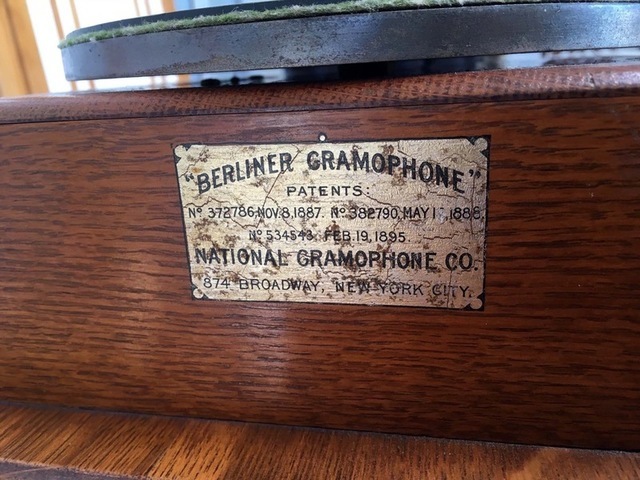 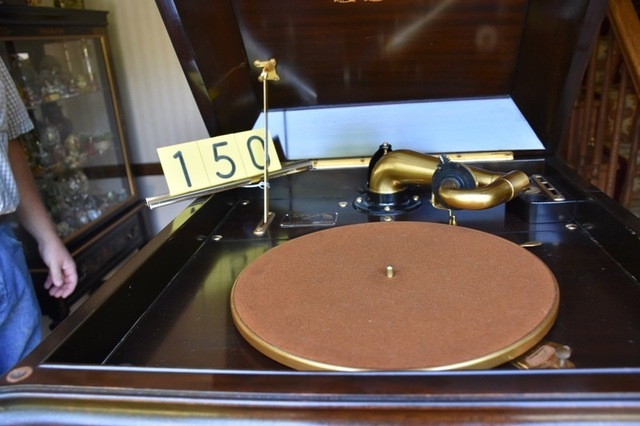 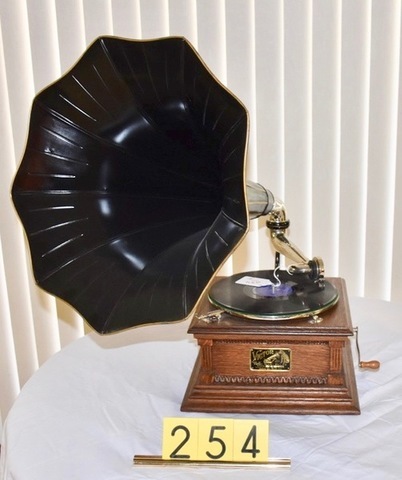 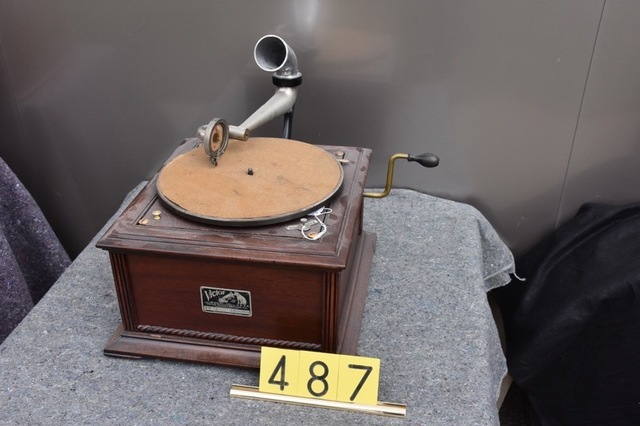 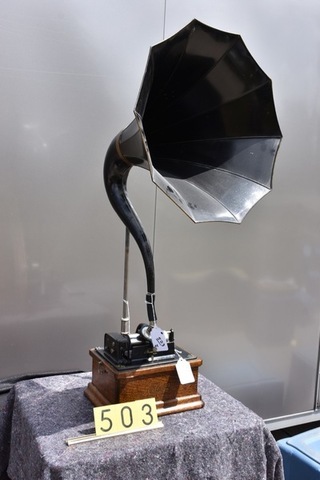 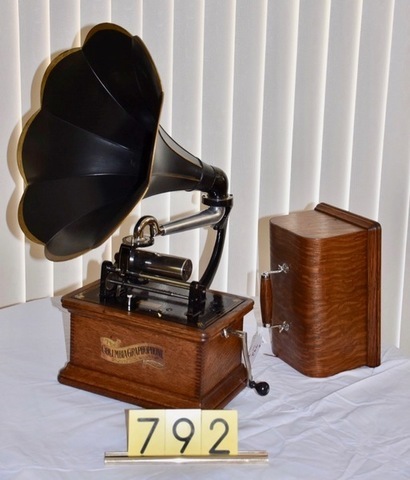 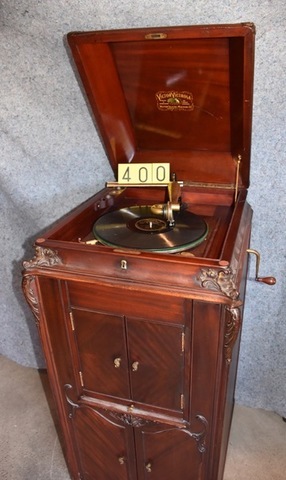 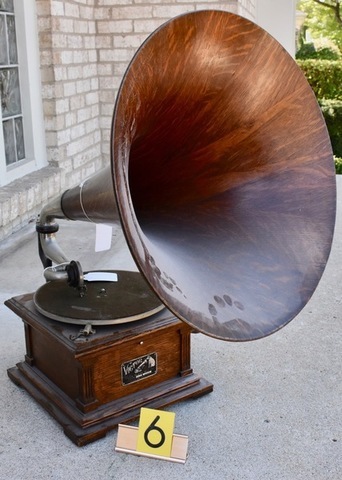 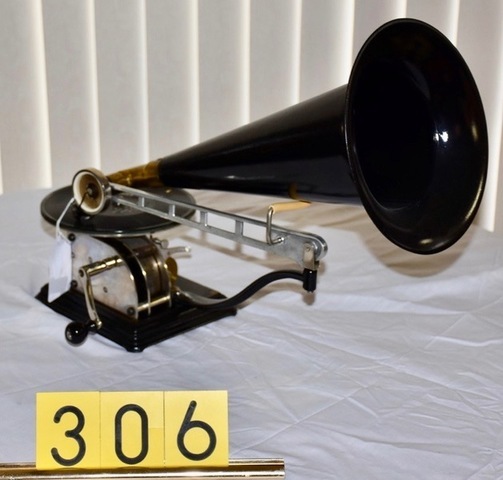 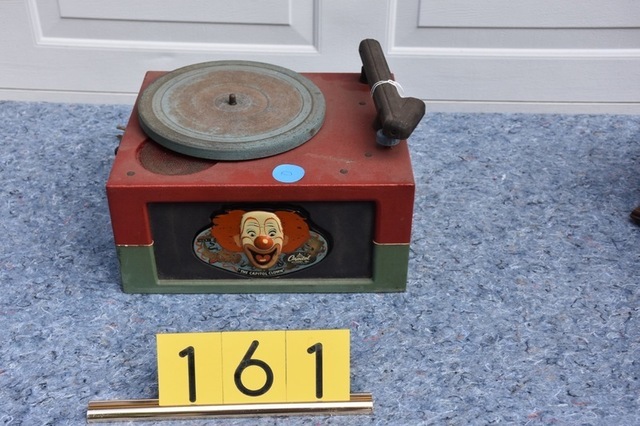 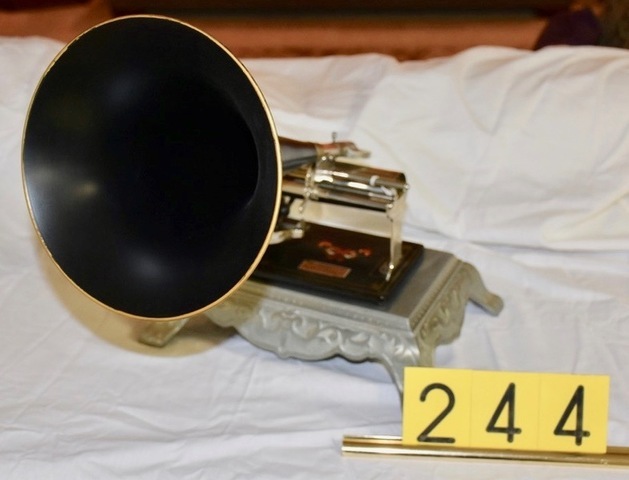 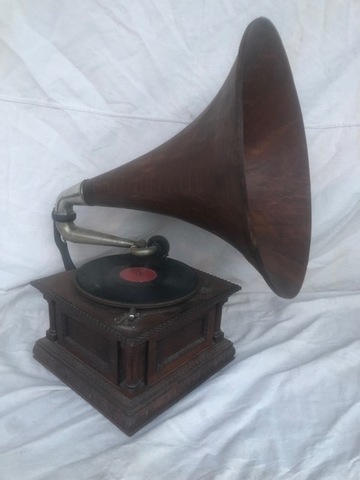 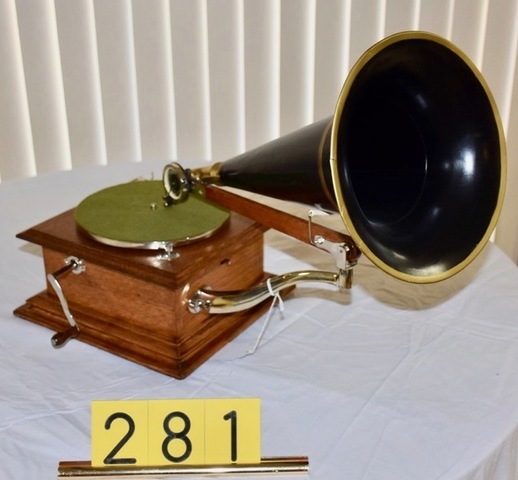 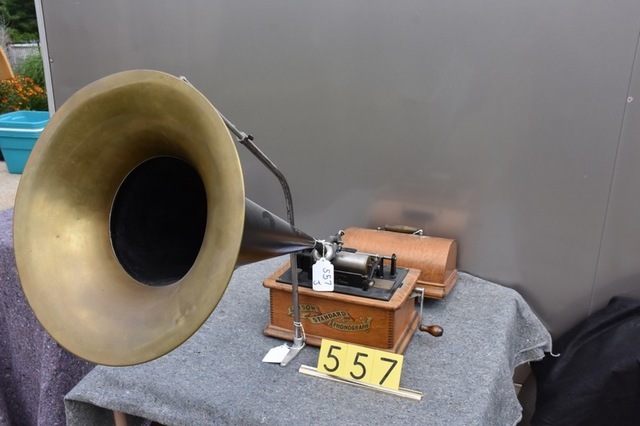 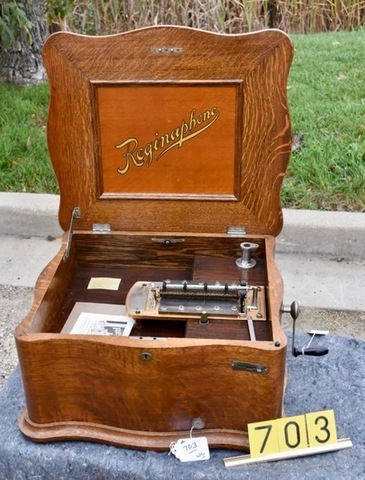 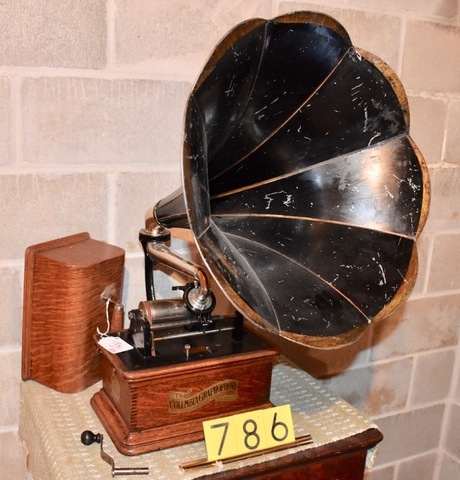 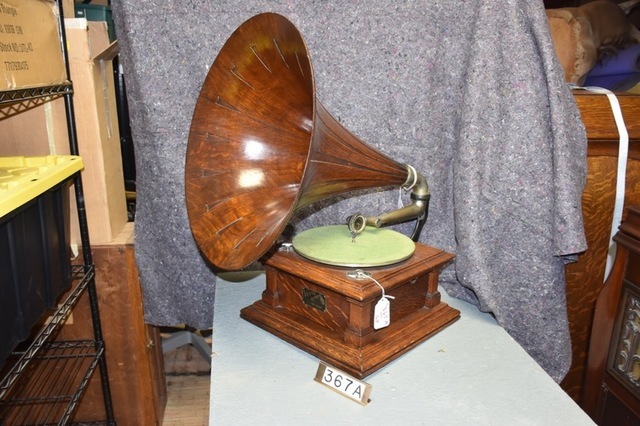 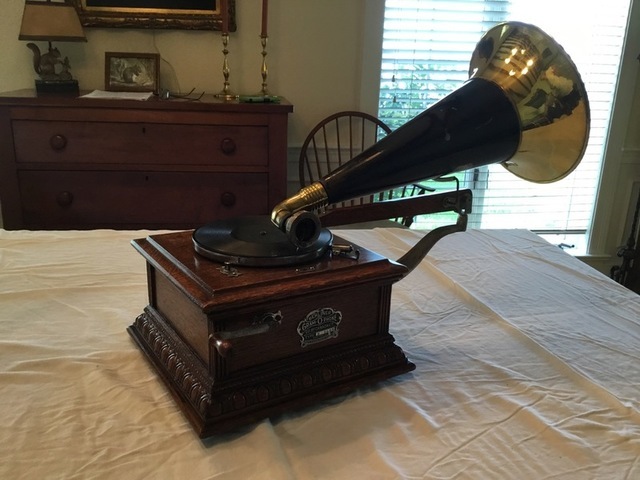 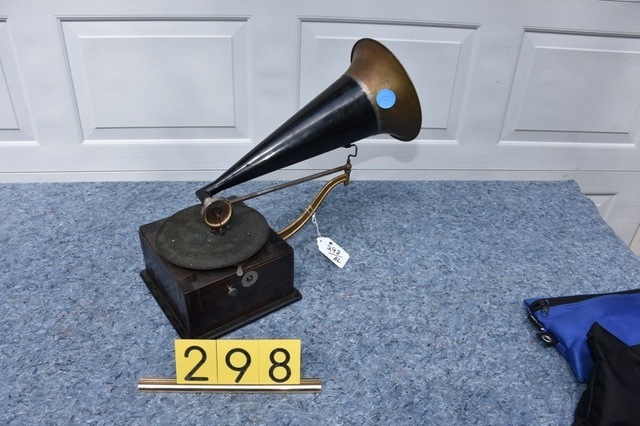 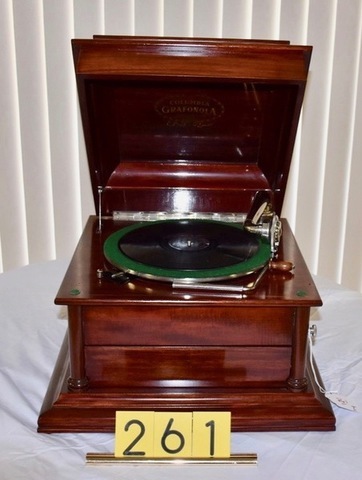 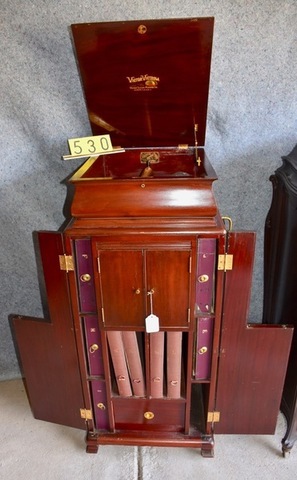 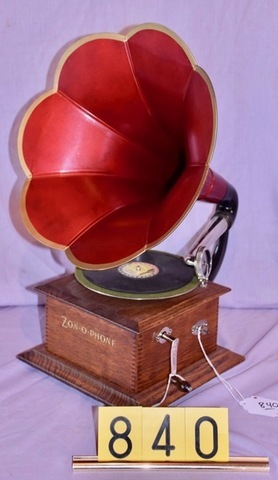 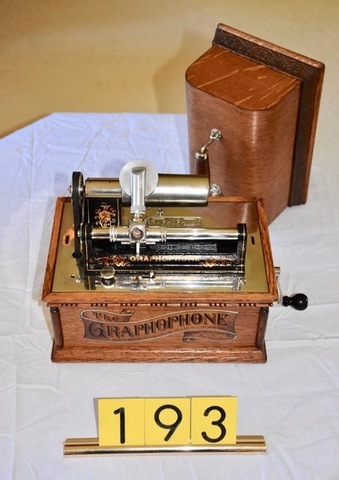 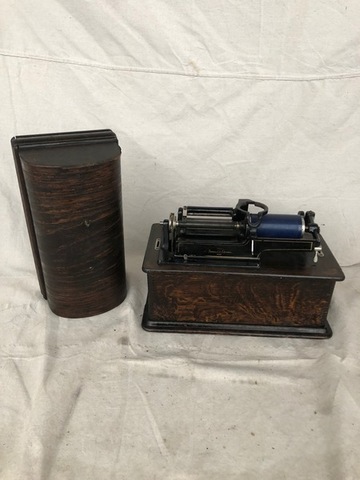 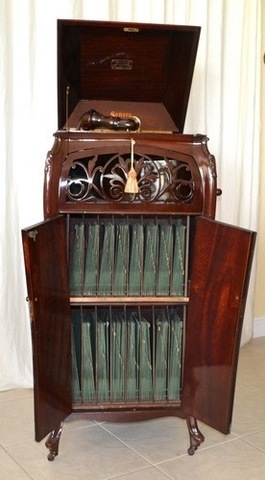 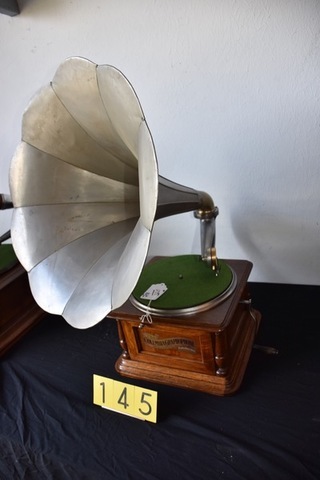 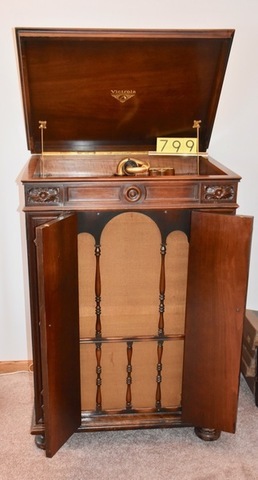 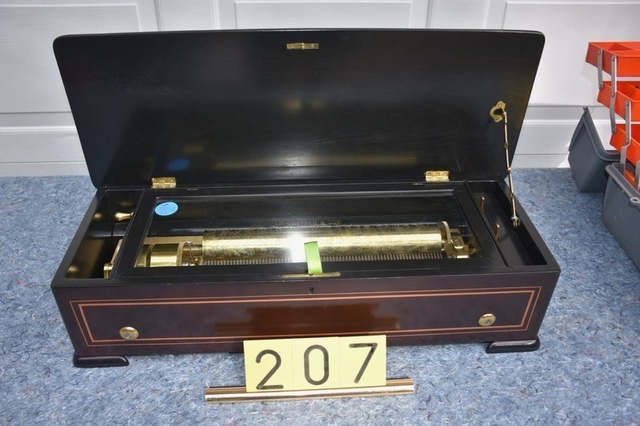 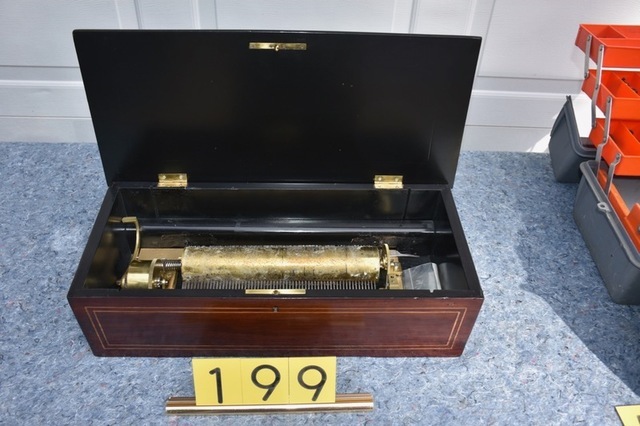 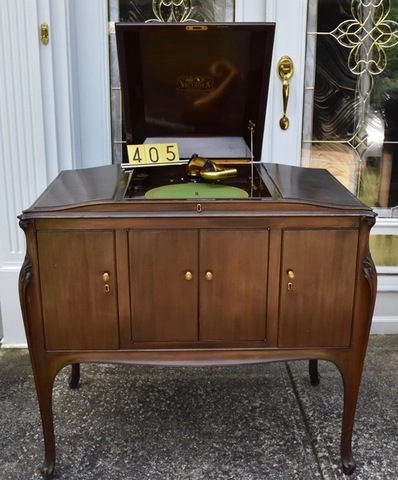 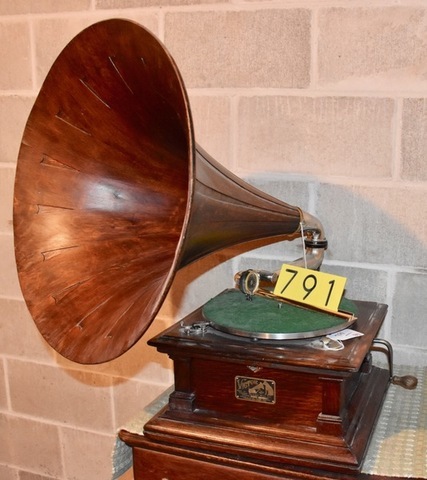 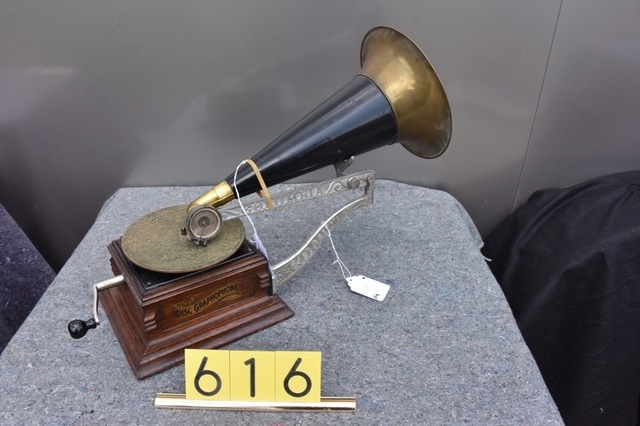 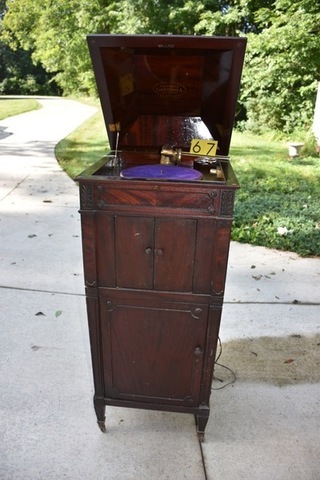 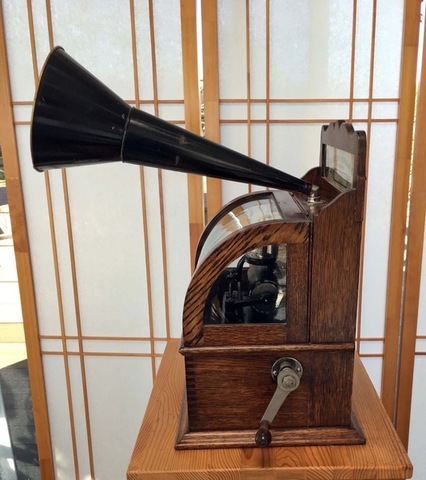 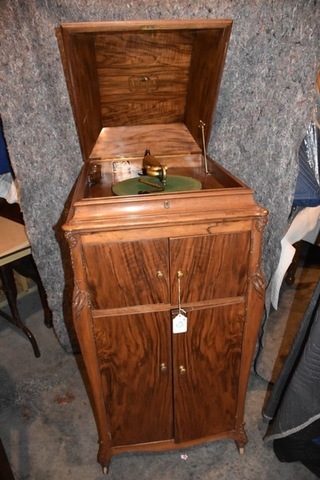 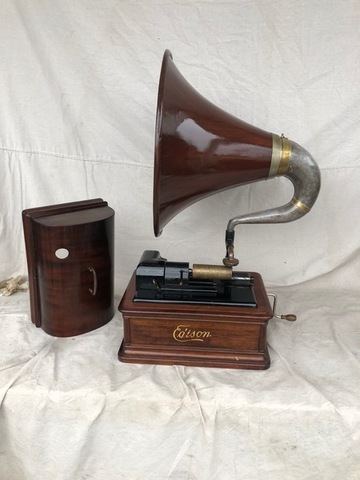 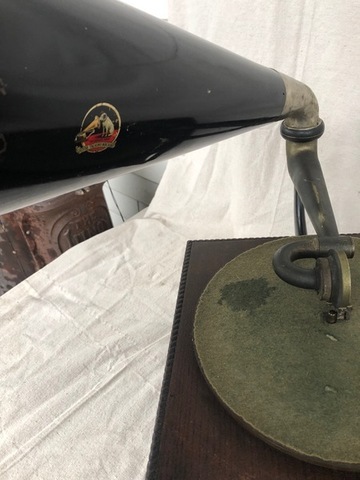 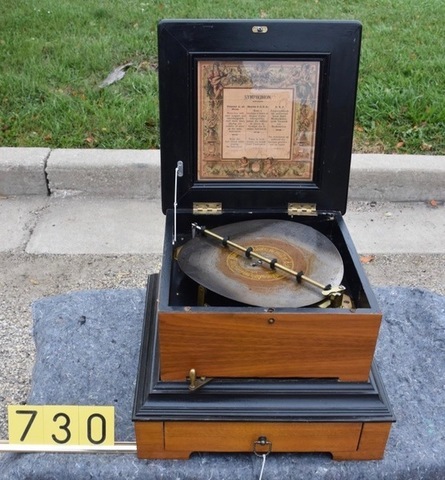 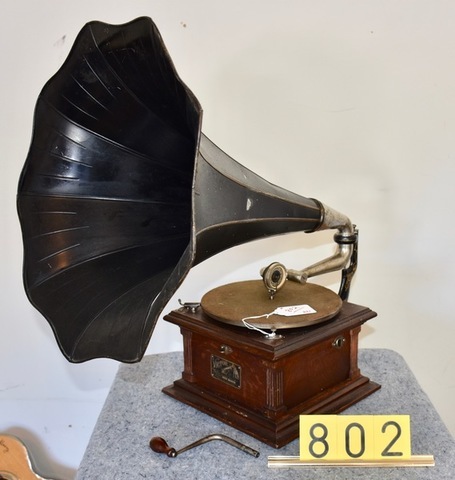 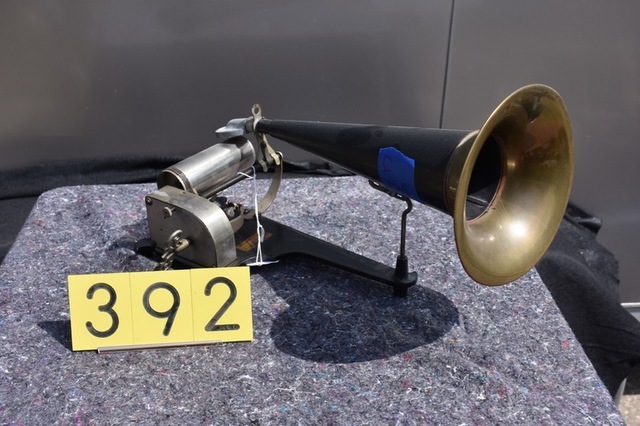 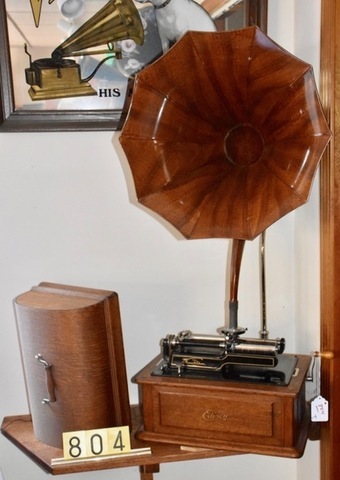 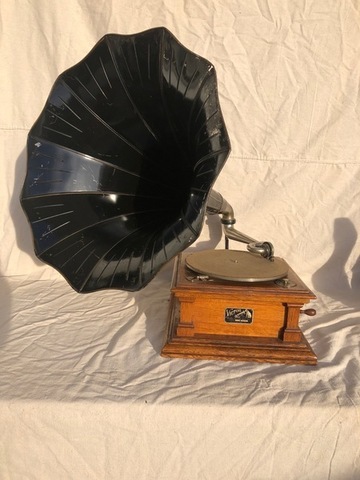 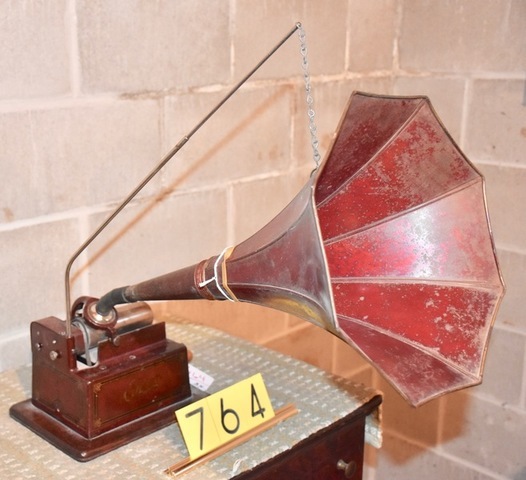 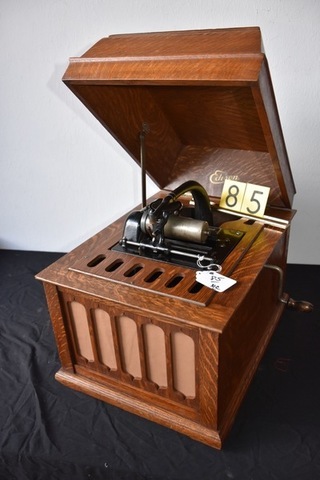 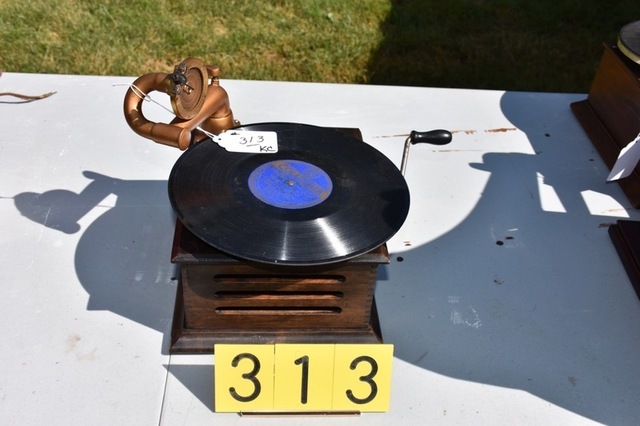 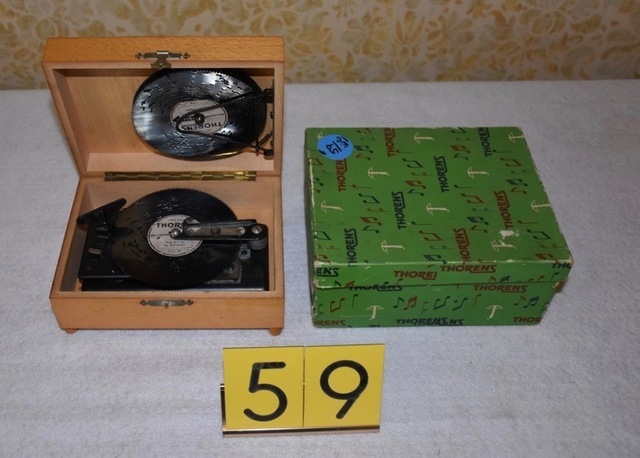 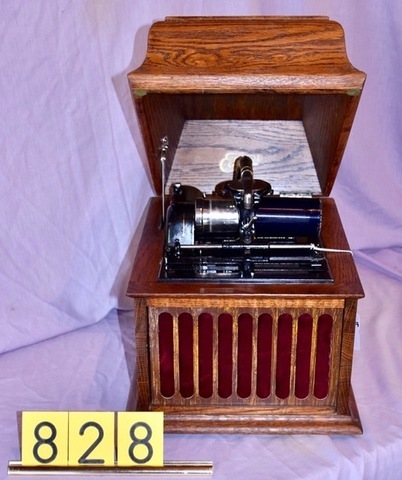 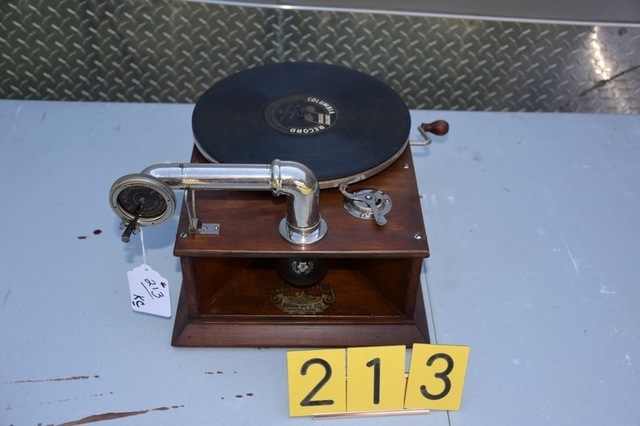 Berliner JS Gramophone; Berliner Montross Gramophone, Berliner hand wind Gramophone, An exceptional Orchestral Interchangeable cyinder music box with matching table, organ, bells, drum, castanet and 6 cylinders; Nelson Wiggens orchestrions, Clock top changer, along with so much more. 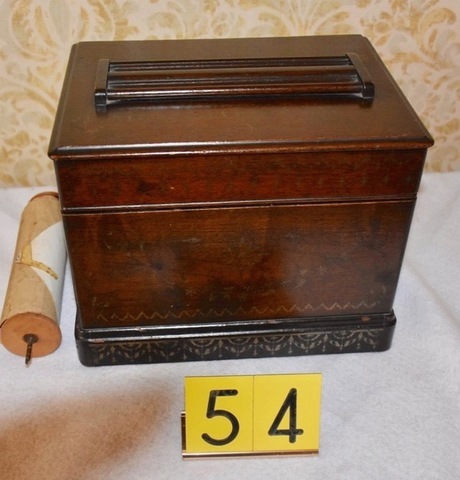 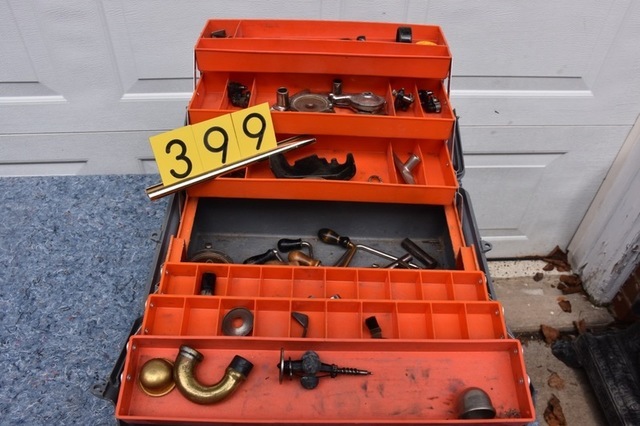 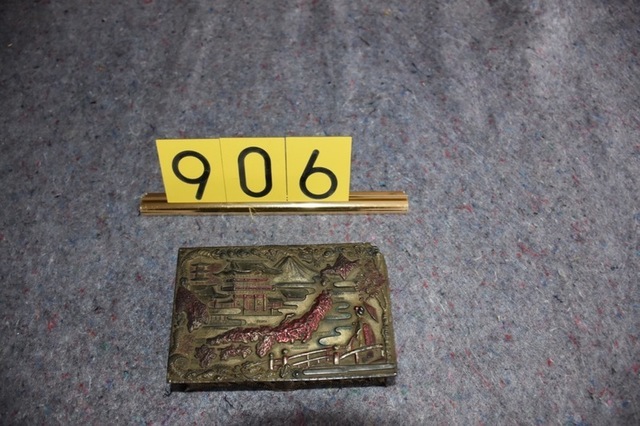 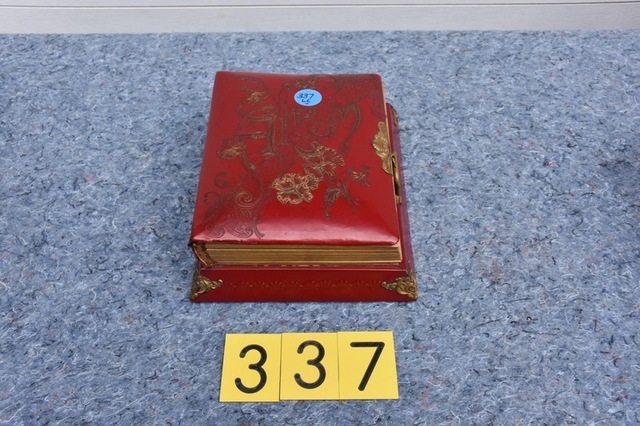 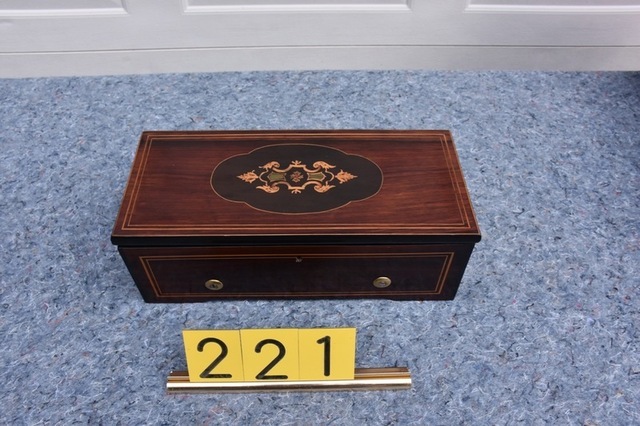 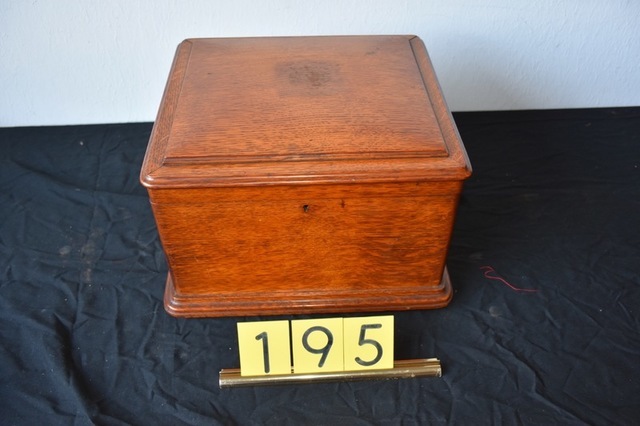 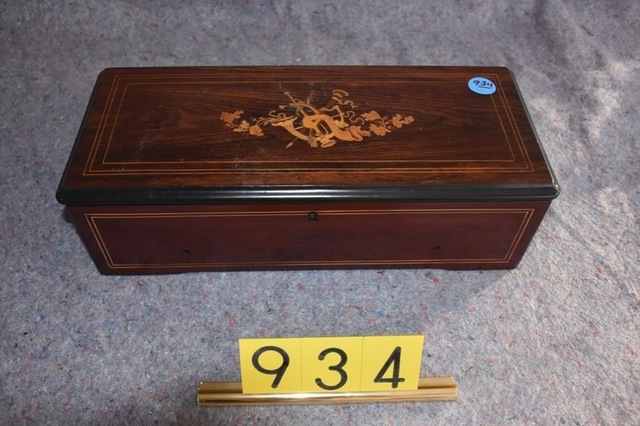 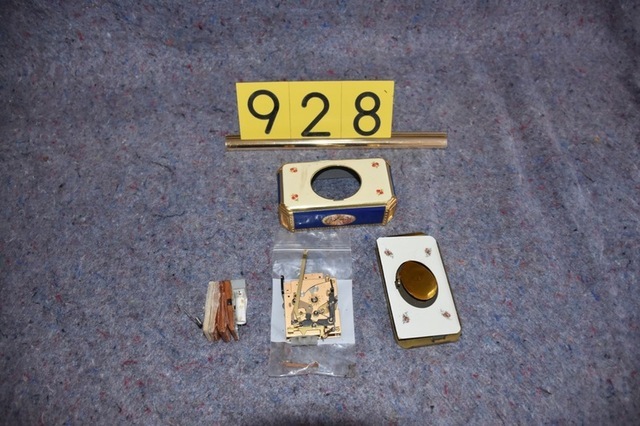 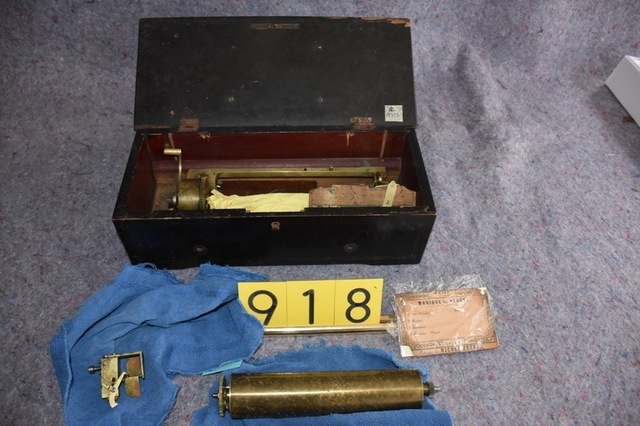 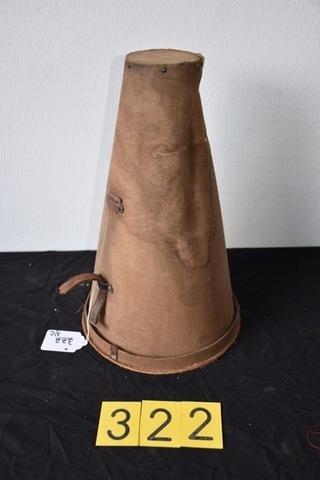 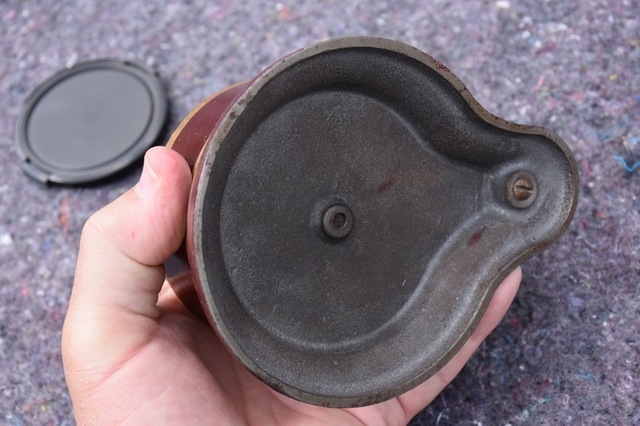 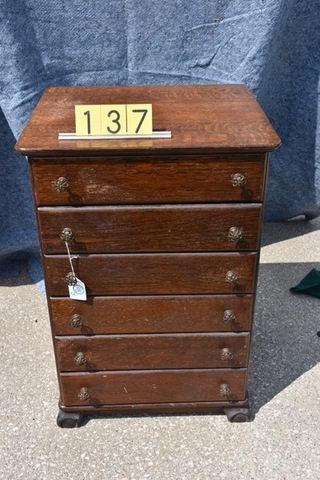 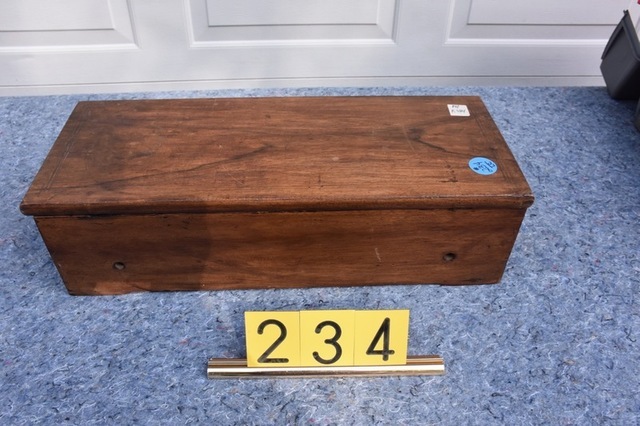 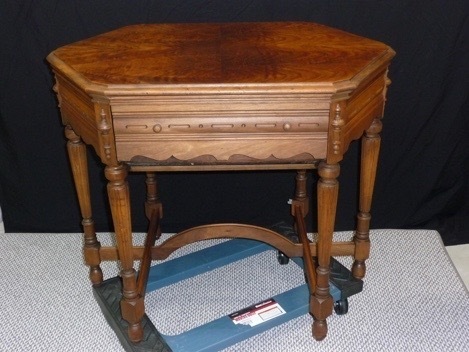 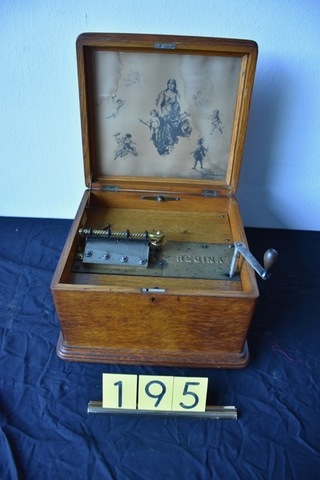 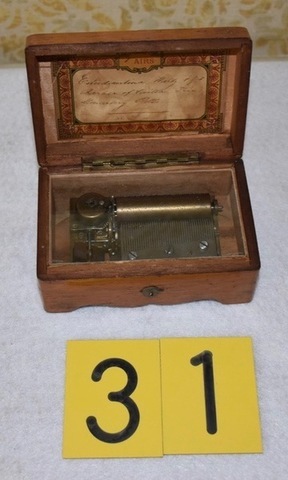 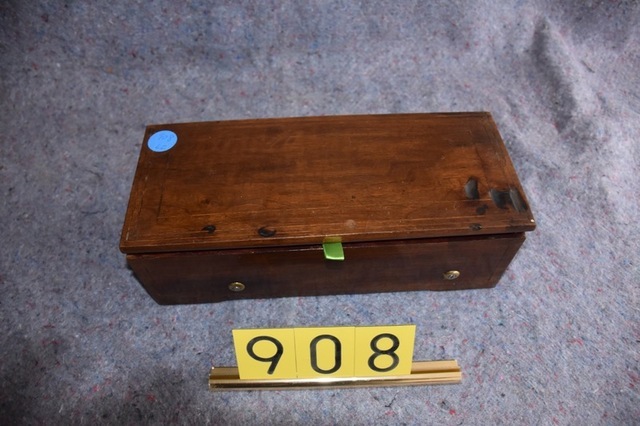 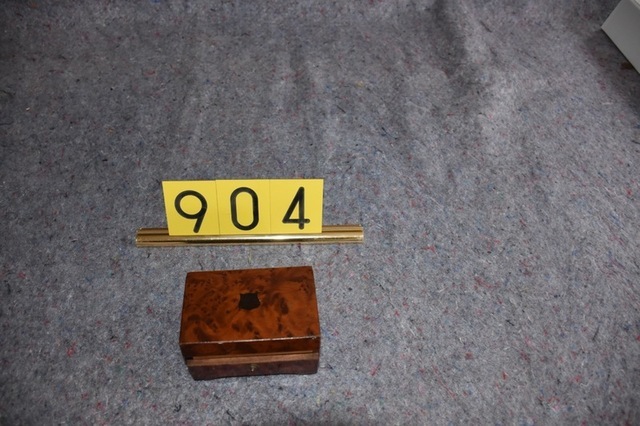 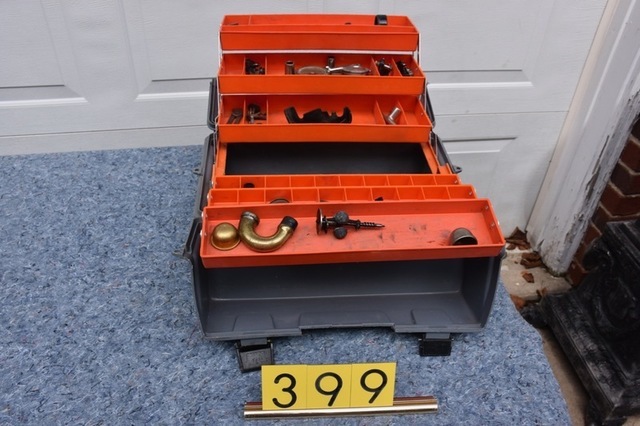 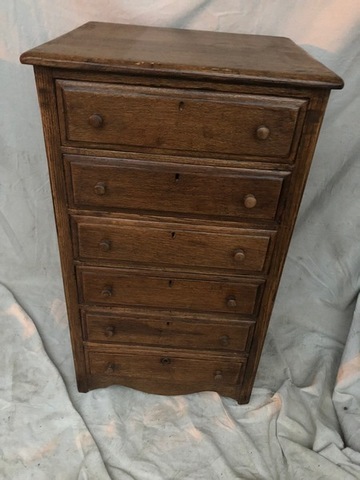 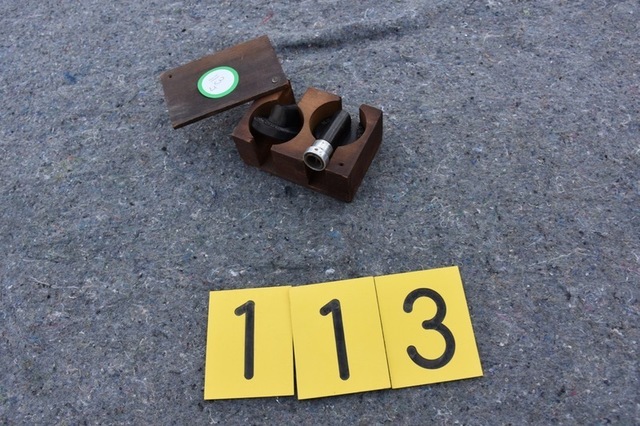 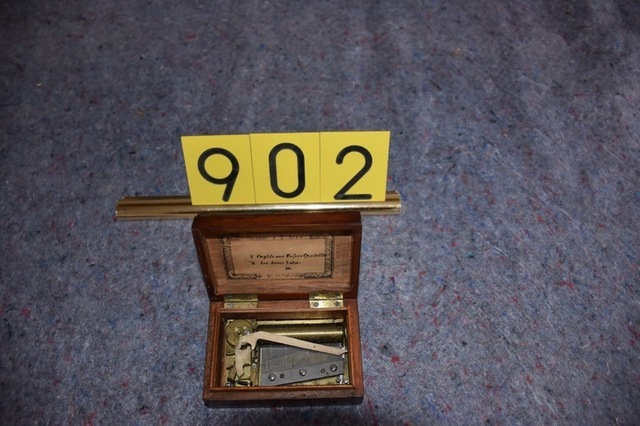 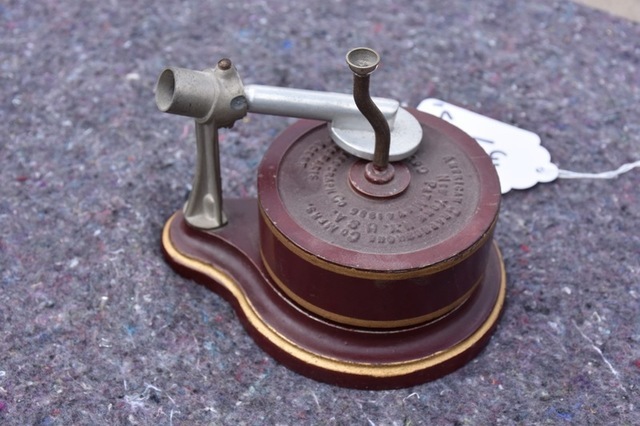 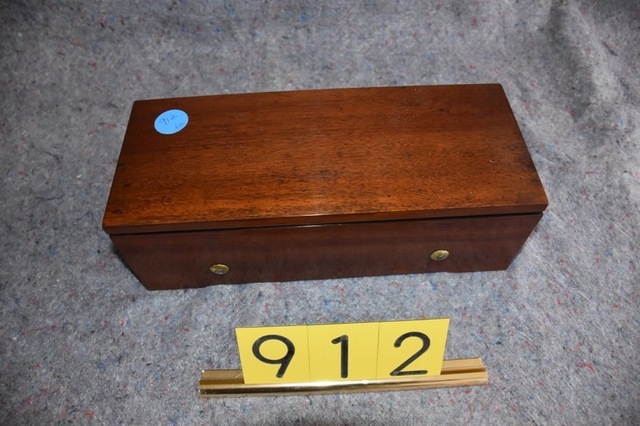 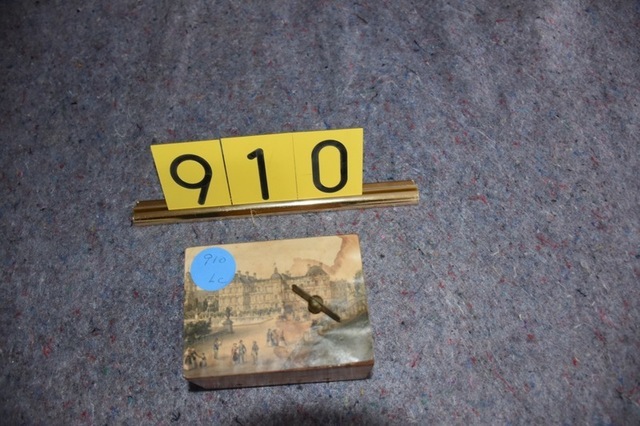 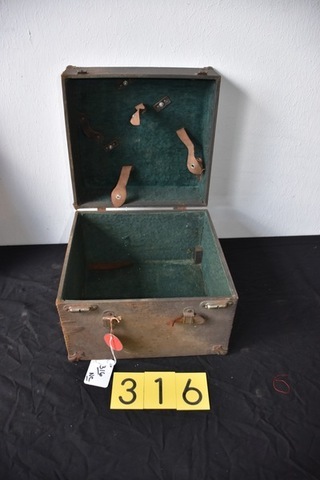 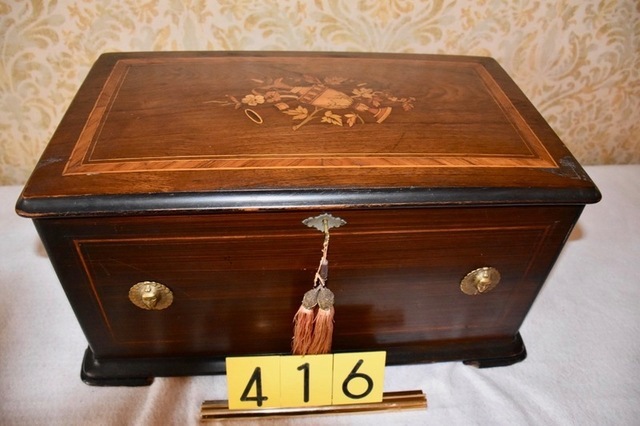 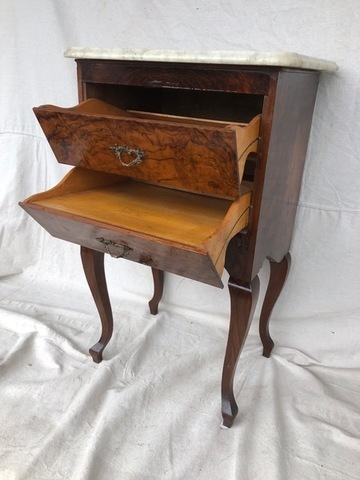 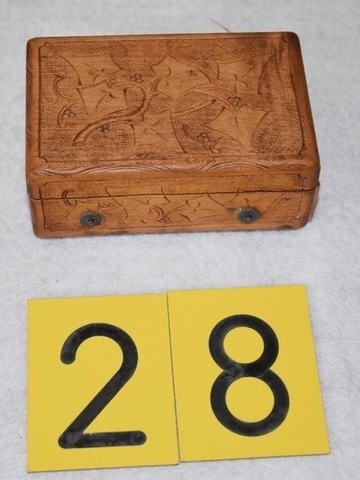 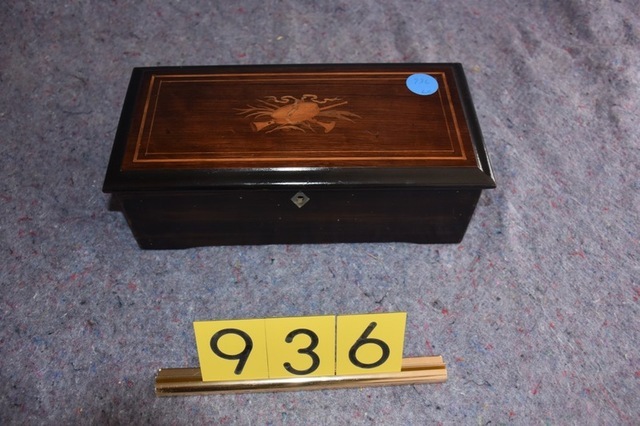 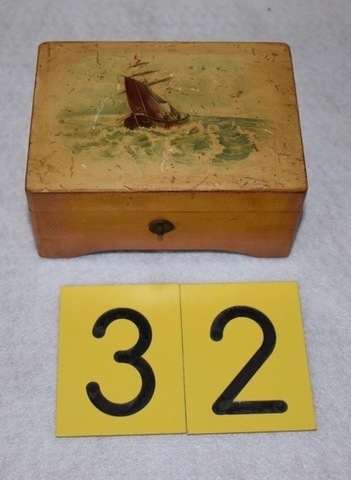 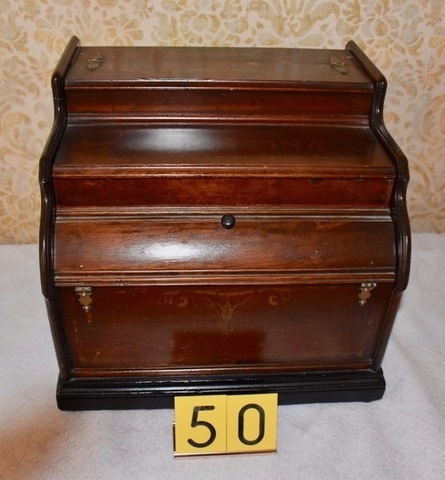 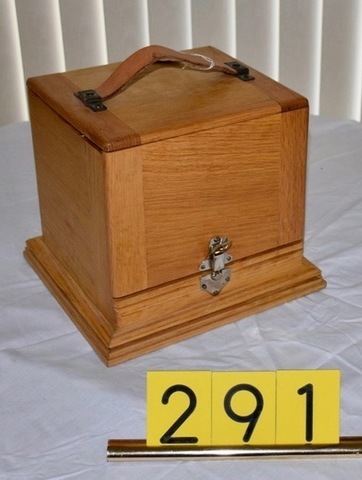 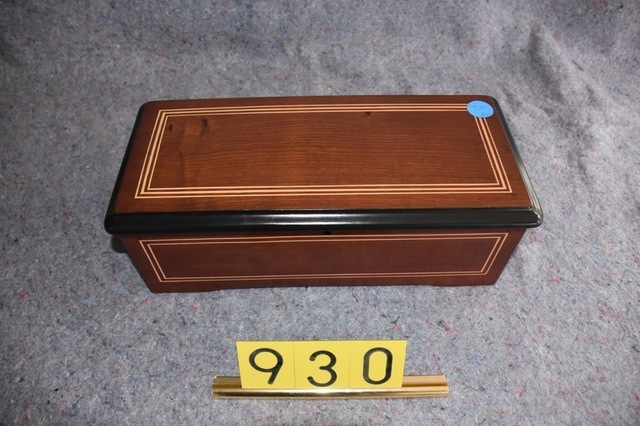 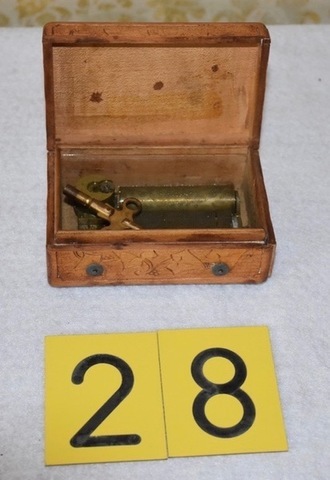 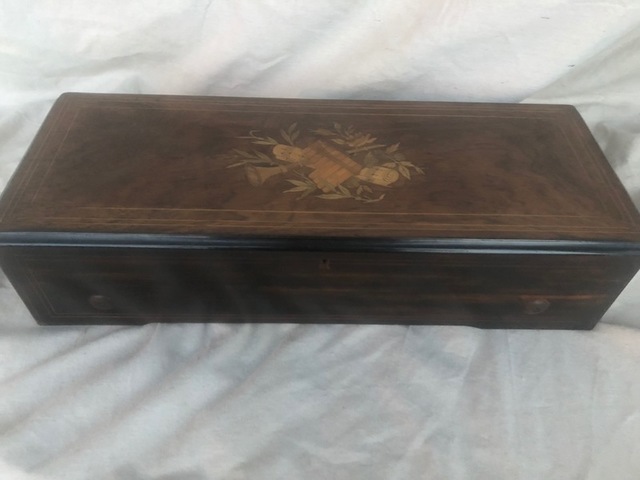 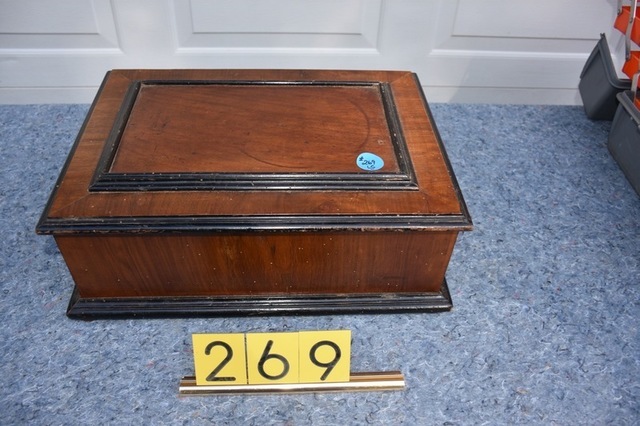 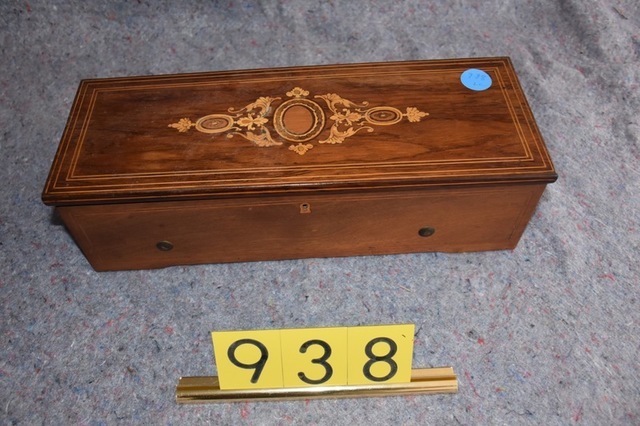 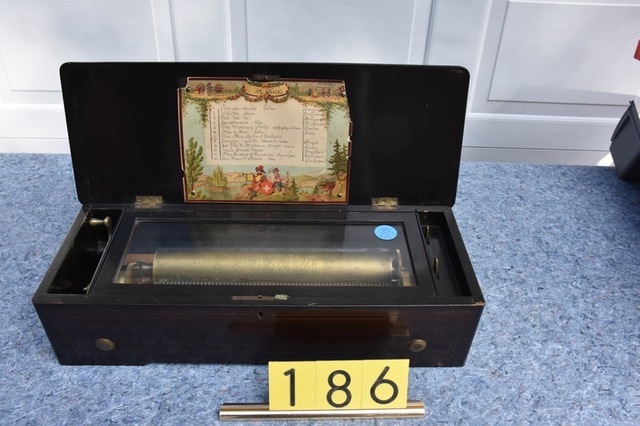 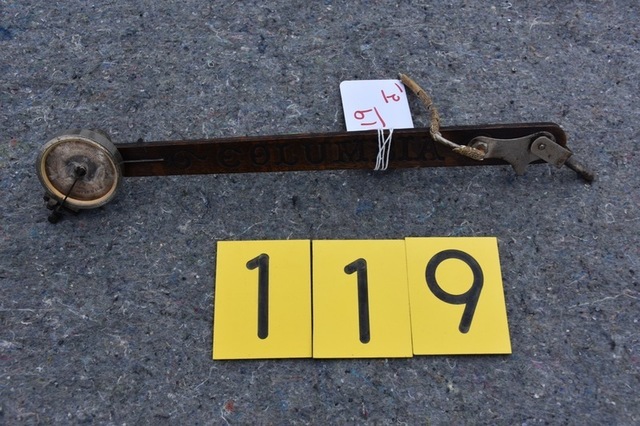 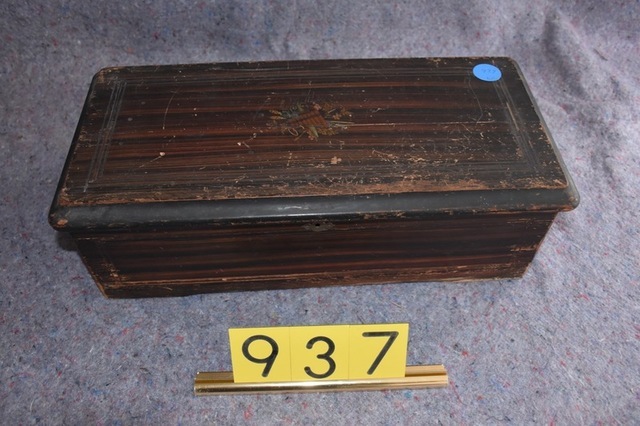 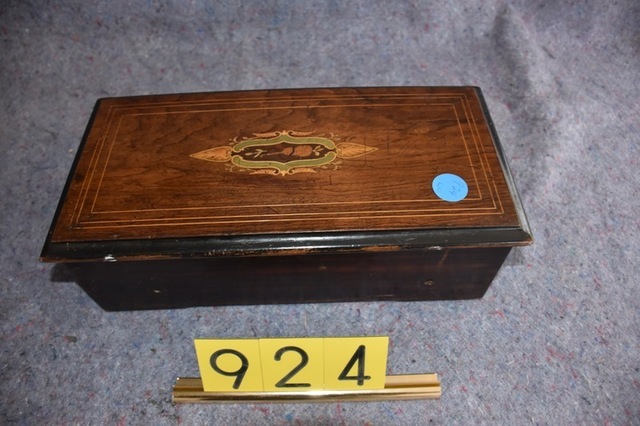 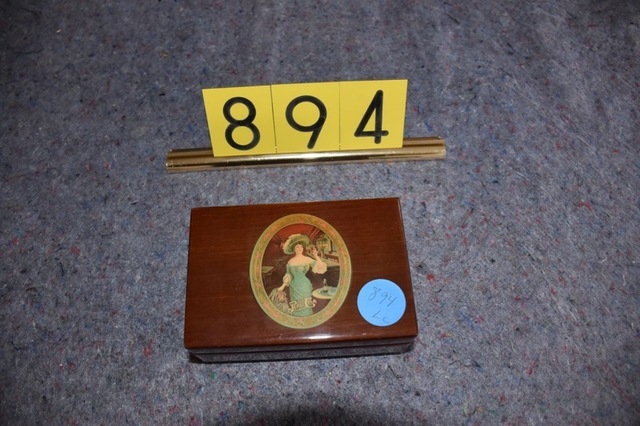 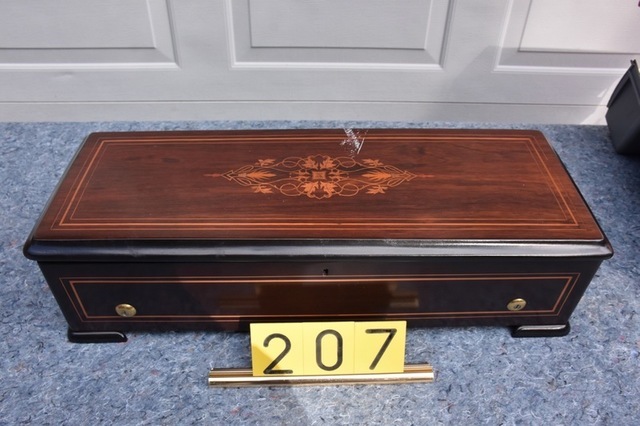 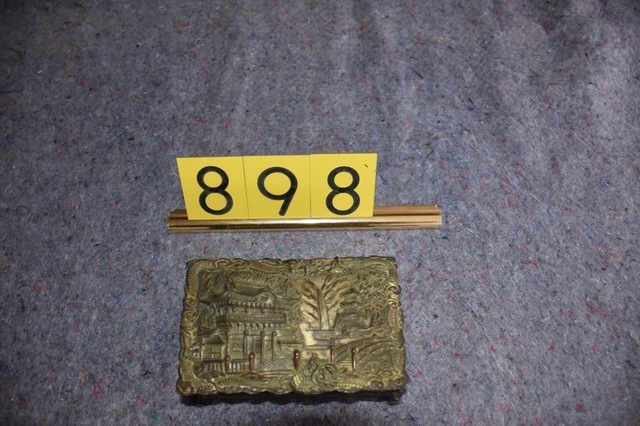 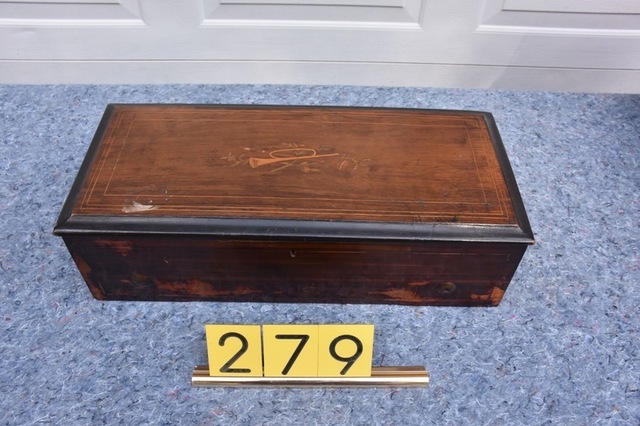 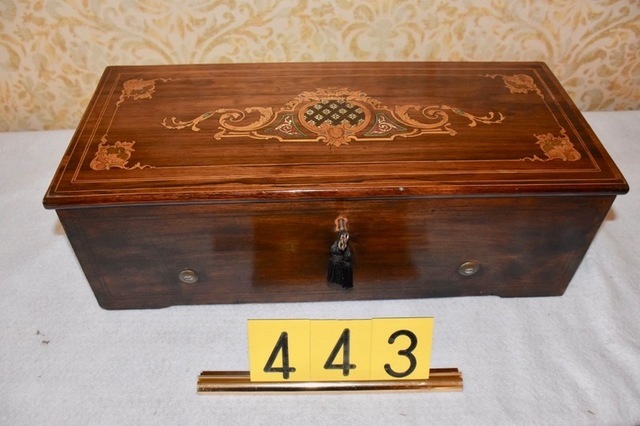 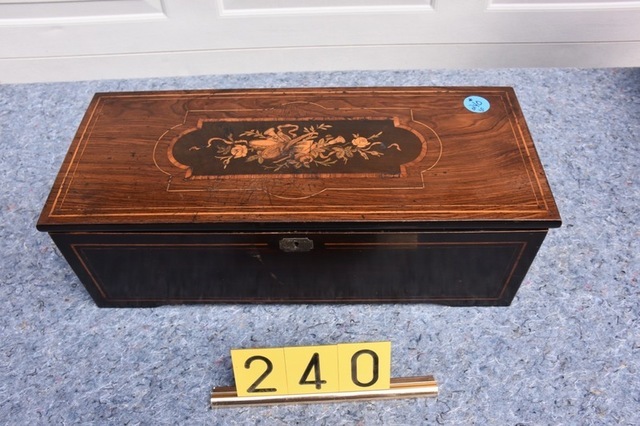 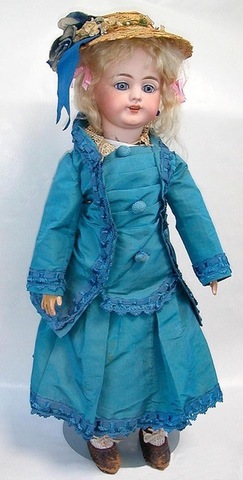 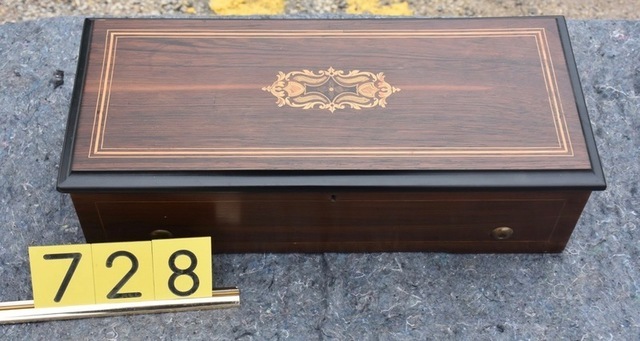 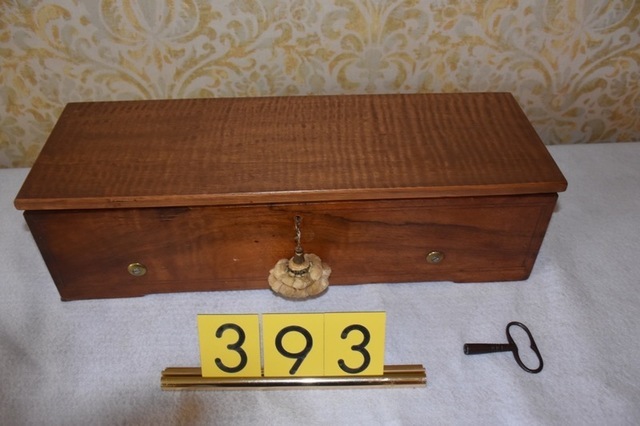 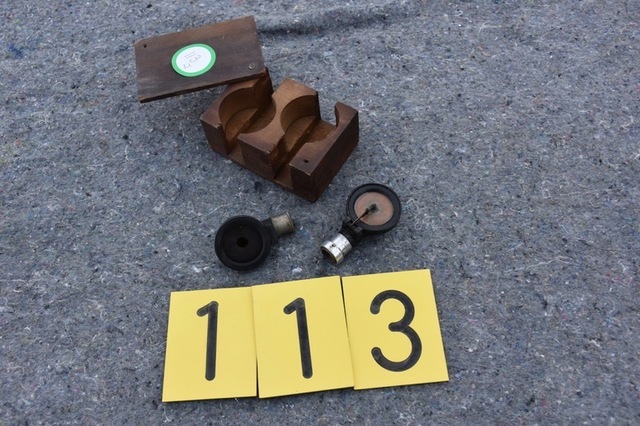 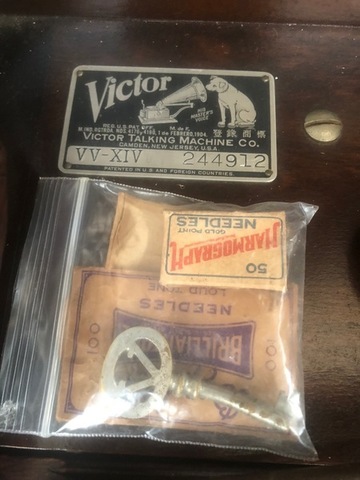 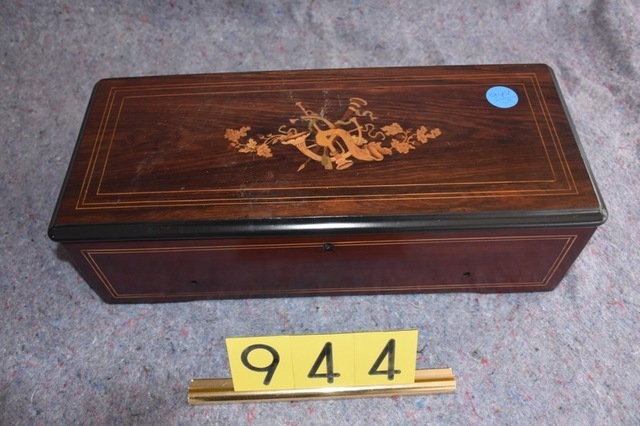 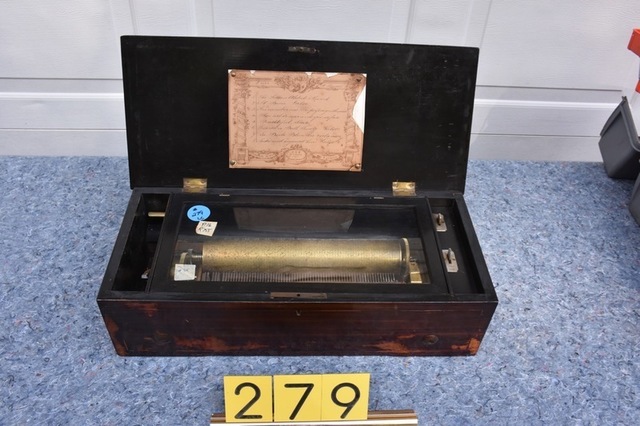 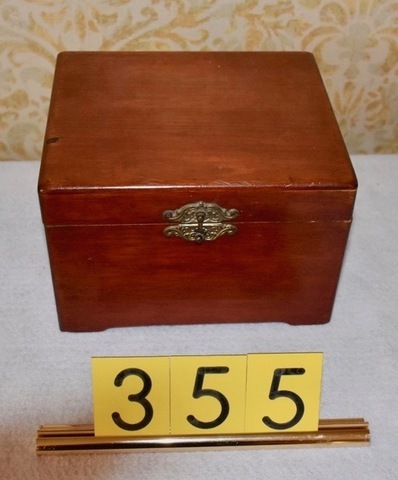 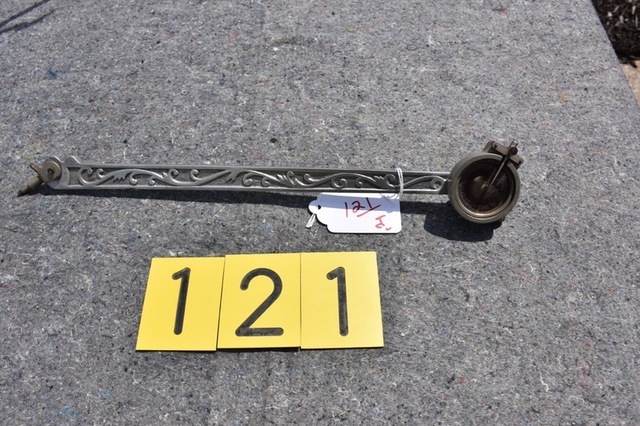 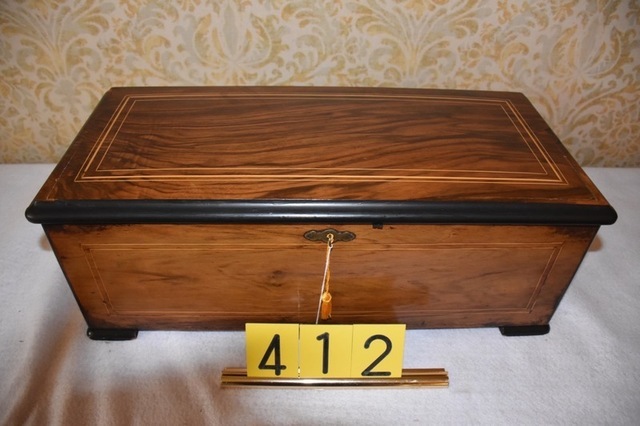 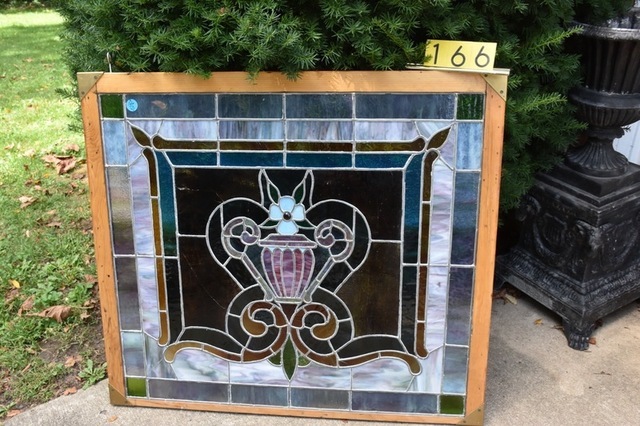 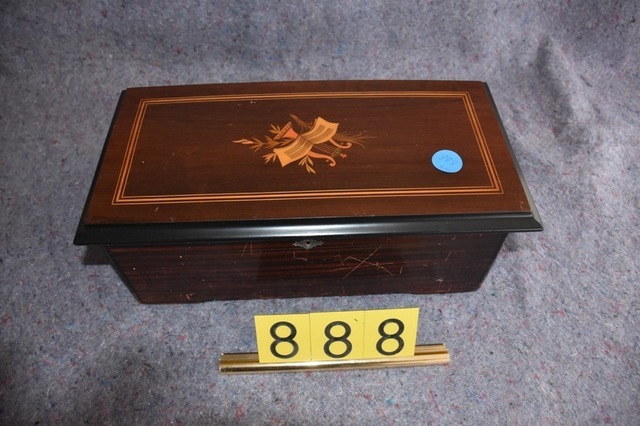 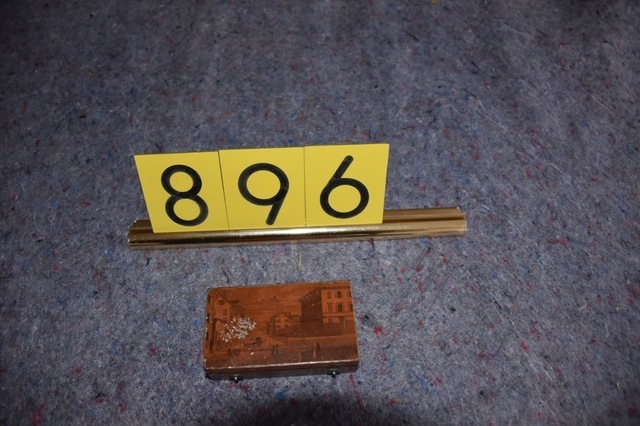 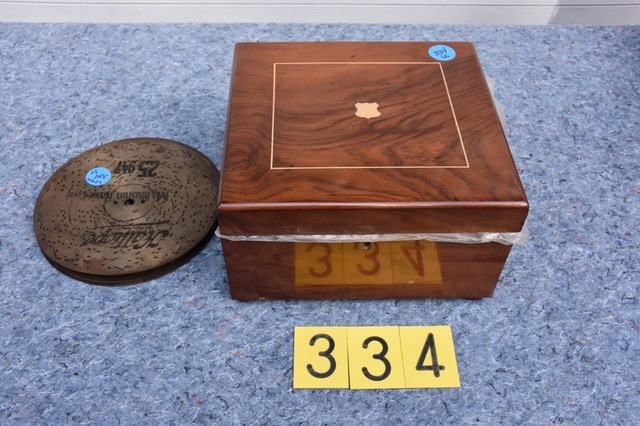 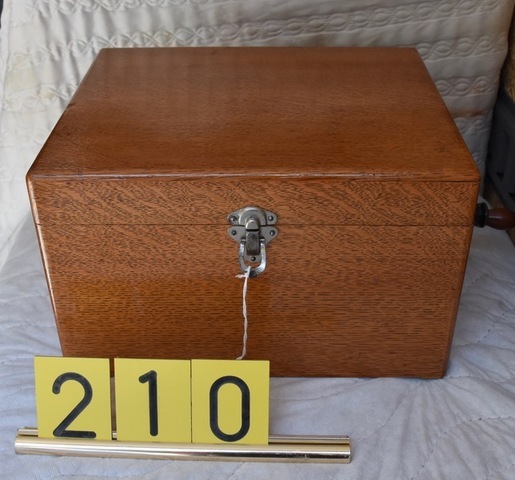 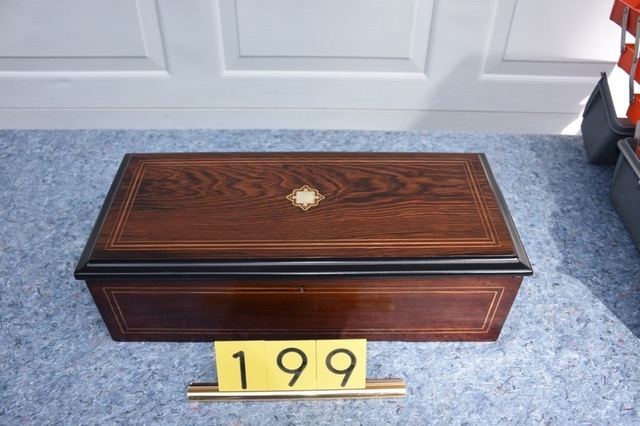 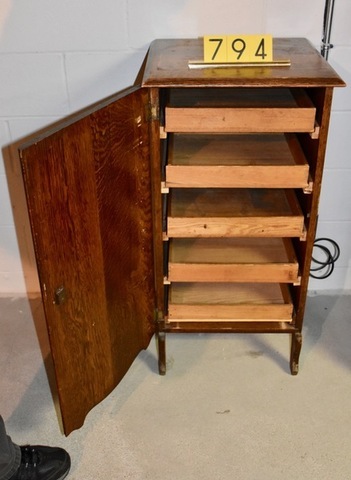 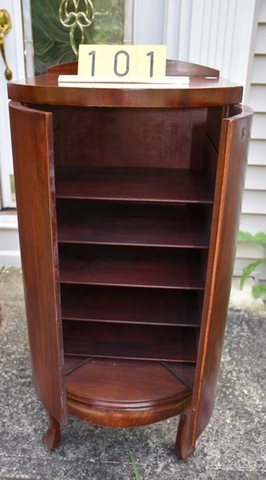 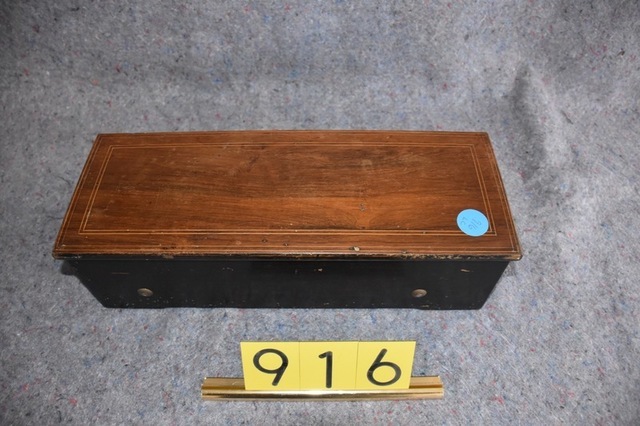 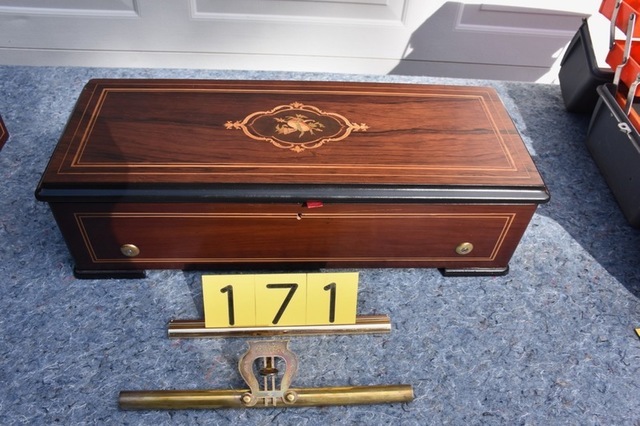 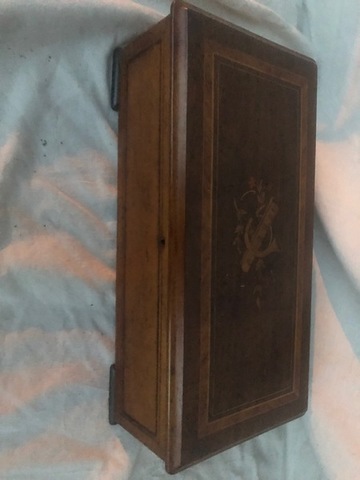 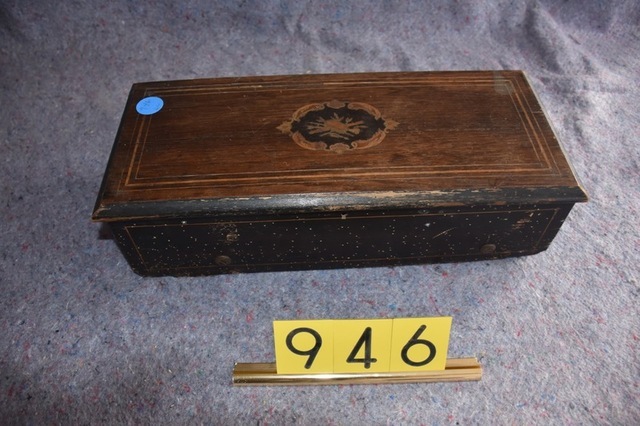 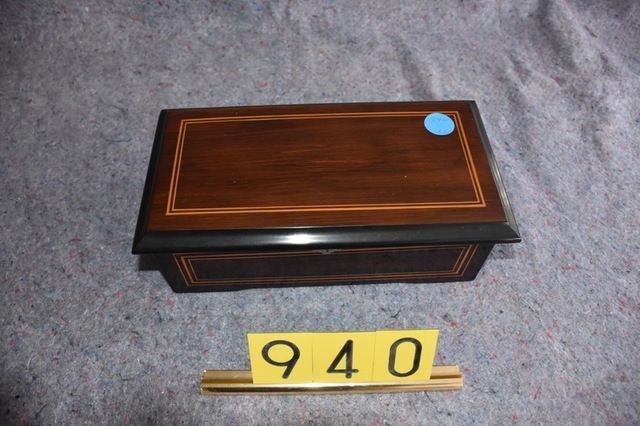 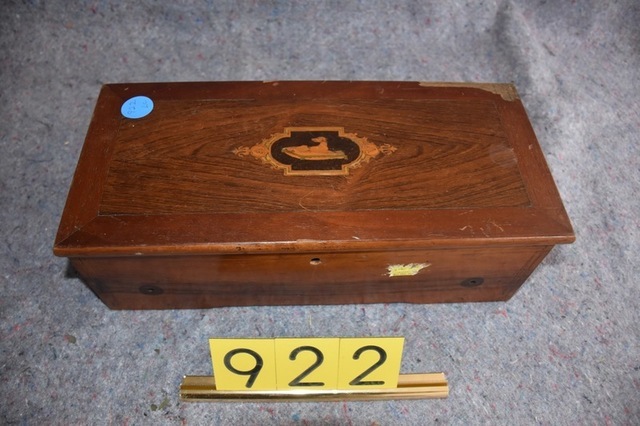 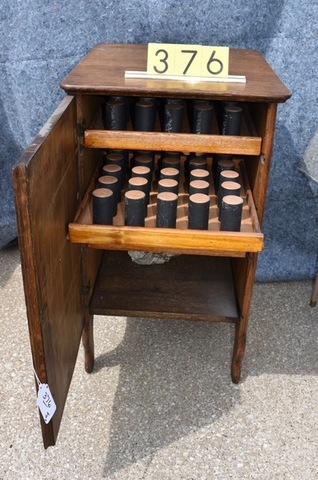 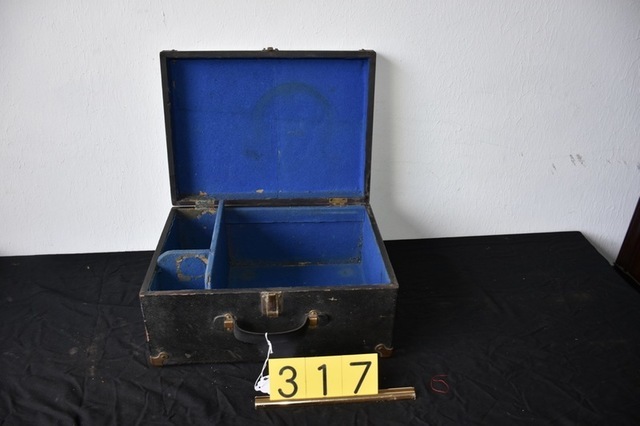 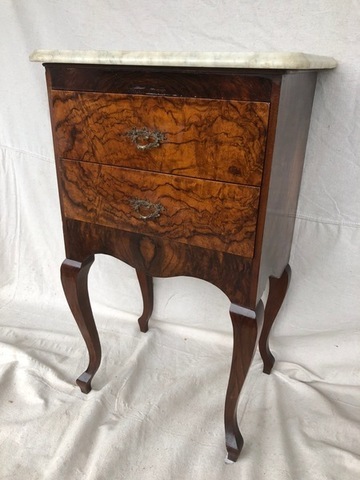 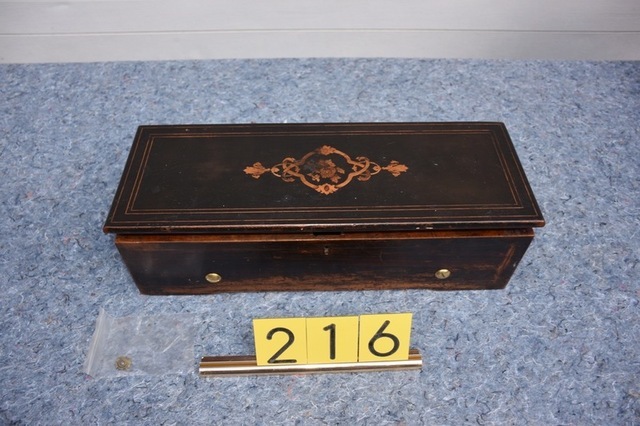 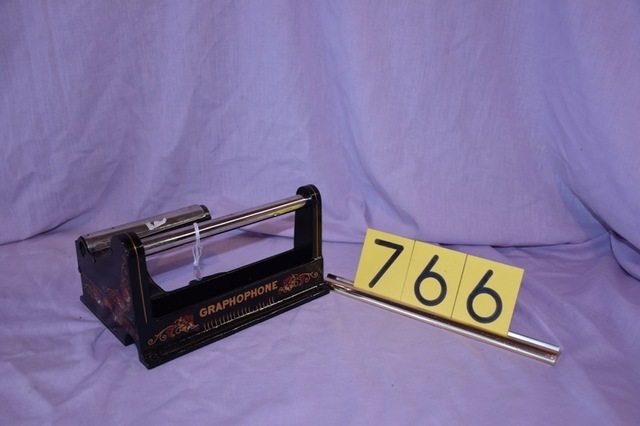 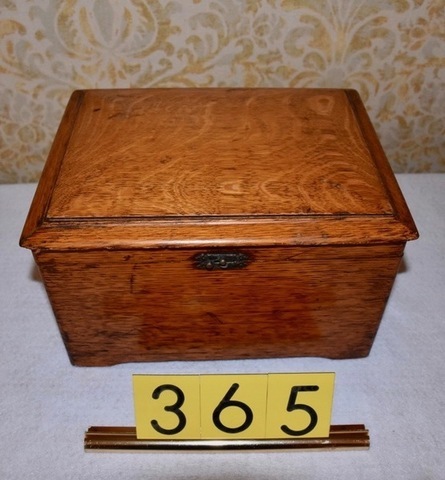 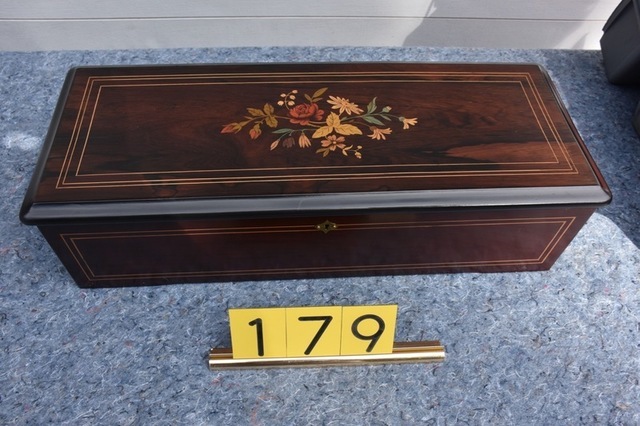 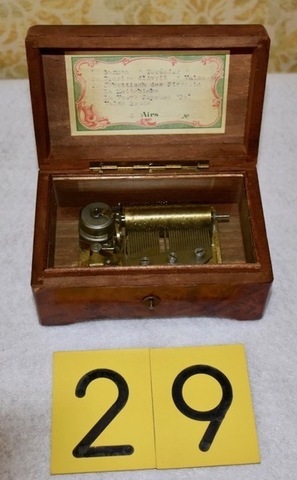 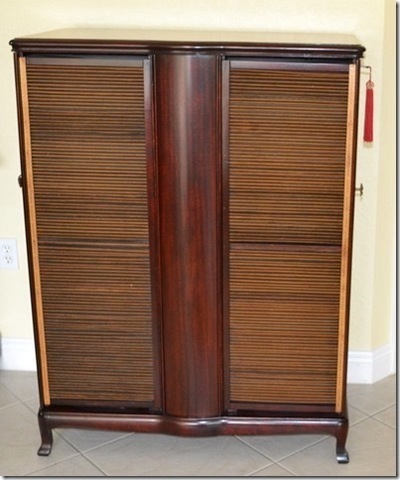 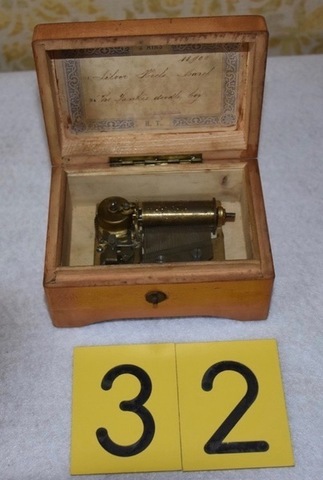 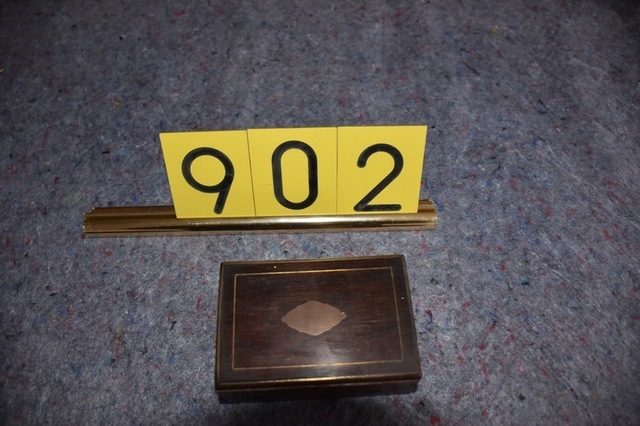 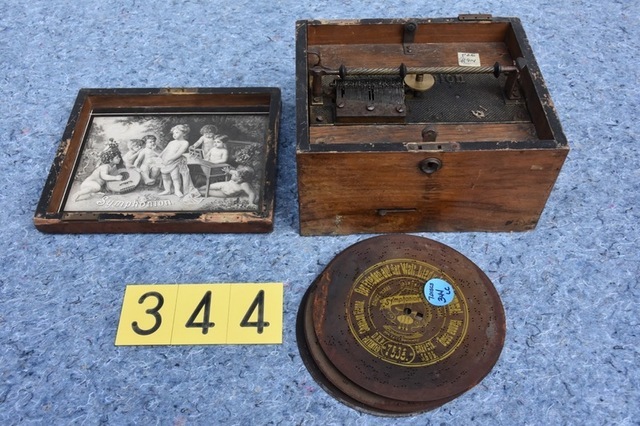 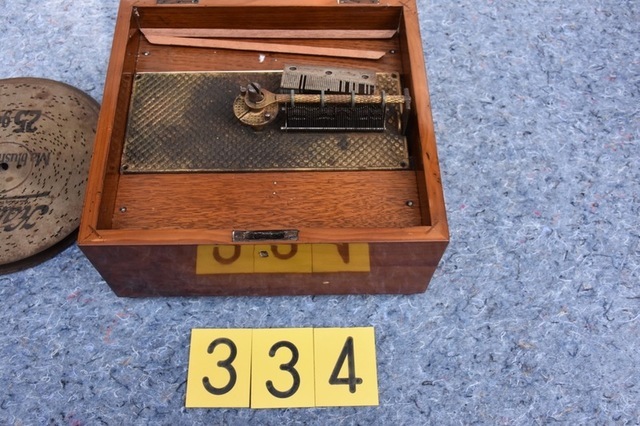 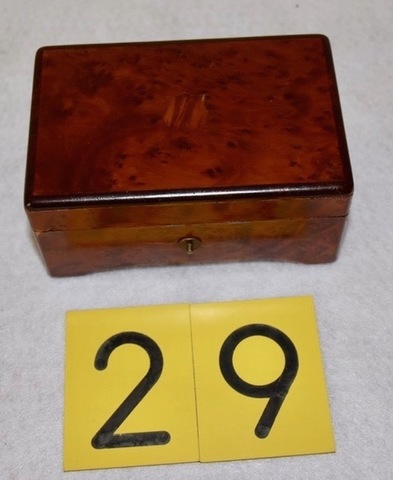 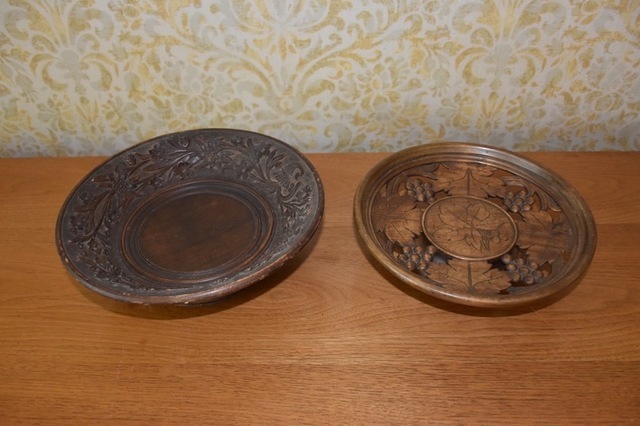 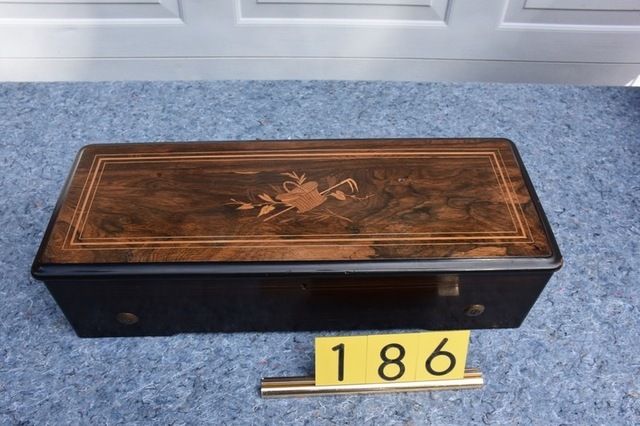 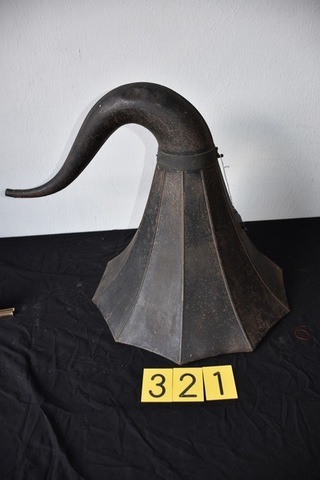 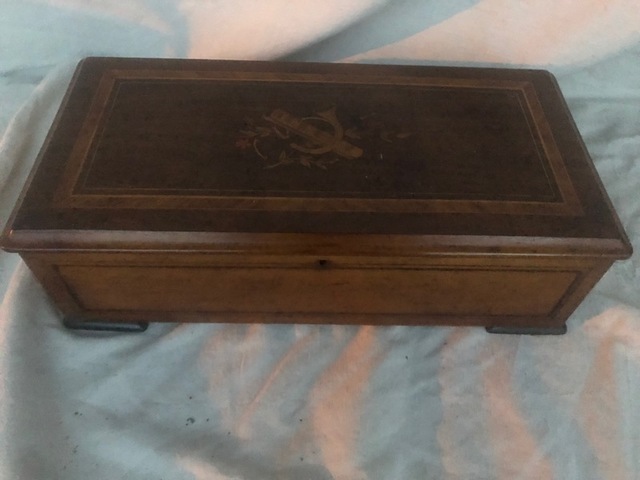 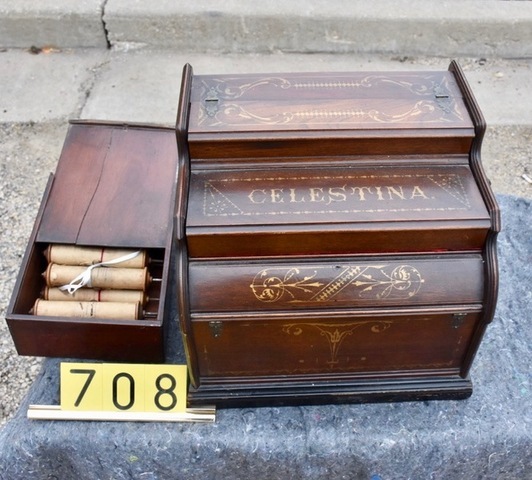 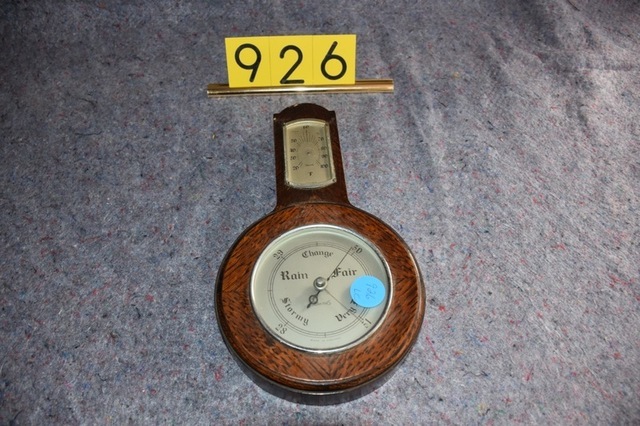 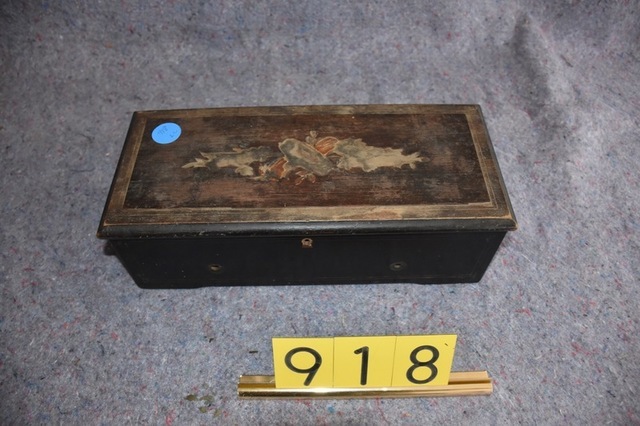 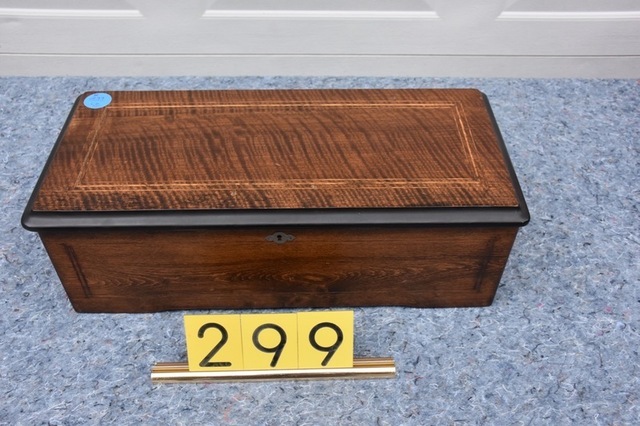 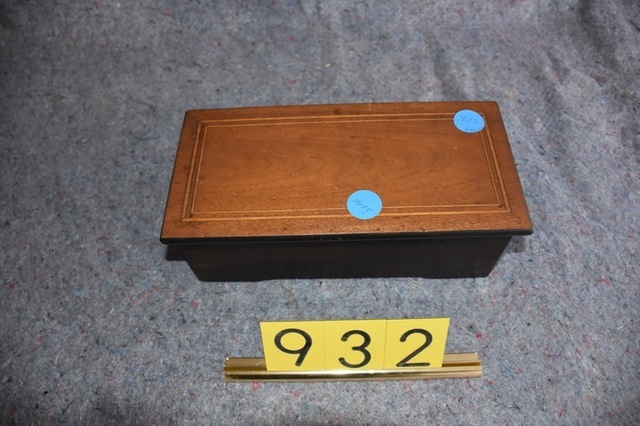 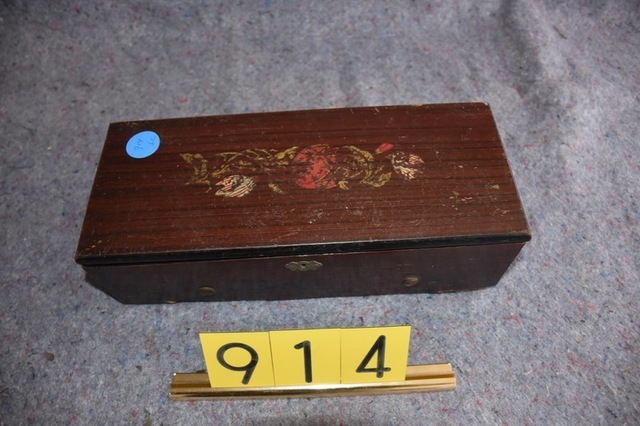 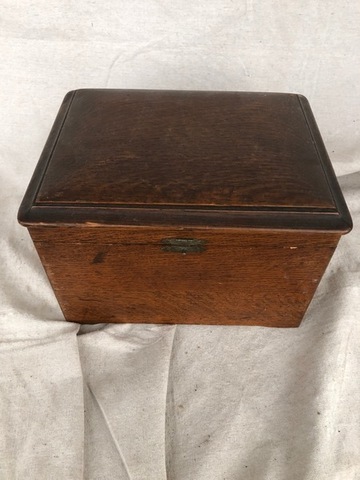 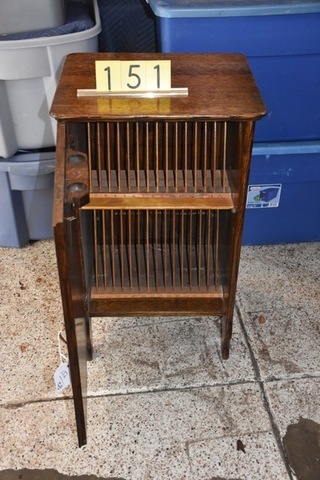 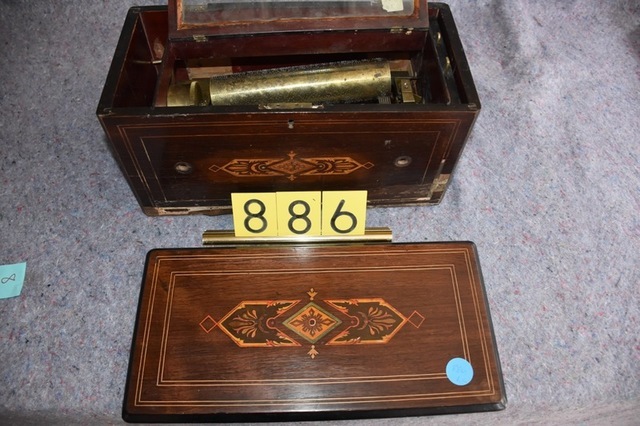 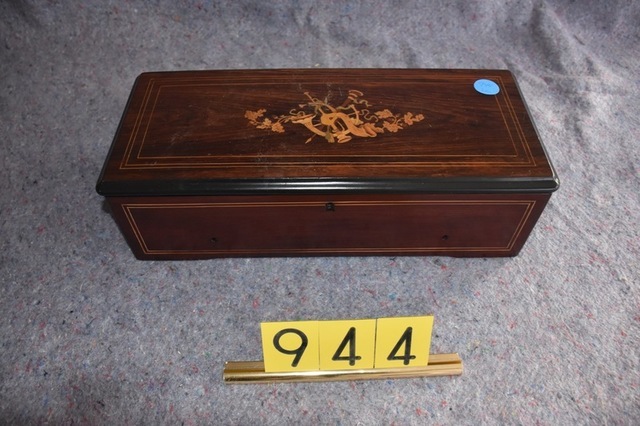 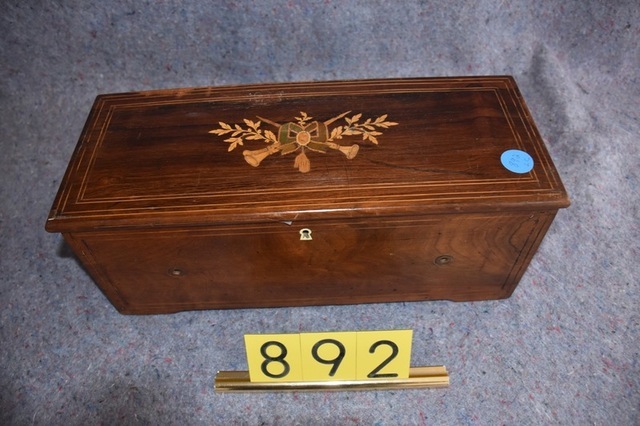 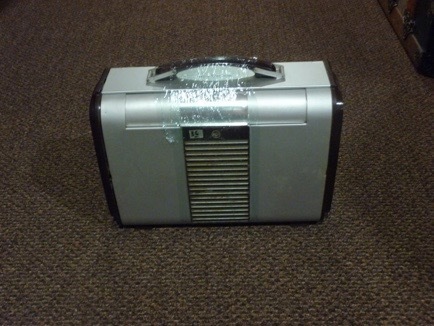 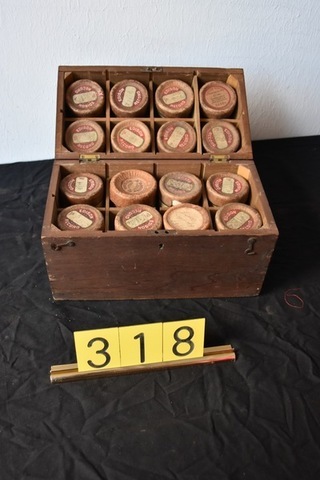 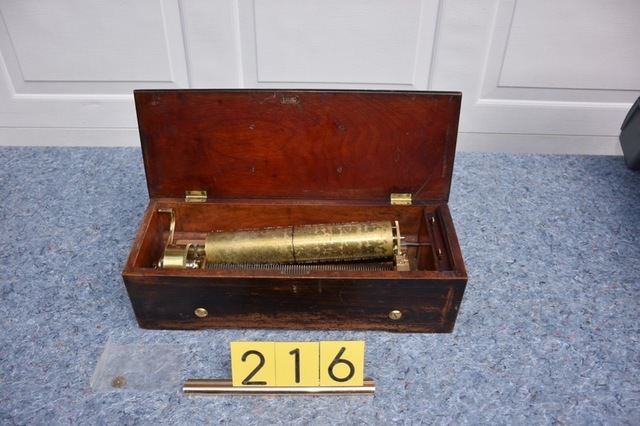 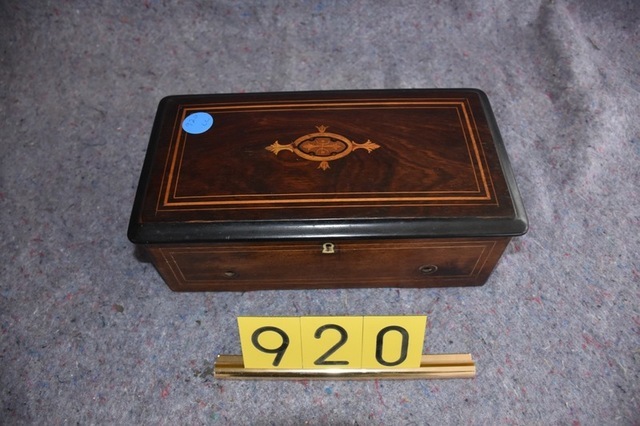 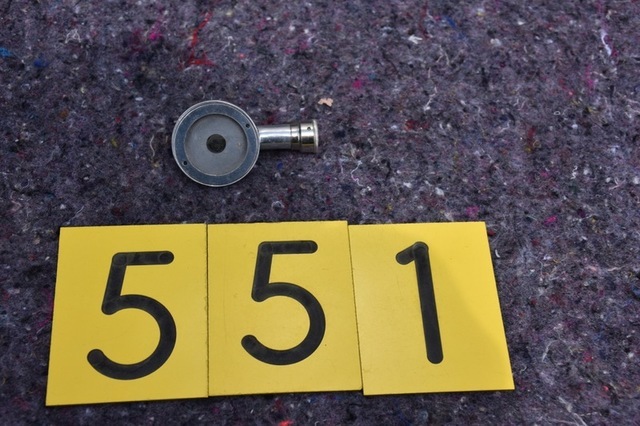 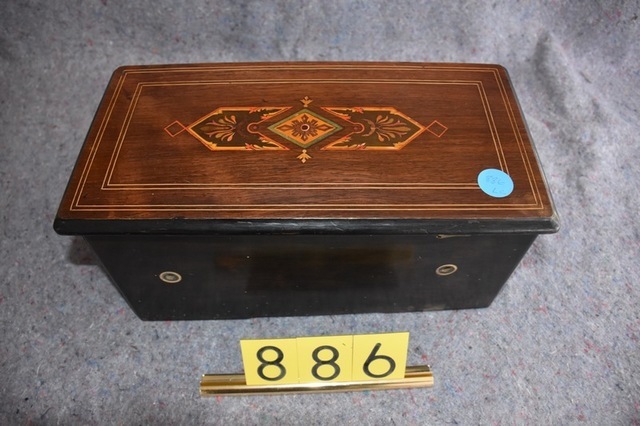 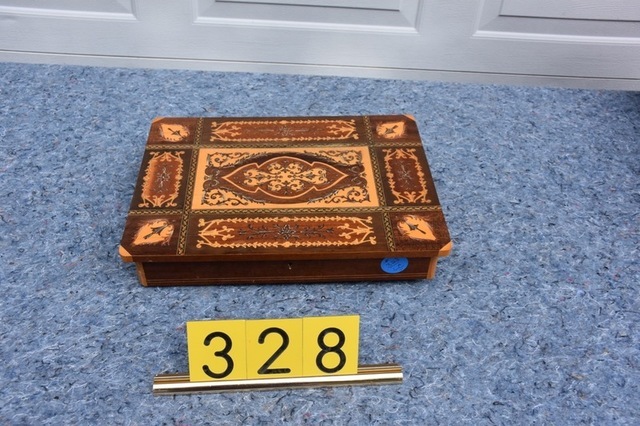 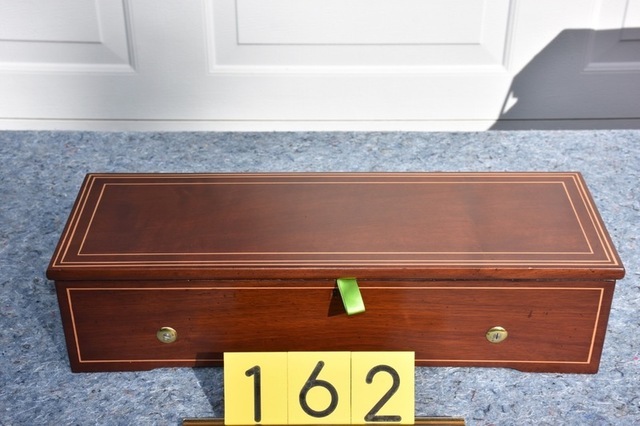 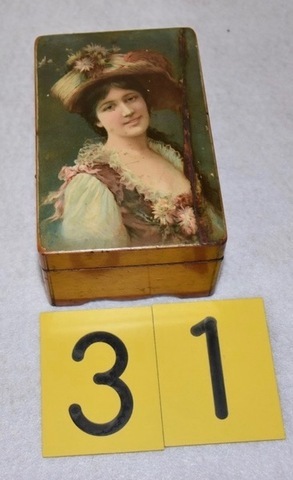 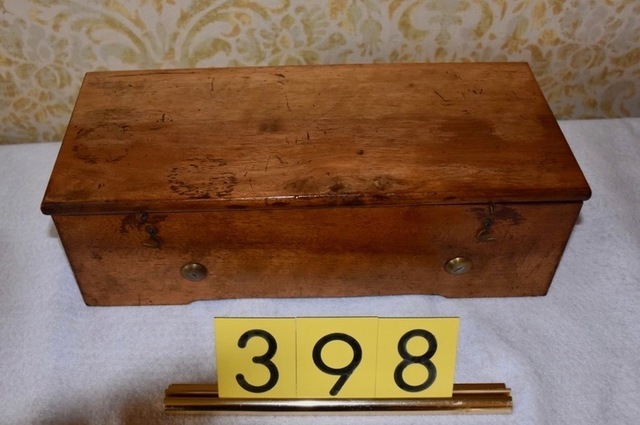 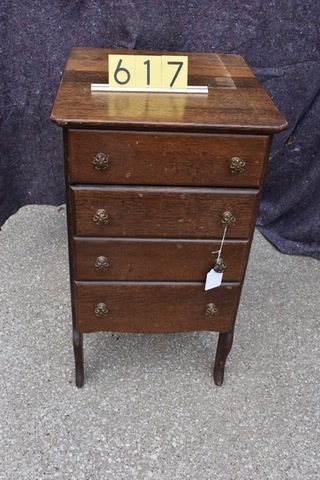 Nearly 1100 pictures on this site of the items being sold. 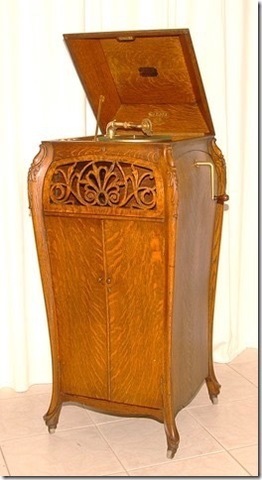 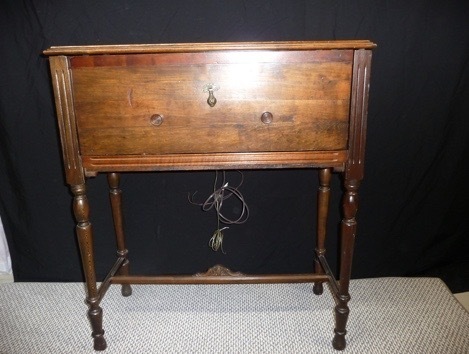 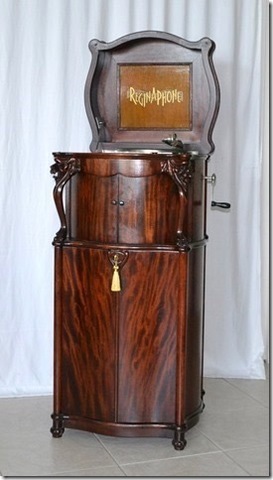 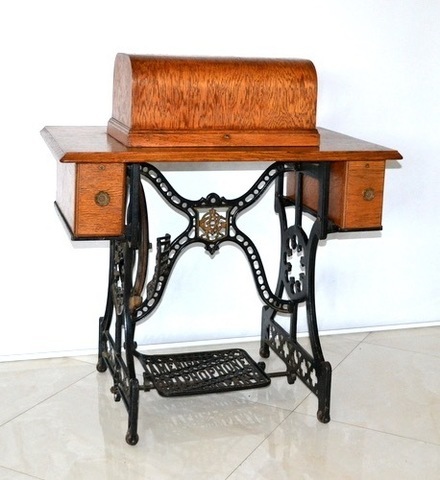 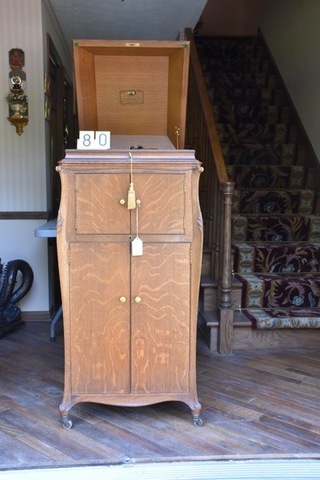 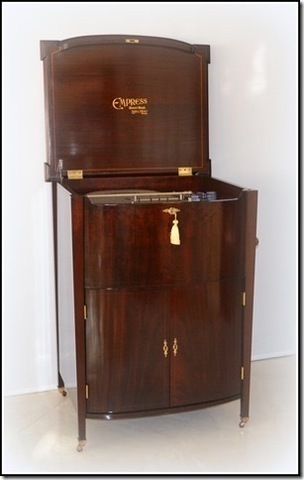 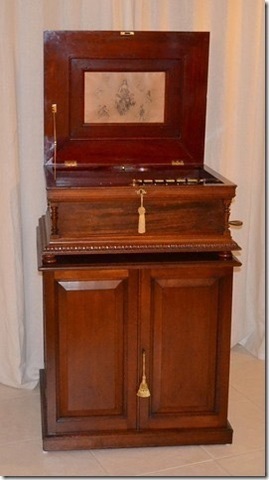 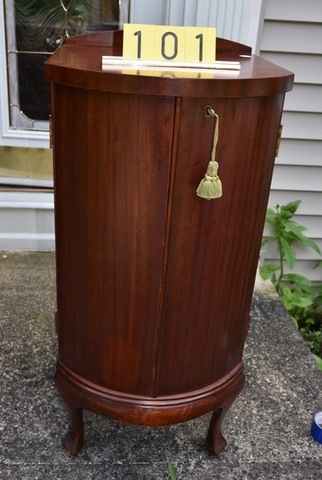 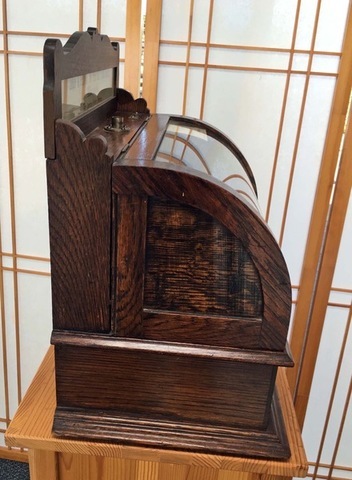 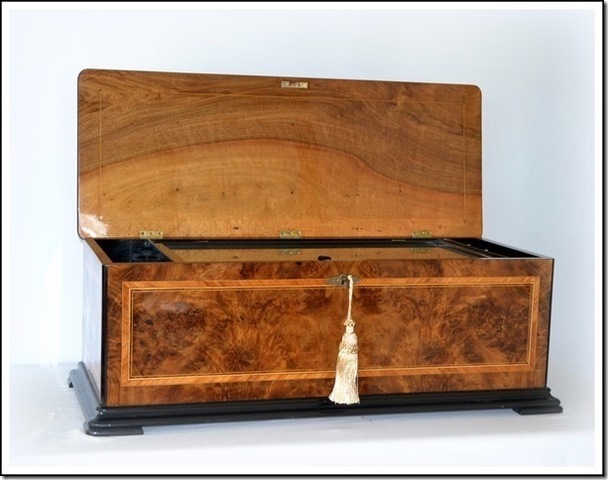 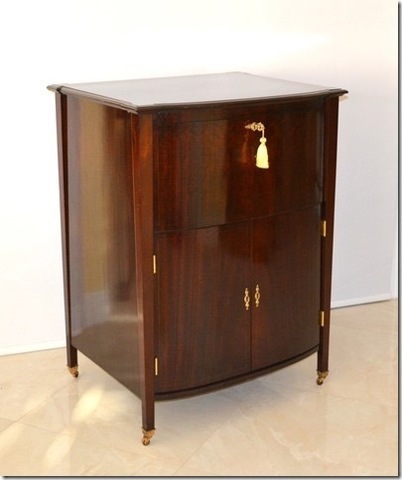 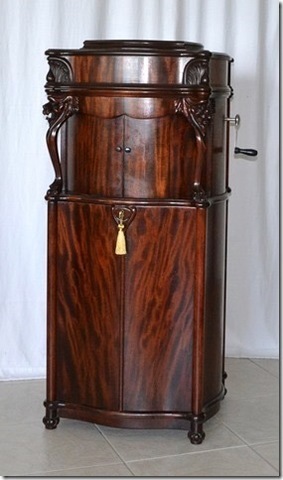 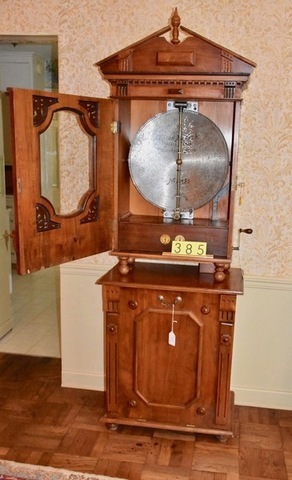 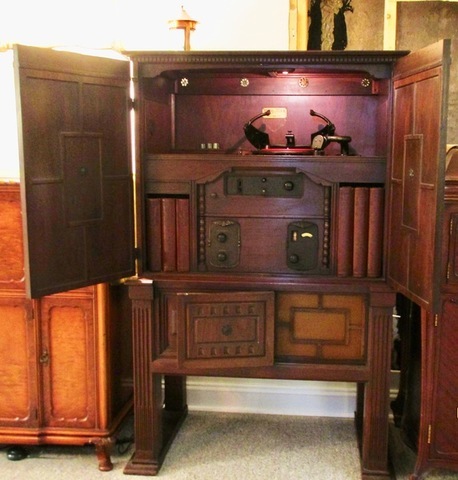 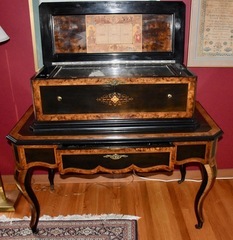 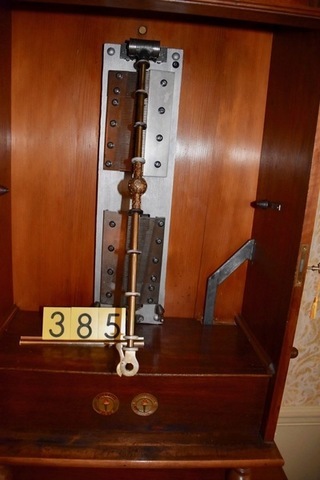 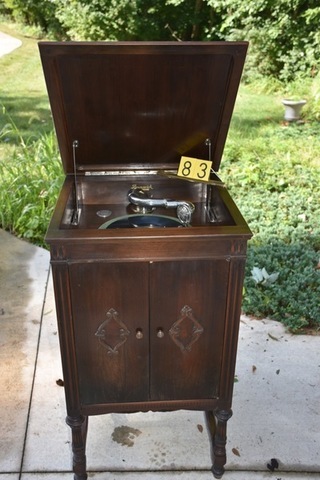 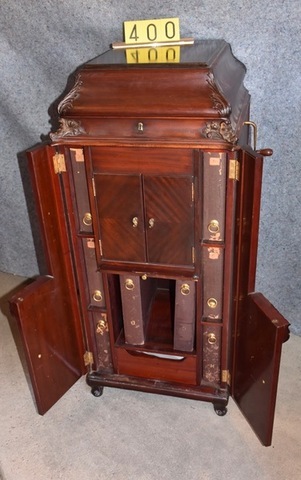 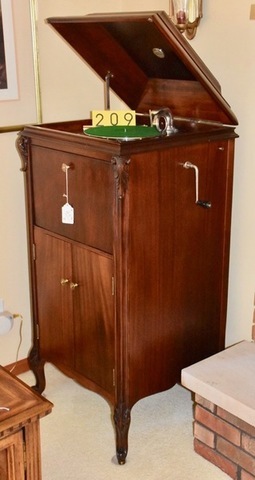 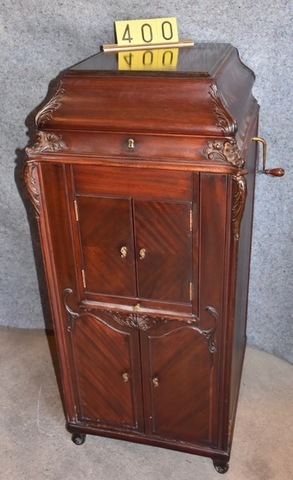 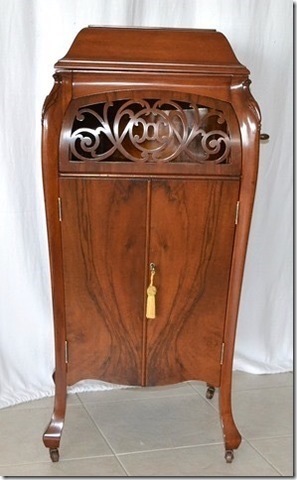 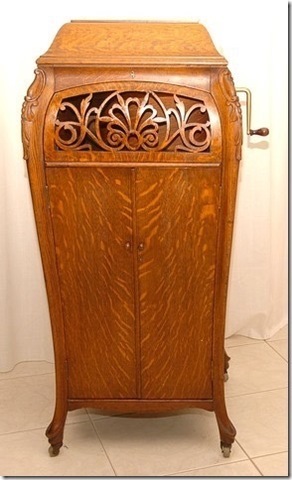 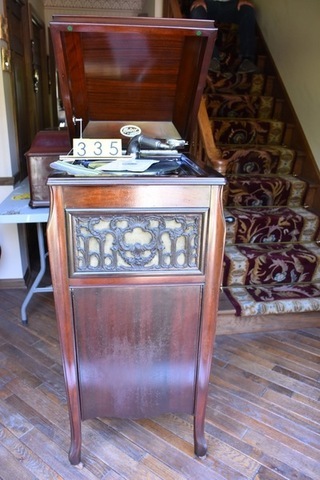 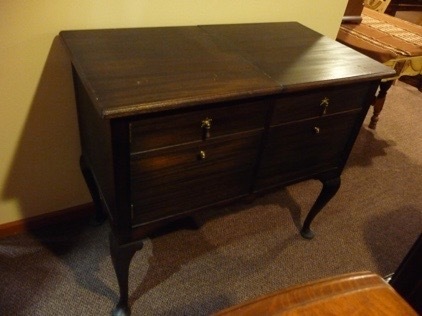 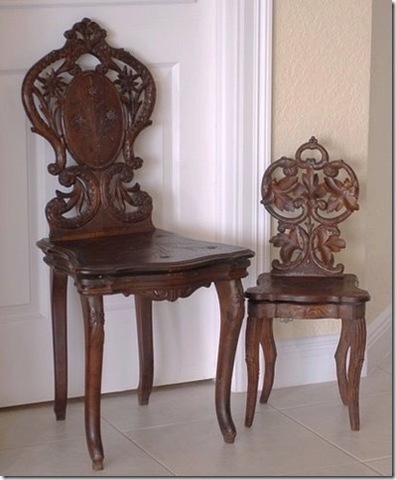 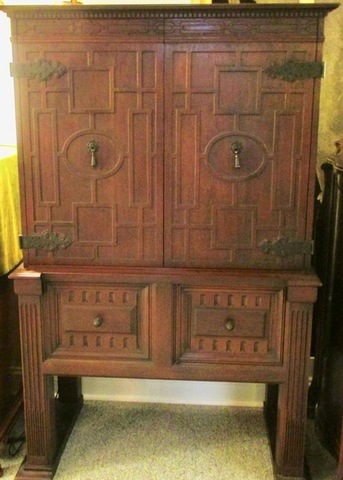 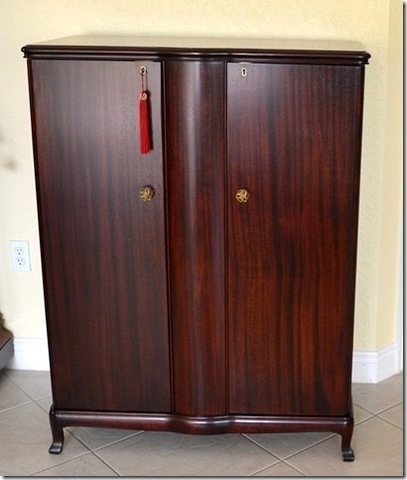 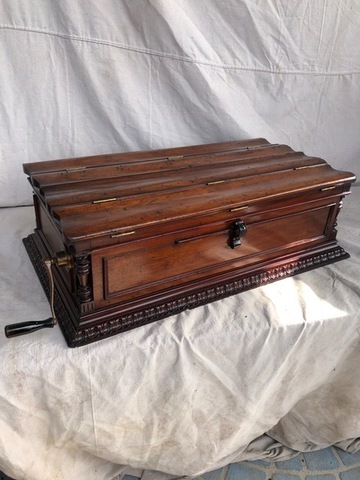 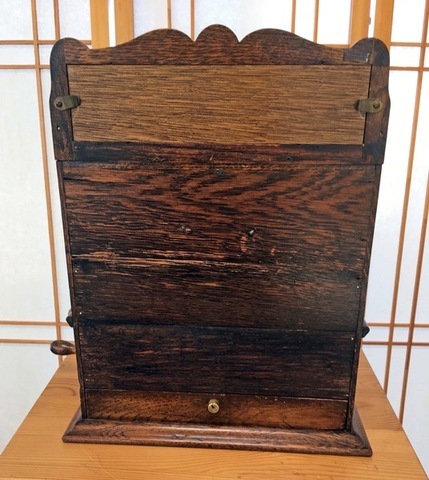 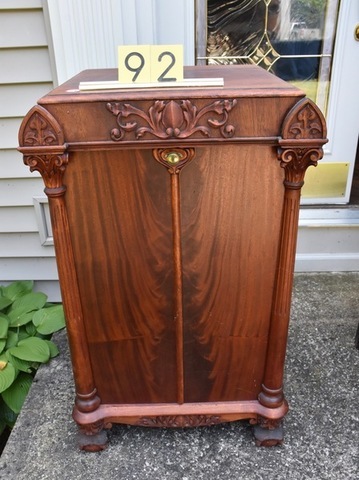 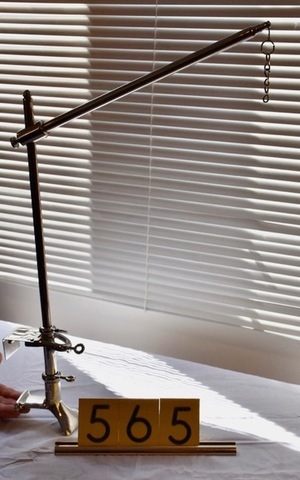 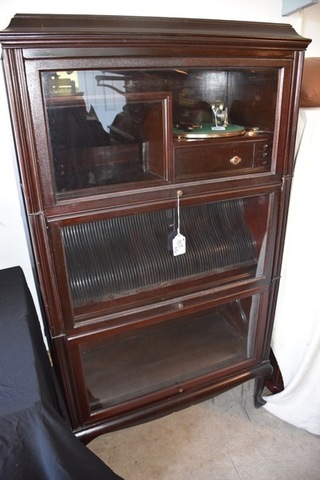 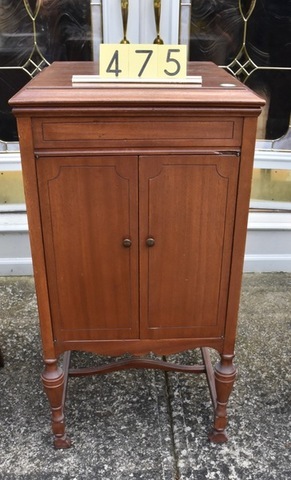 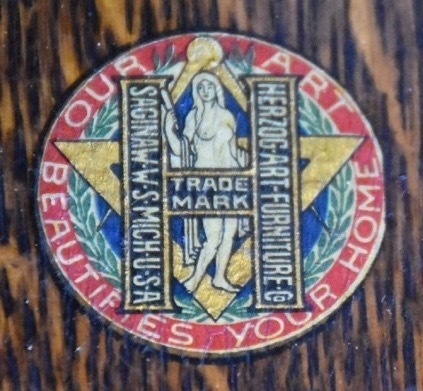 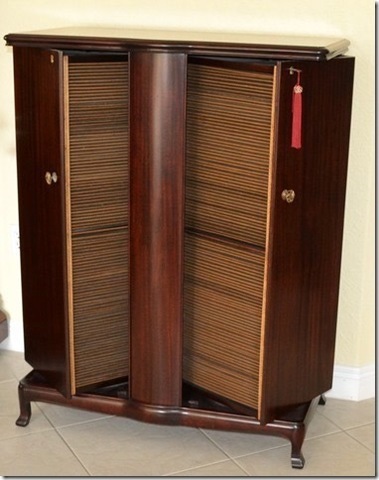 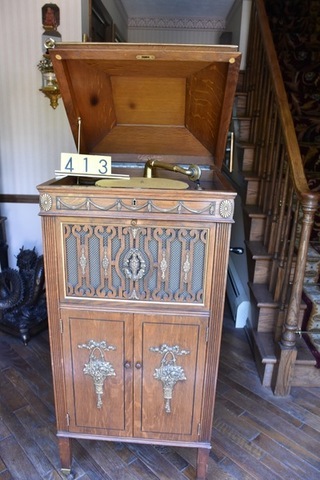 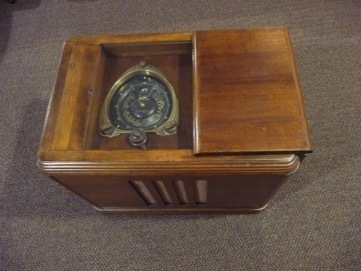 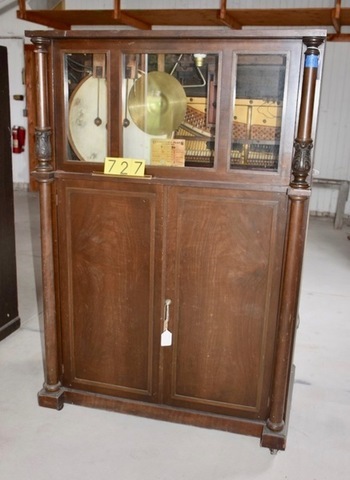 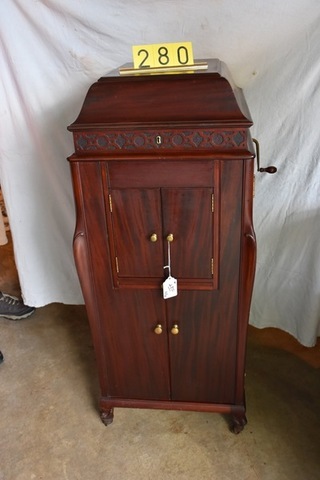 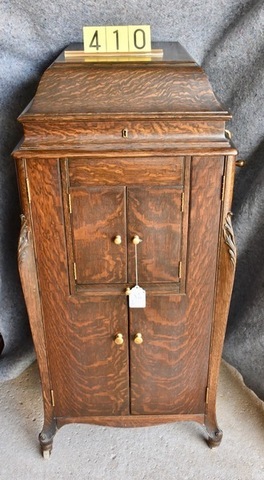 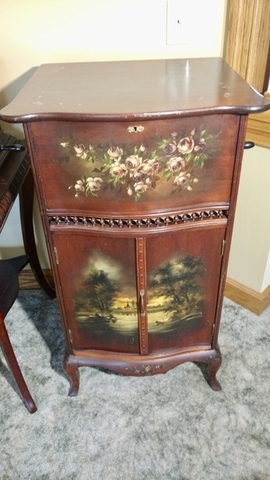 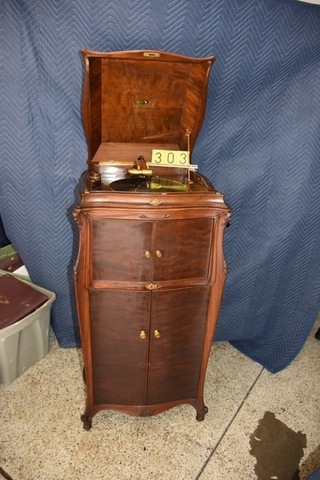 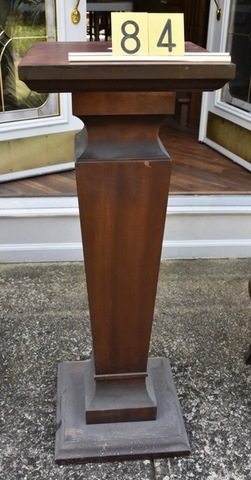 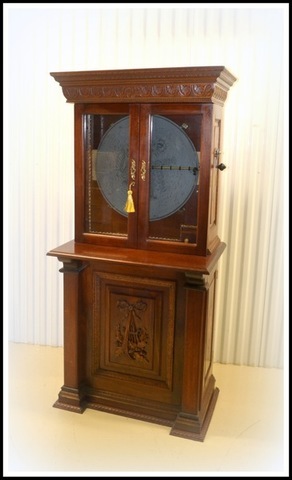 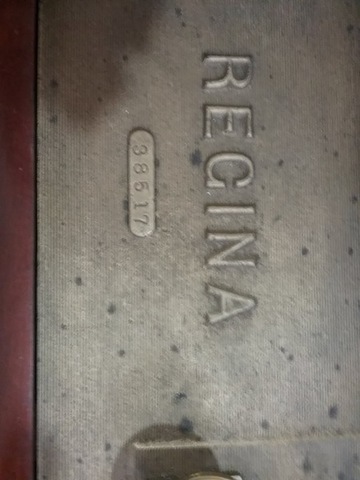 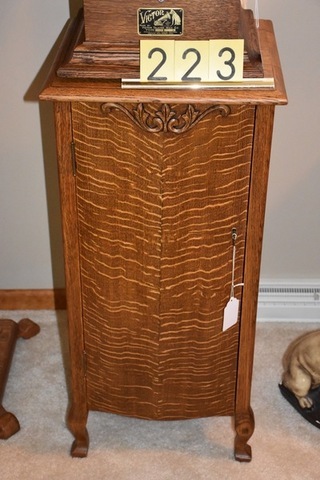 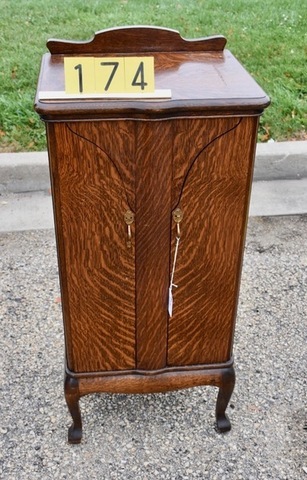 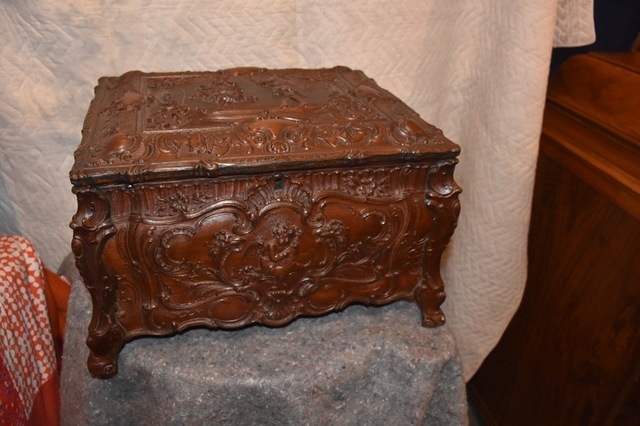 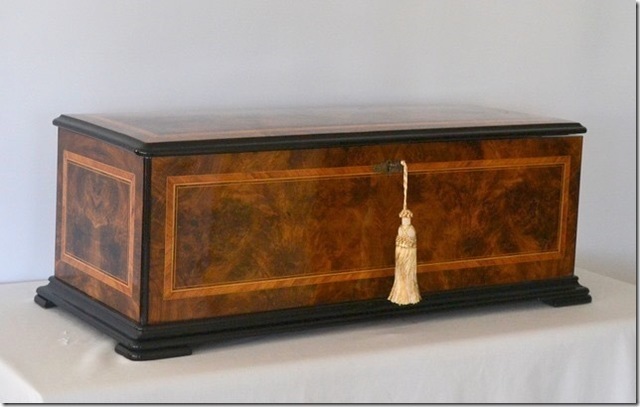 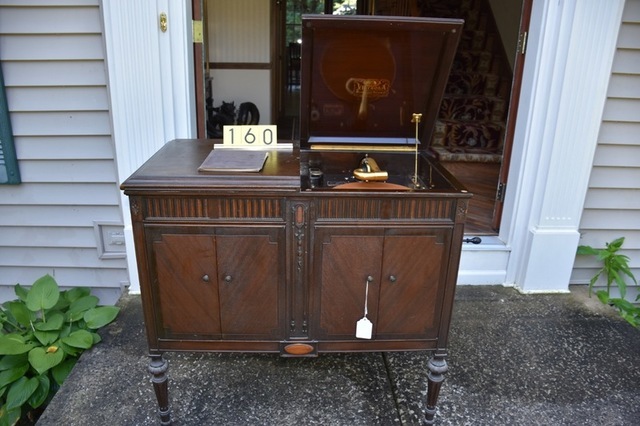 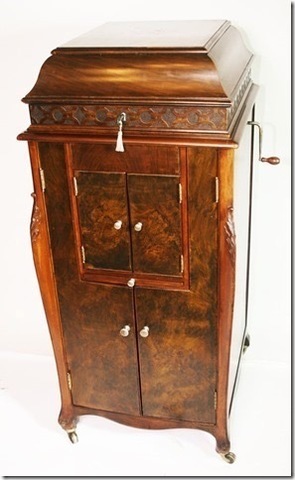 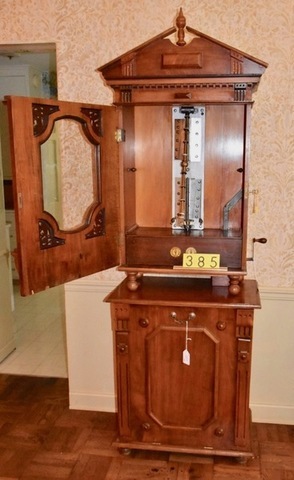 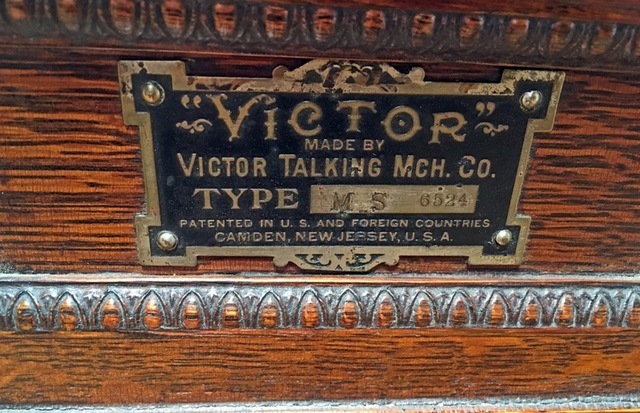 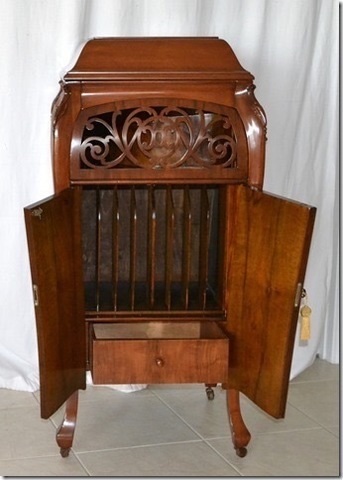 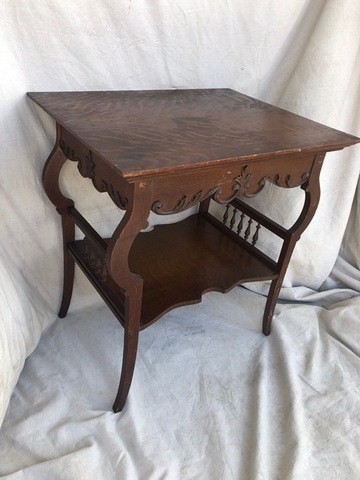 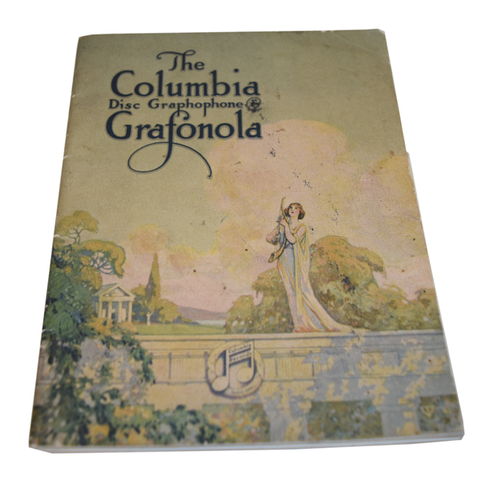 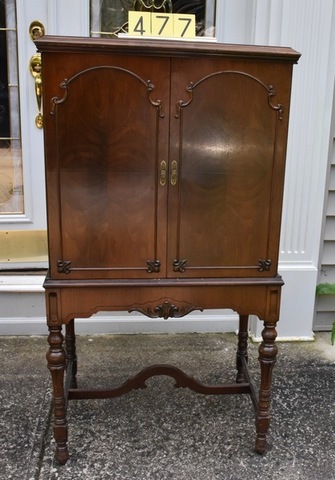 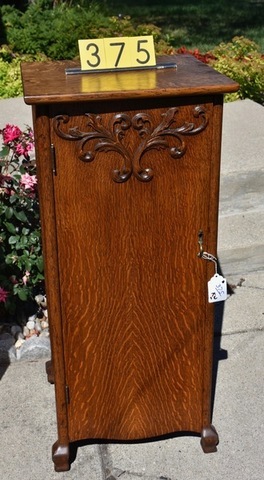 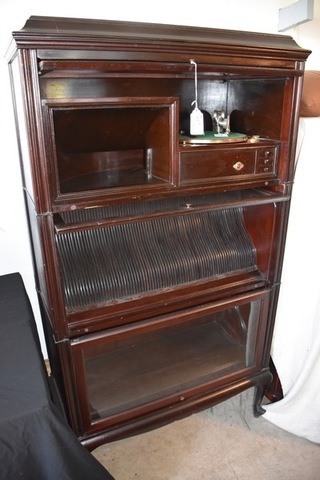 Even fine antique furniture and clock collection, call for a free catalog. 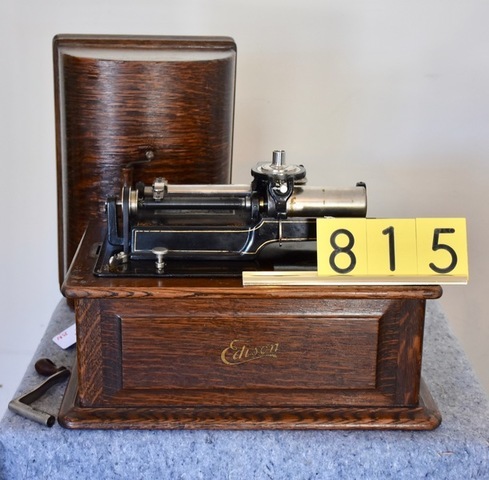 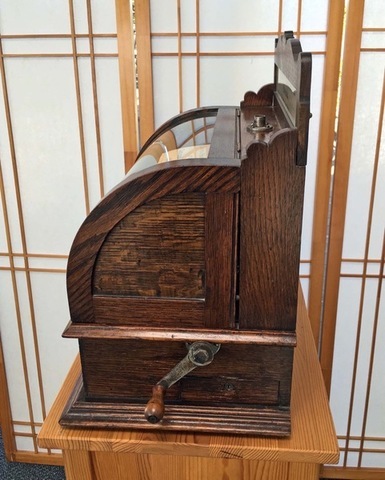 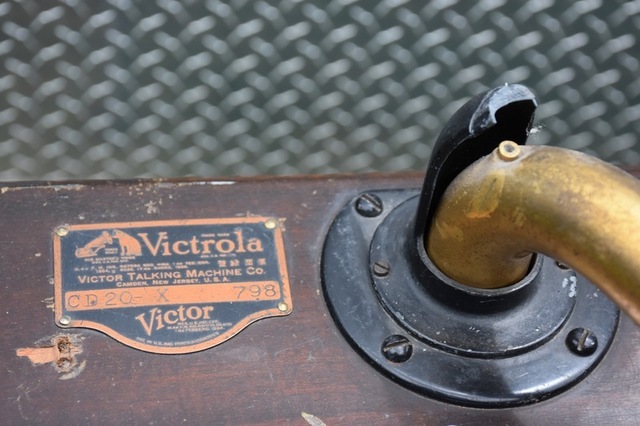 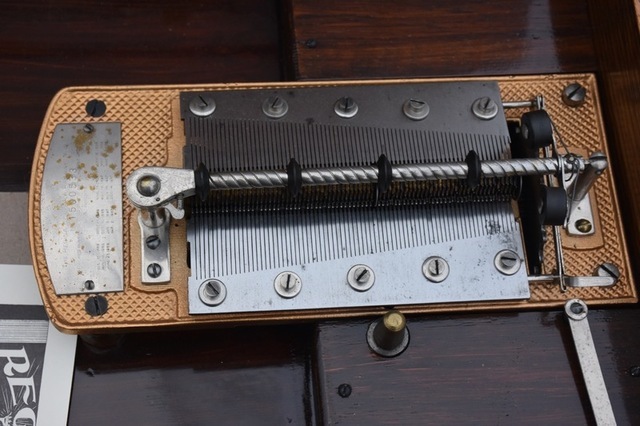 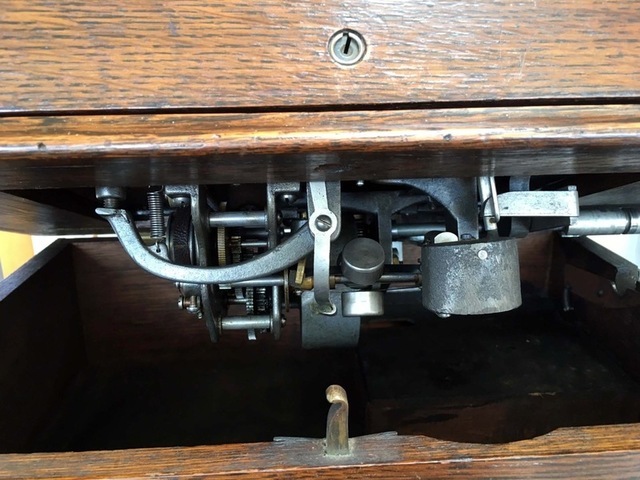 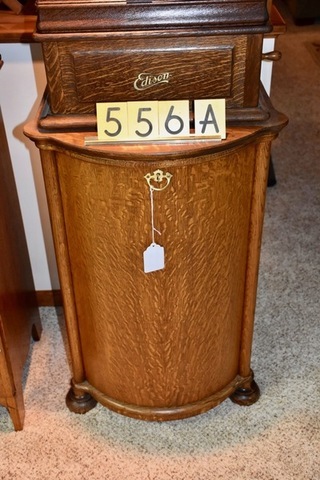 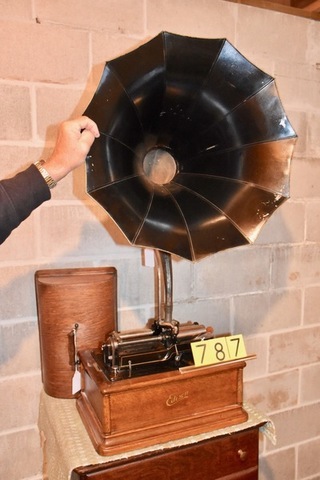 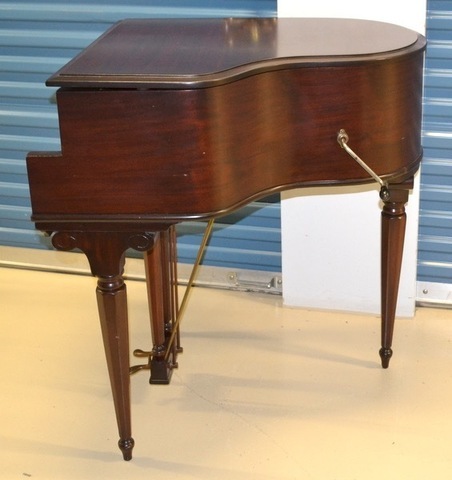 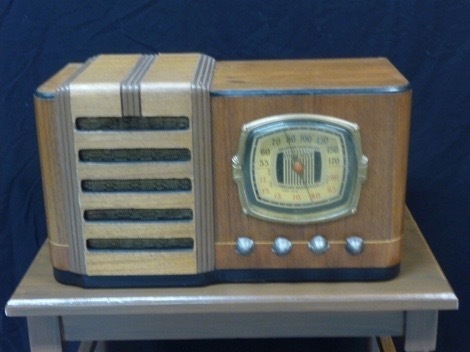 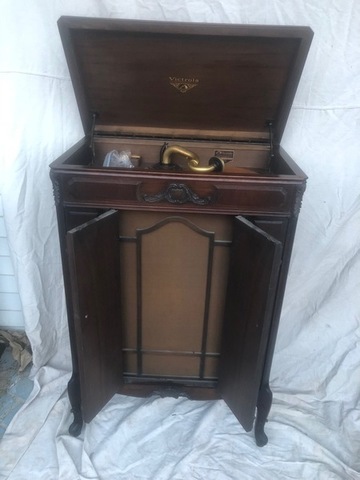 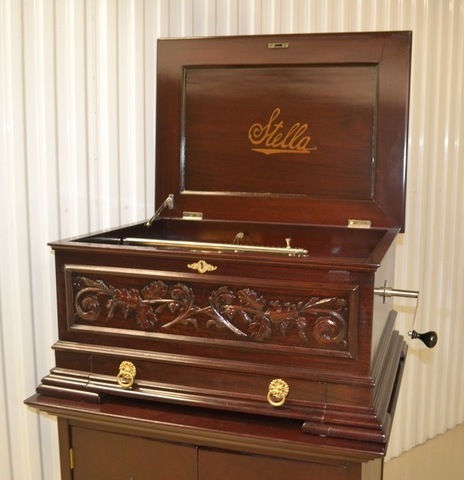 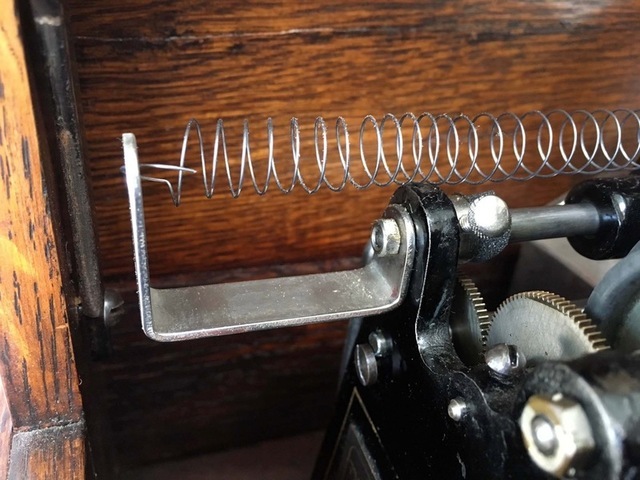 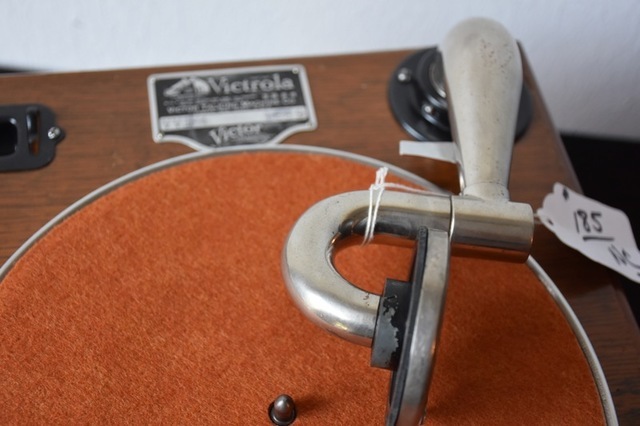 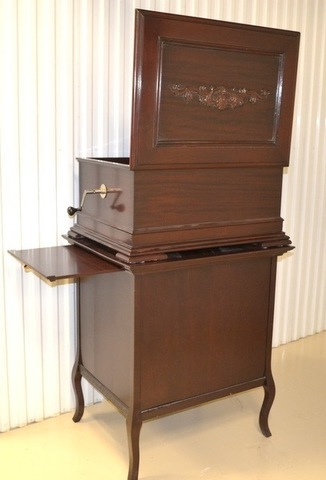 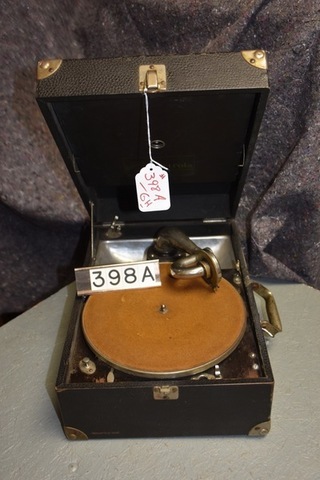 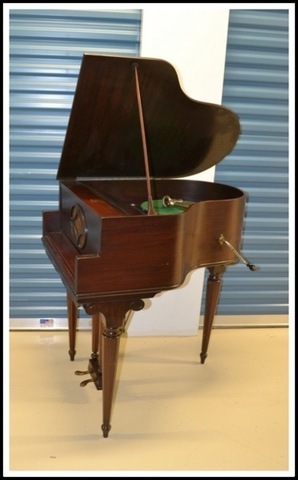 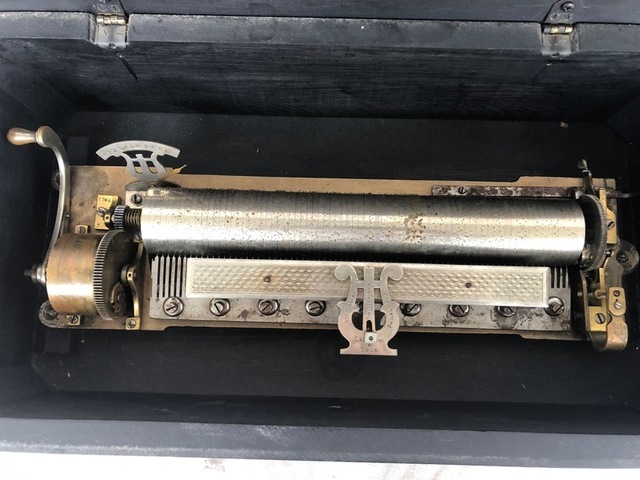 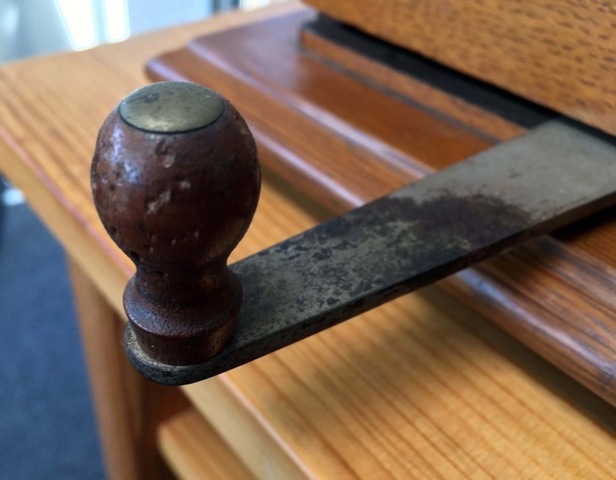 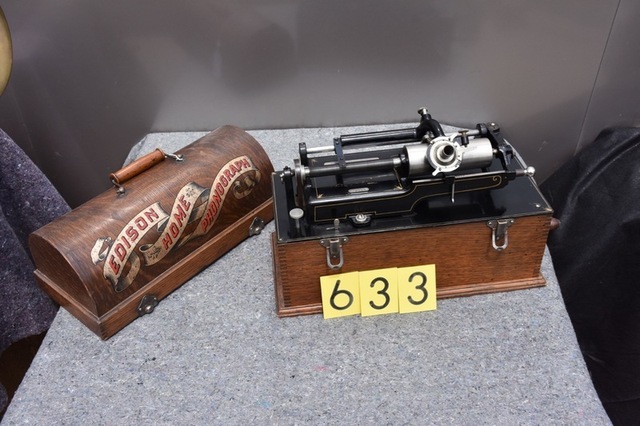 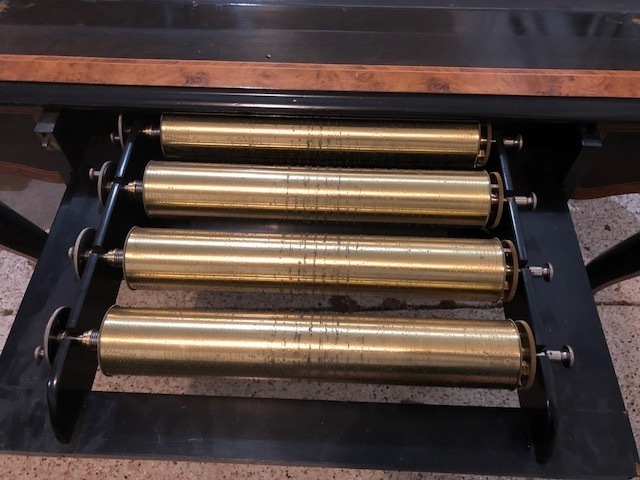 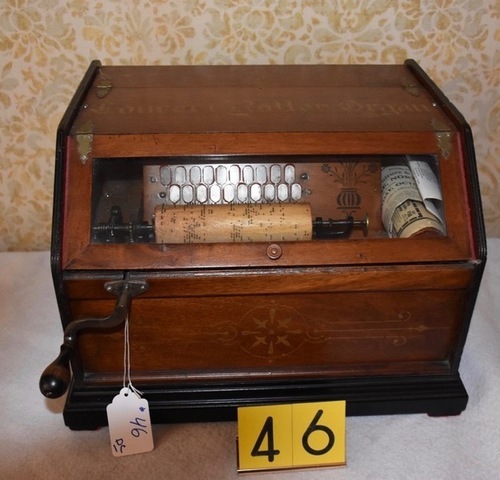 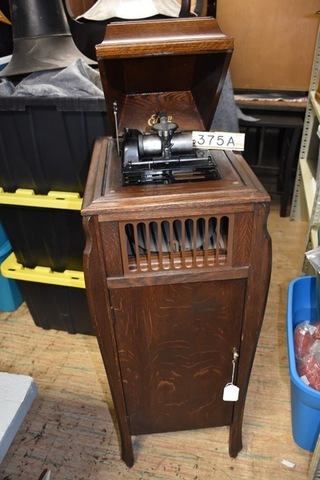 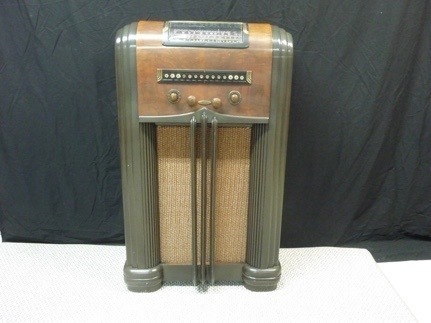 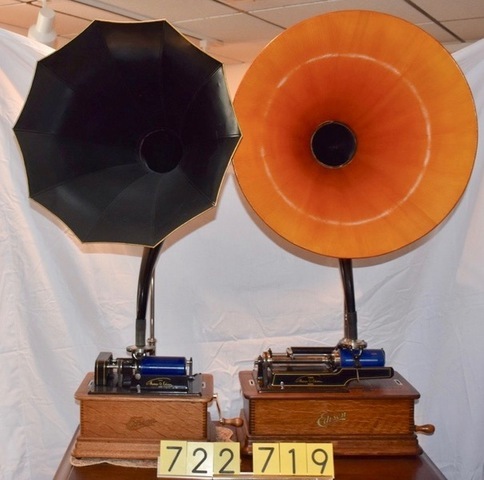 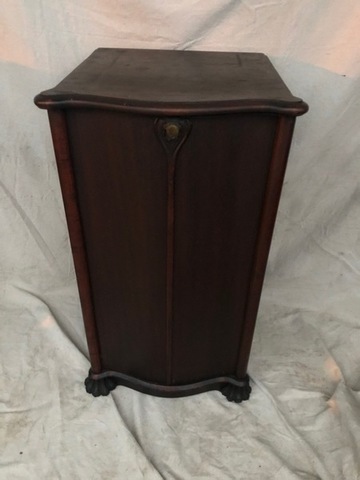 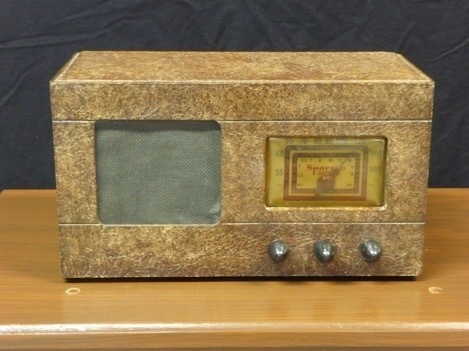 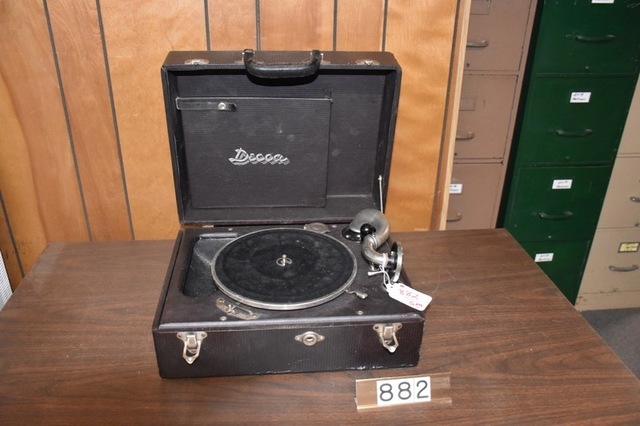 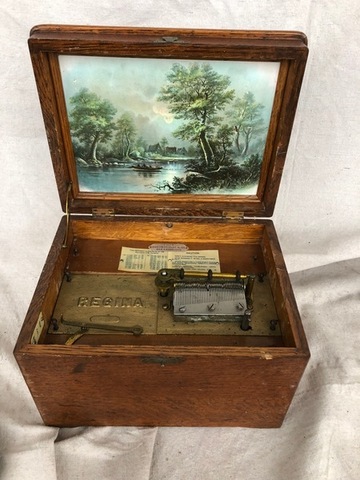 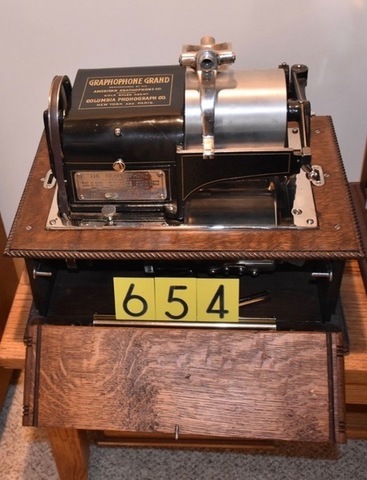 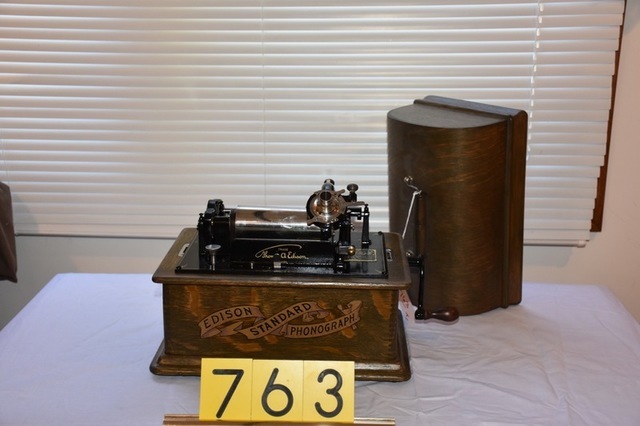 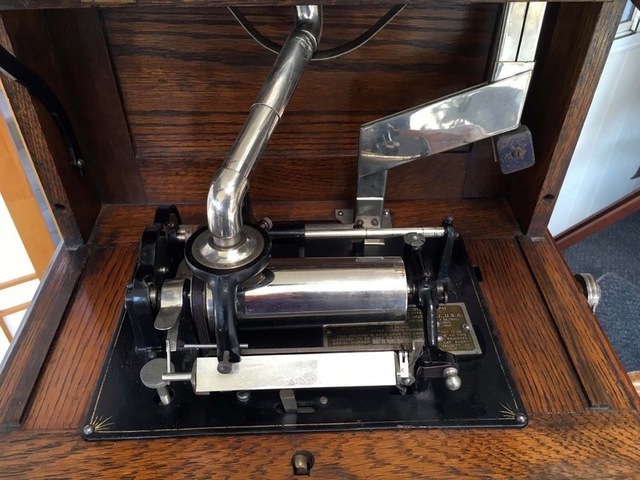 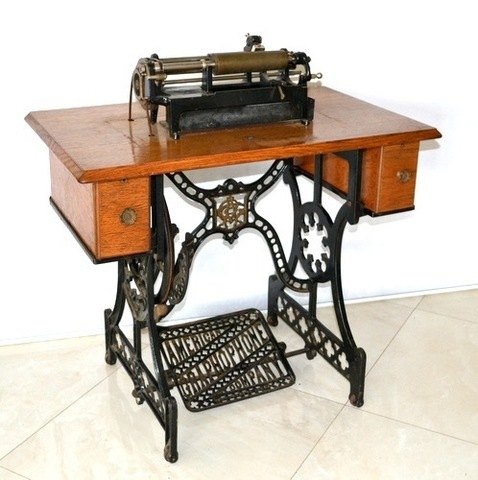 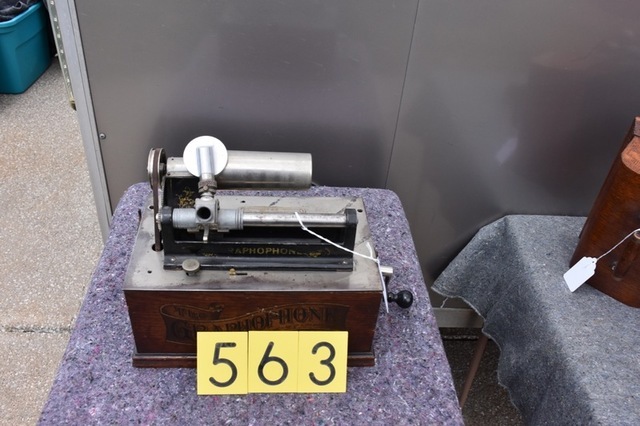 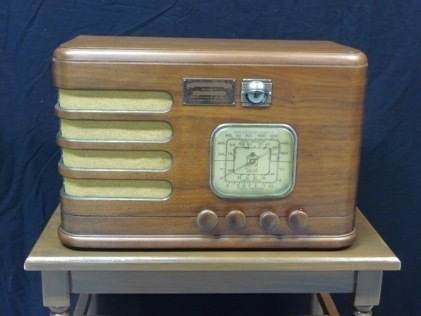 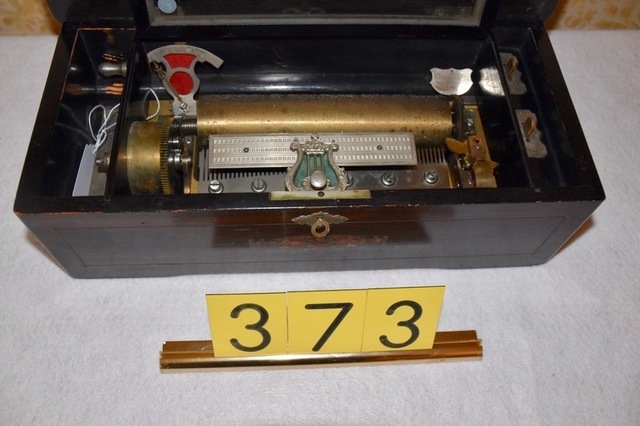 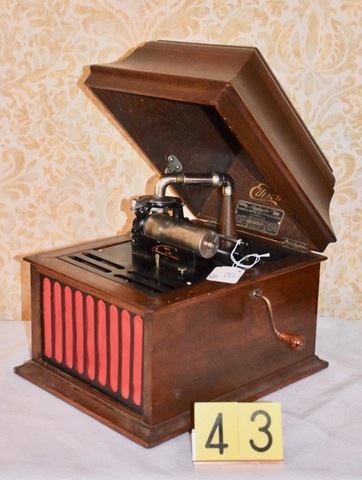 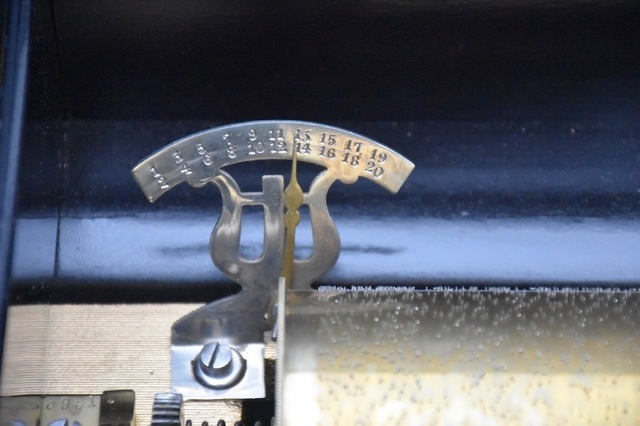 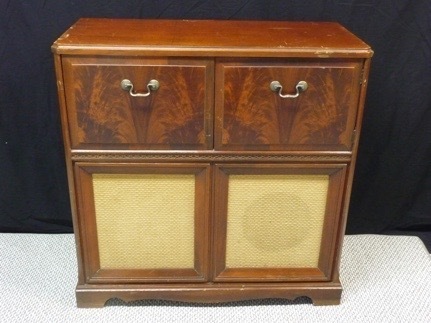 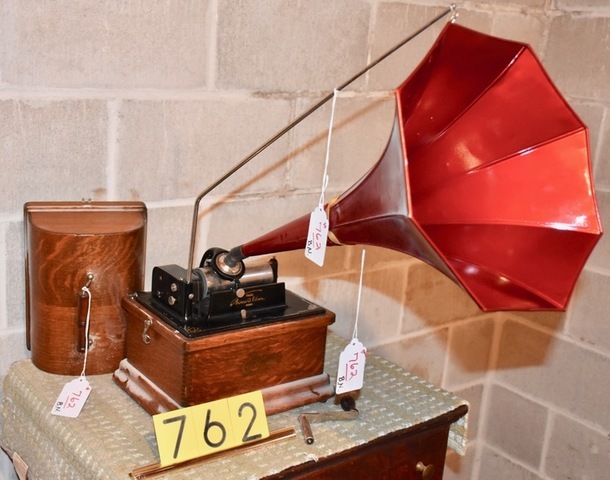 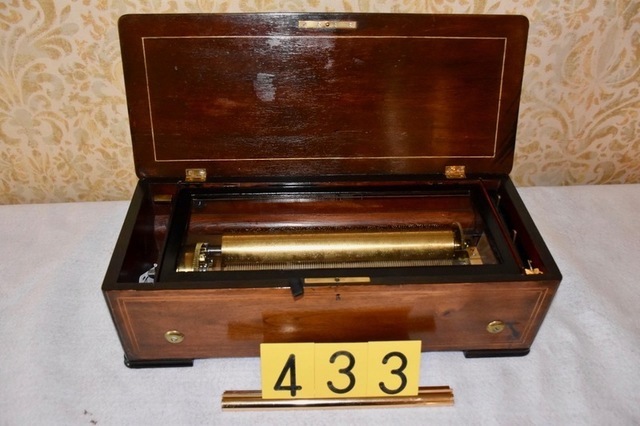 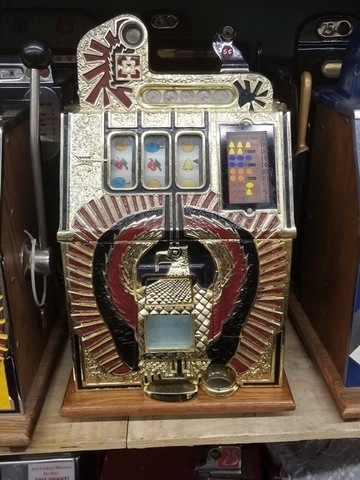 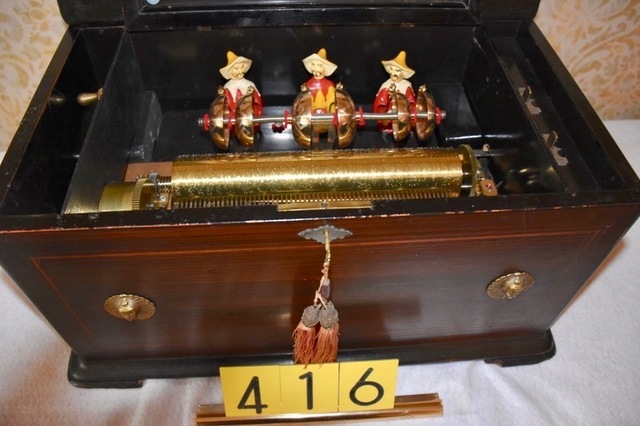 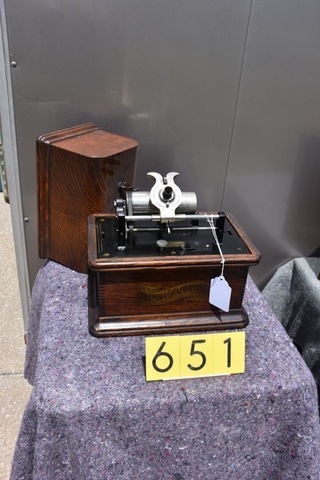 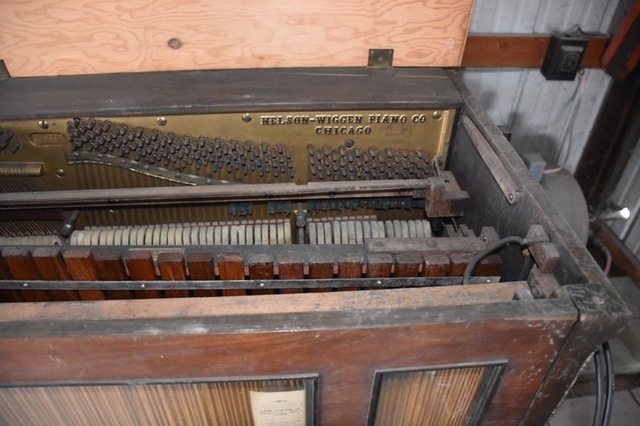 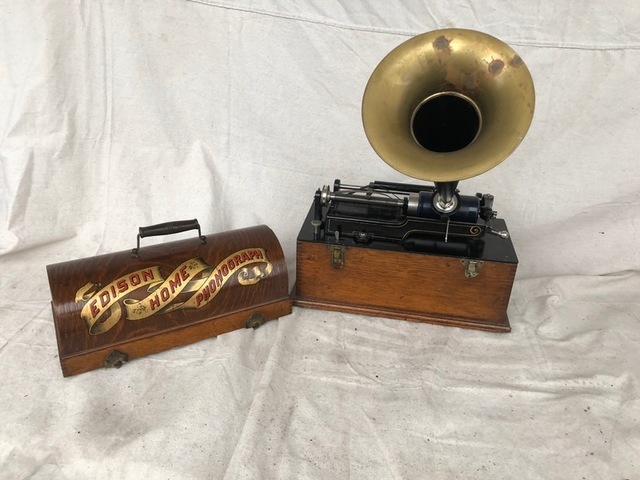 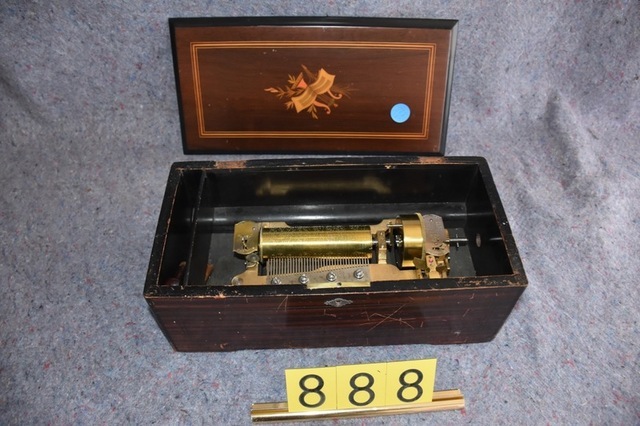 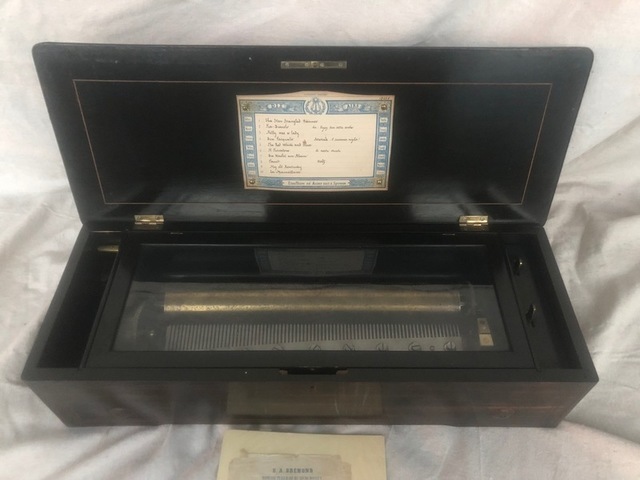 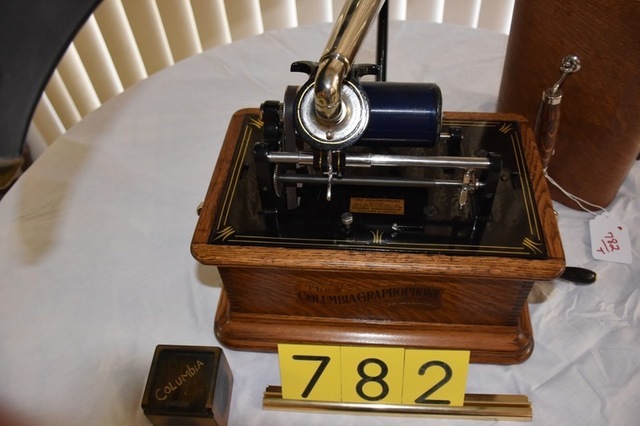 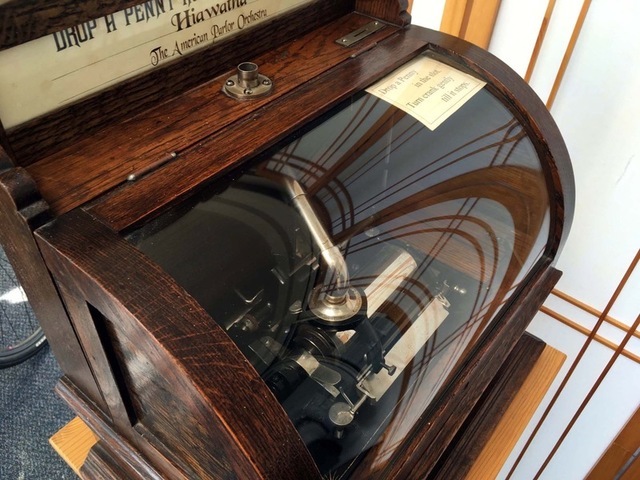 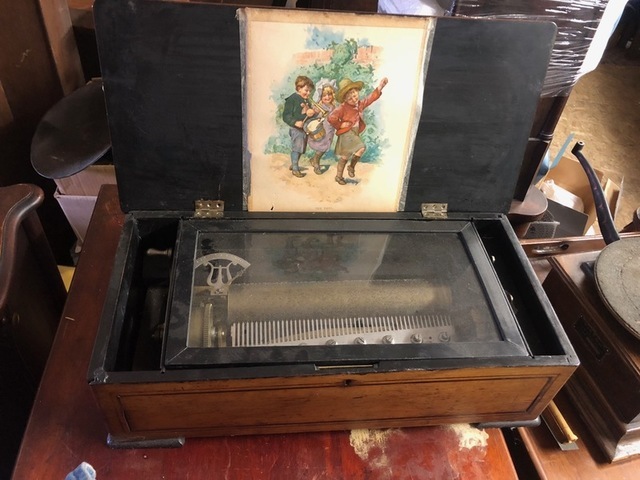 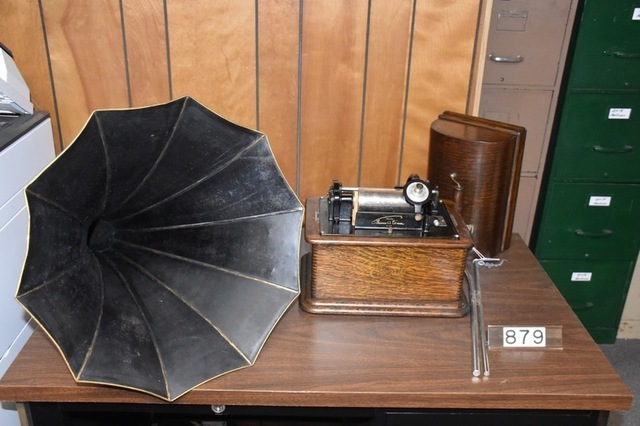 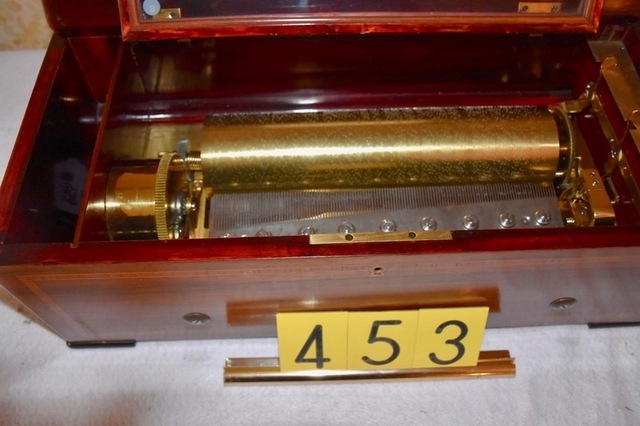 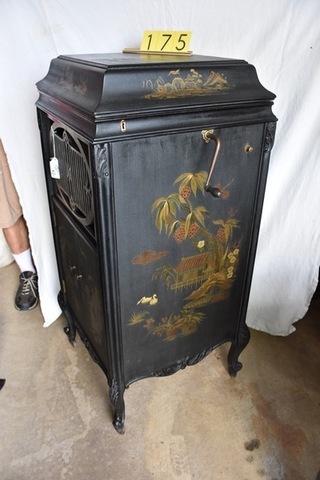 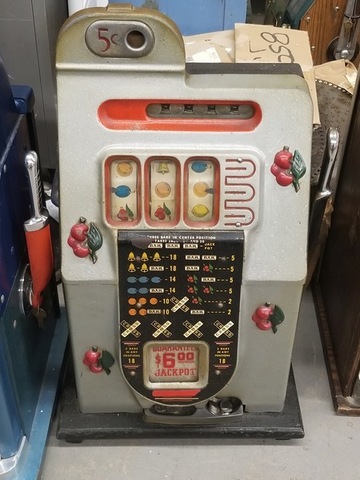 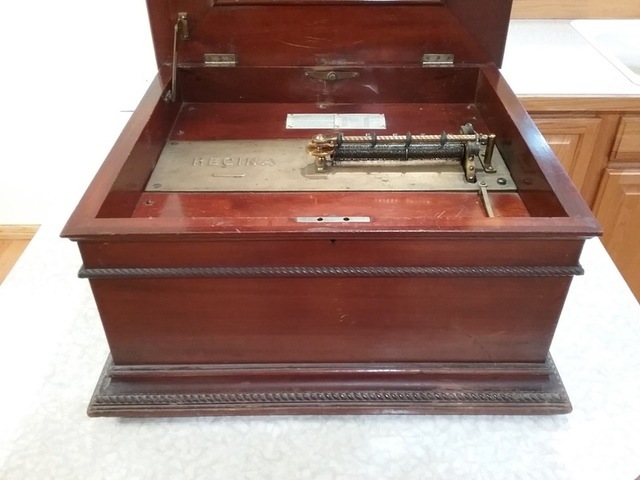 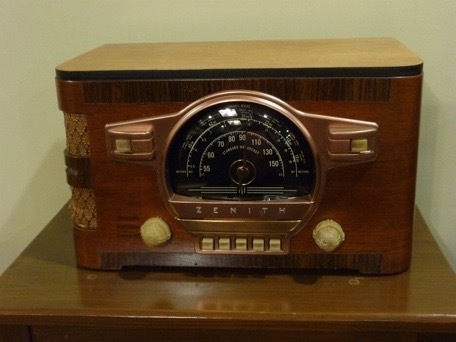 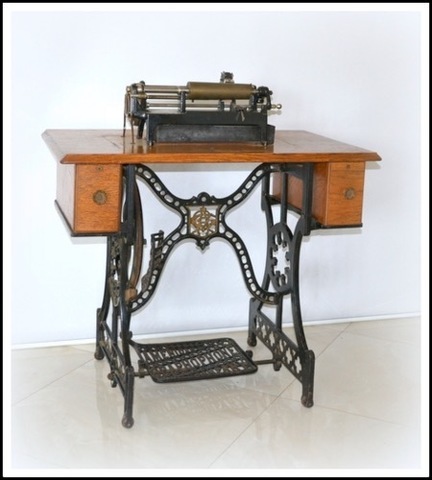 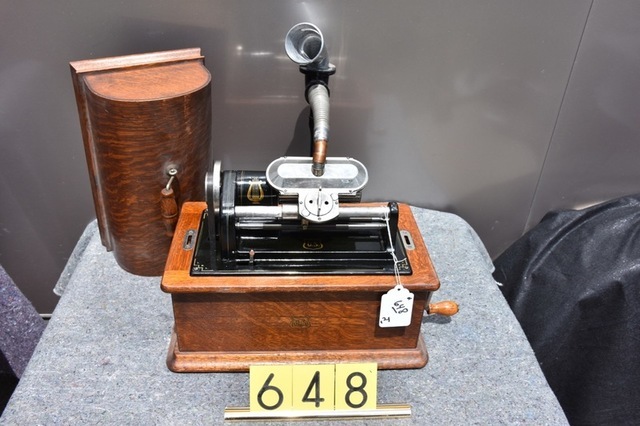 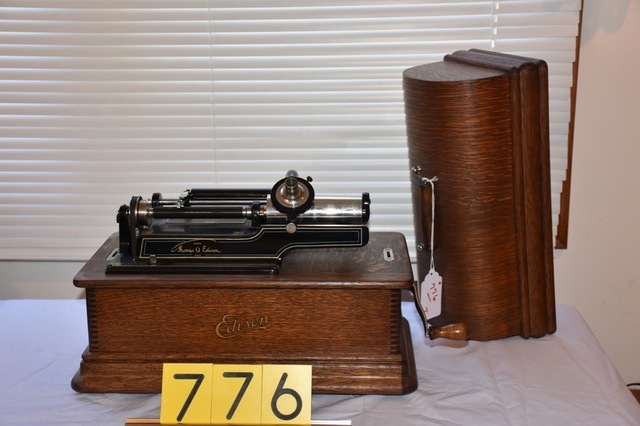 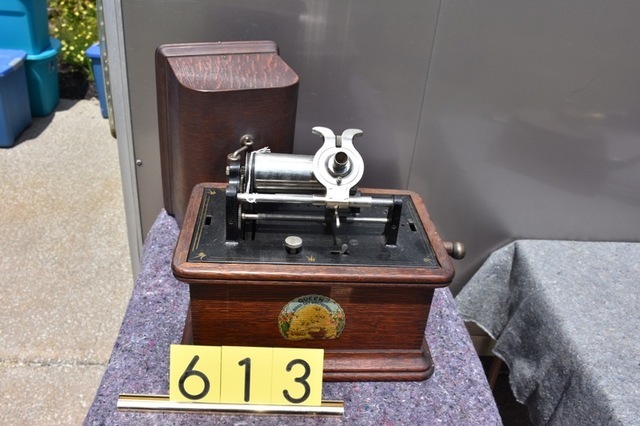 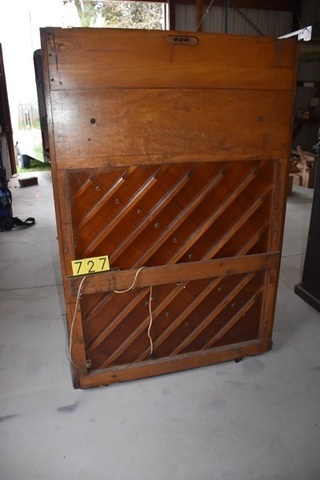 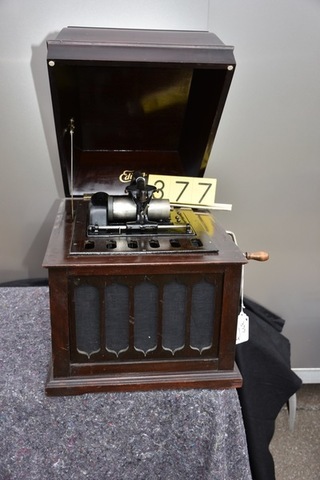 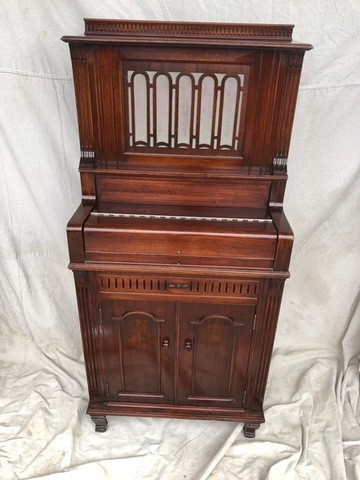 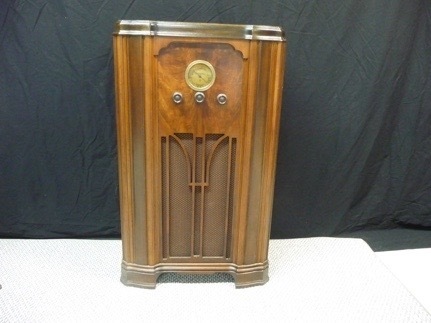 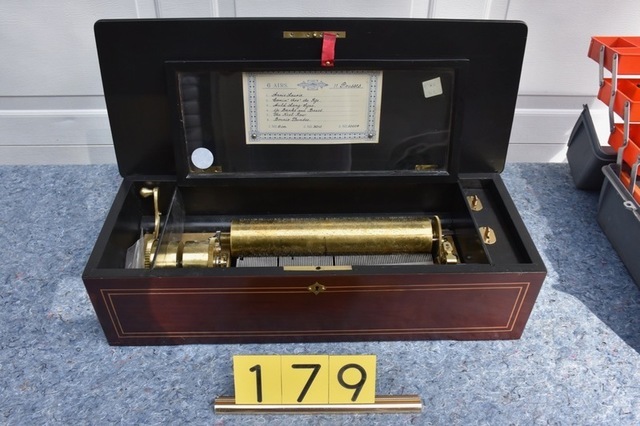 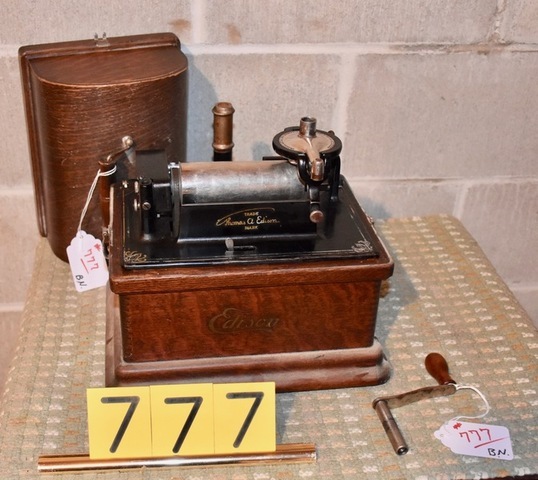 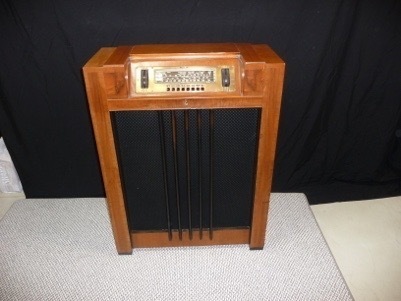 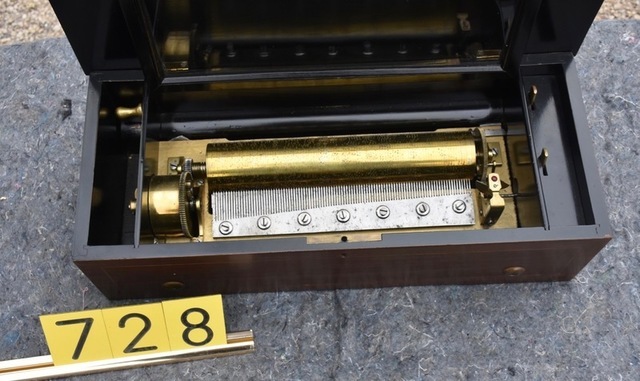 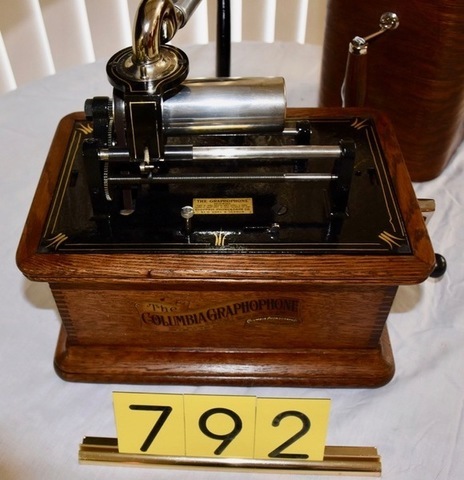 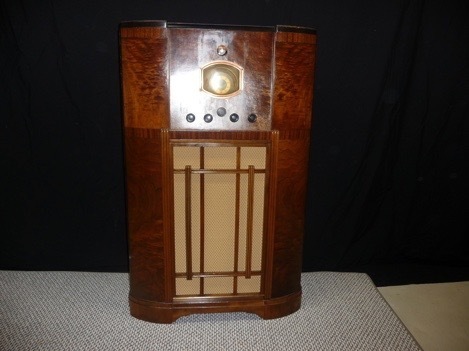 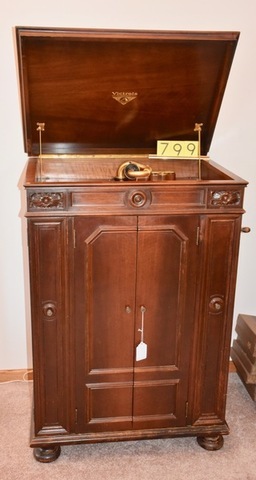 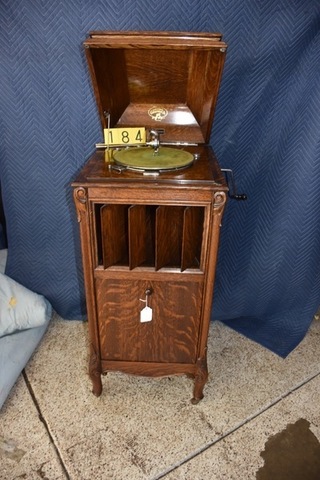 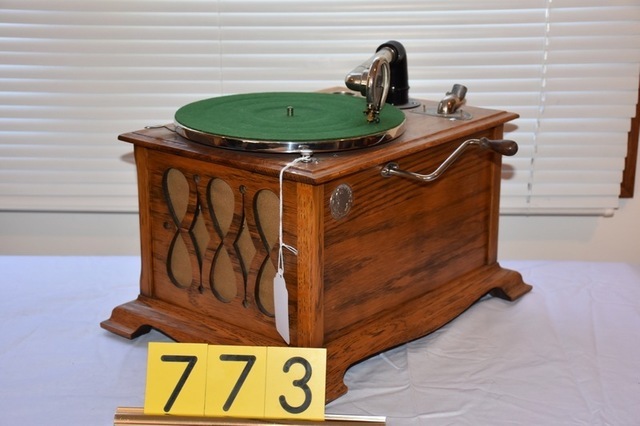 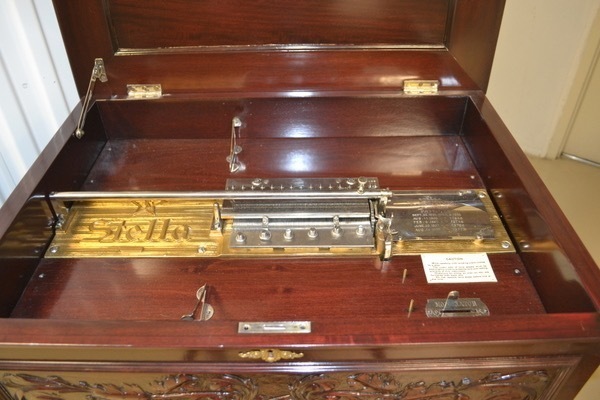 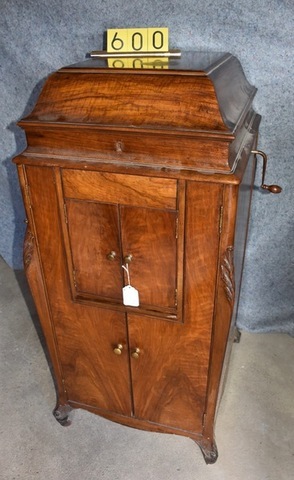 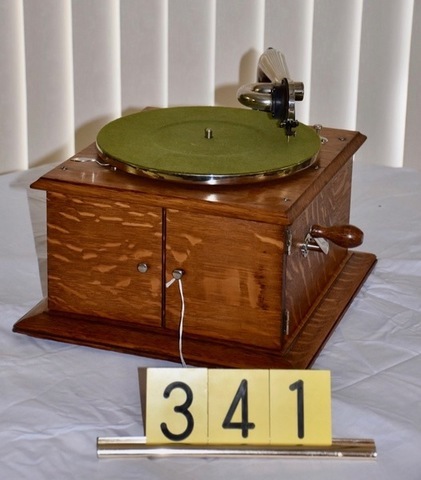 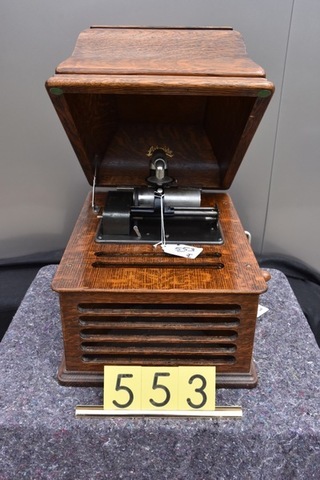 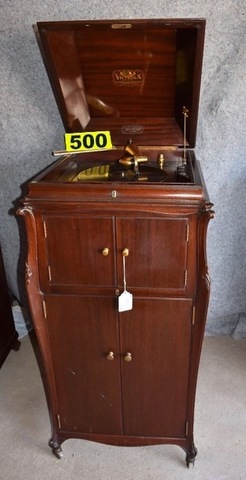 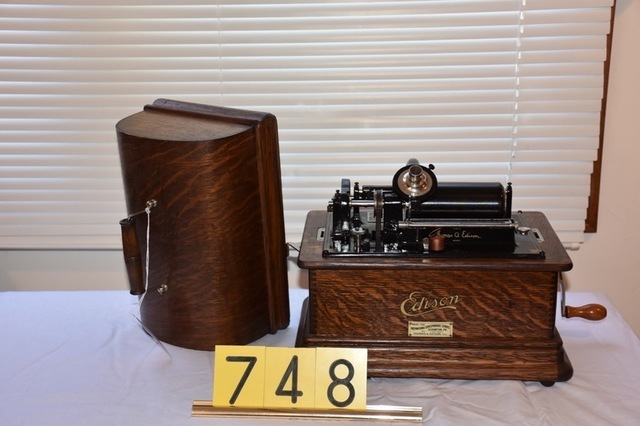 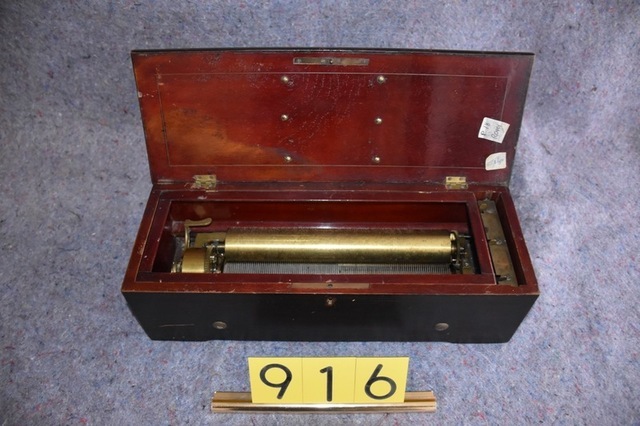 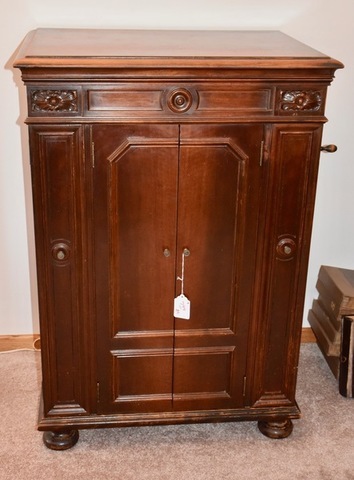 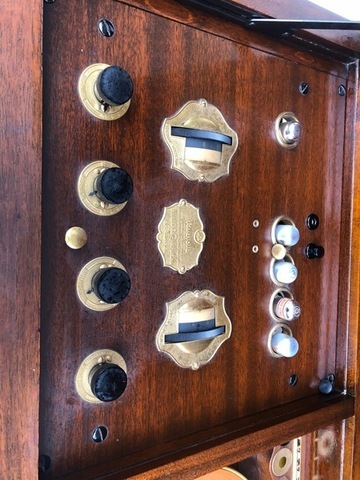 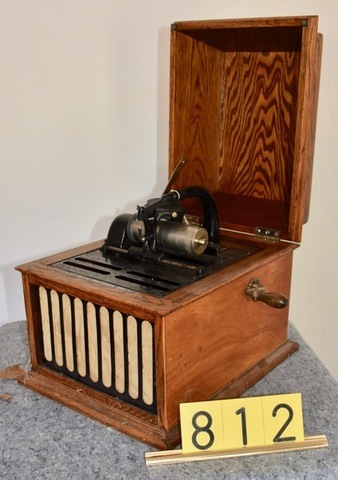 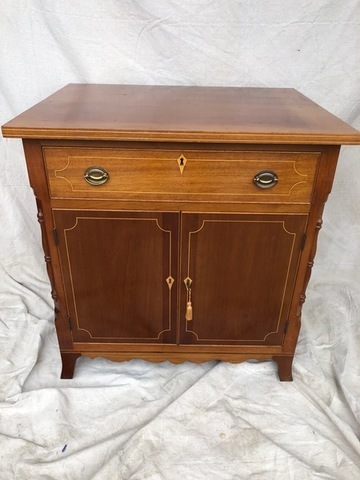 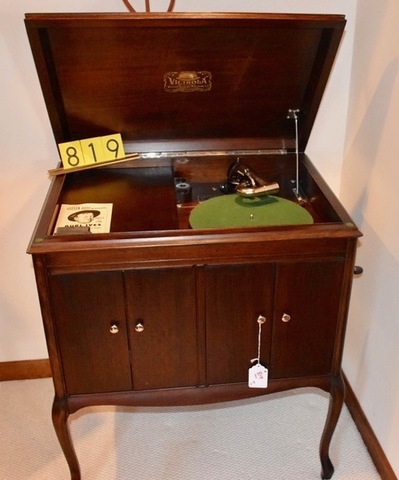 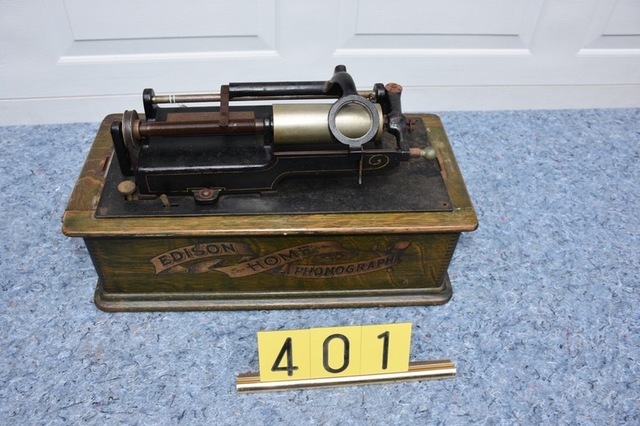 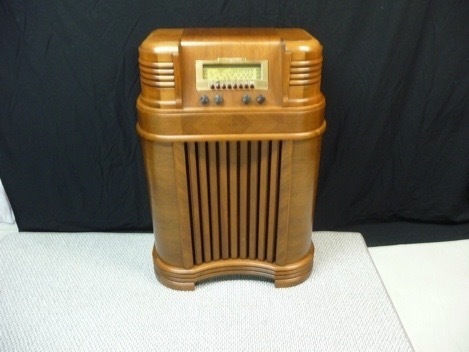 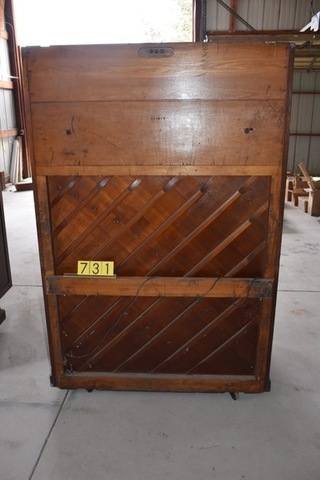 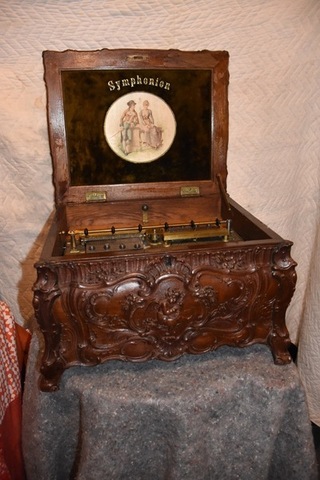 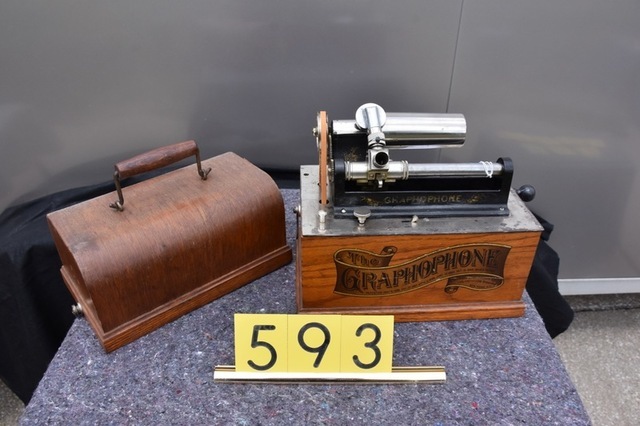 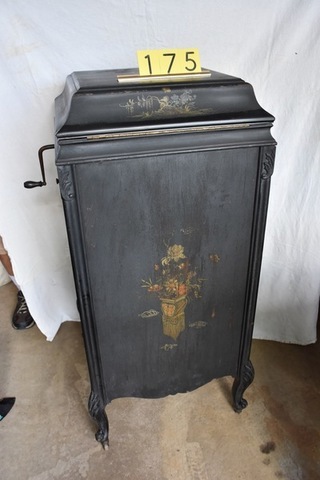 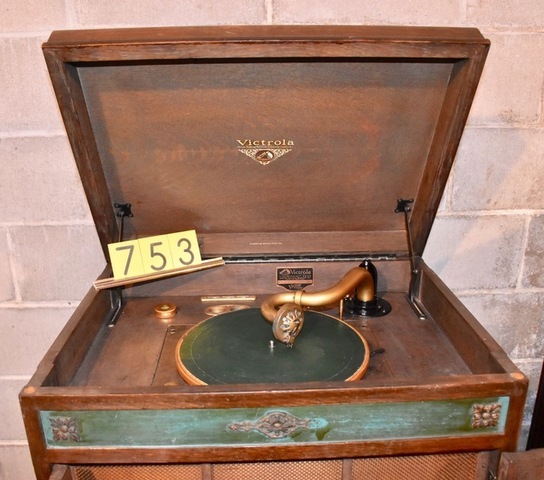 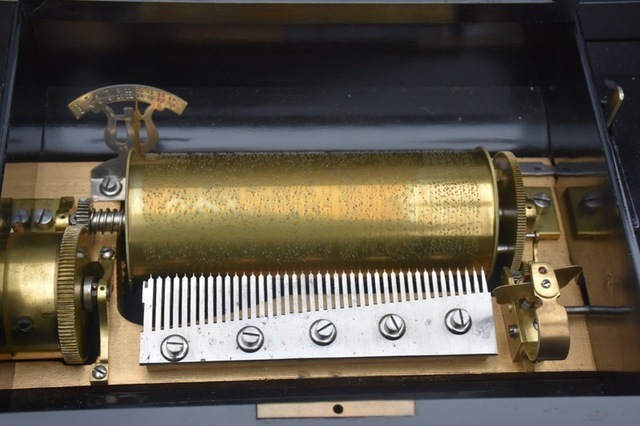 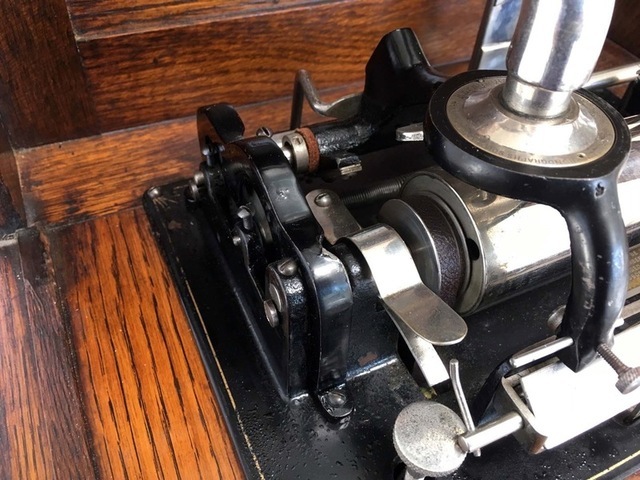 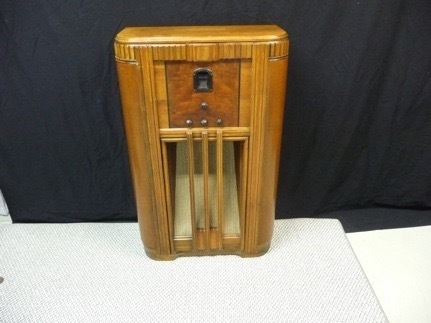 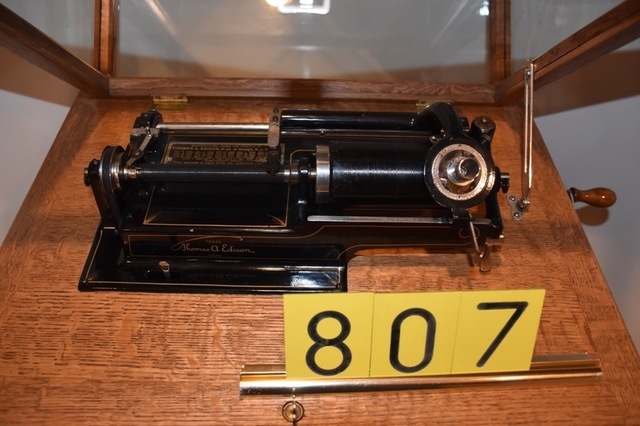 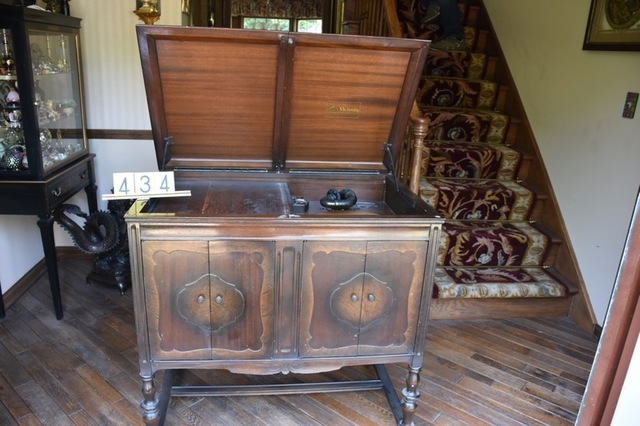 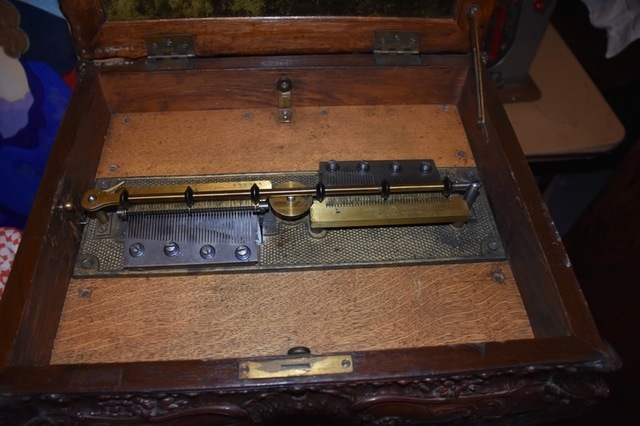 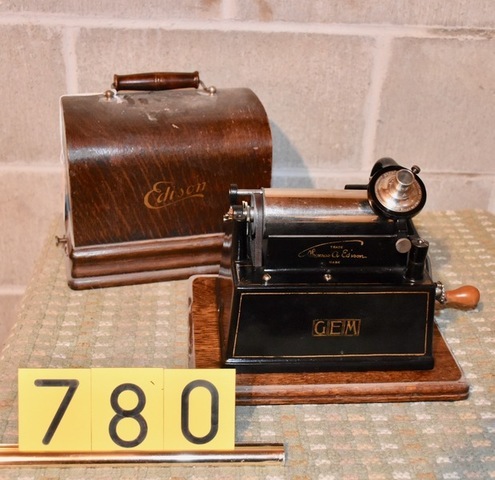 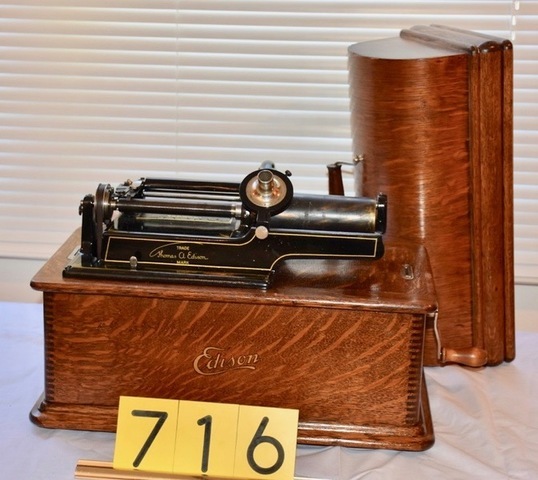 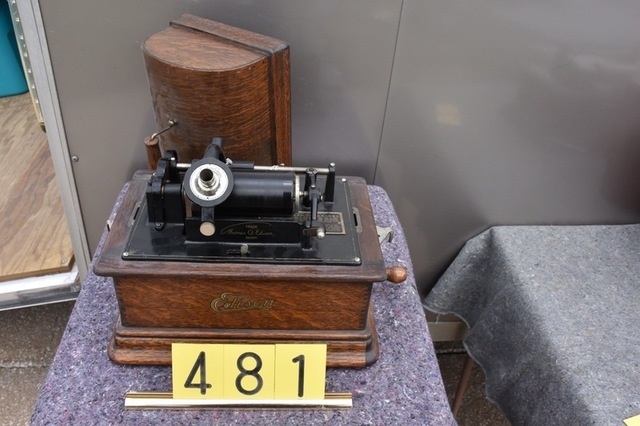 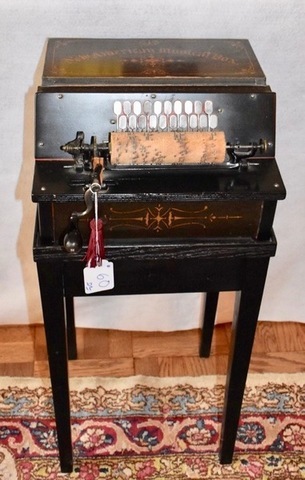 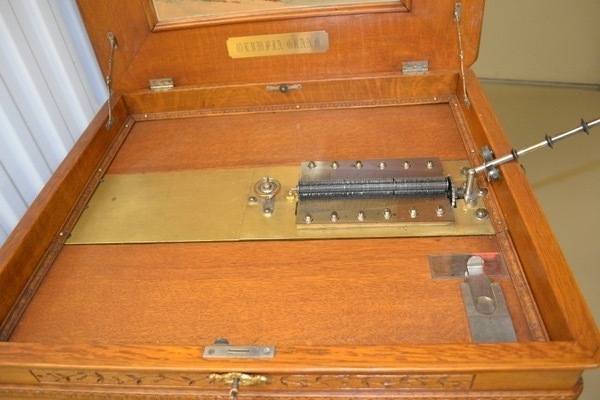 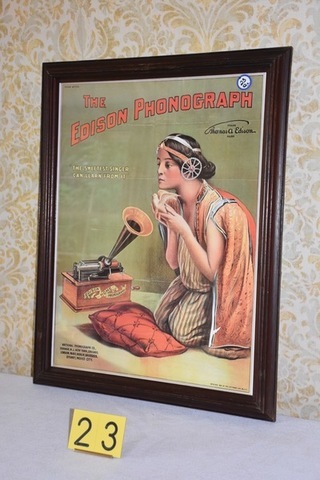 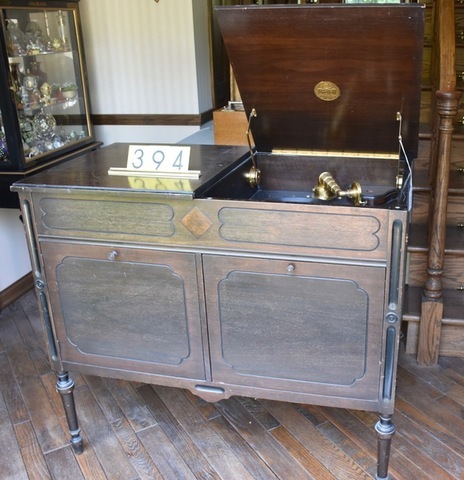 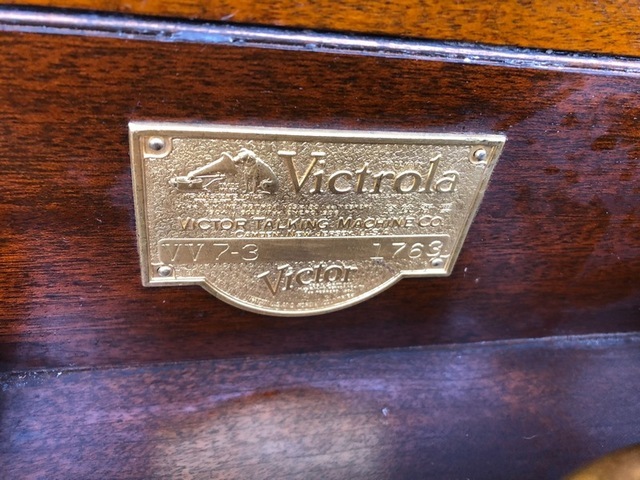 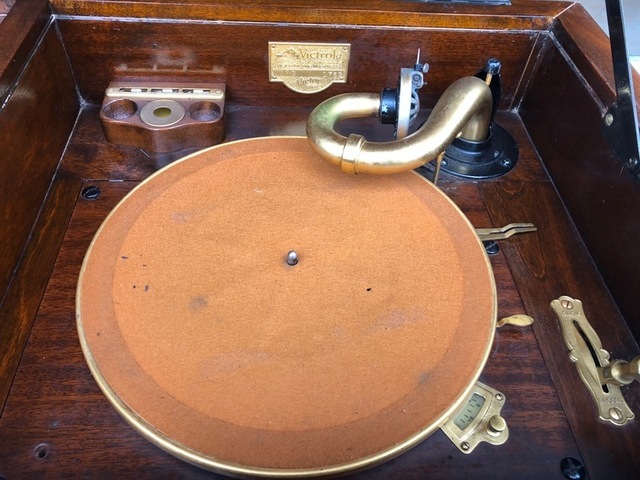 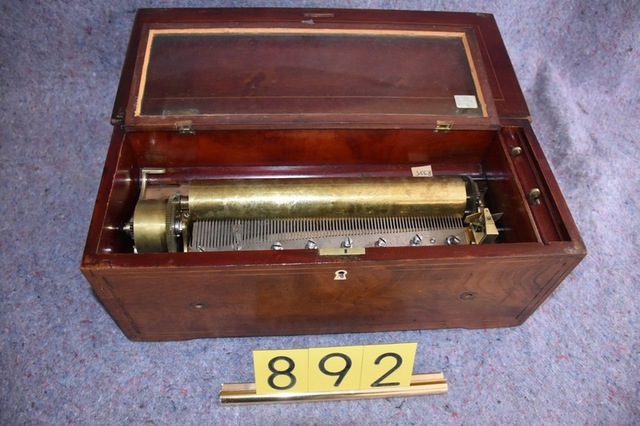 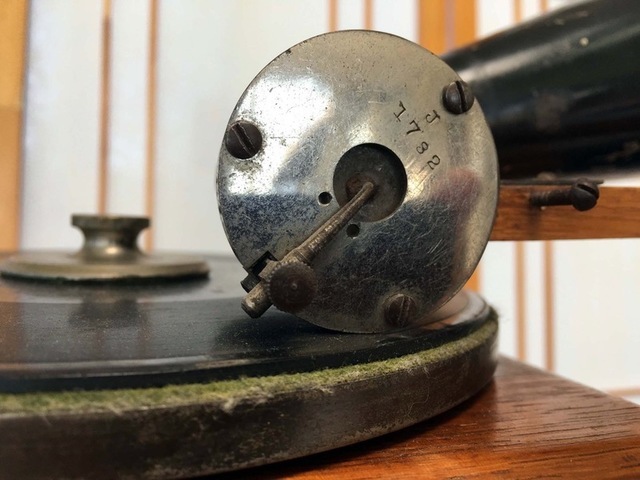 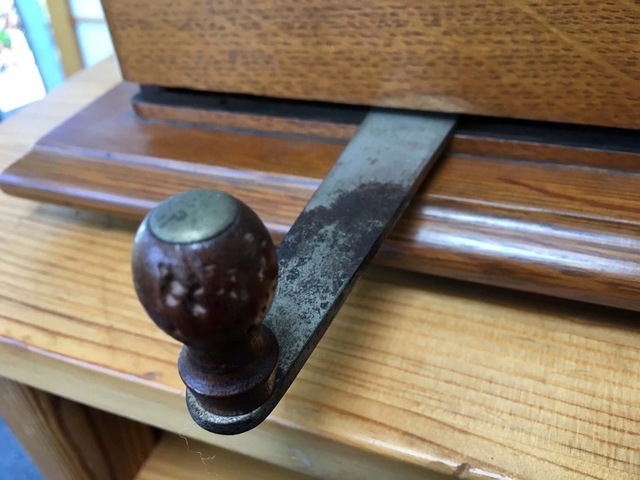 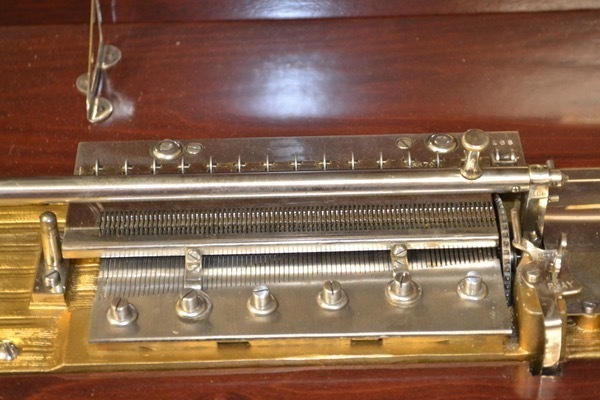 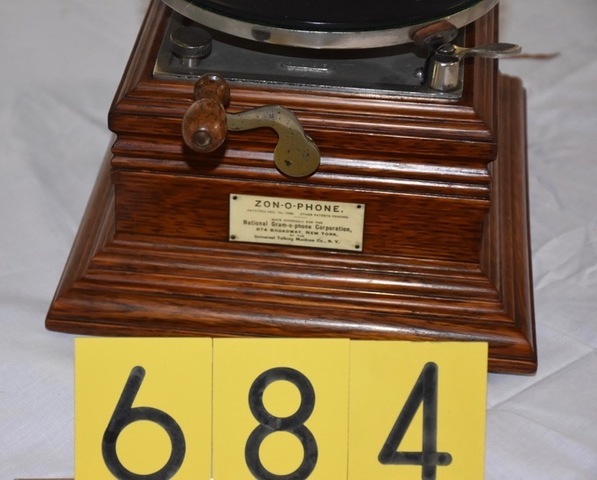 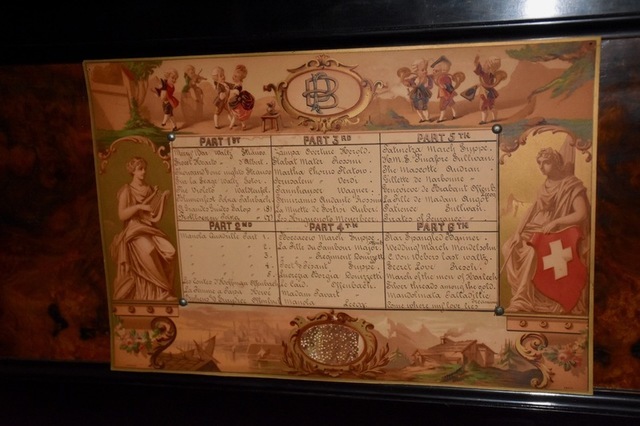 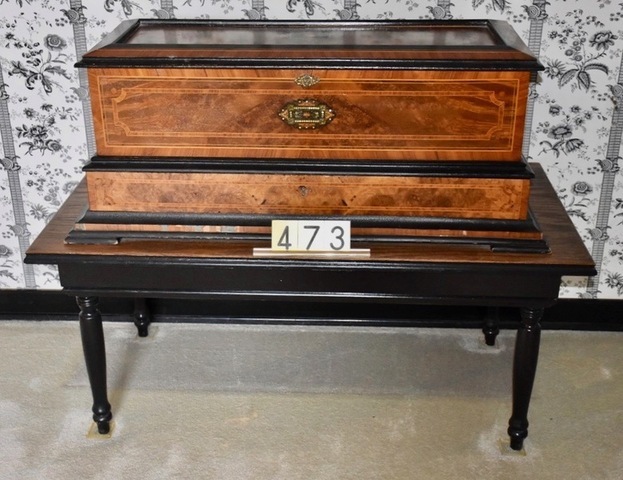 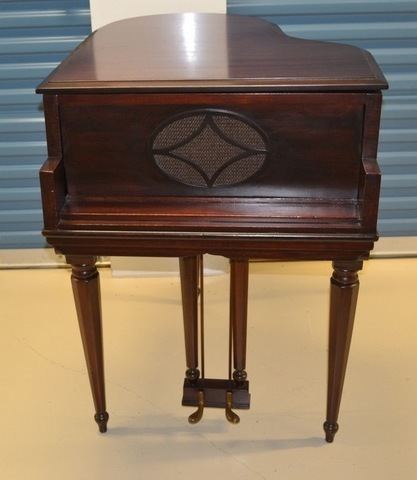 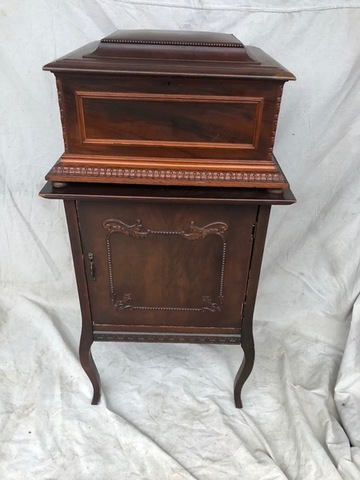 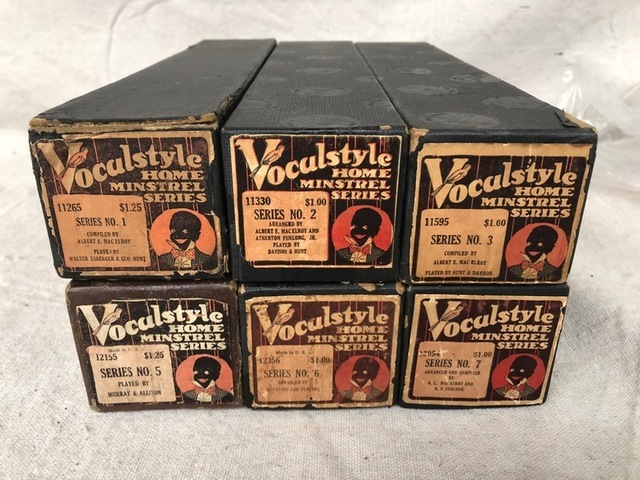 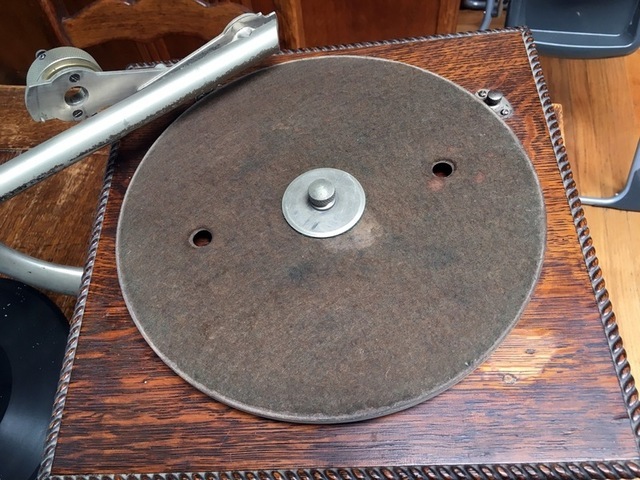 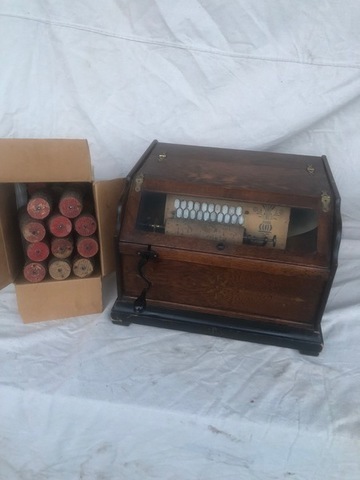 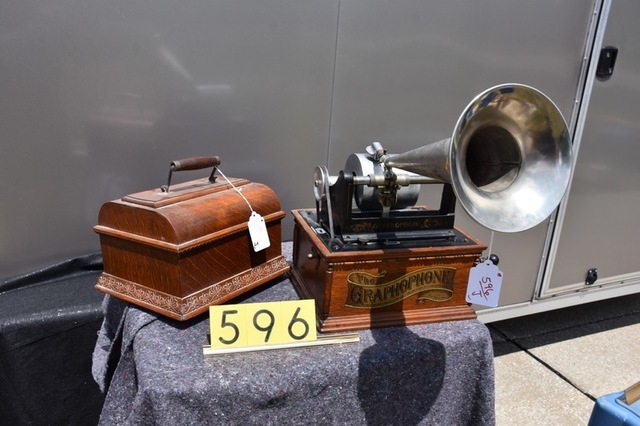 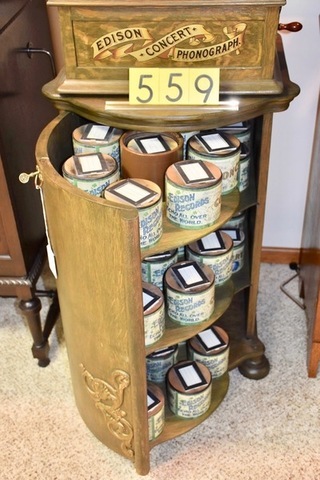 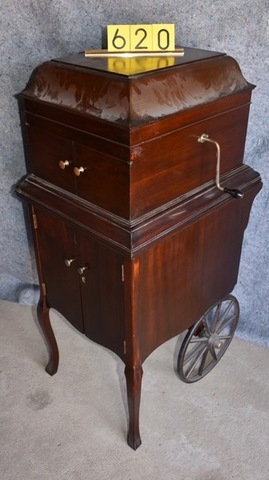 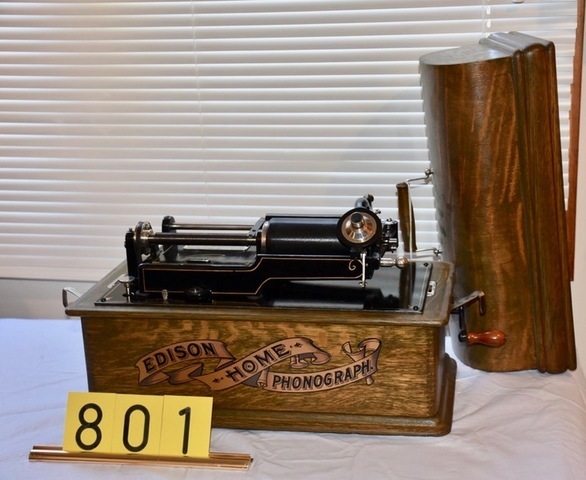 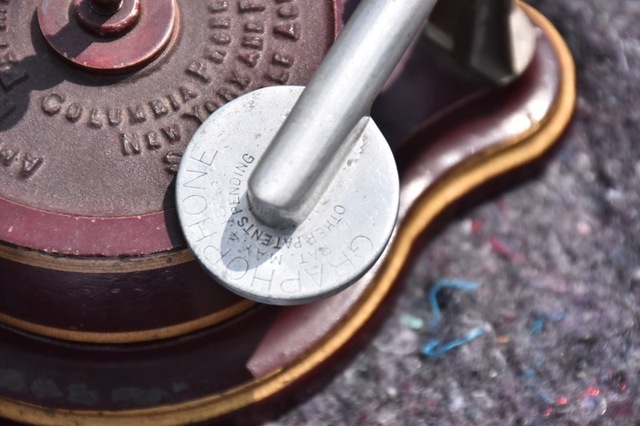 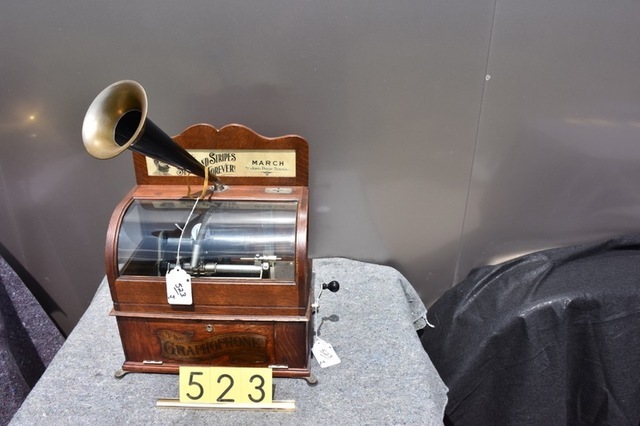 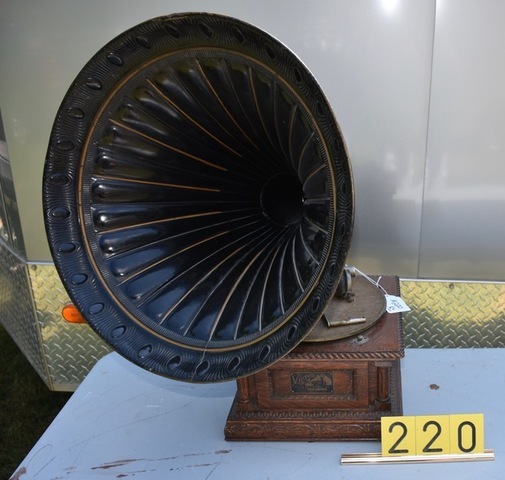 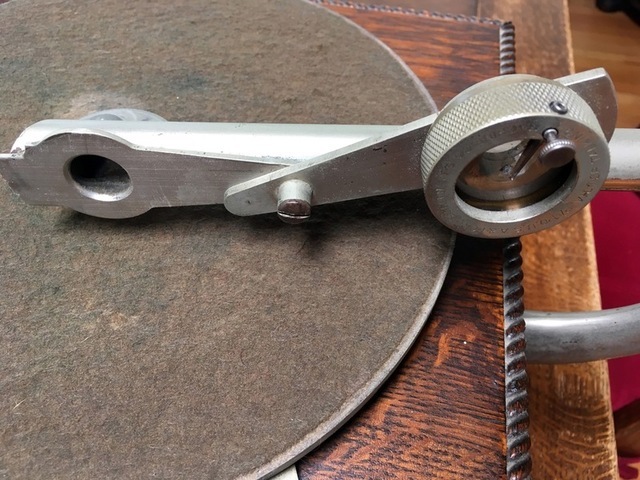 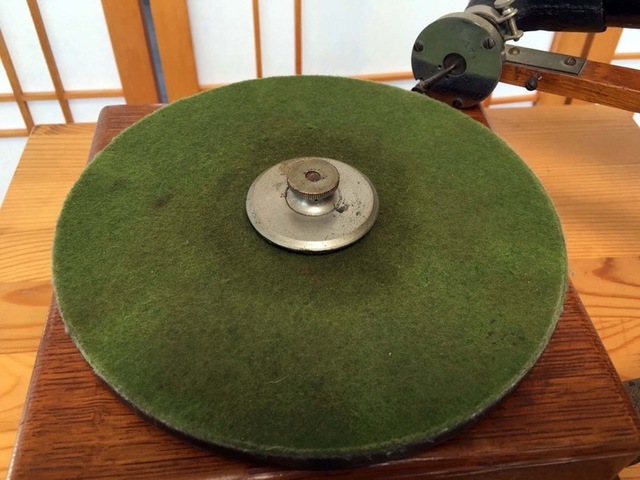 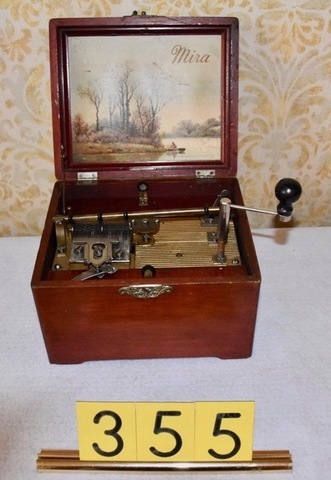 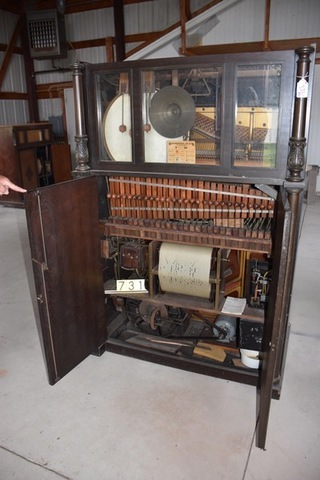 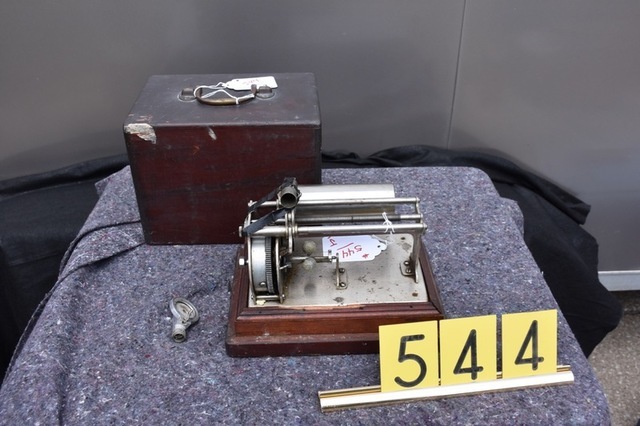 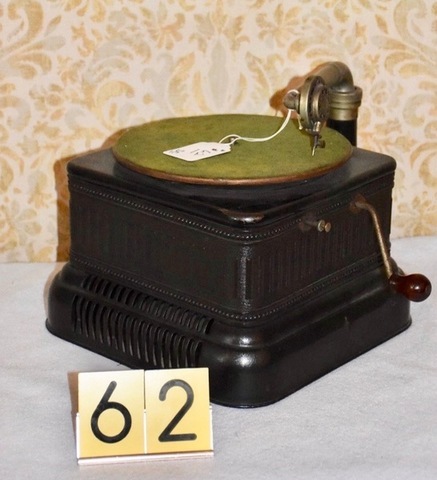 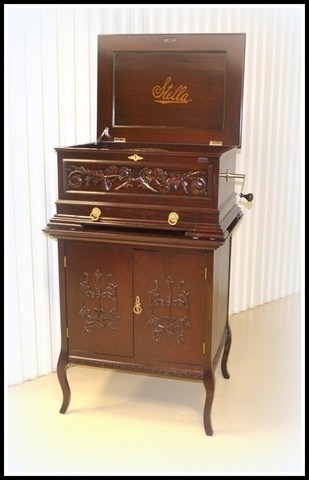 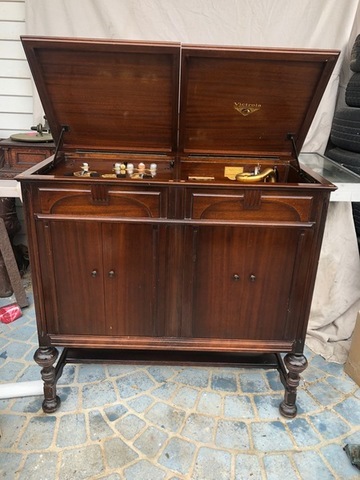 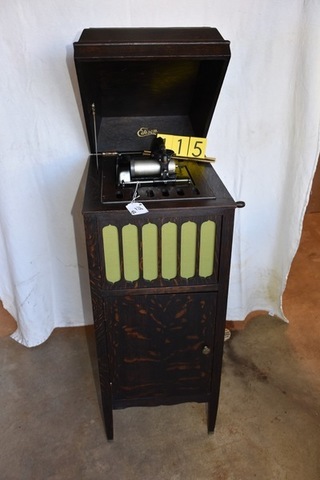 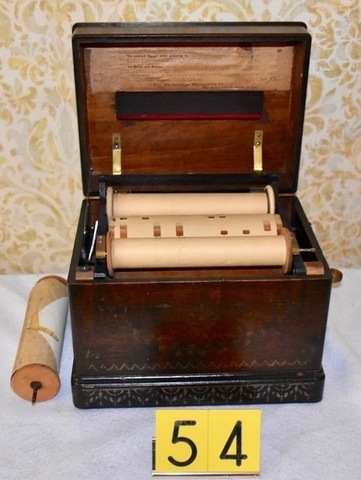 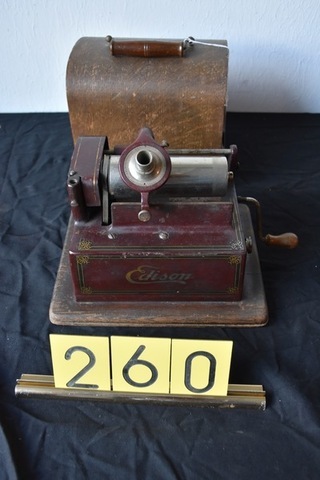 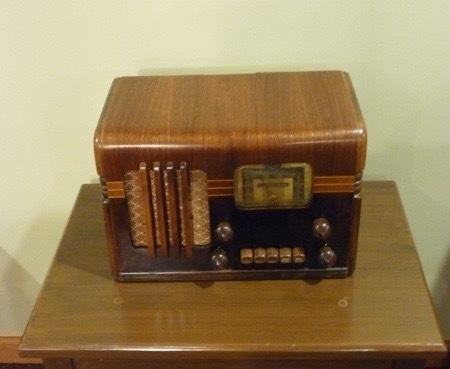 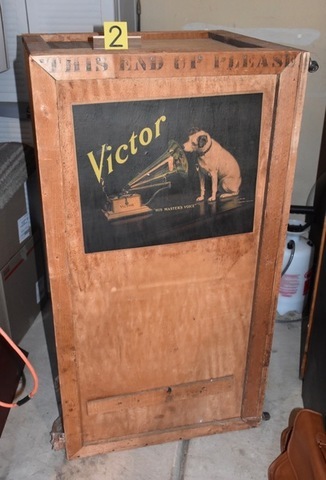 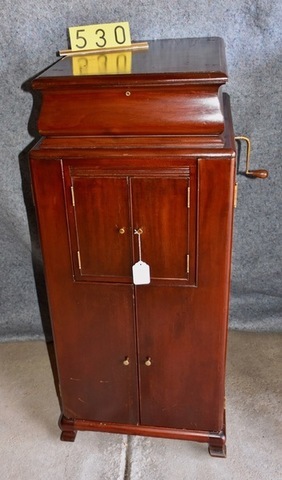 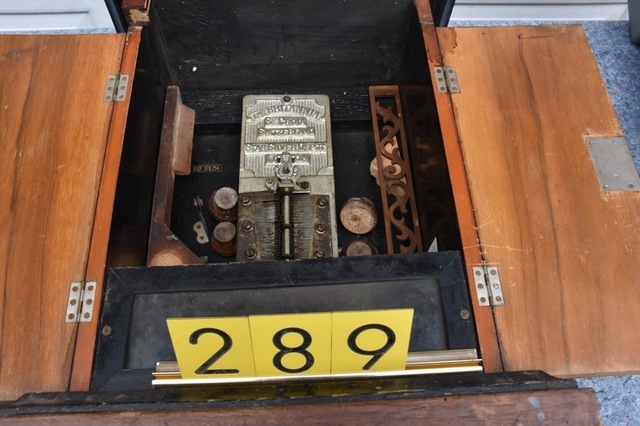 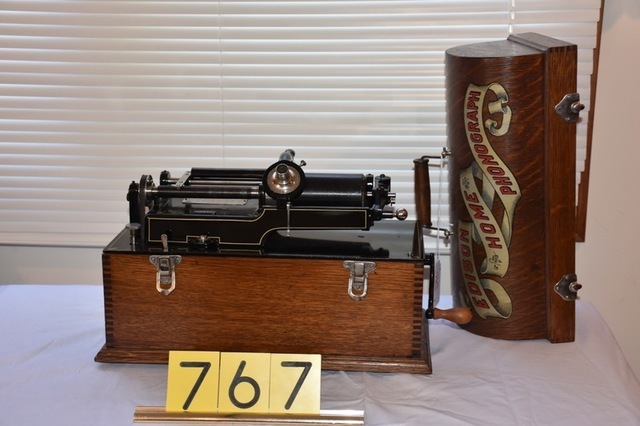 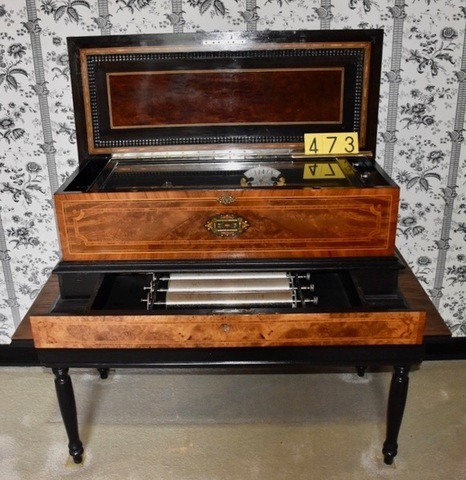 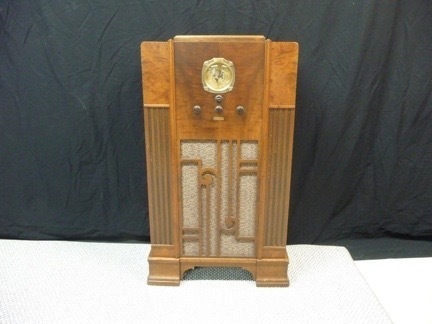 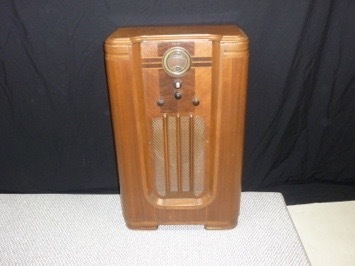 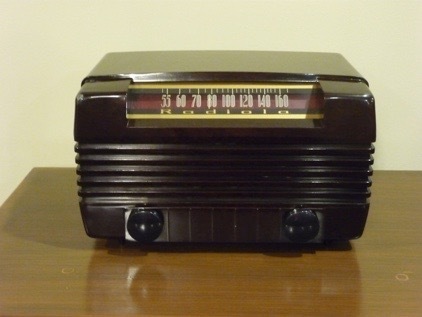 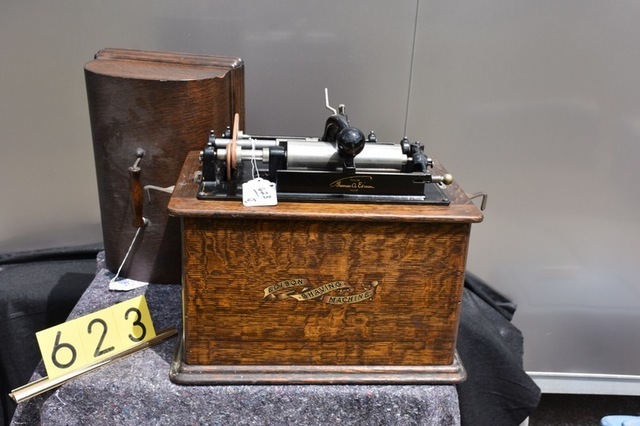 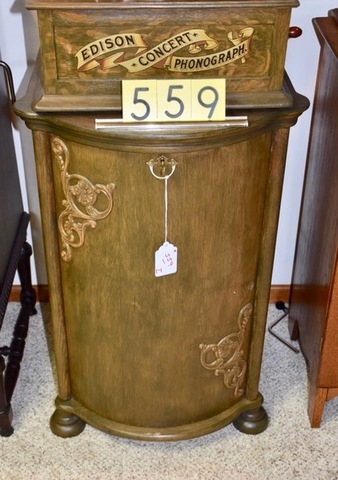 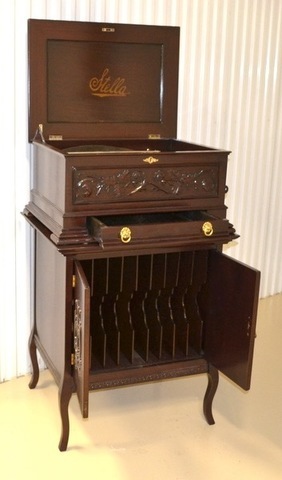 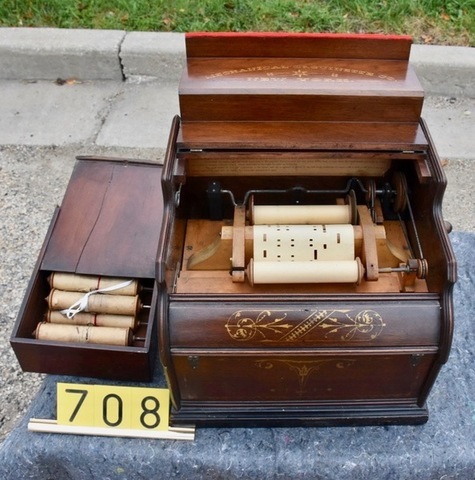 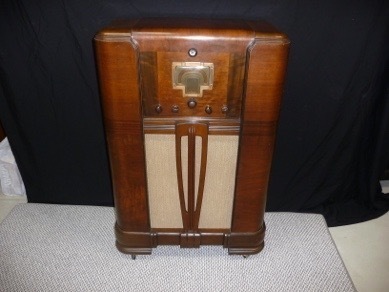 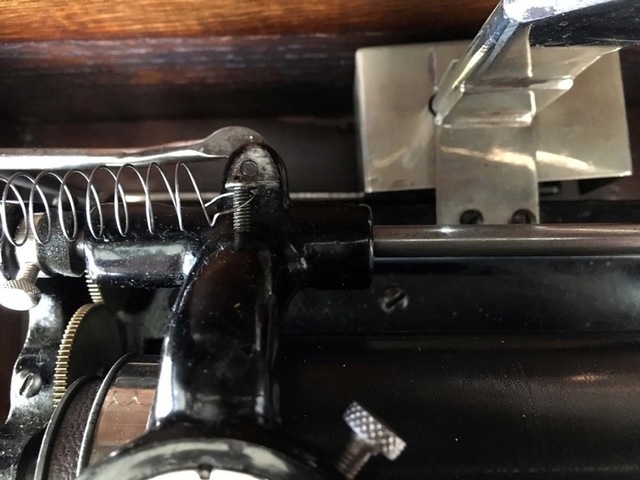 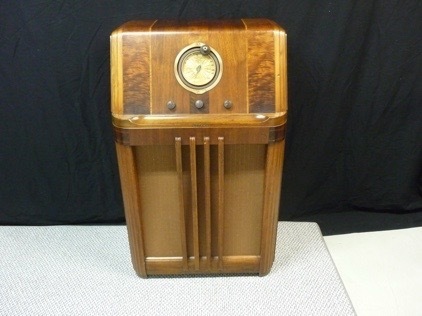 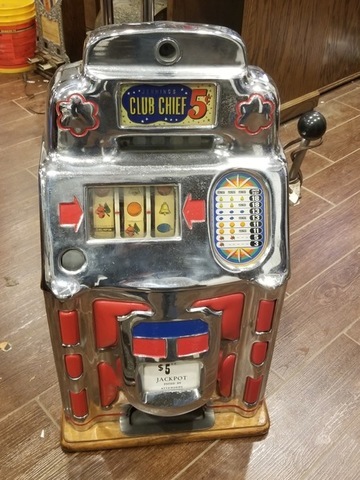 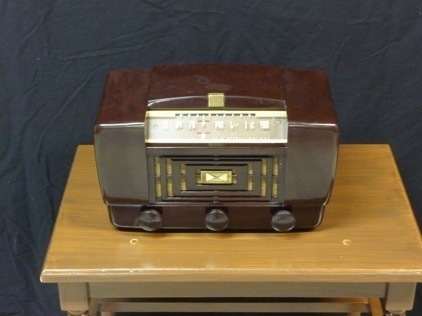 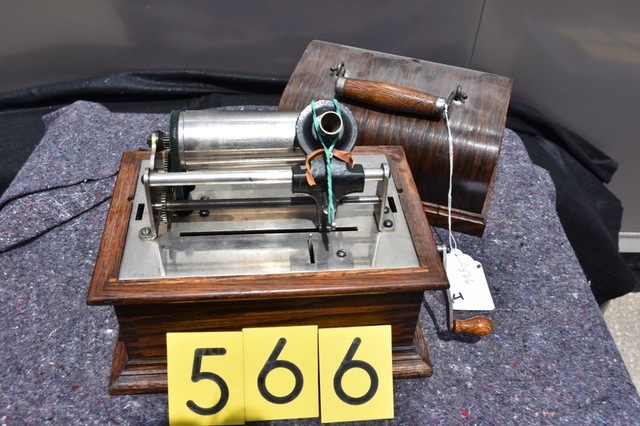 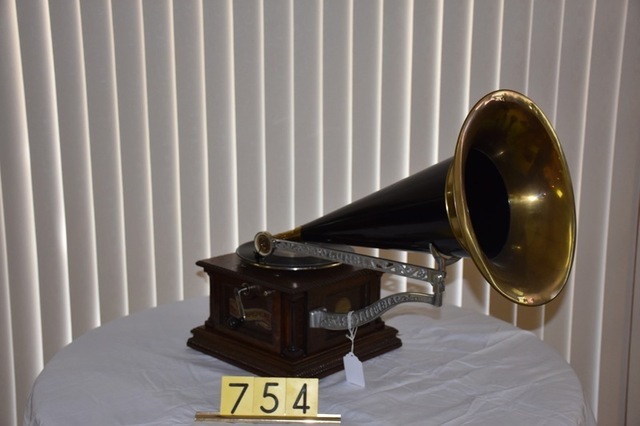 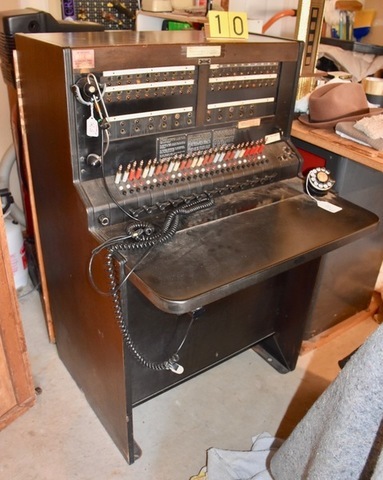 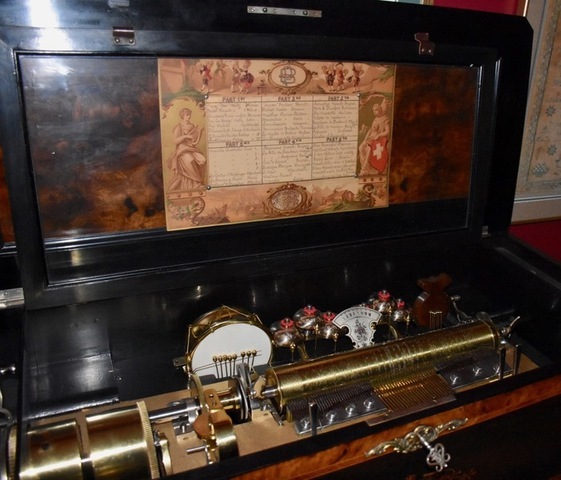 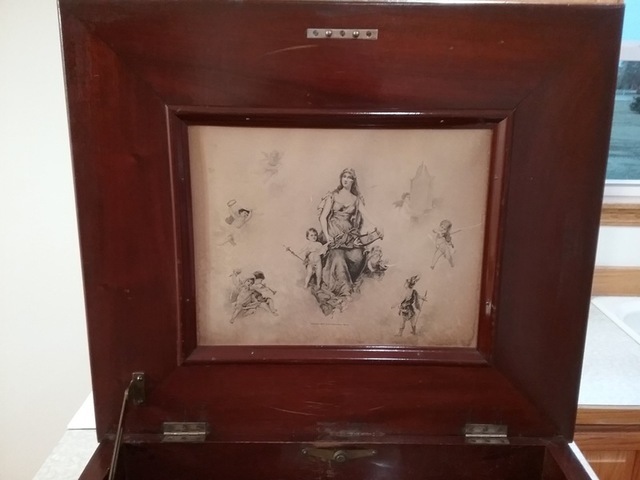 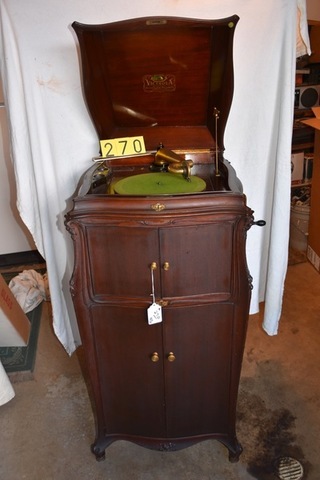 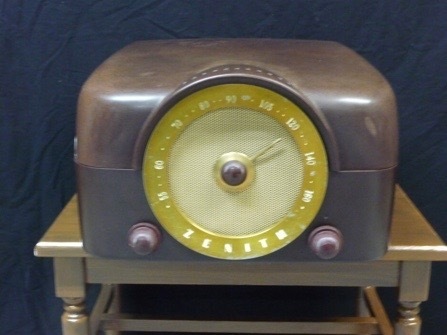 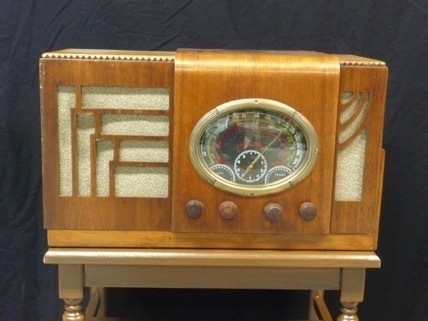 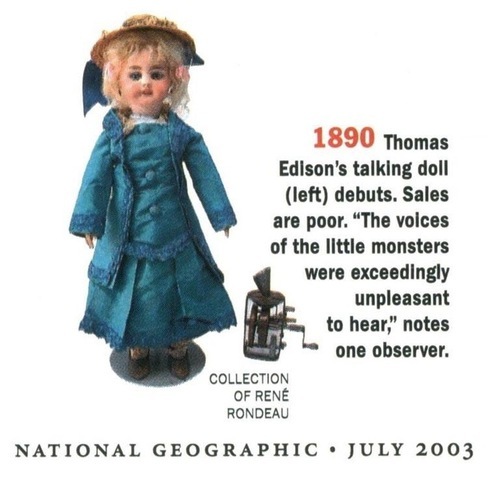 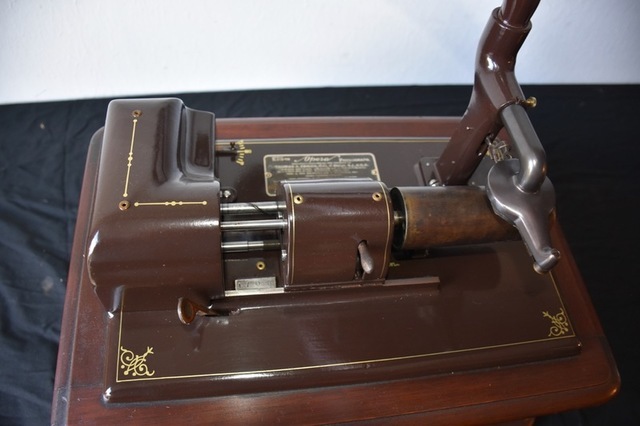 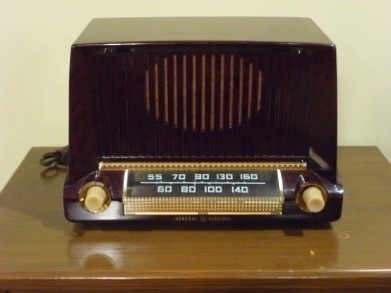 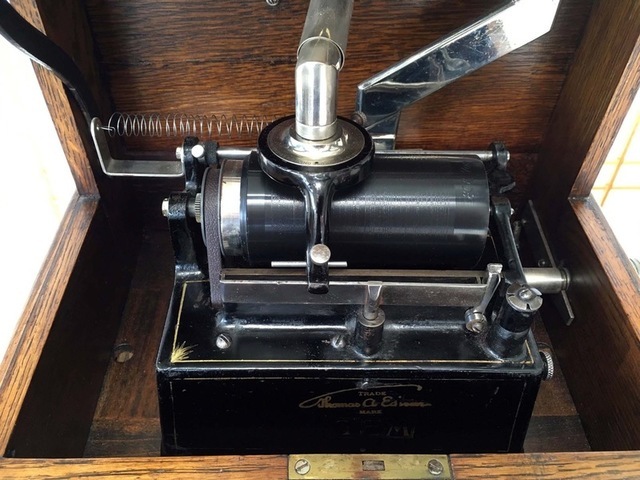 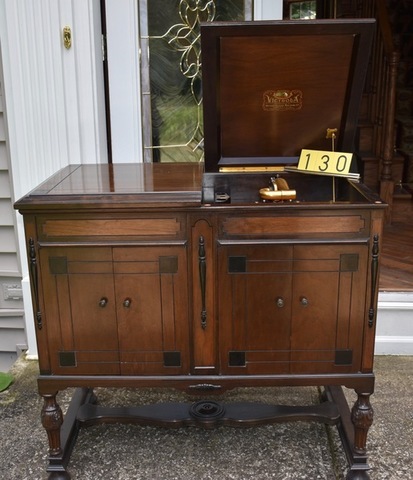 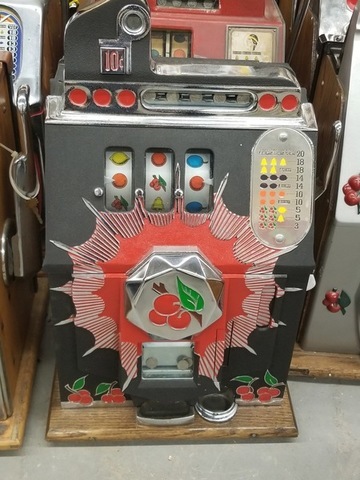 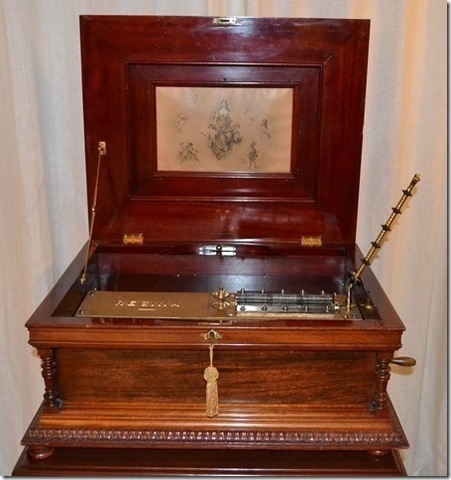 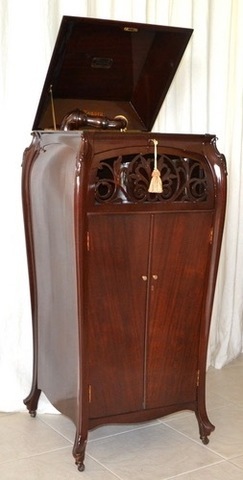 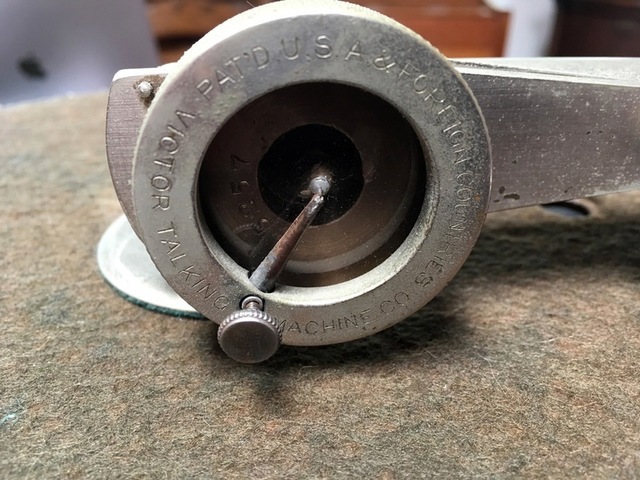 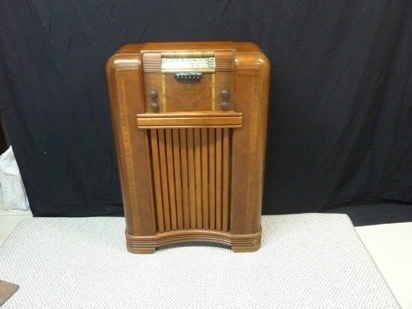 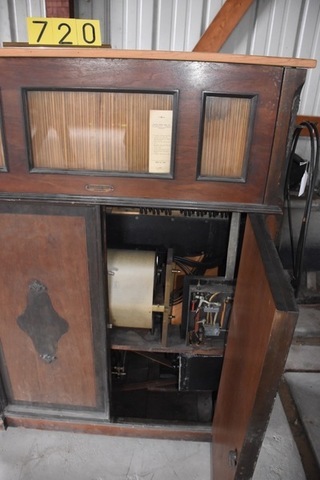 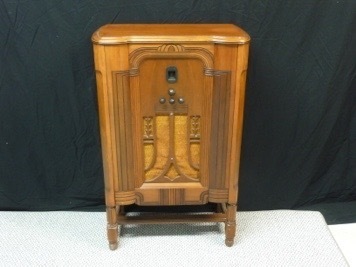 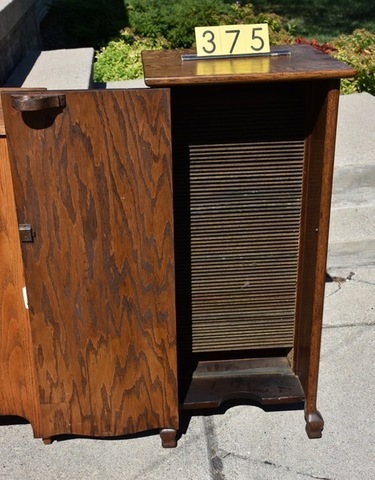 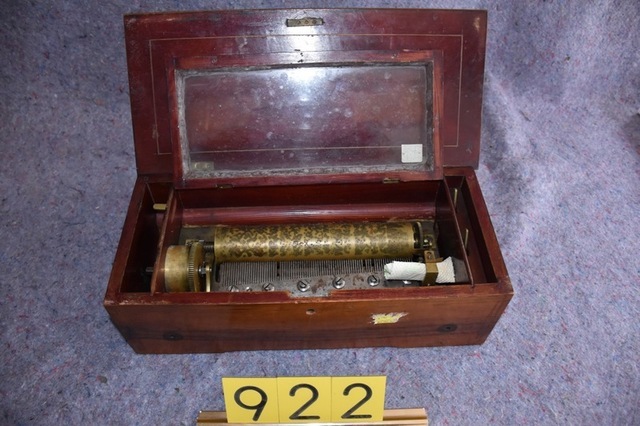 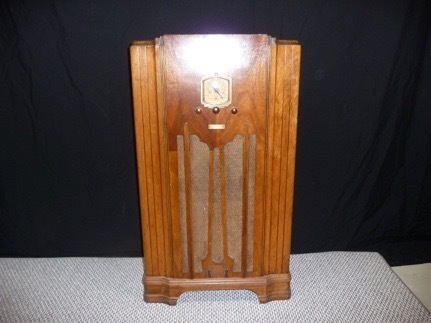 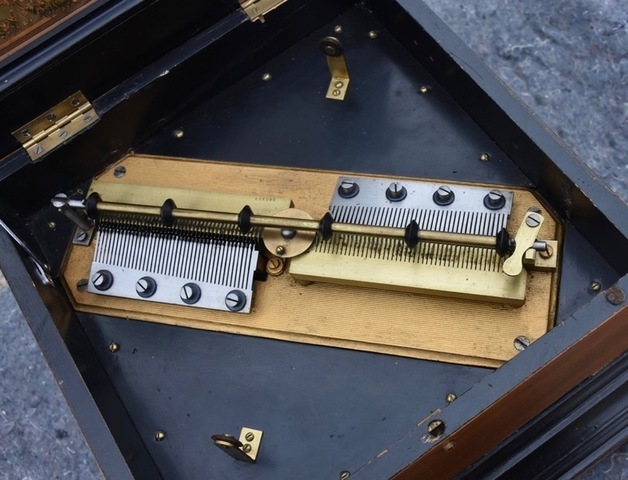 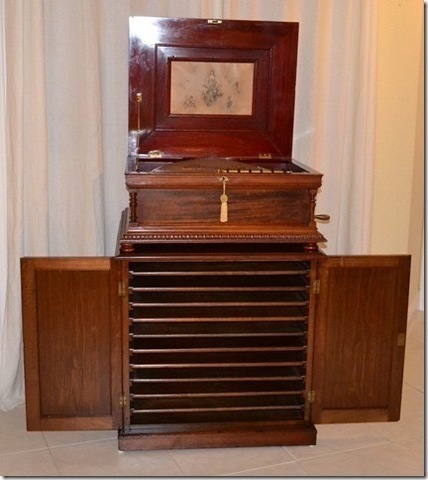 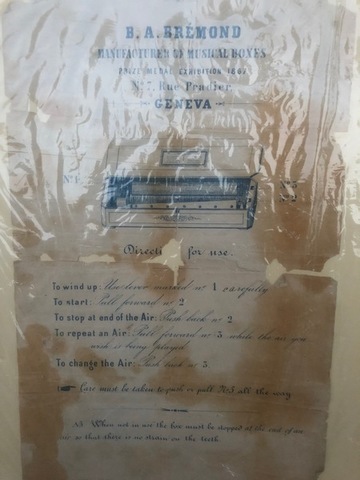 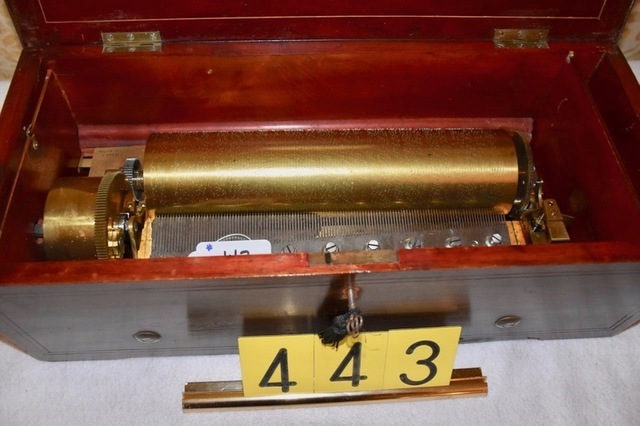 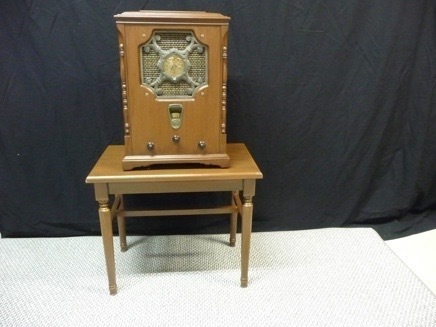 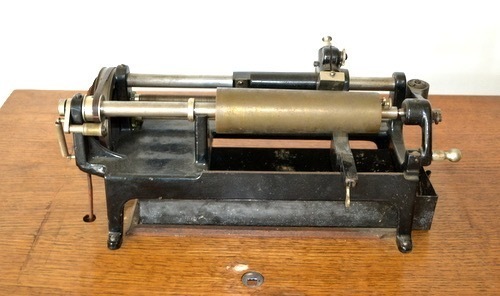 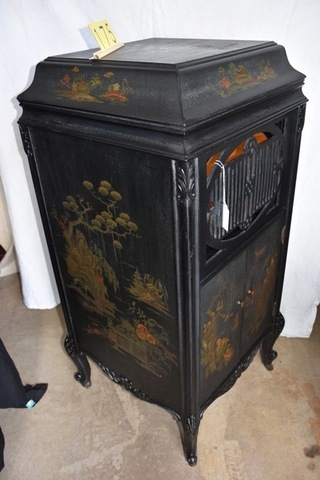 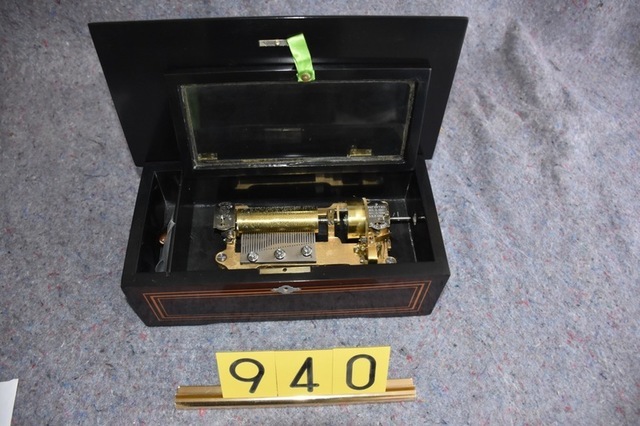 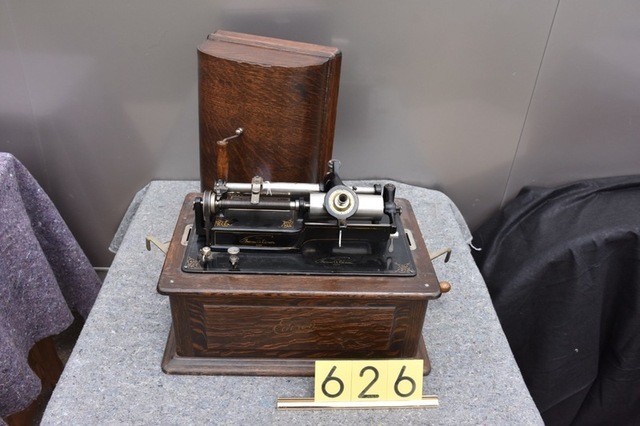 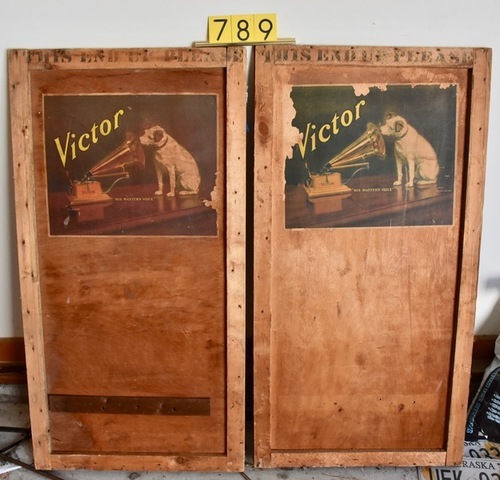 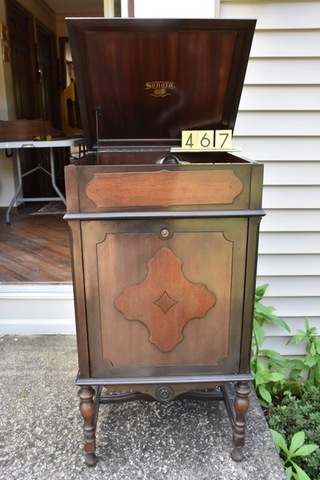 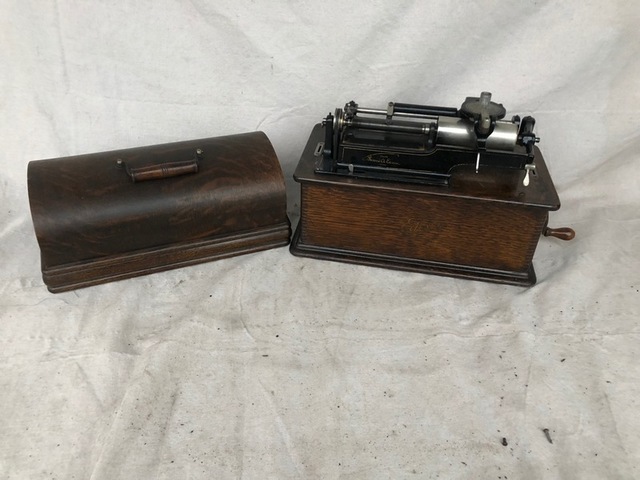 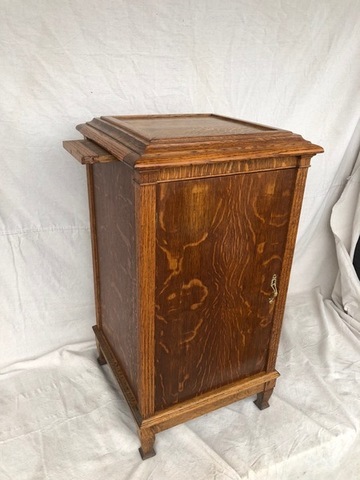 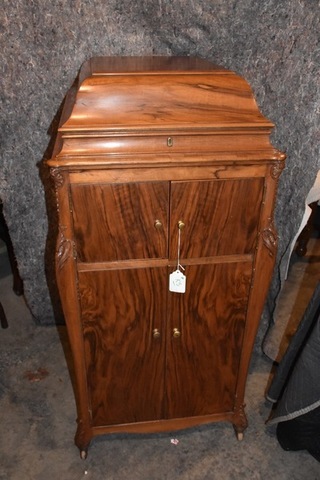 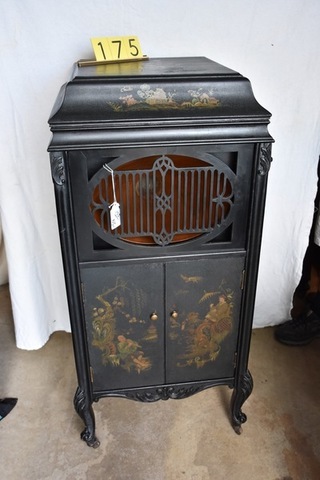 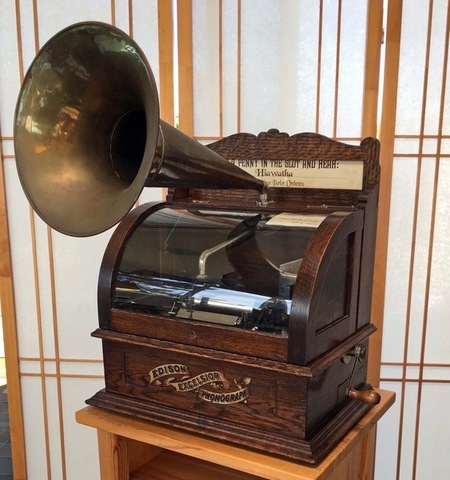 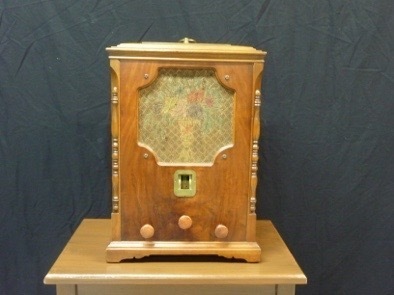 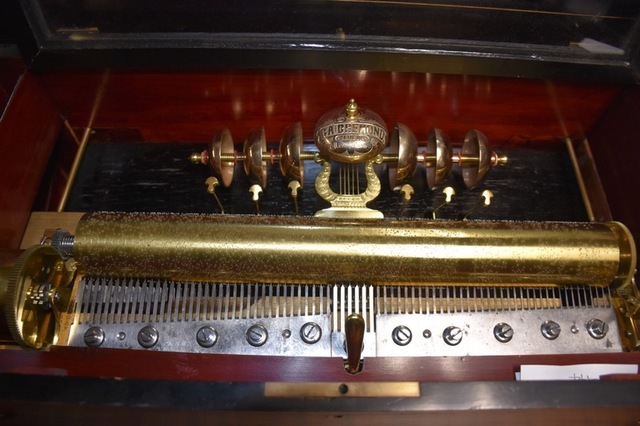 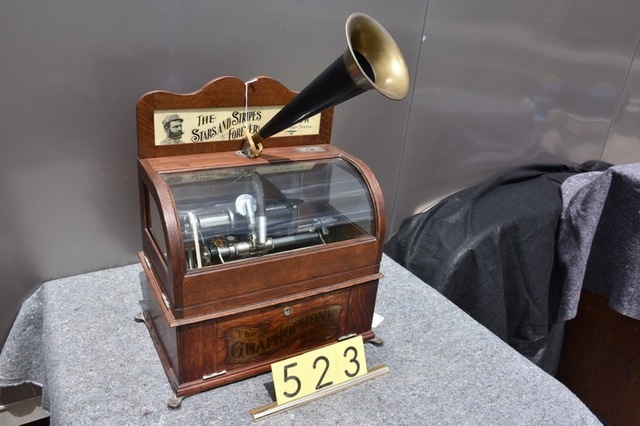 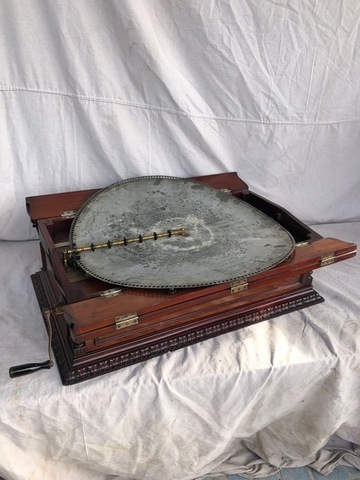 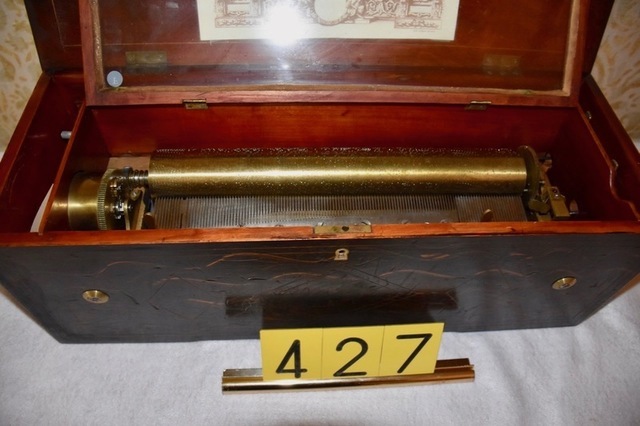 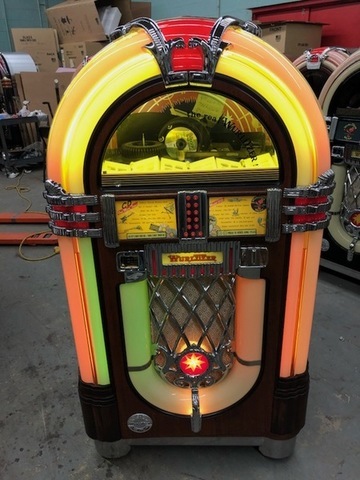 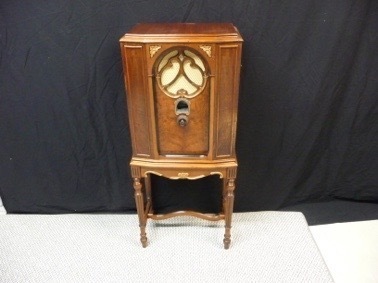 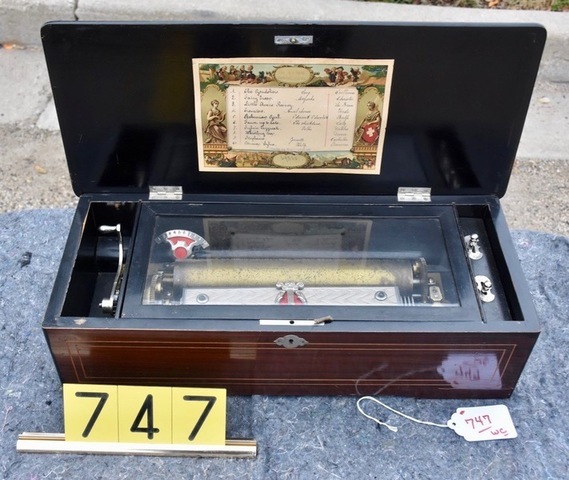 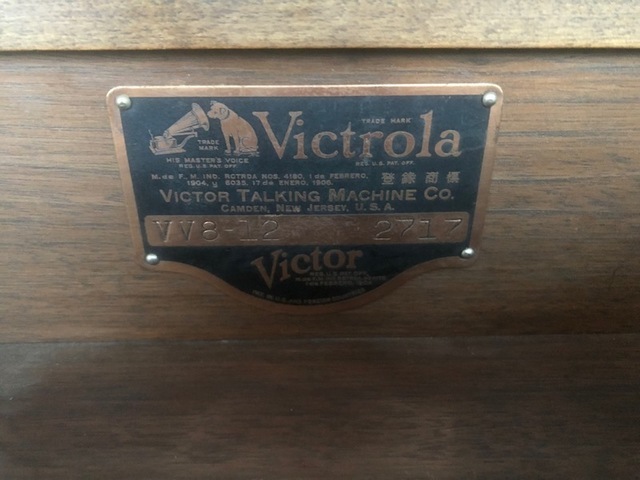 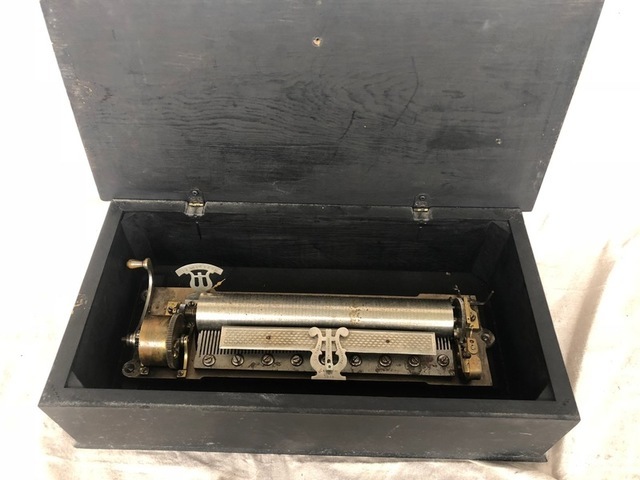 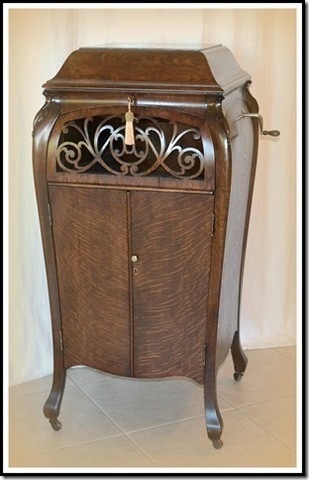 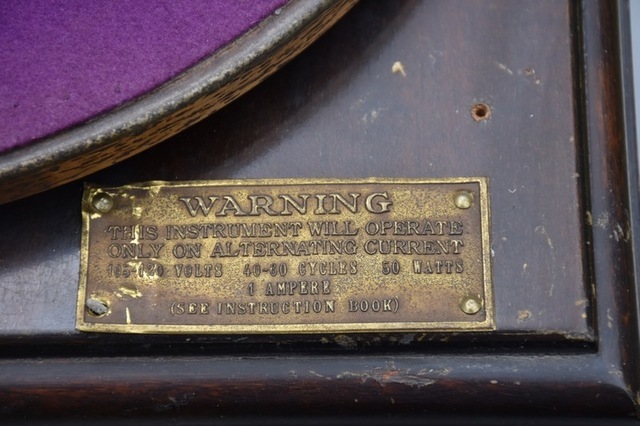 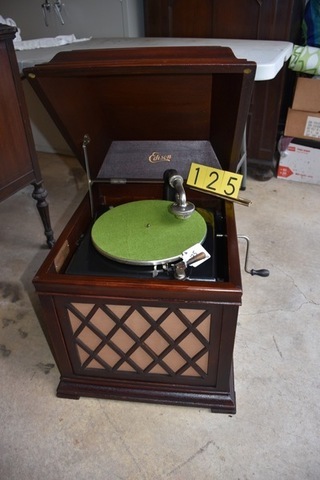 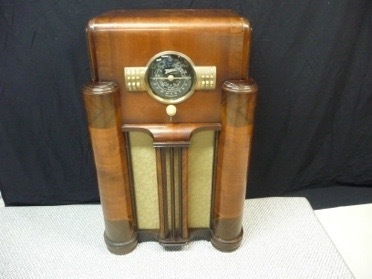 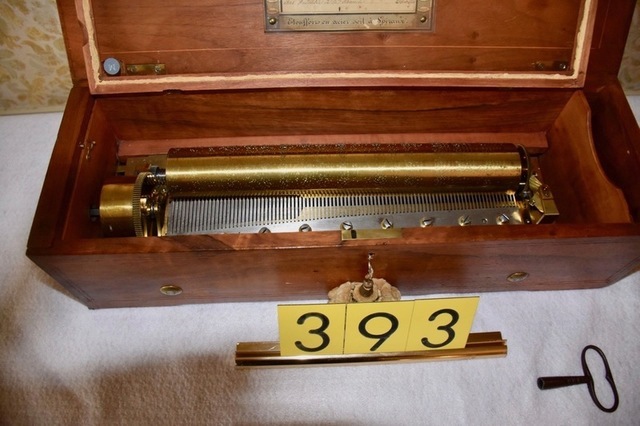 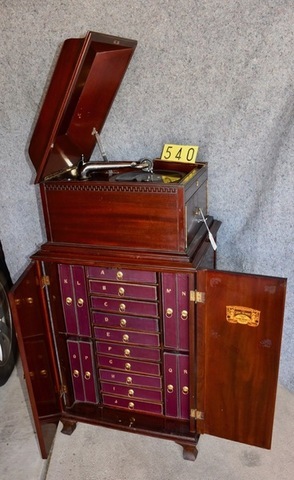 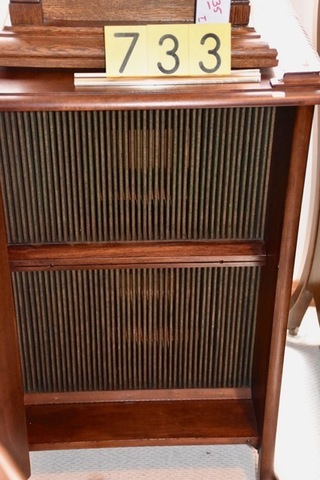 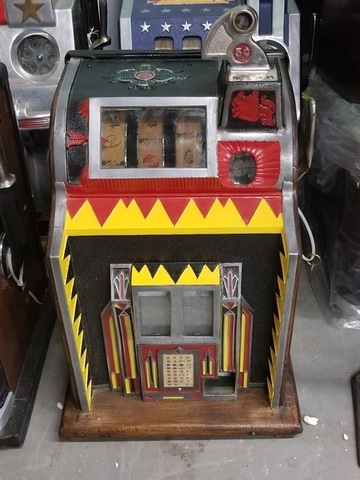 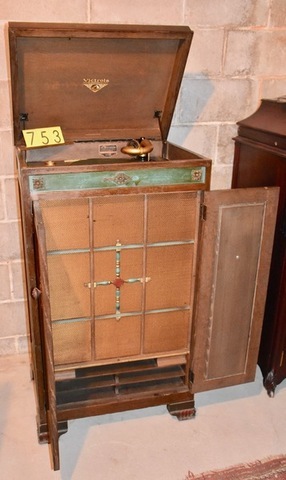 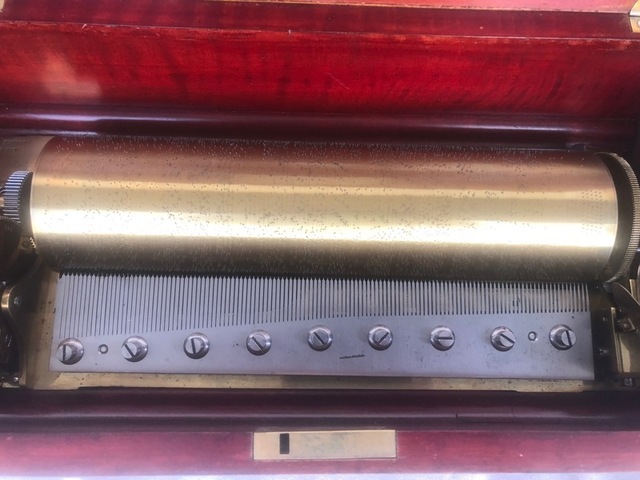 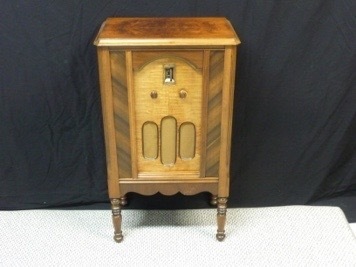 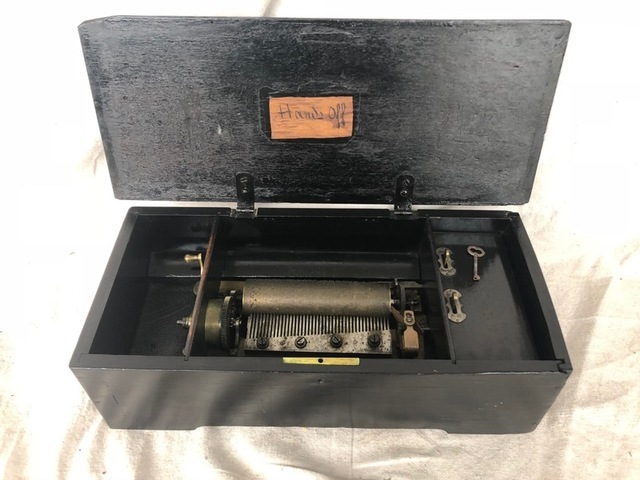 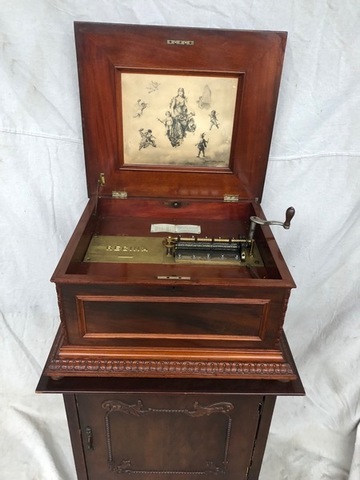 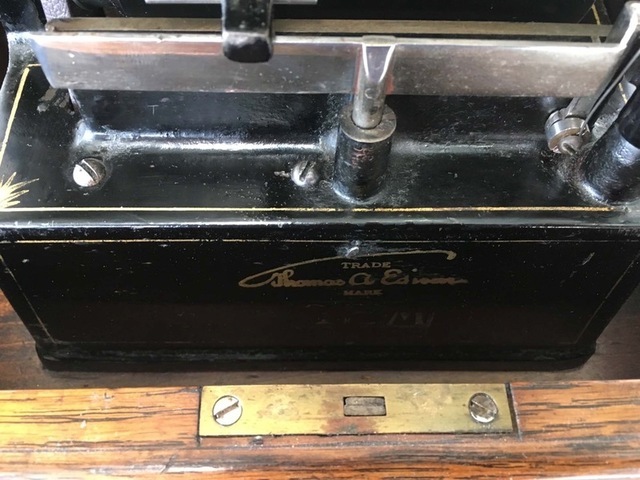 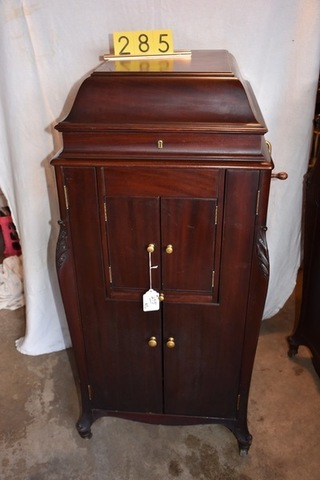 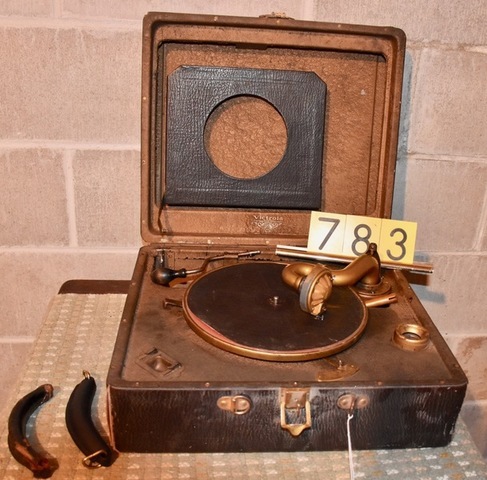 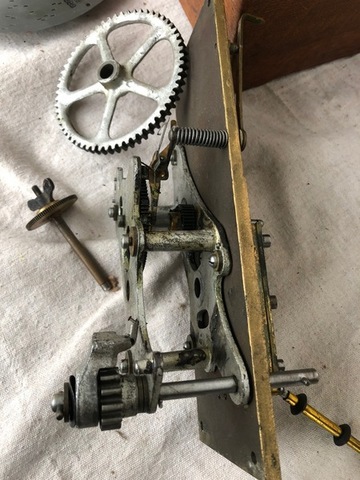 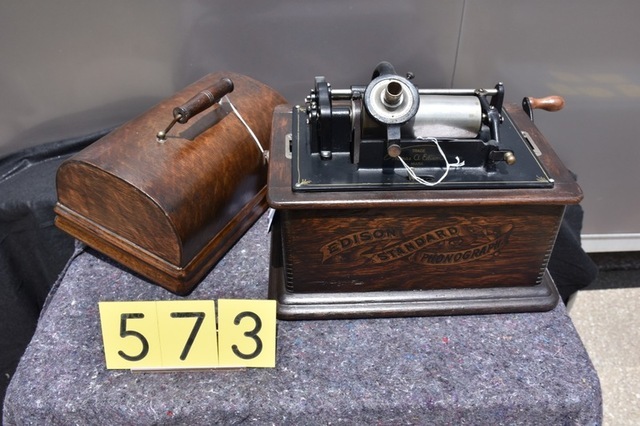 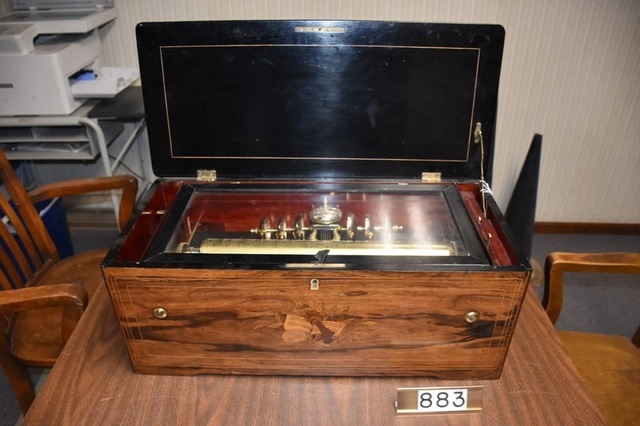 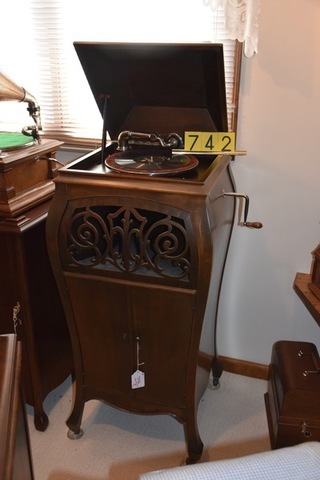 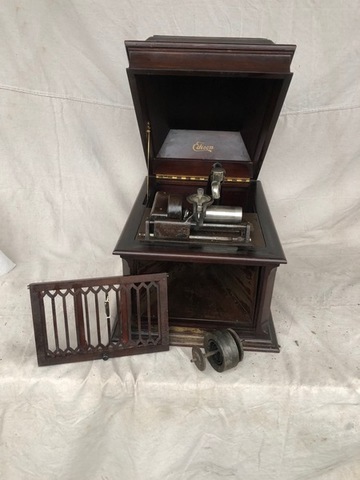 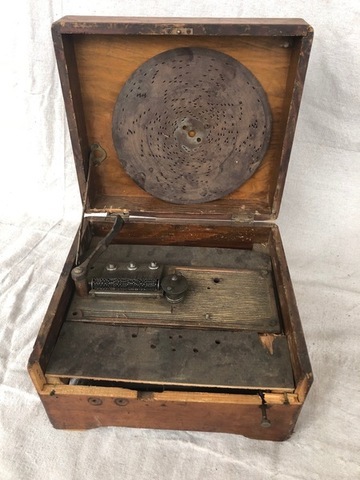 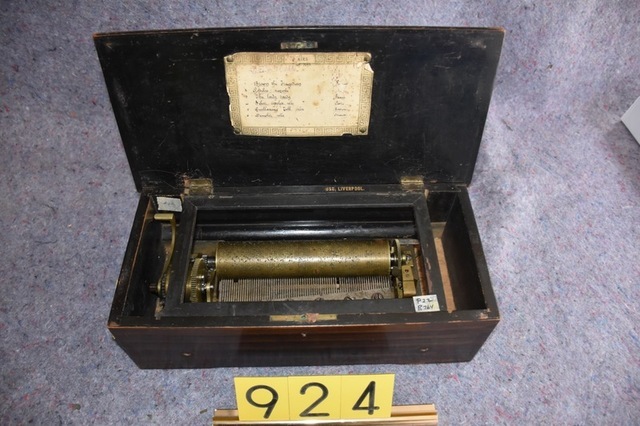 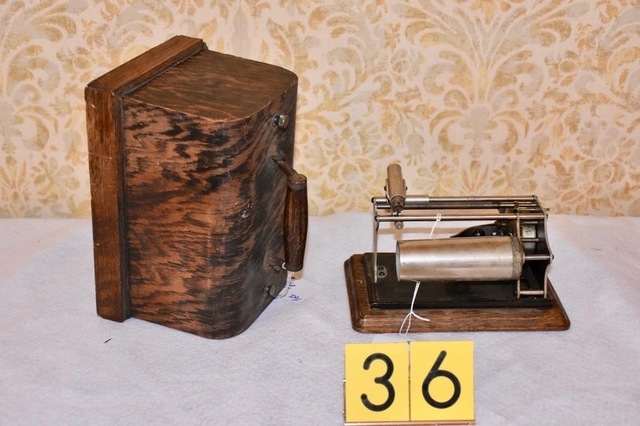 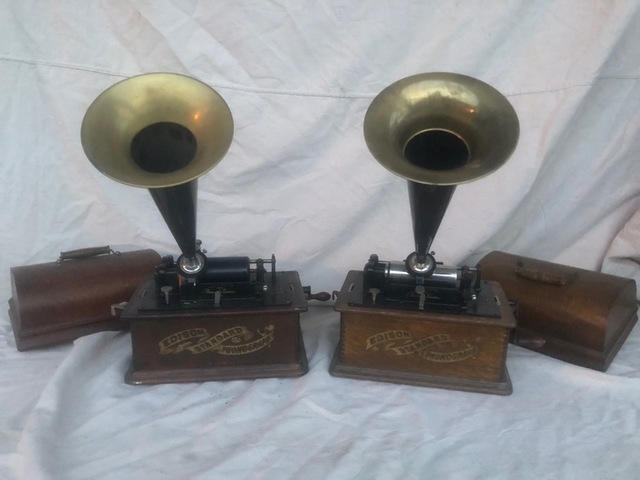 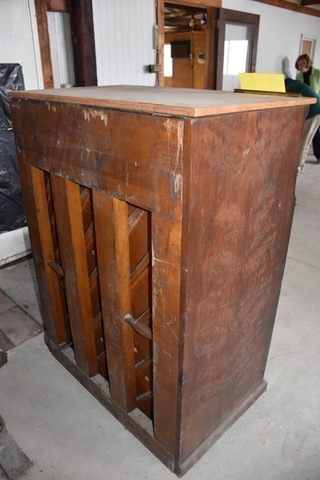 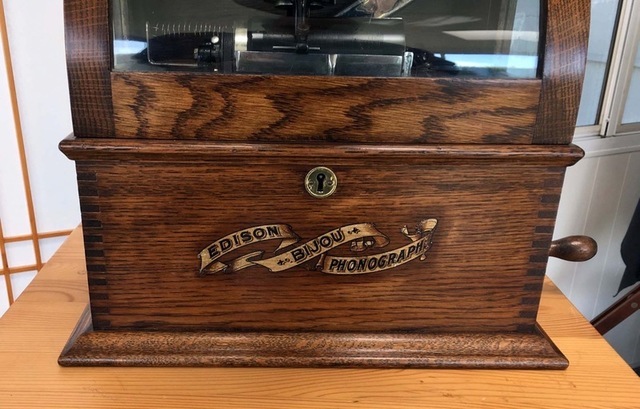 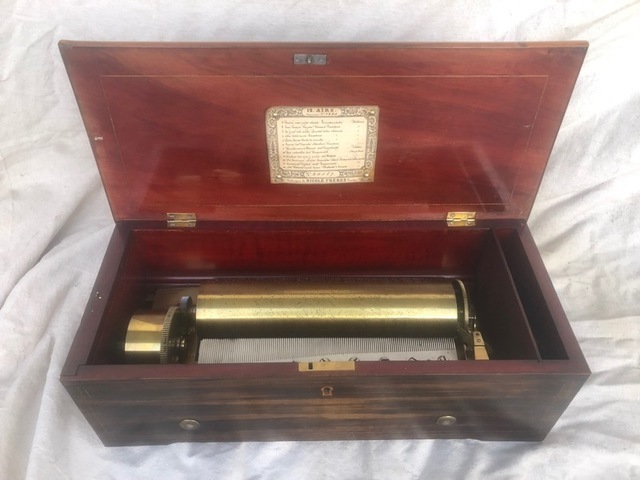 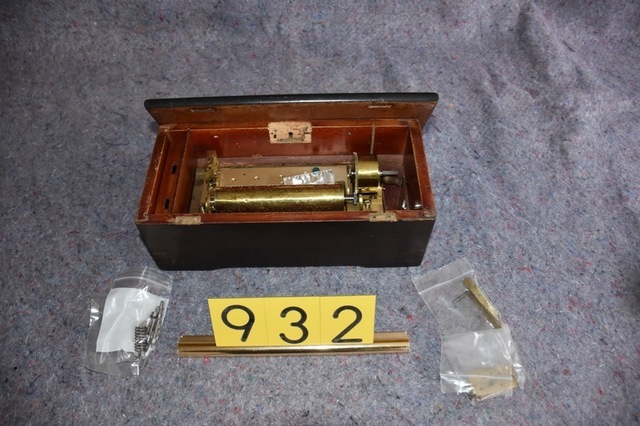 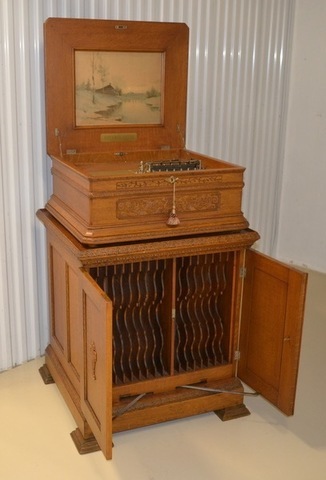 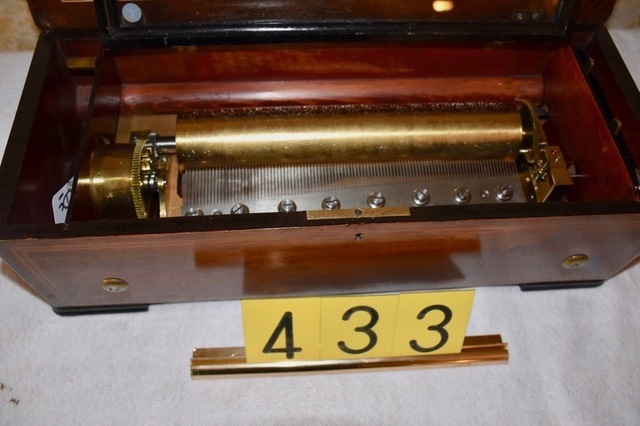 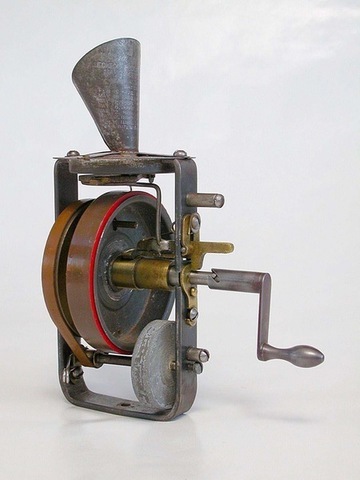 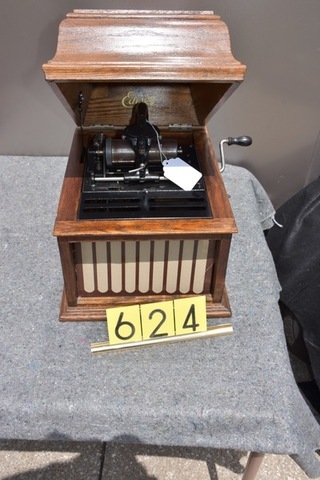 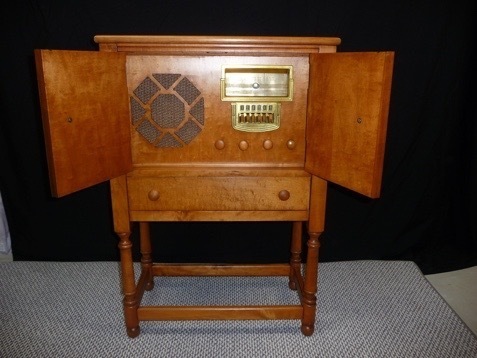 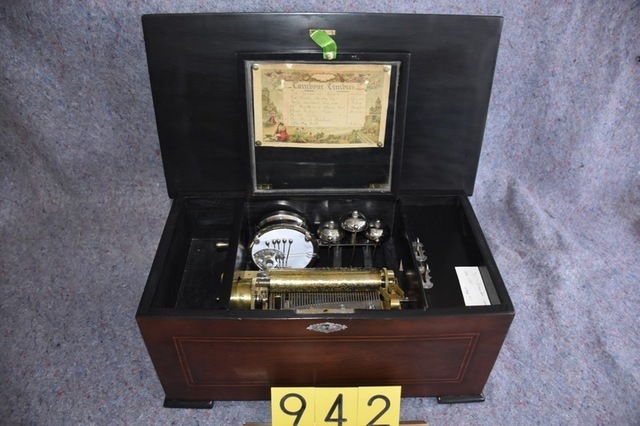 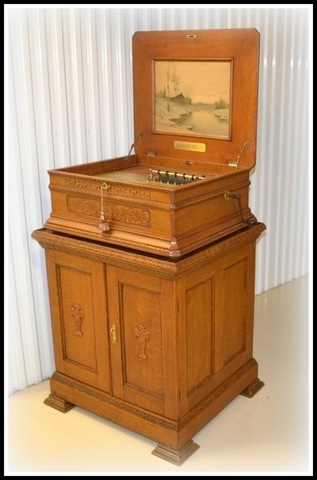 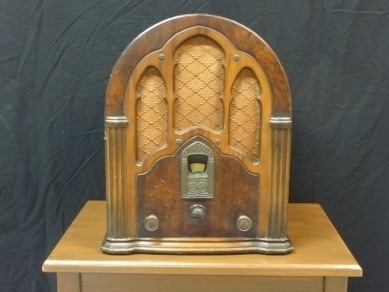 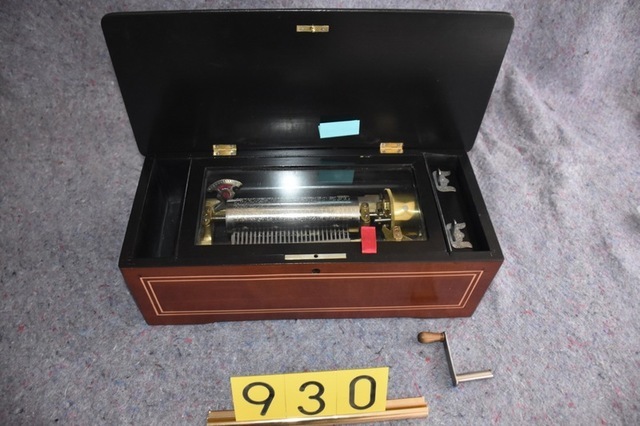 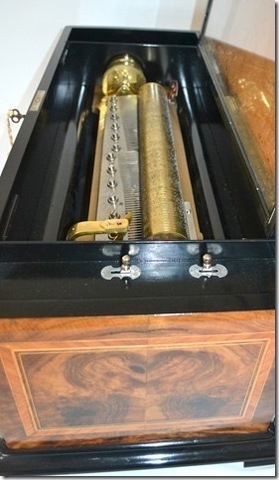 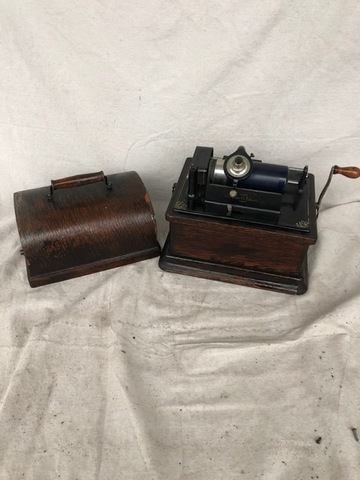 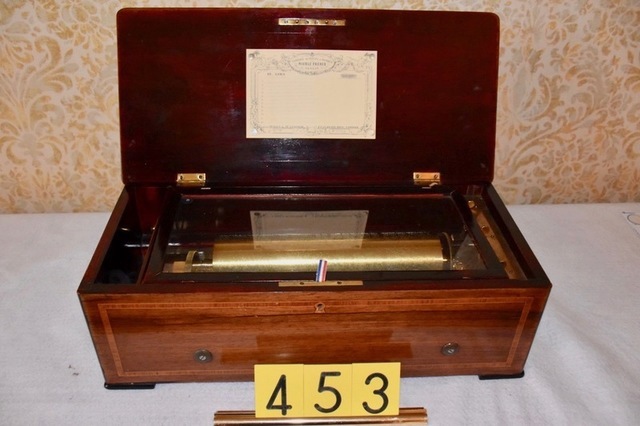 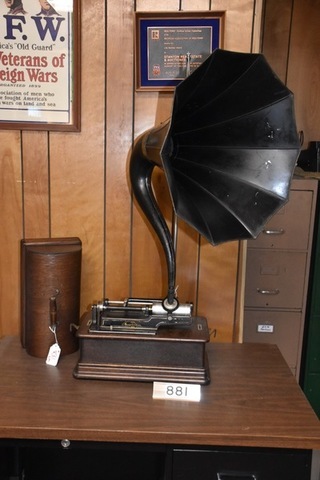 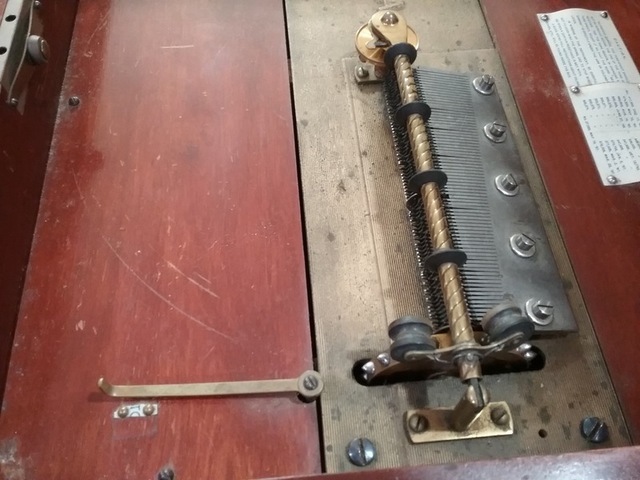 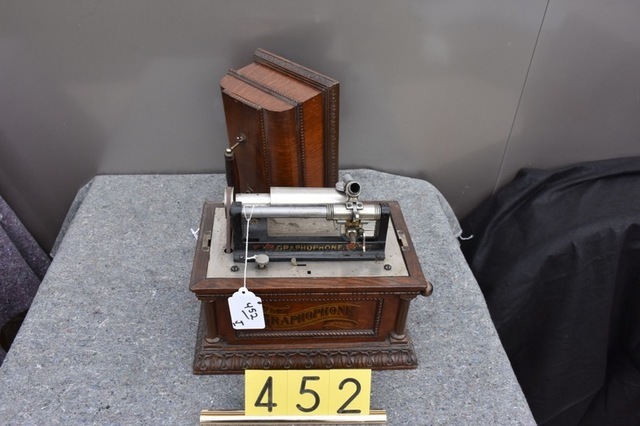 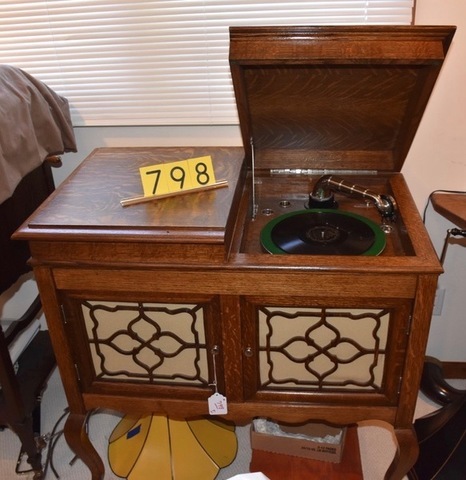 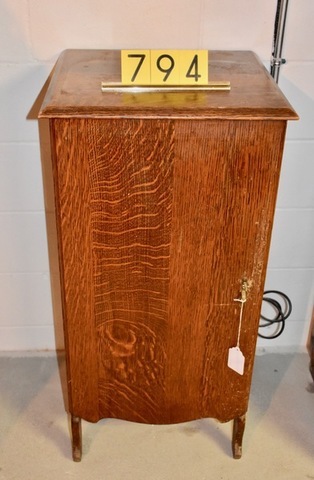 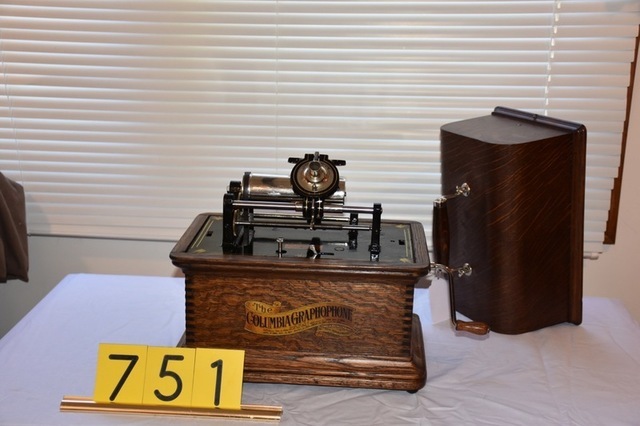 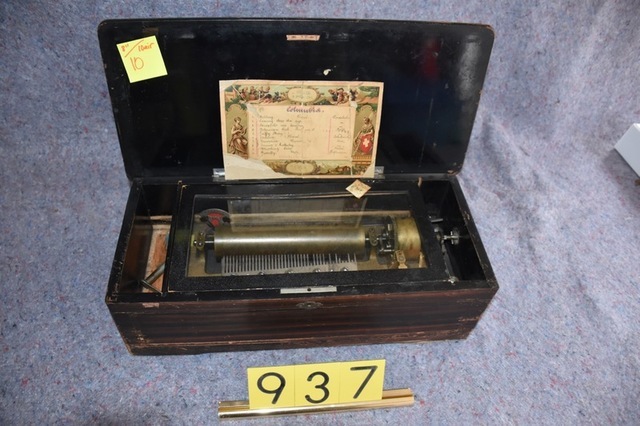 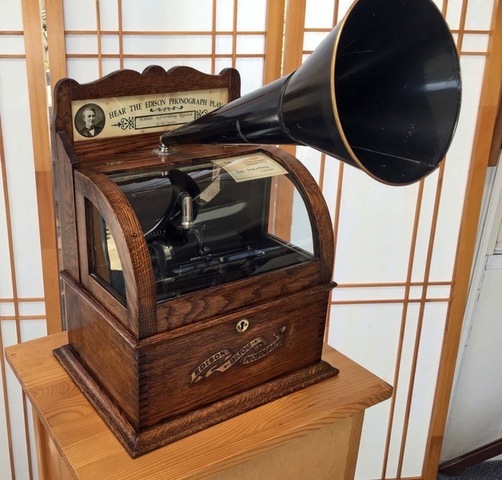 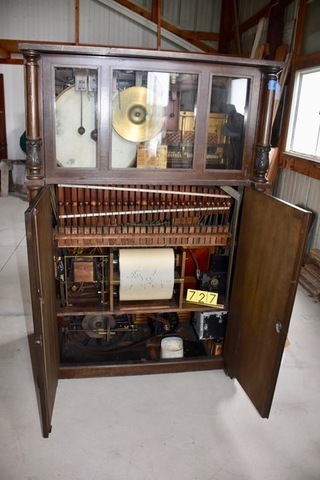 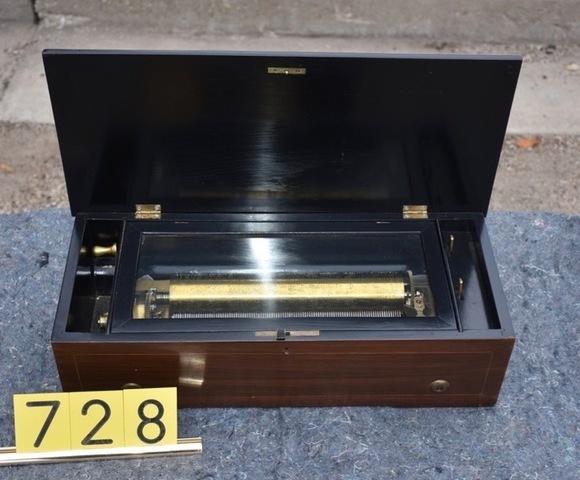 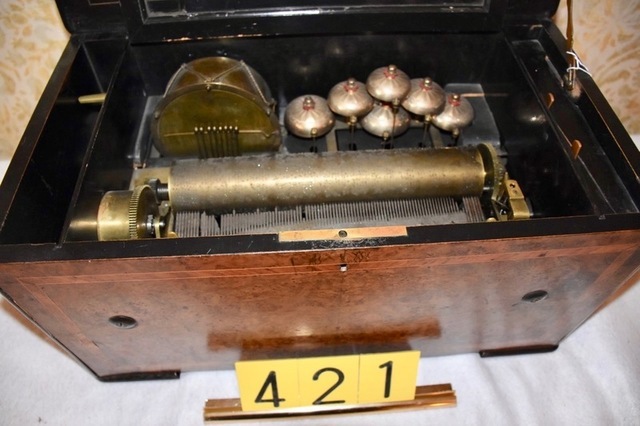 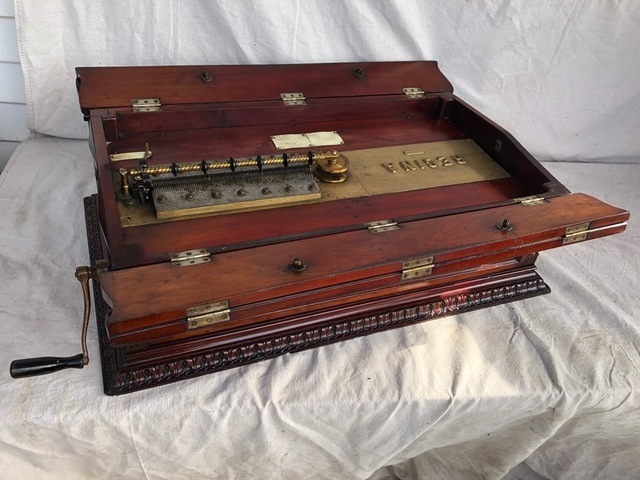 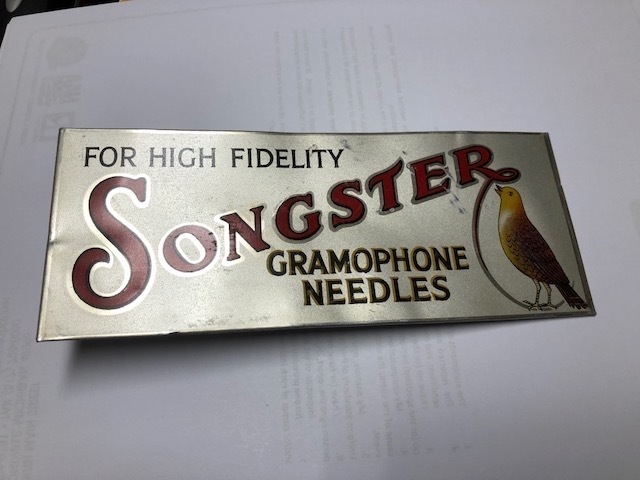 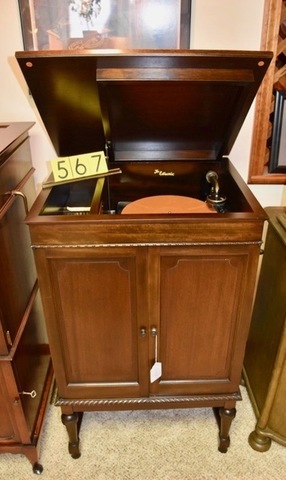 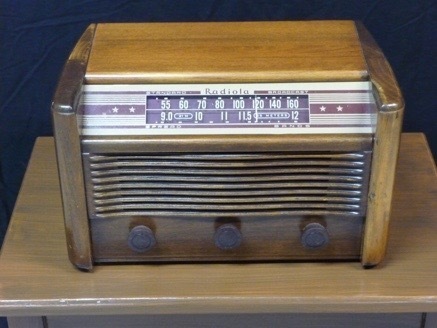 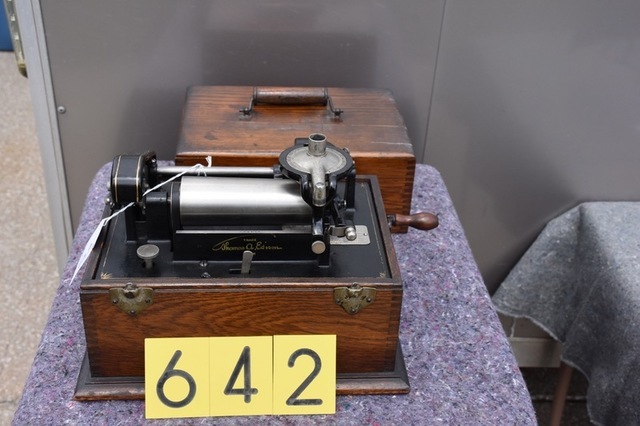 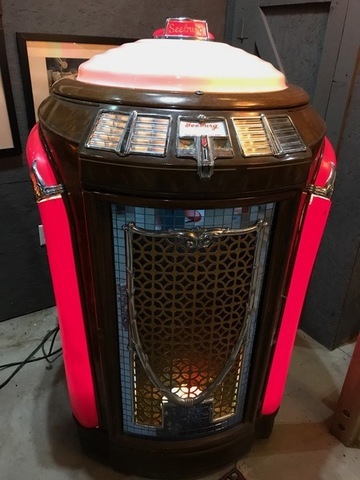 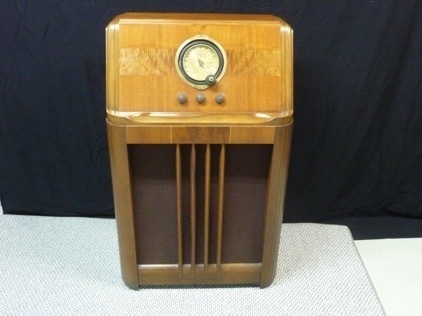 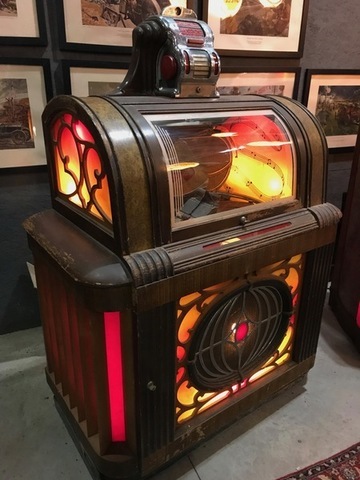 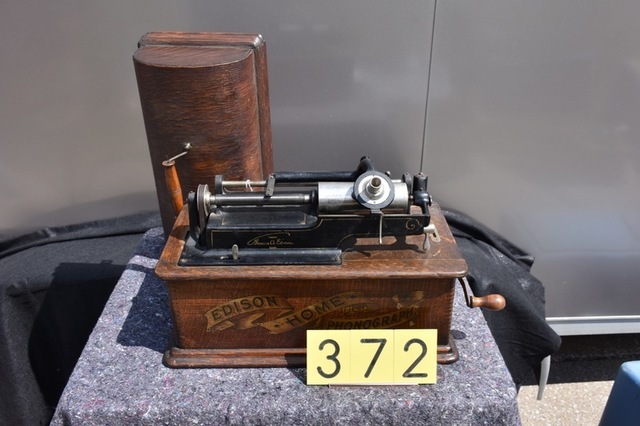 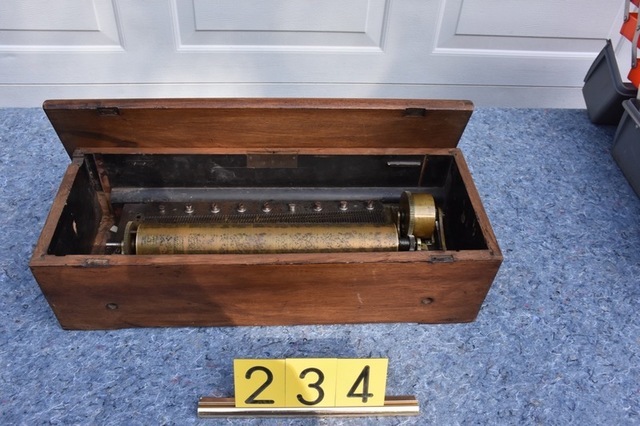 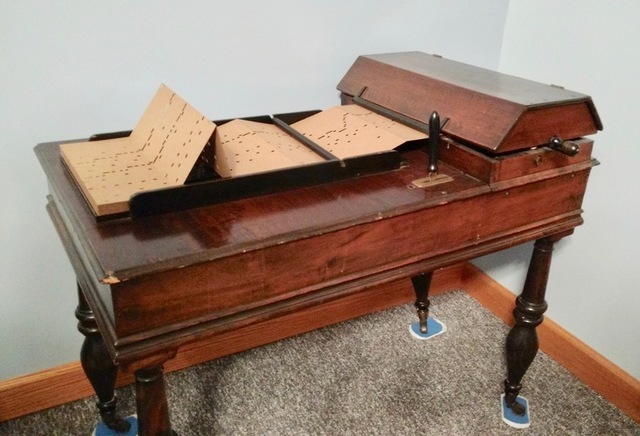 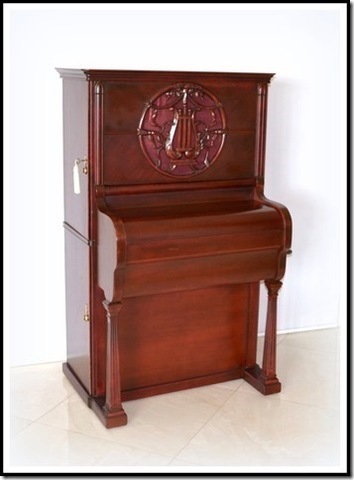 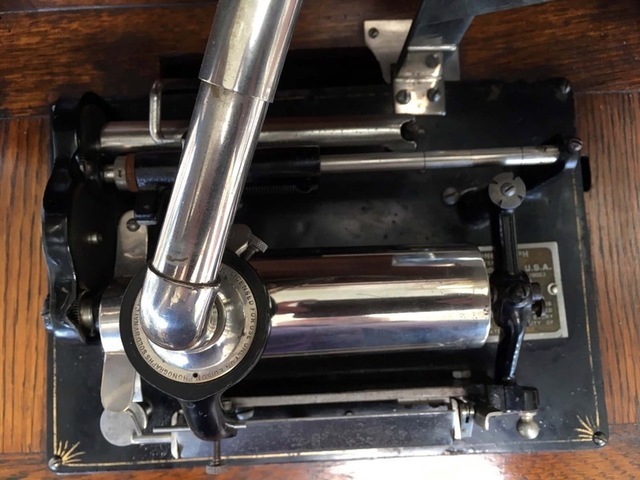 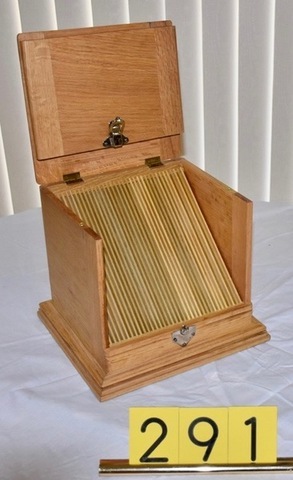 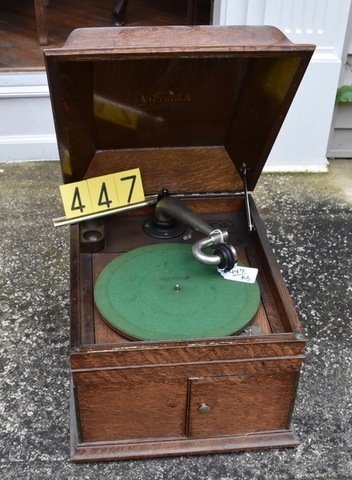 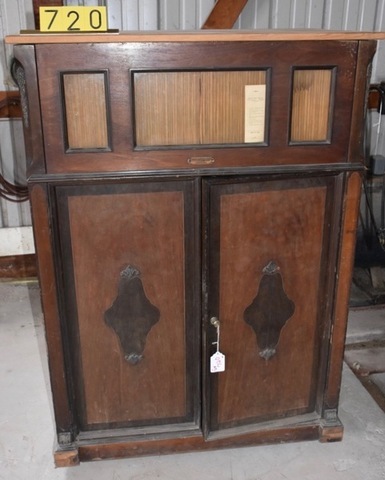 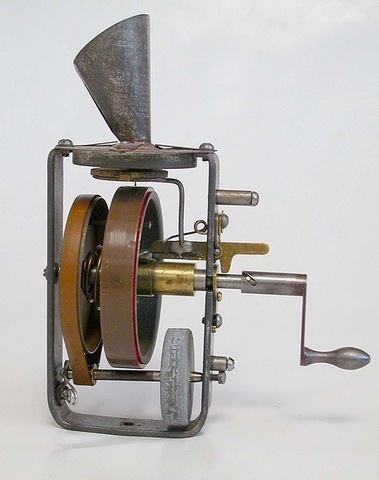 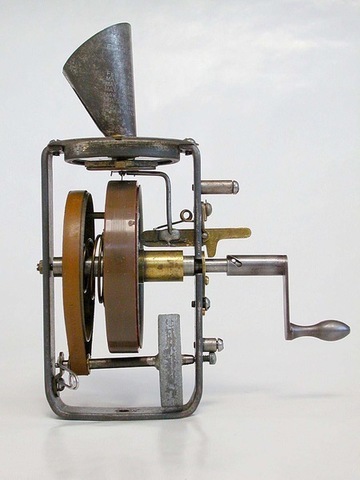 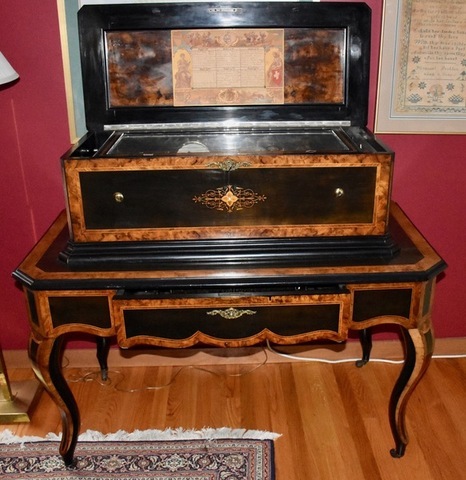 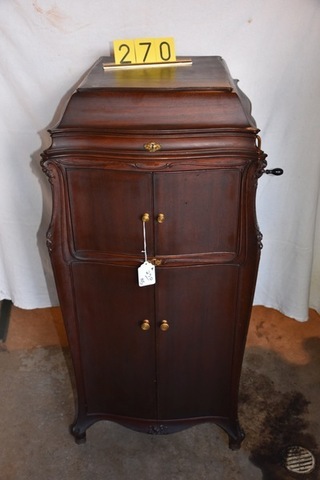 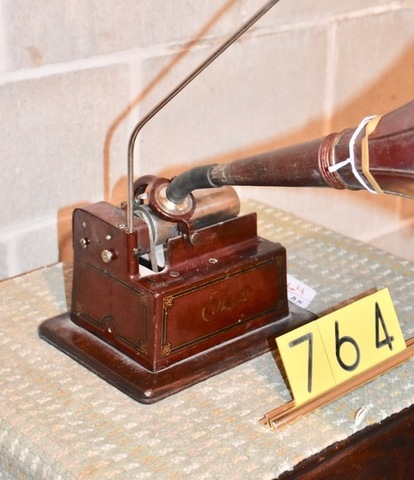 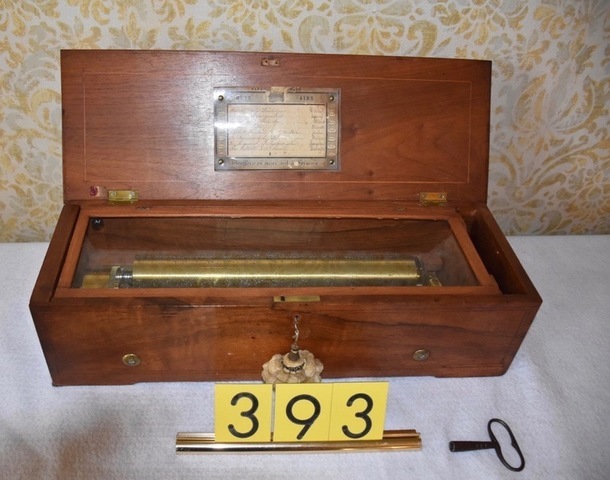 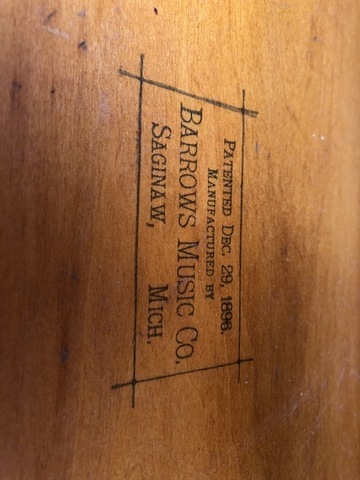 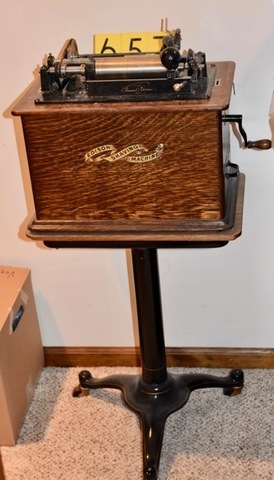 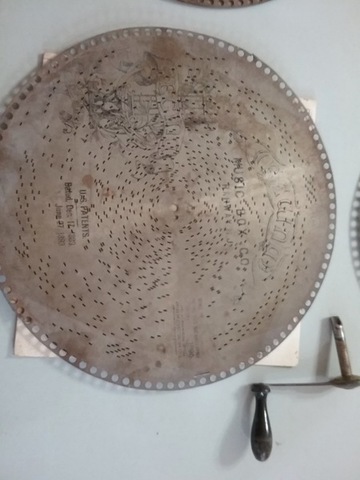 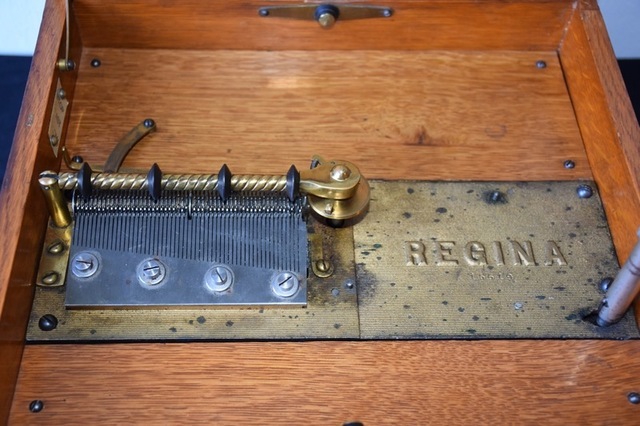 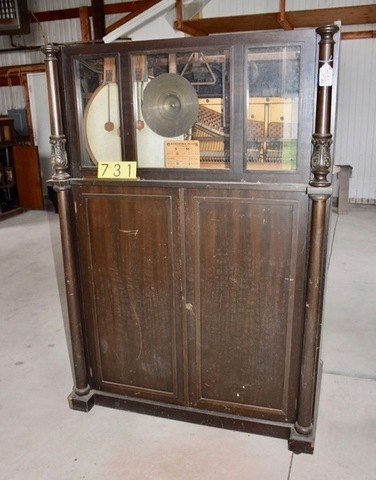 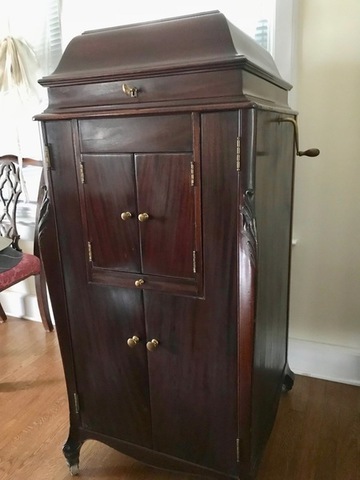 Stanton’s are the leaders in the field of antique music machines handling the sale of more automatic music machines throughout the country than any other firm. 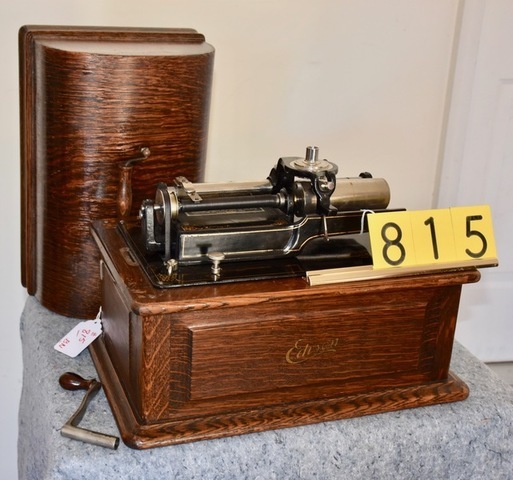 Our services have produced record sales, and we have handled fine collections and machines from Estates, Private Holdings, Investors, and Museums across the United States and Canada. 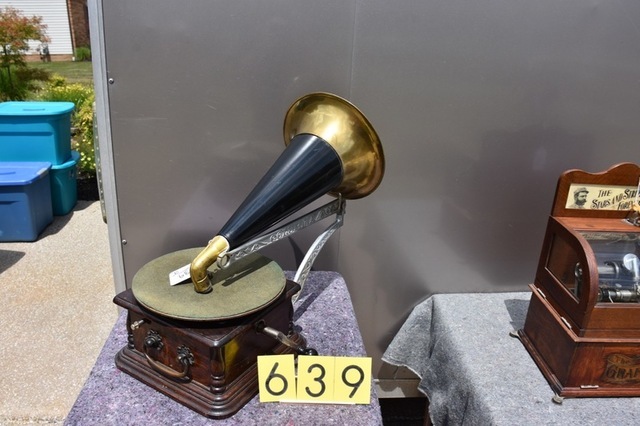 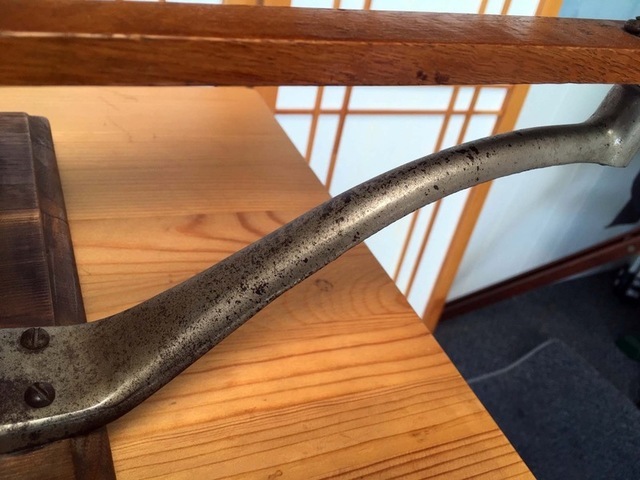 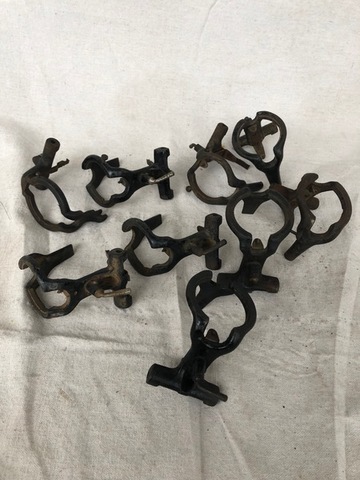 Our rates are very competitve, and the buyer’s premium that we charge at our auctions (10%) is the lowest in the country of the larger firms handling auctions of quality items. 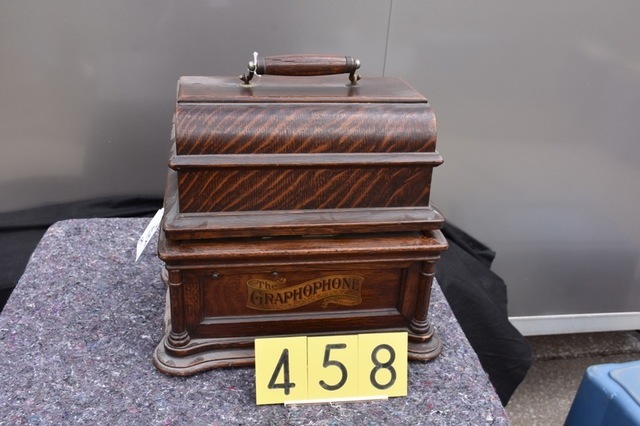 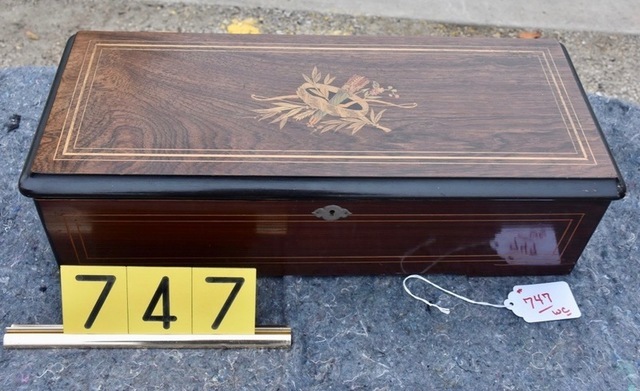 We offer a complete service from pickup, to packing, insurance, and advertising, to the sale and settlment of the items within 3 weeks following the auction. 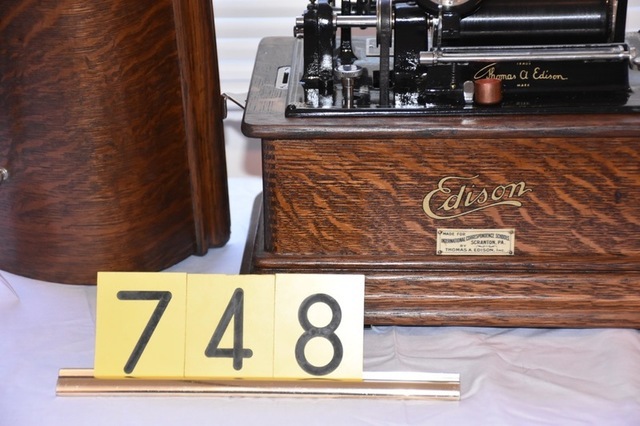 References are always available, and since our founding by William J. Stanton in 1954 we have conducted over 7,000 auctions for our clients. 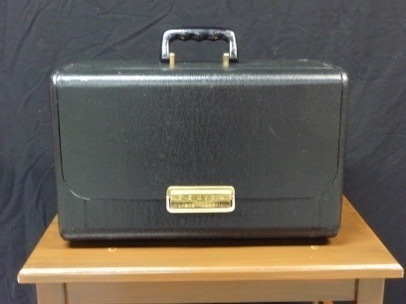 Call us to discuss your situation in complete confidence. 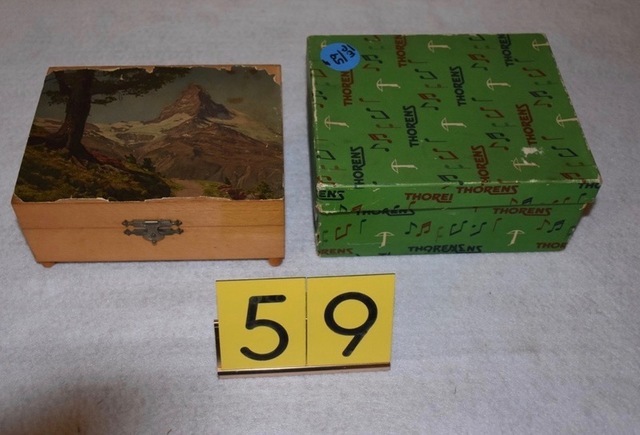 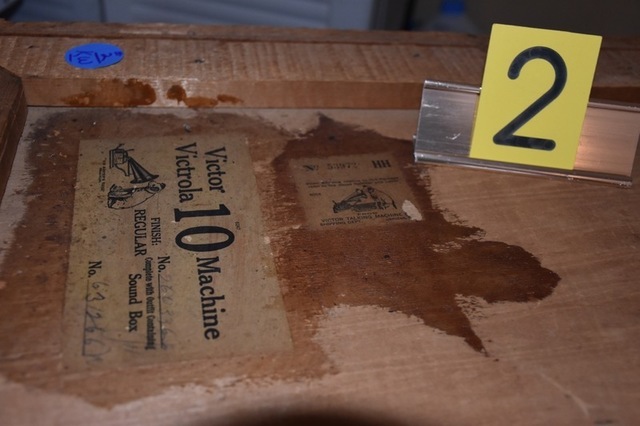 Who you choose to liquidate you collection does make a big difference. 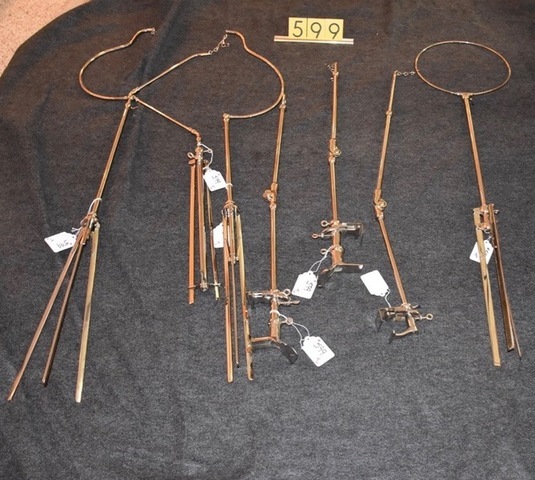 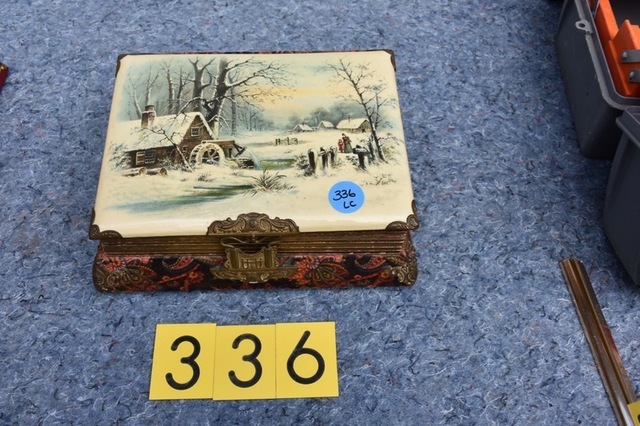 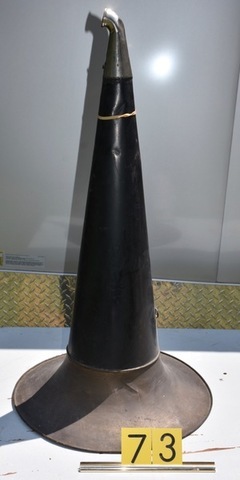 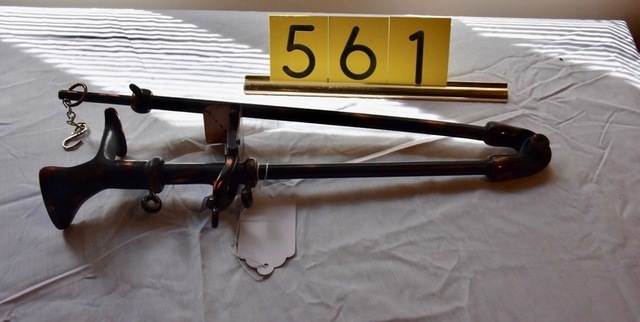 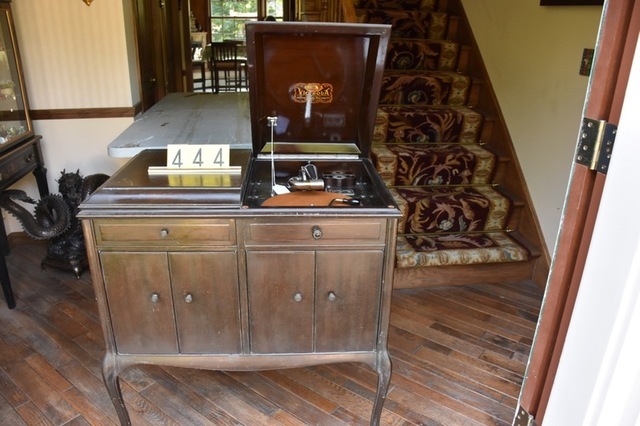 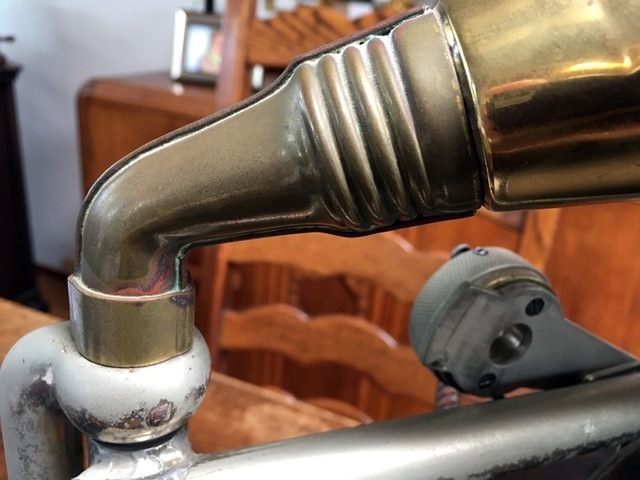 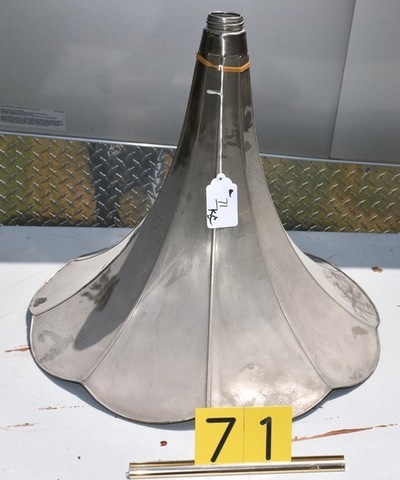 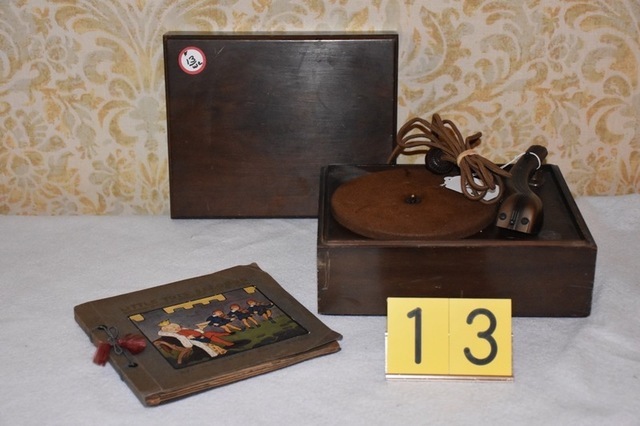 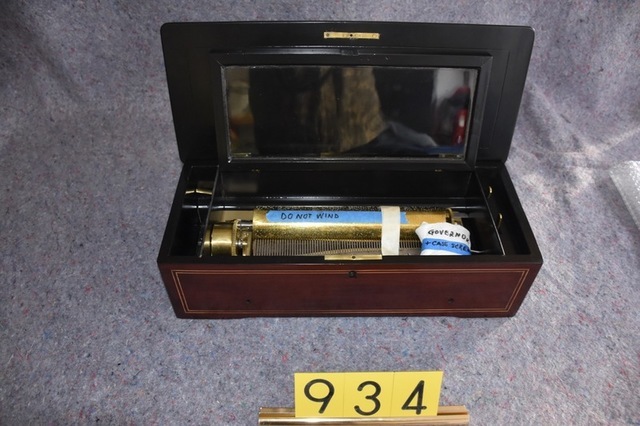 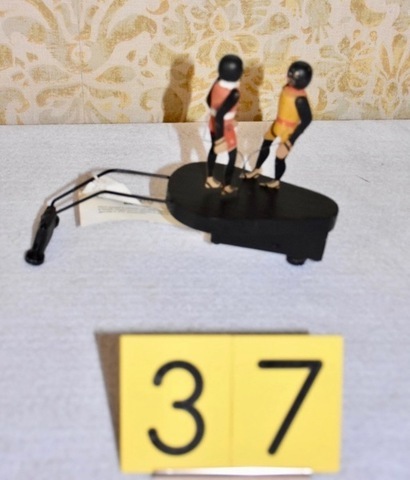 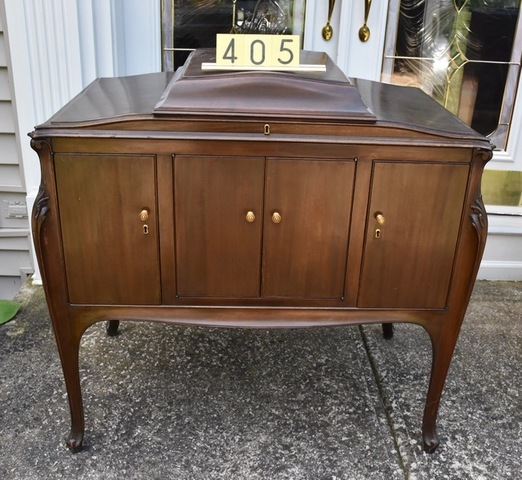 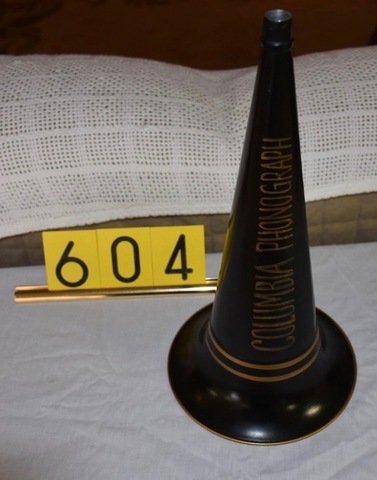 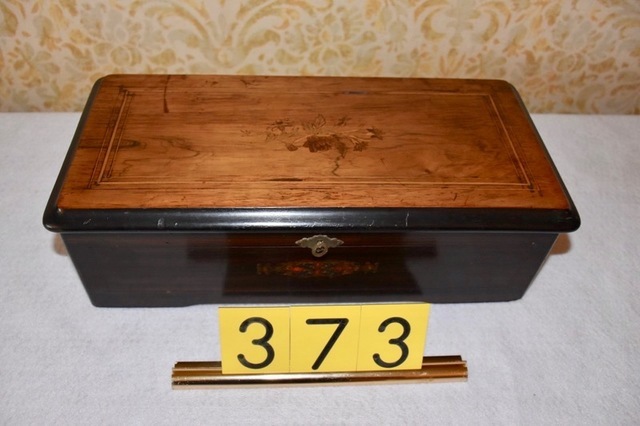 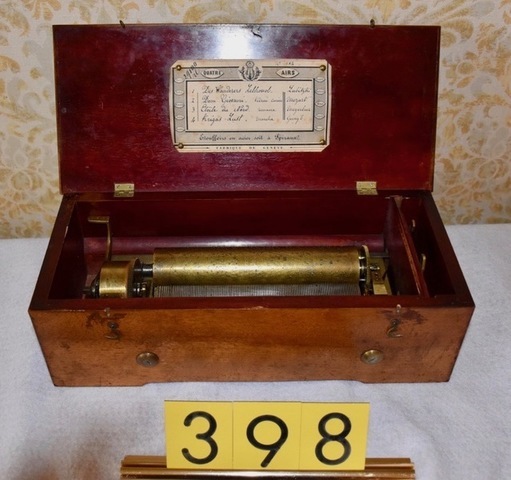 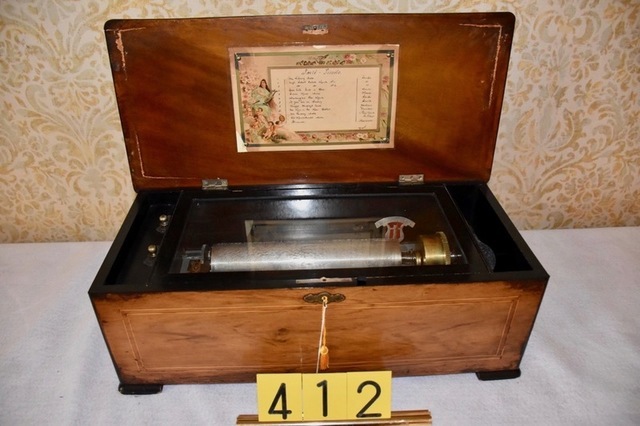 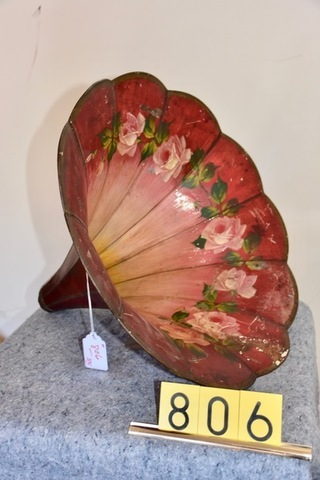 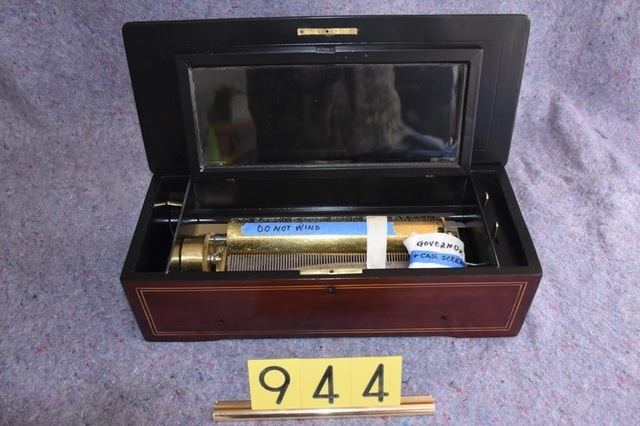 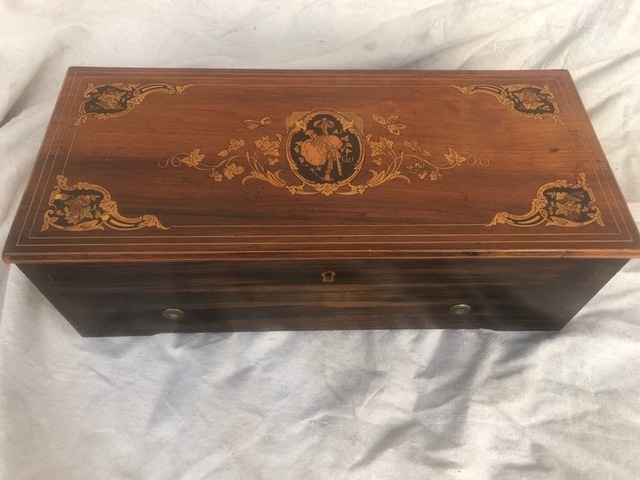 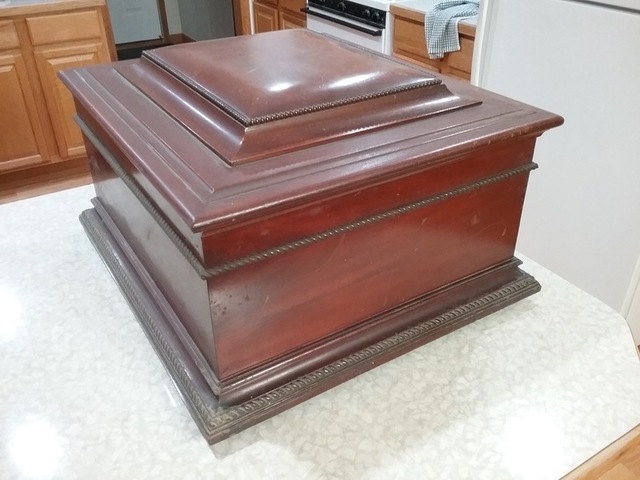 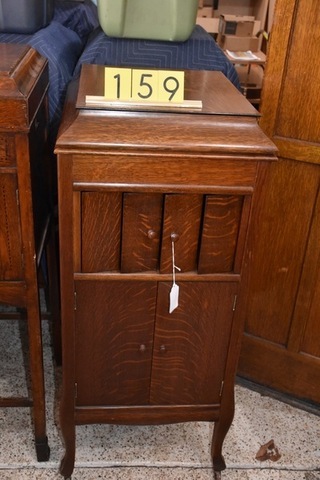 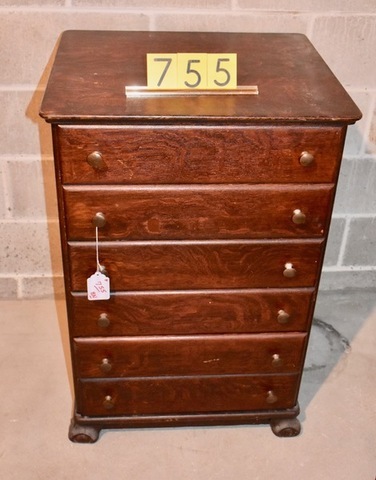 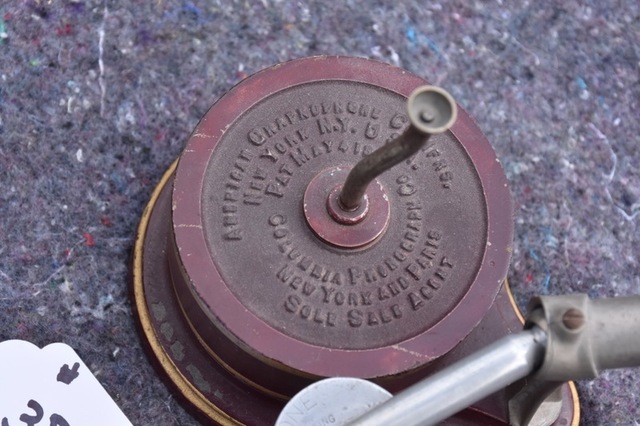 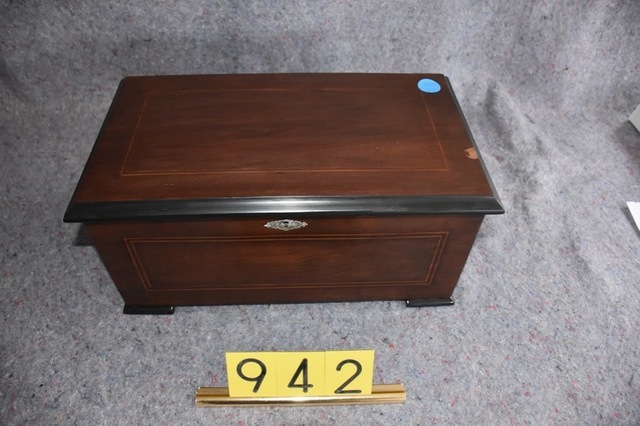 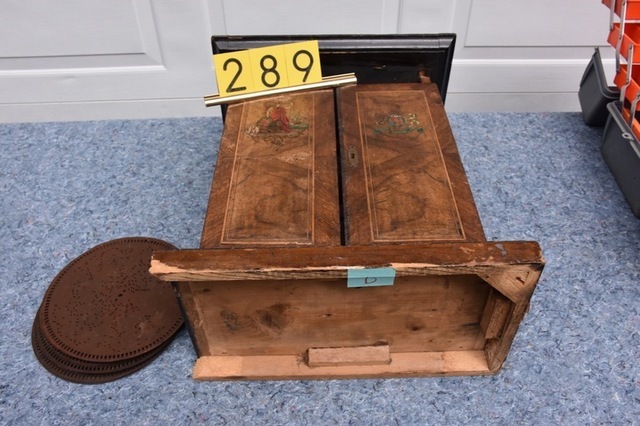 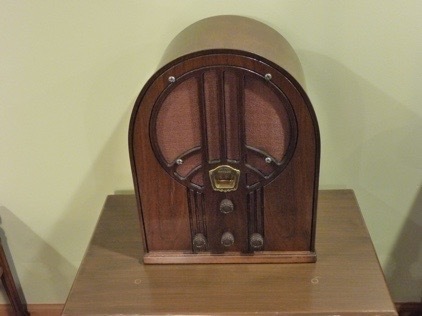 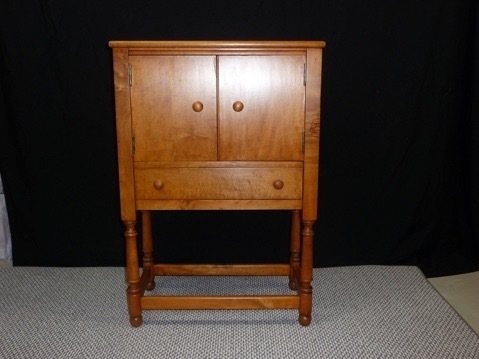 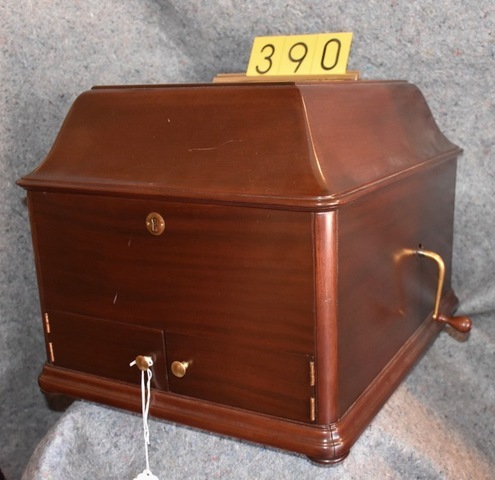 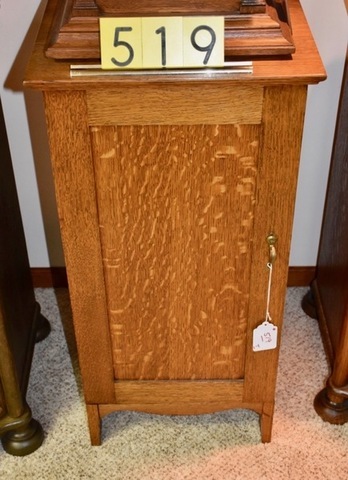 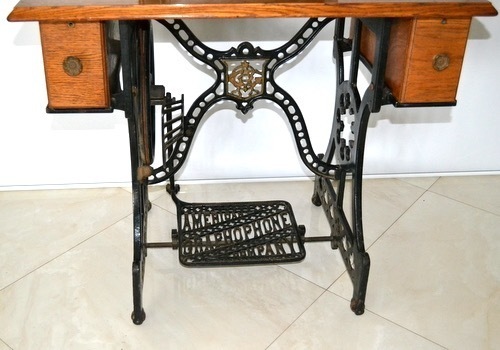 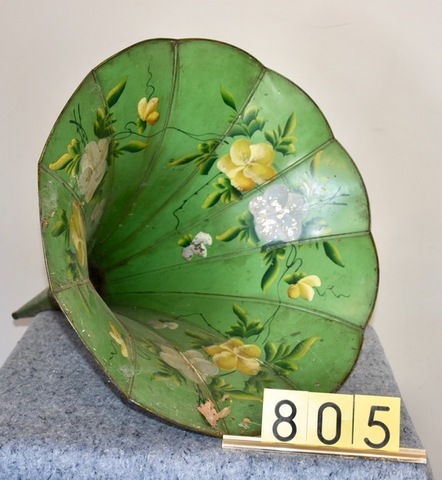 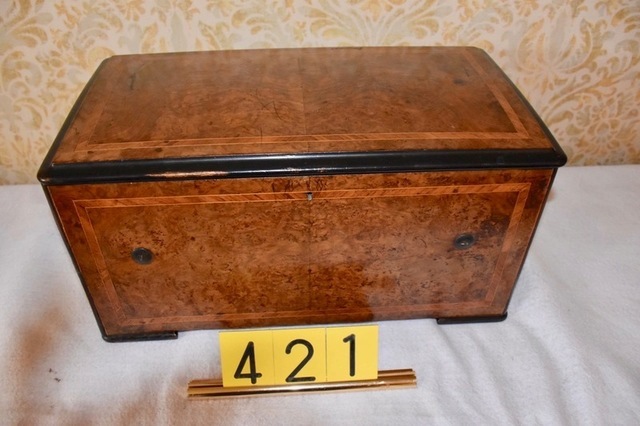 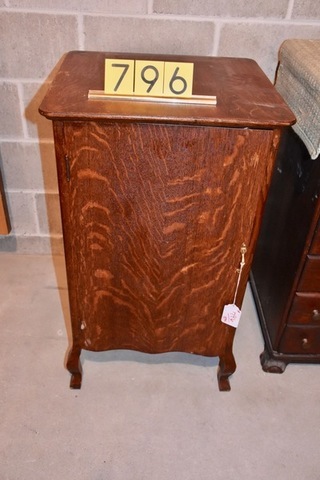 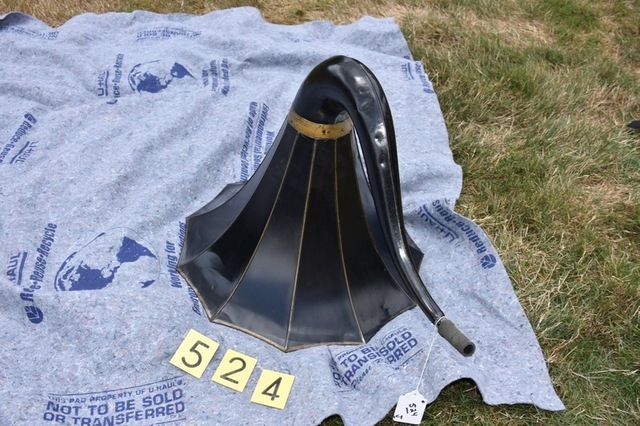 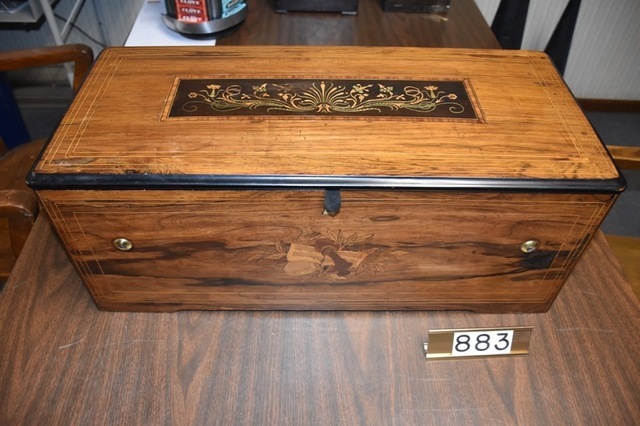 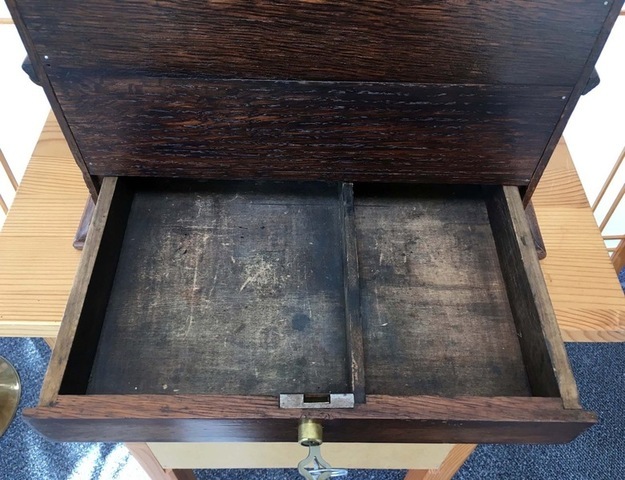 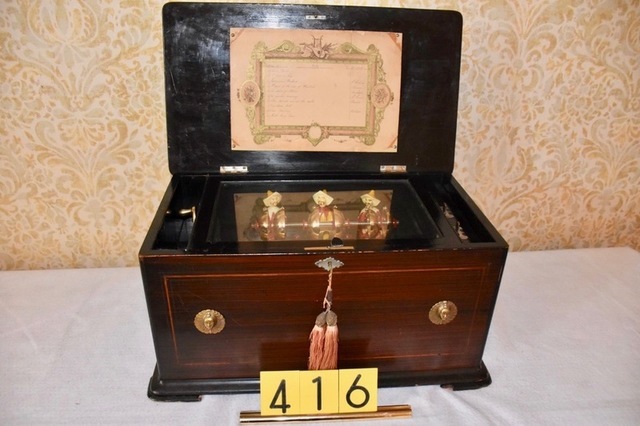 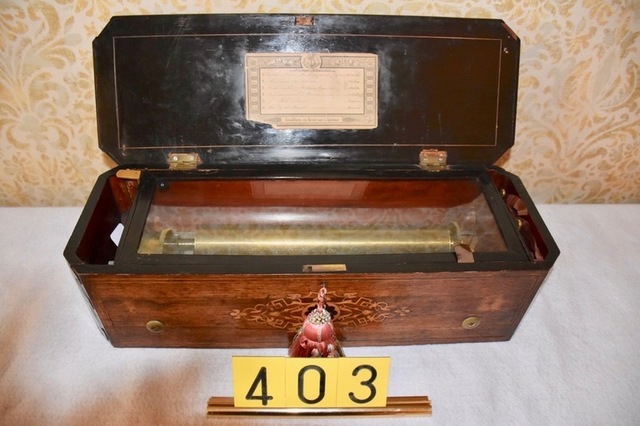 MAKE SURE YOU TAKE TIME TO LOOK AT THE PICTURES OF THE ITEMS THAT ARE NOT LISTED IN THE CATALOG, BUT ARE PICTURED UNDER THE ADDENDUM LOTS ON THE PHOTO GALLERIES. 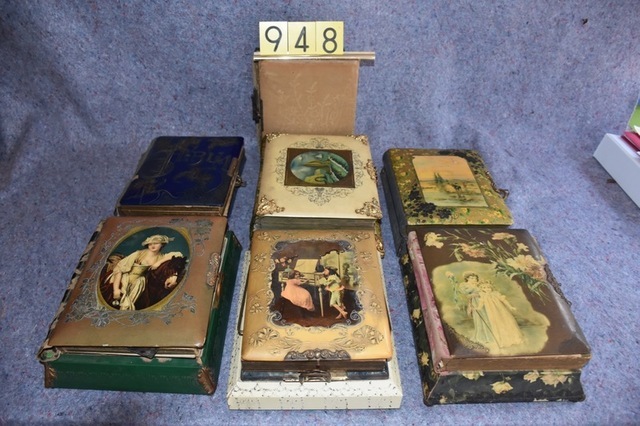 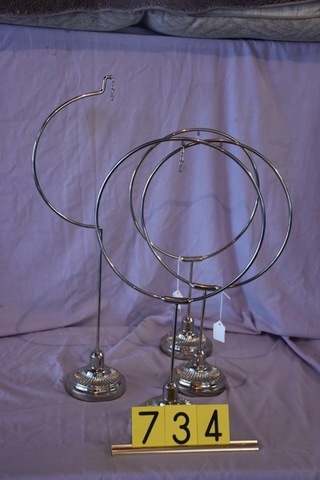 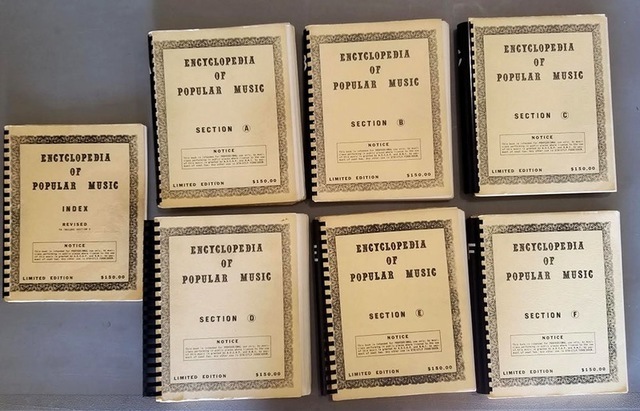 THEY WILL BE CATALOGED AND SOLD DURING OUR THREE DAY EVENT. 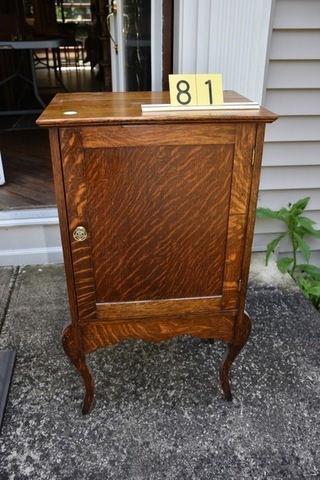 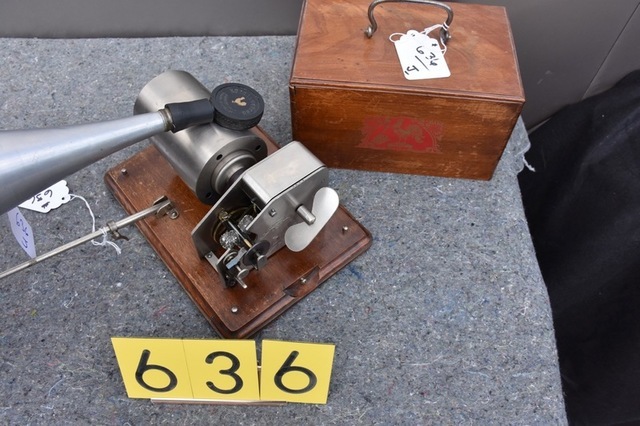 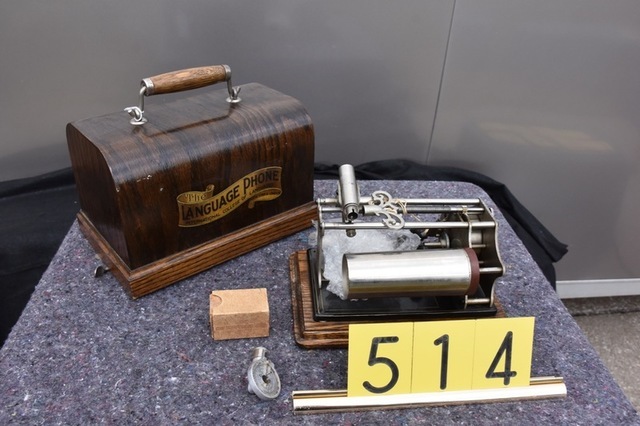 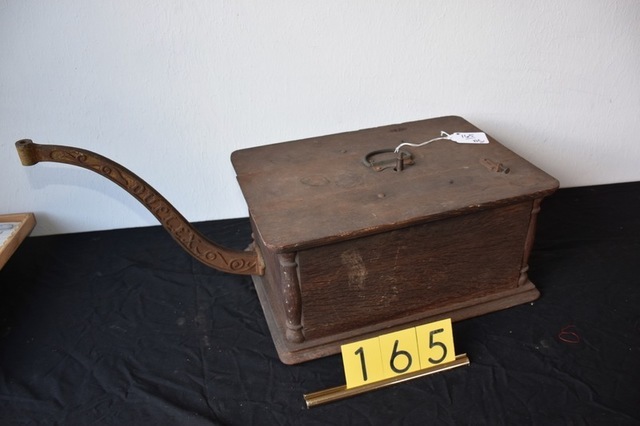 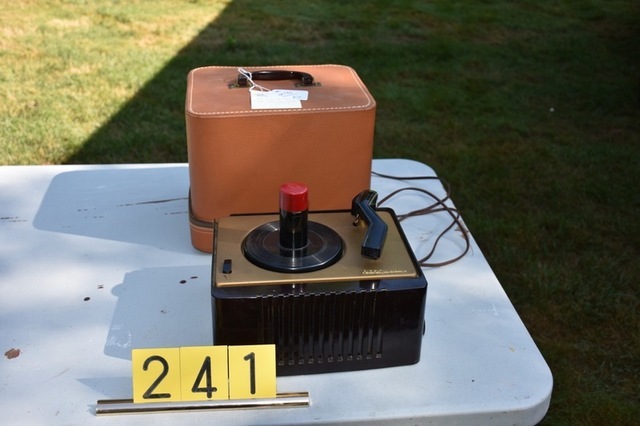 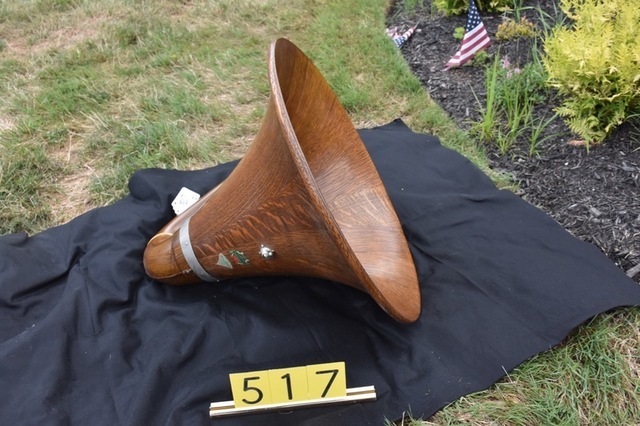 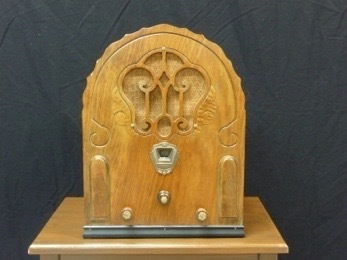 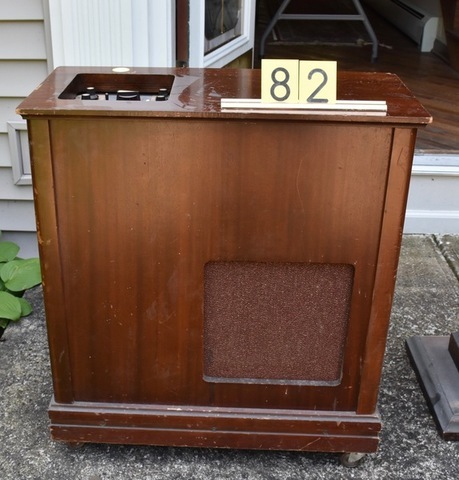 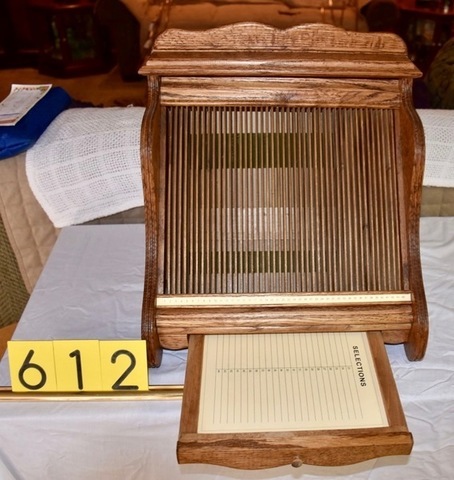 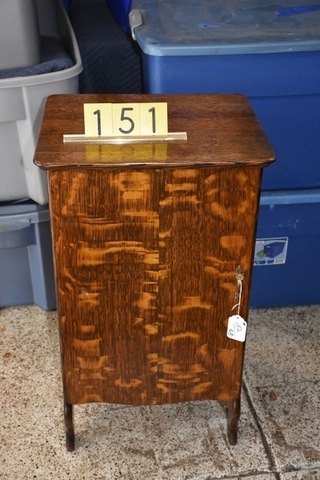 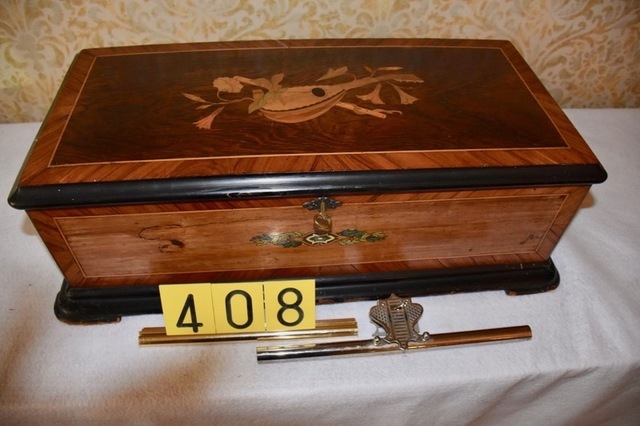 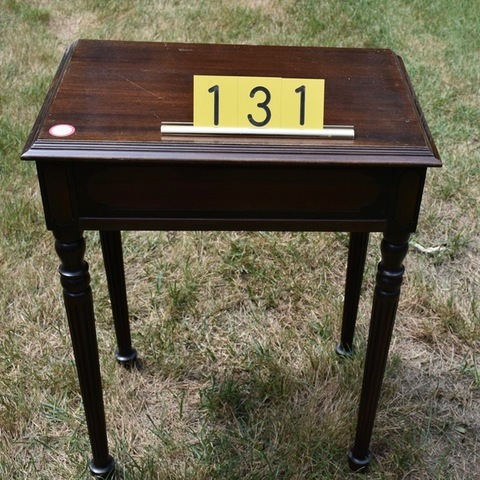 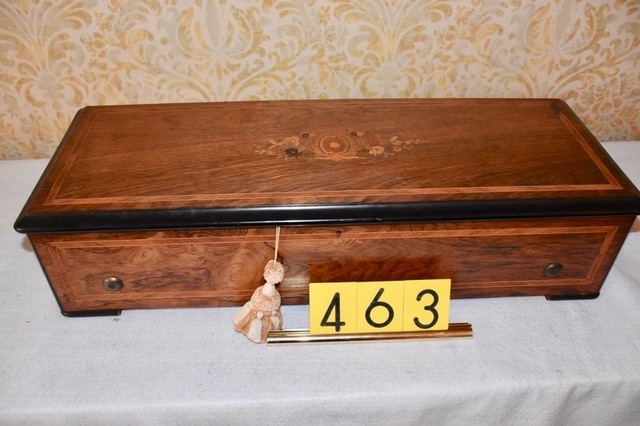 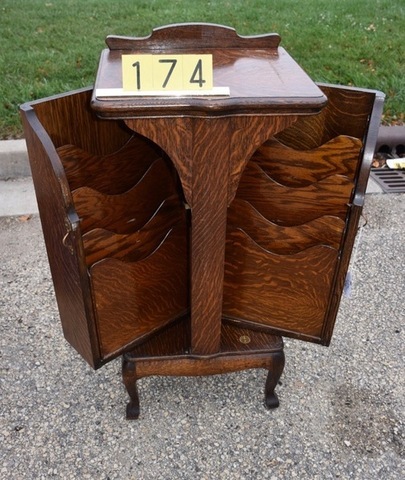 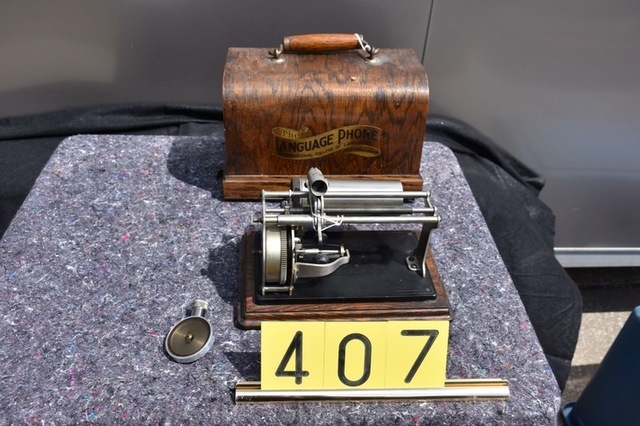 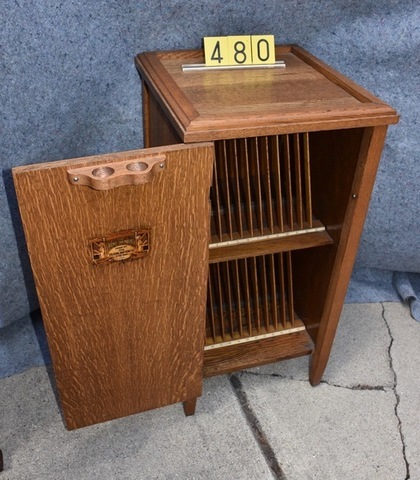 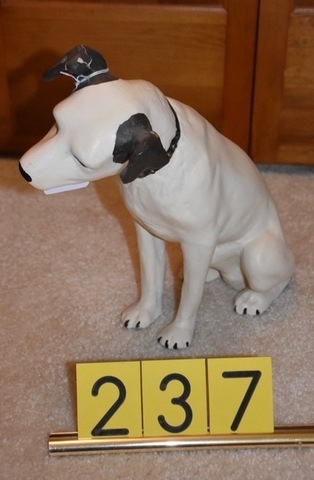 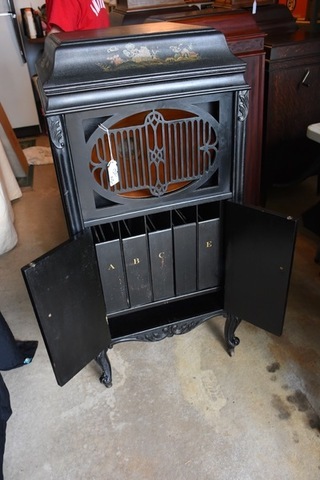 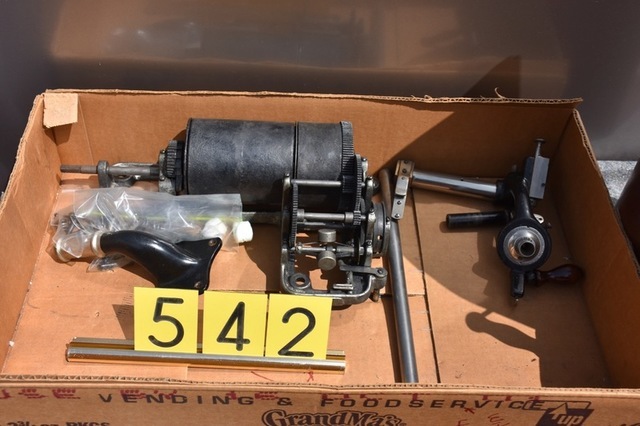 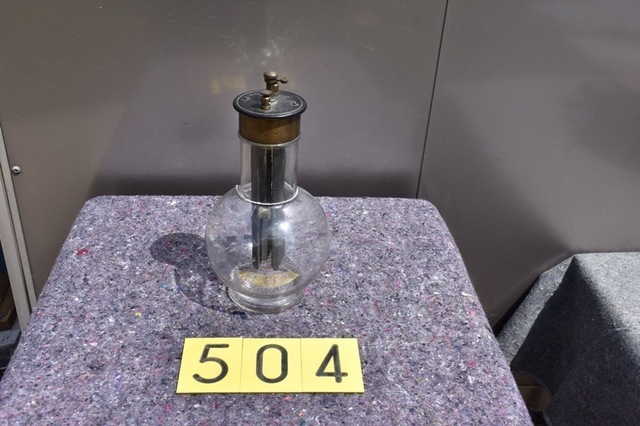 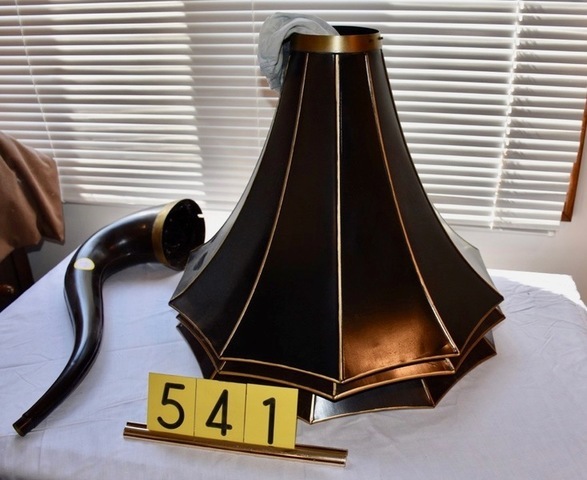 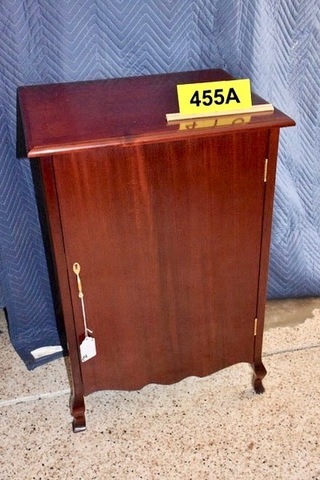 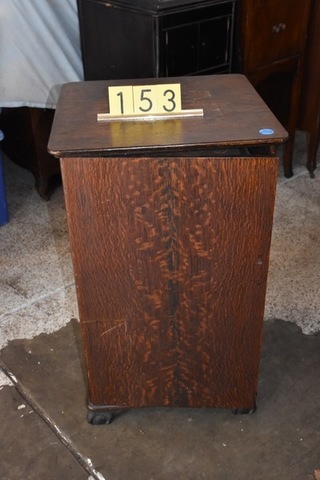 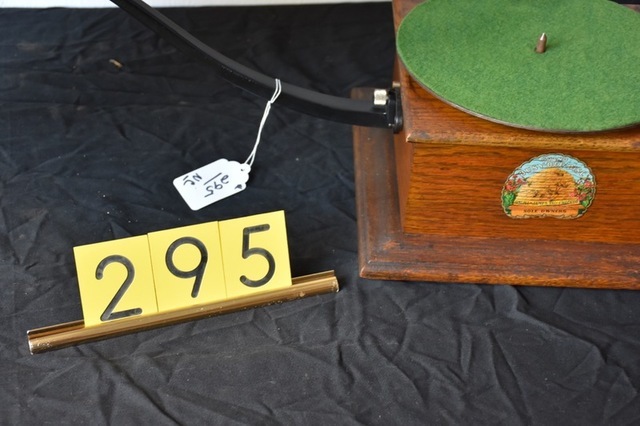 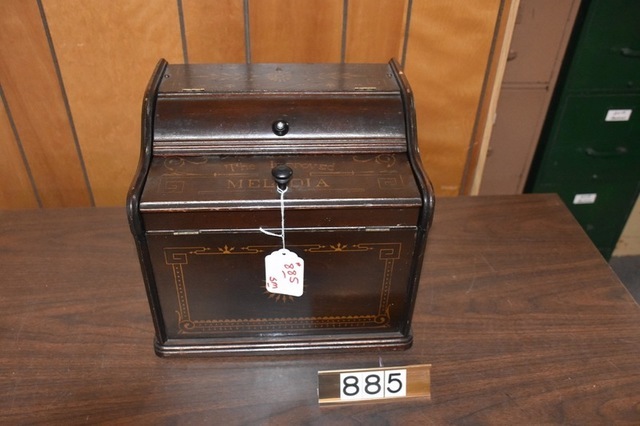 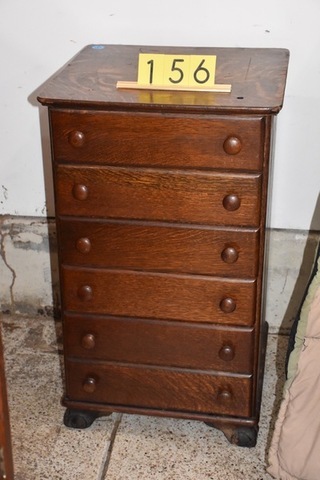 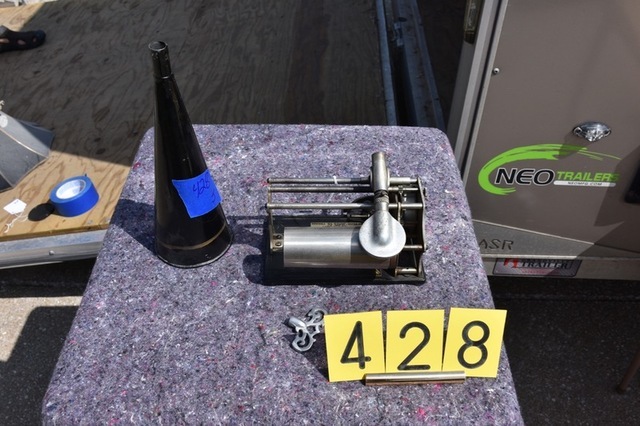 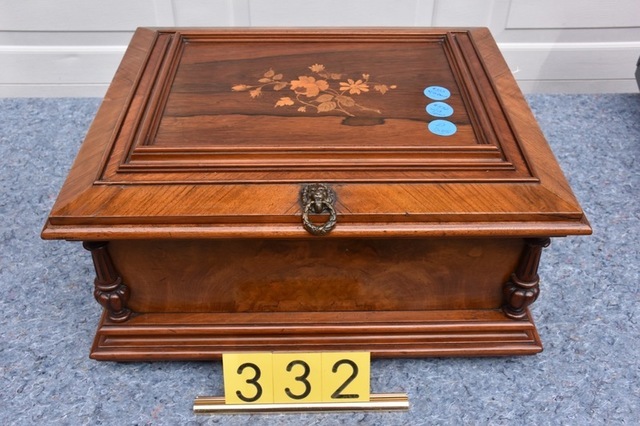 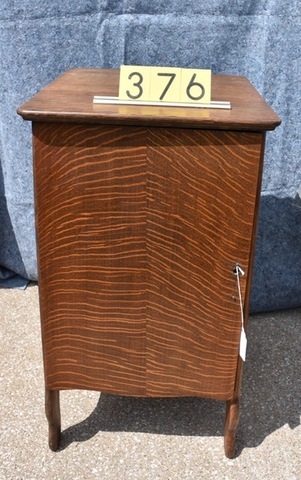 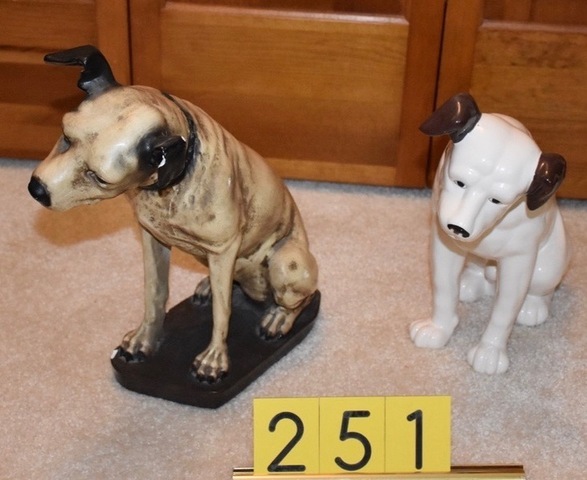 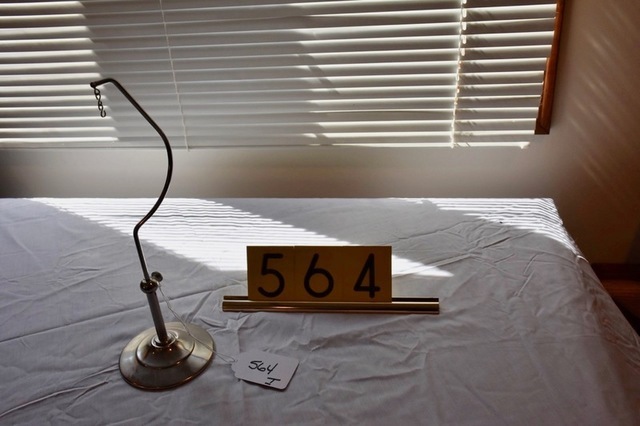 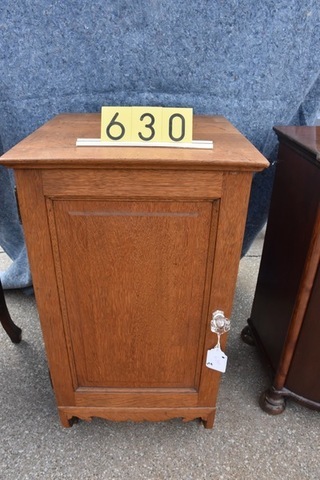 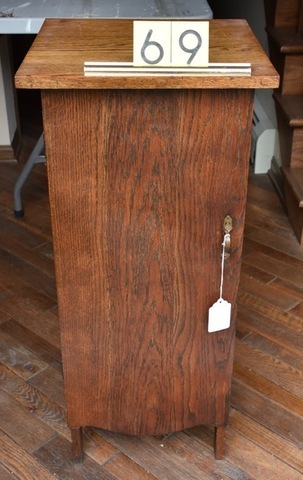 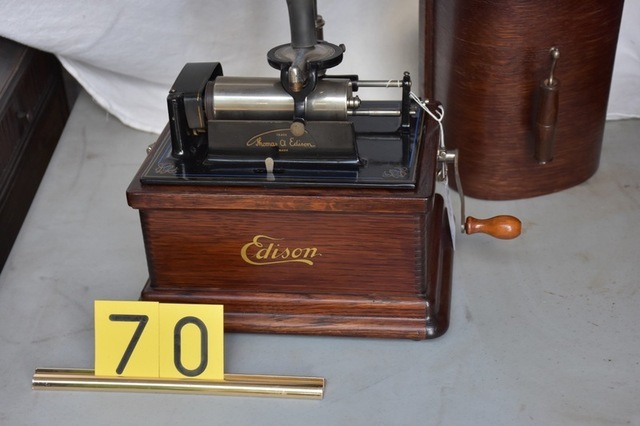 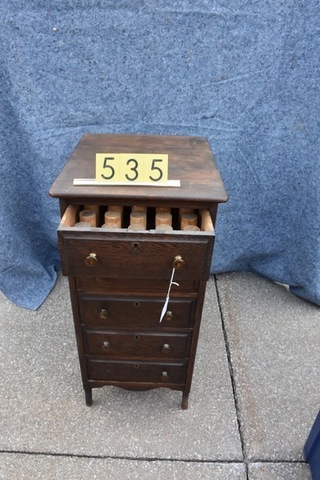 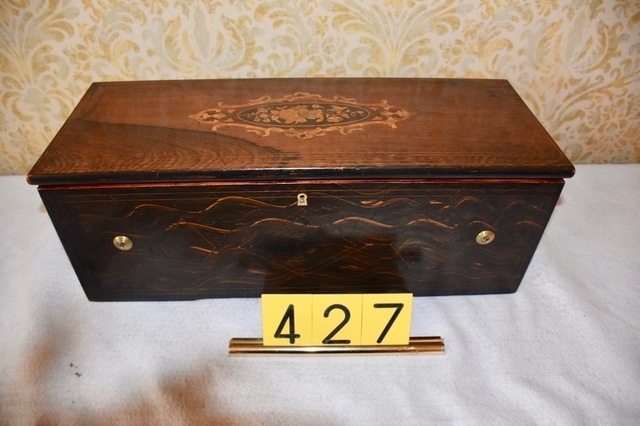 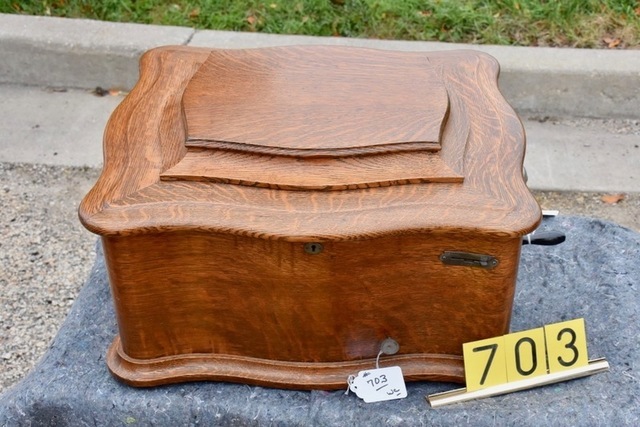 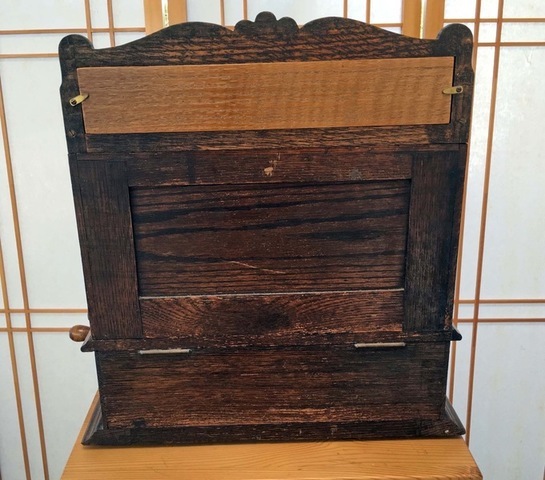 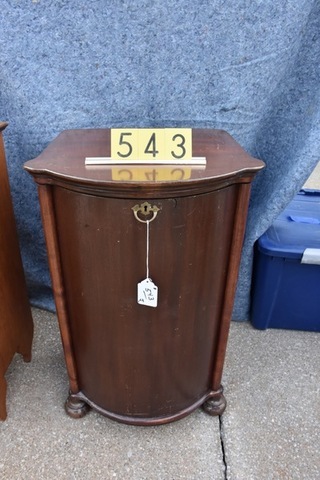 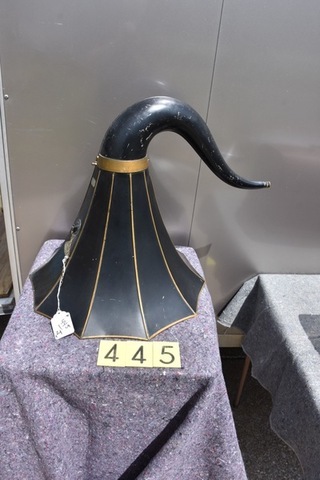 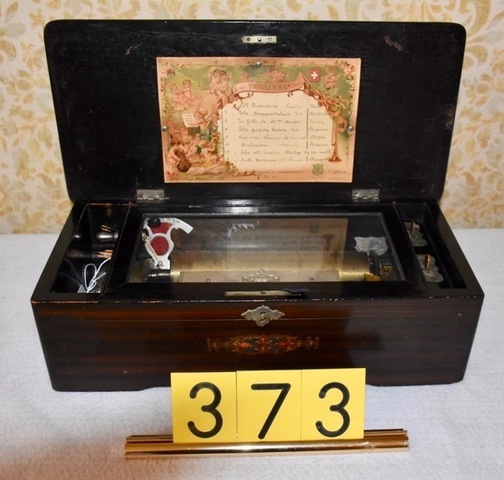 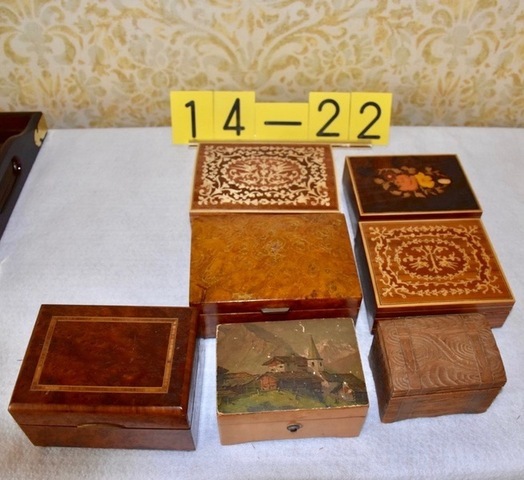 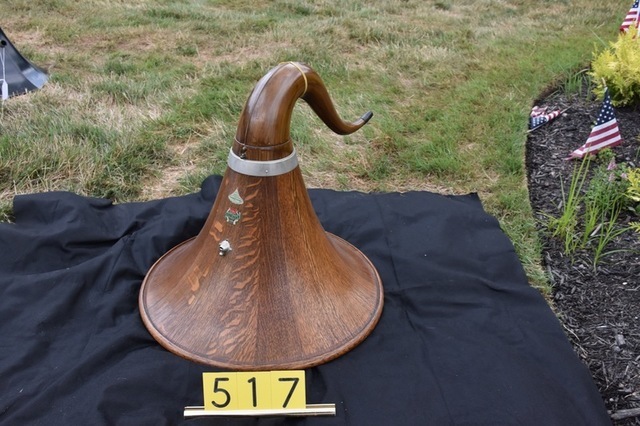 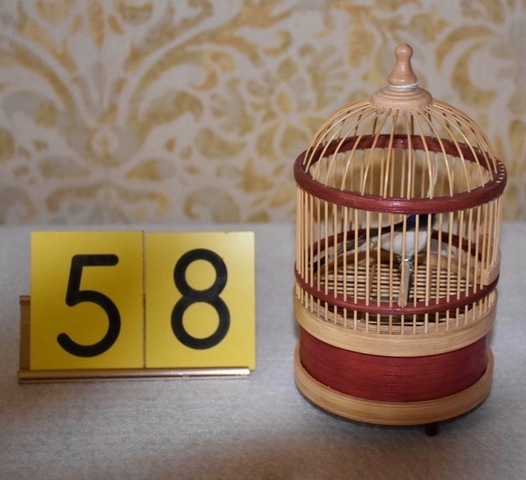 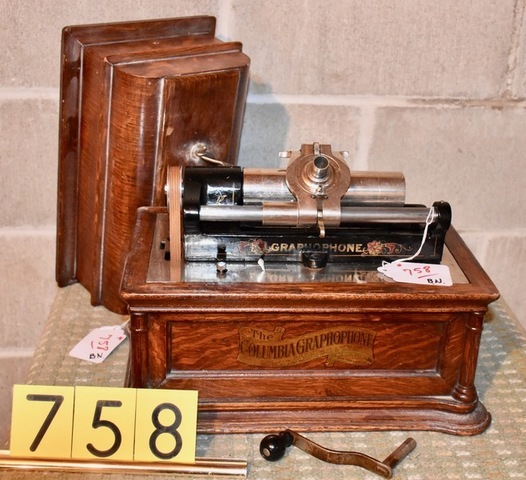 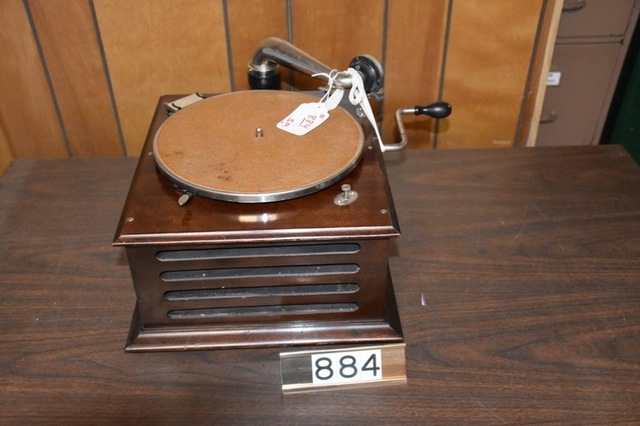 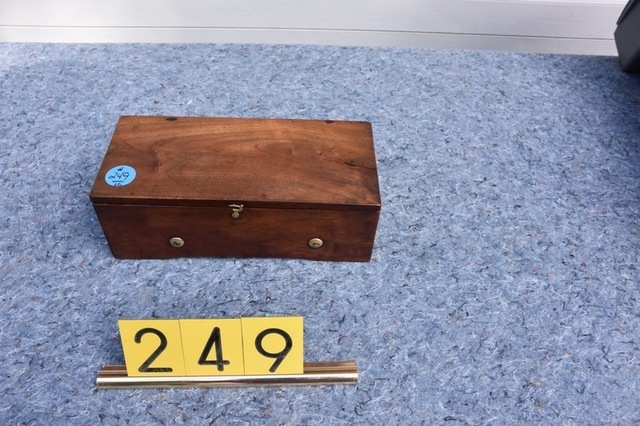 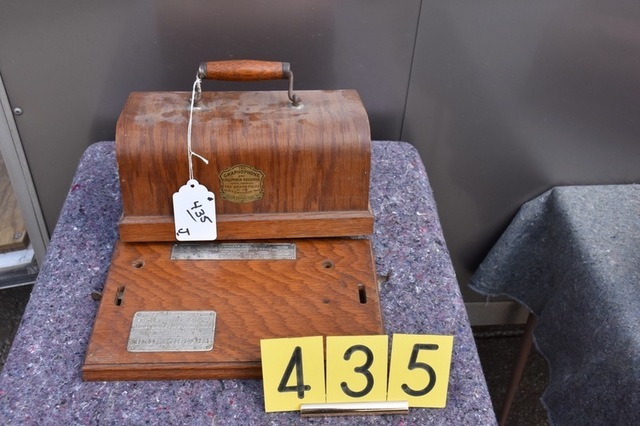 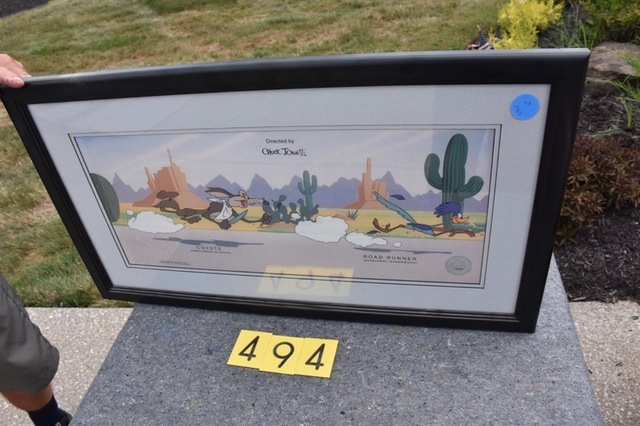 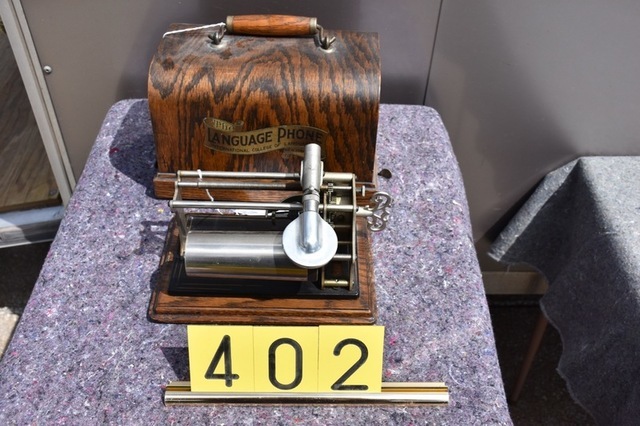 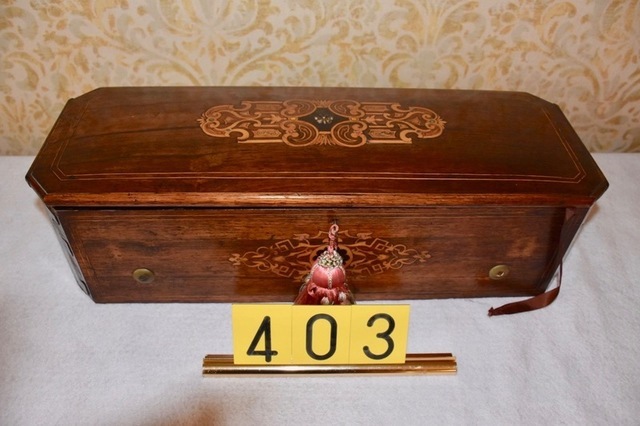 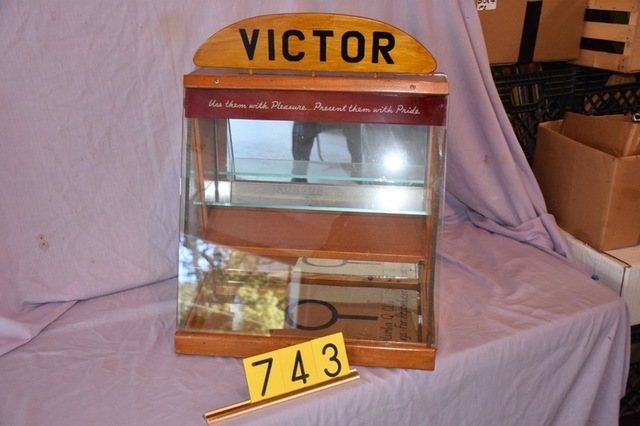 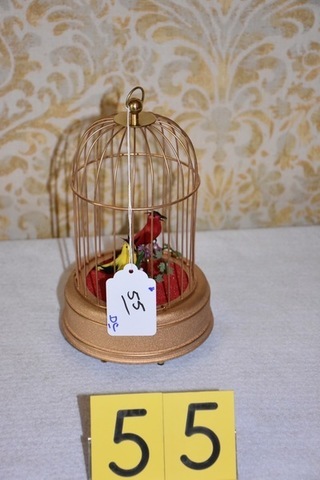 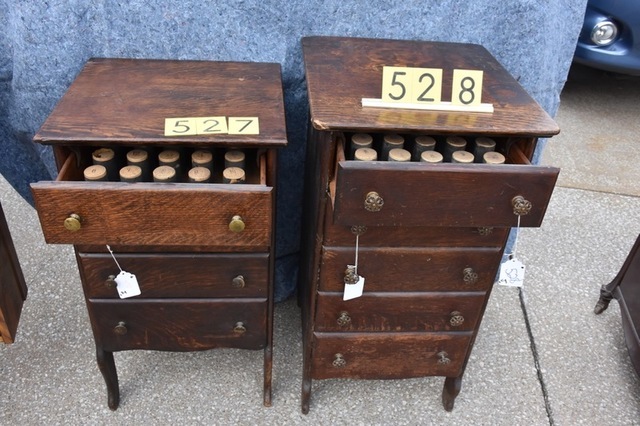 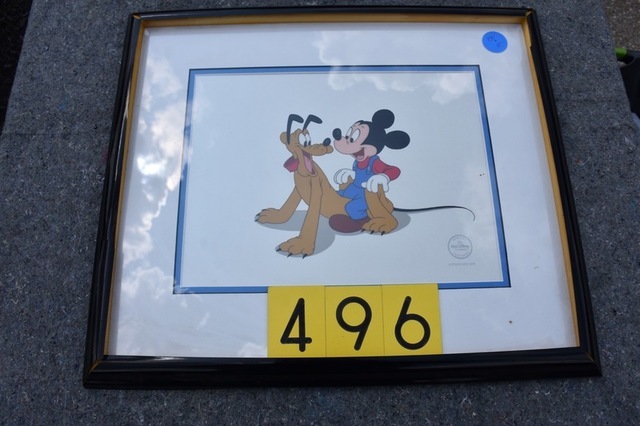 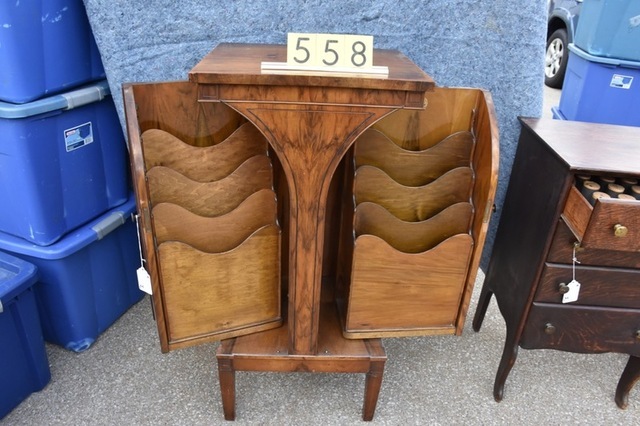 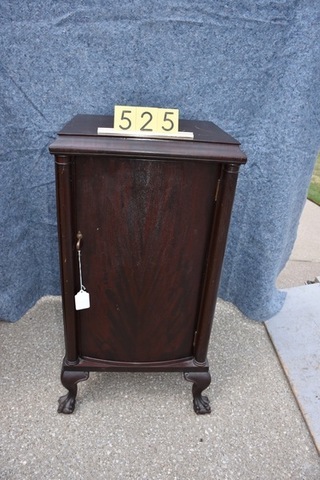 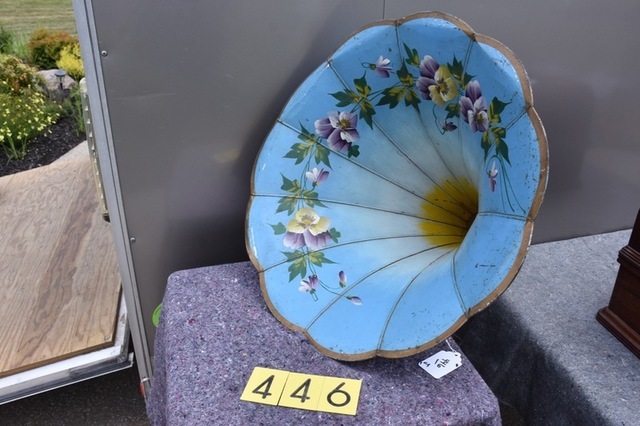 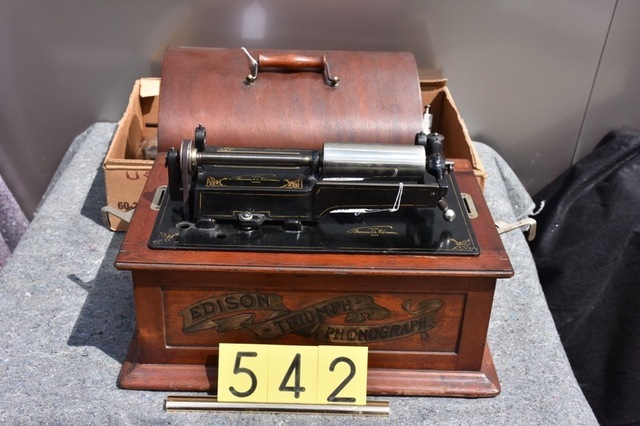 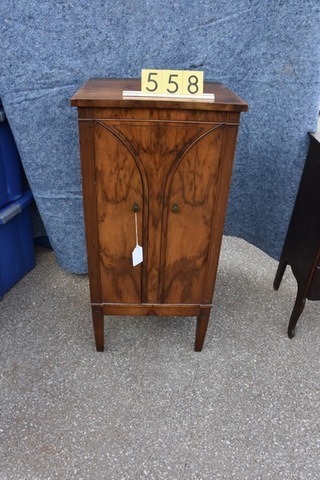 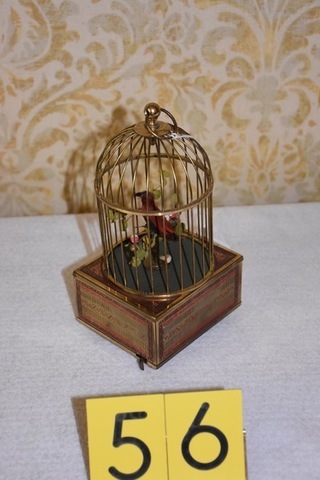 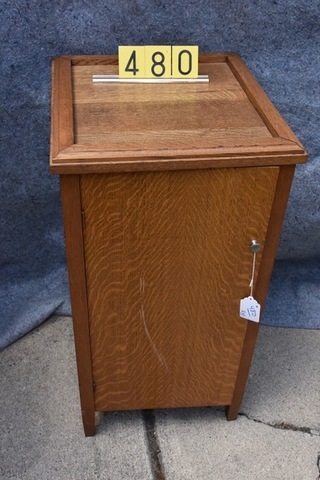 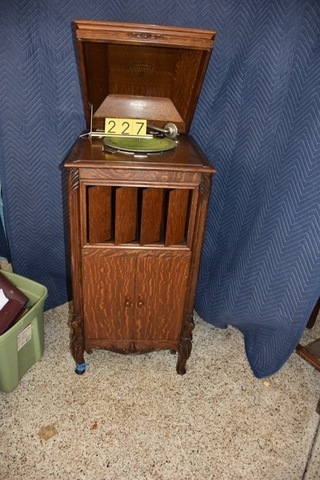 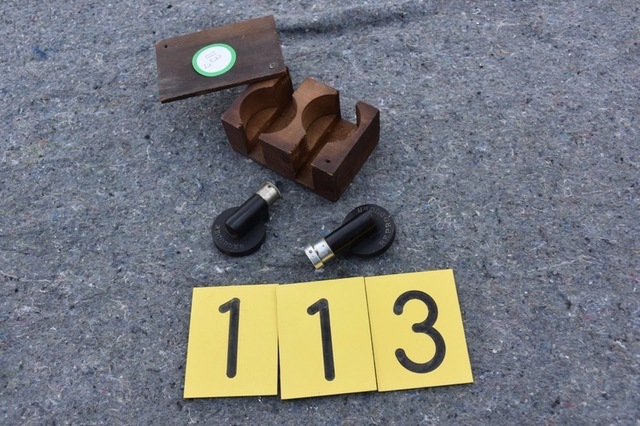 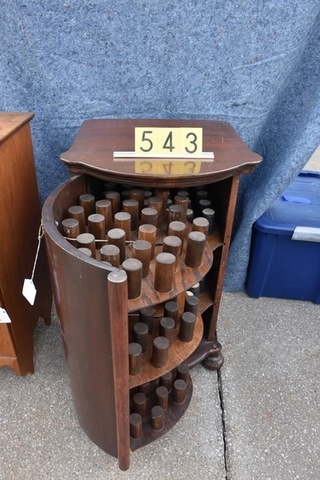 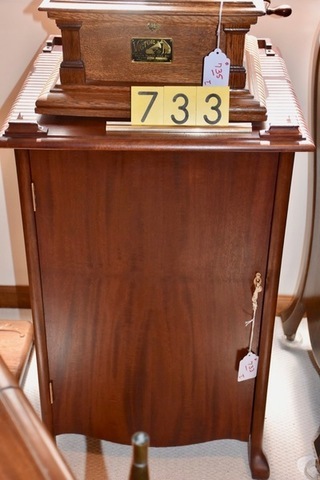 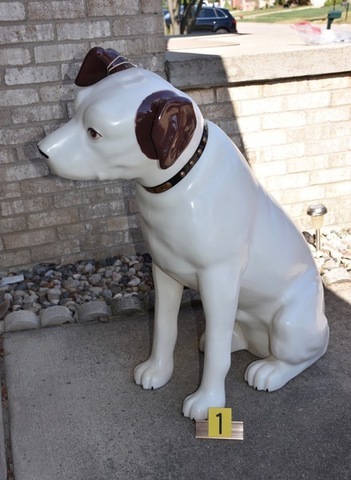 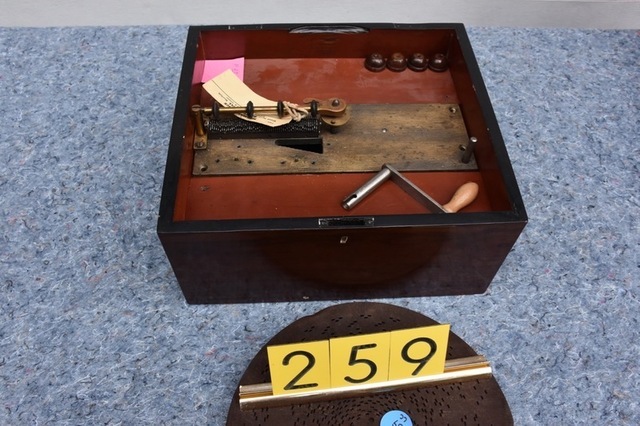 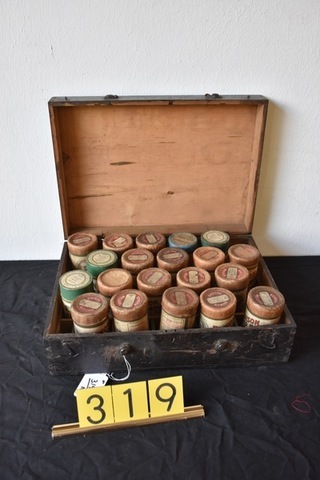 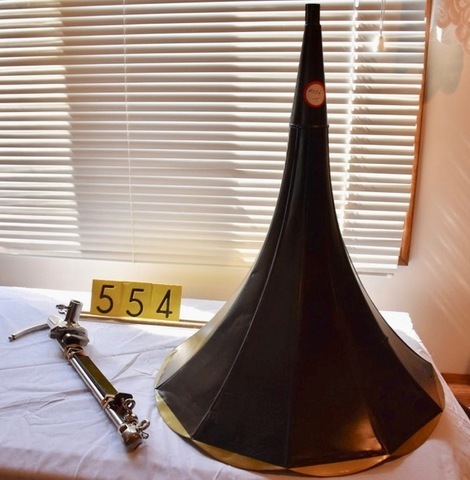 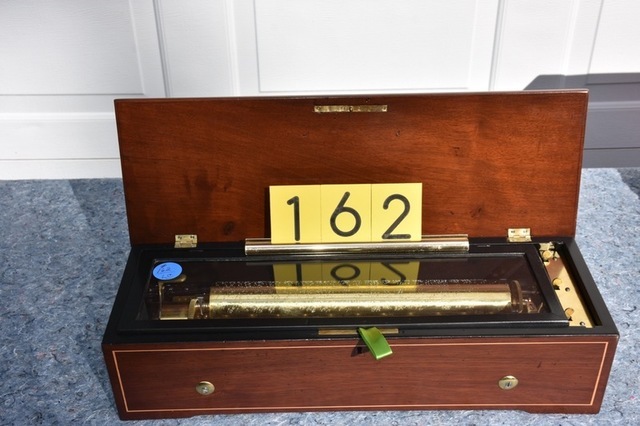 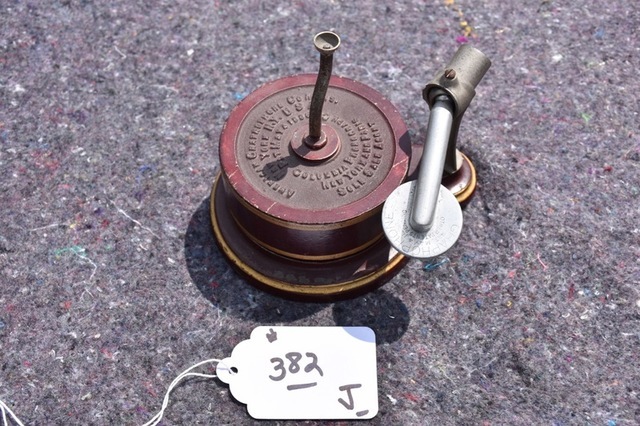 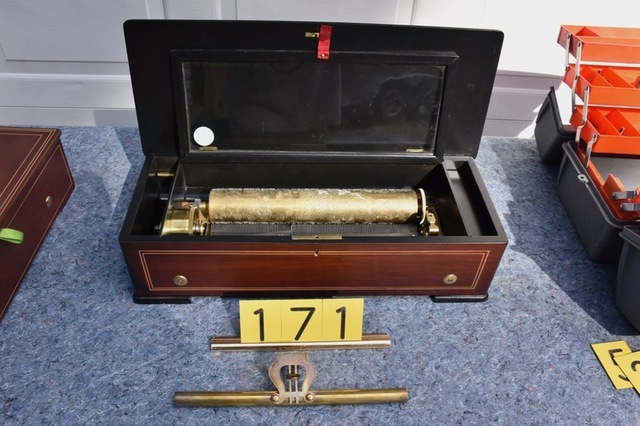 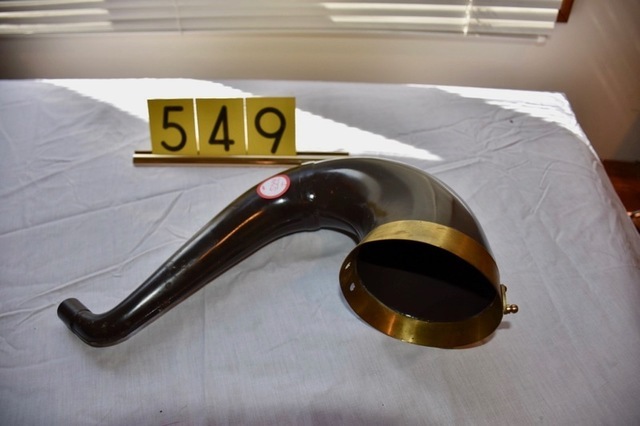 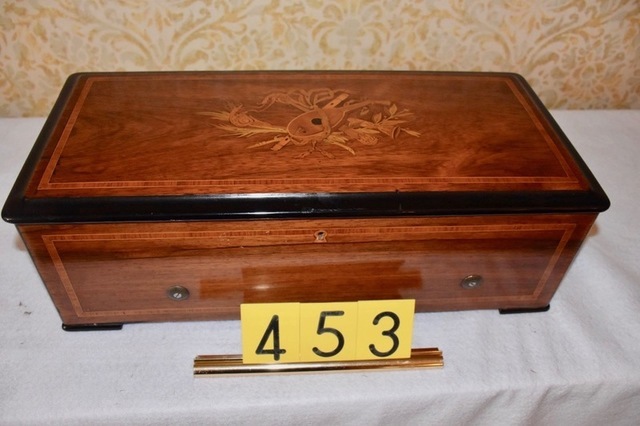 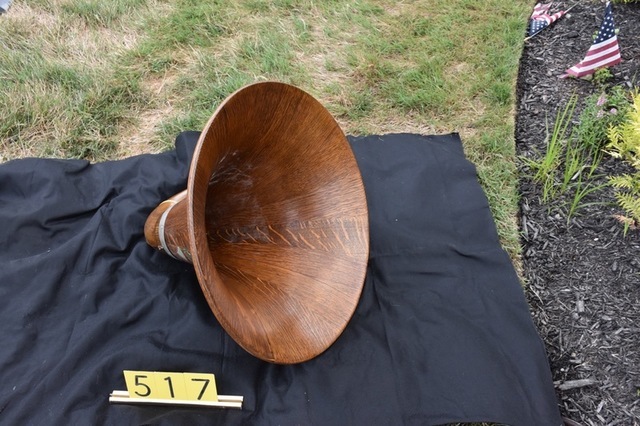 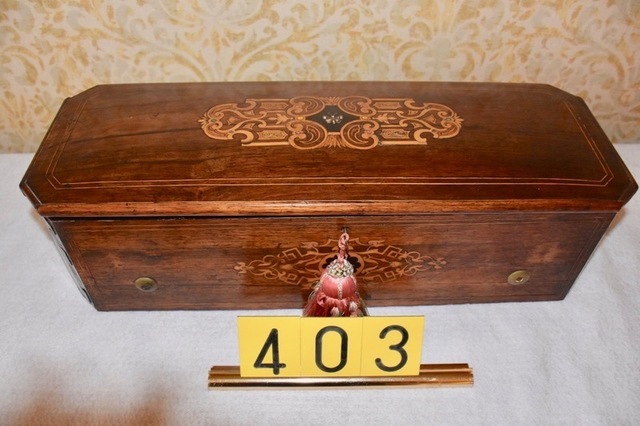 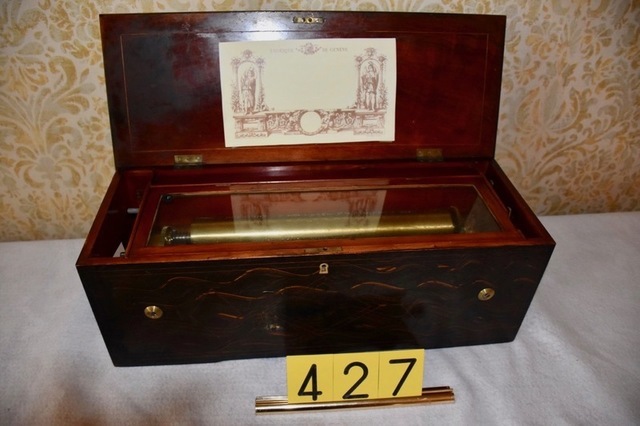 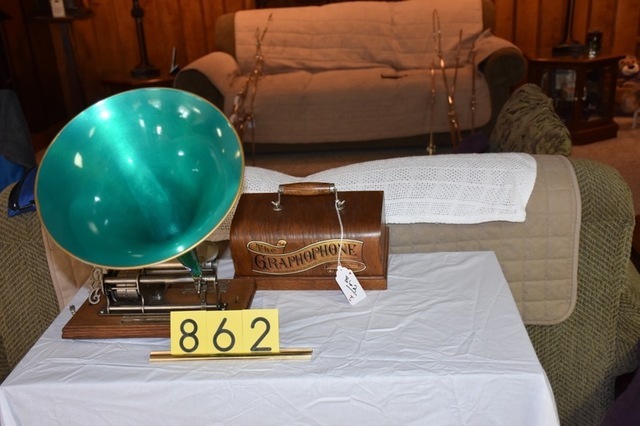 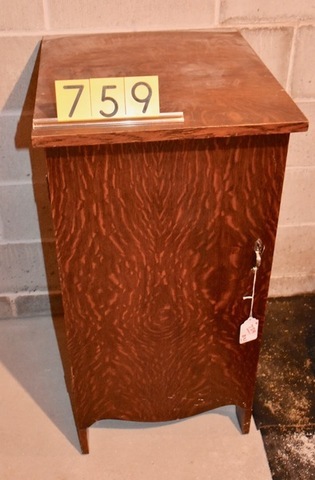 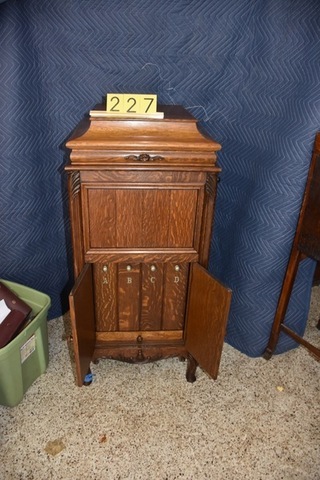 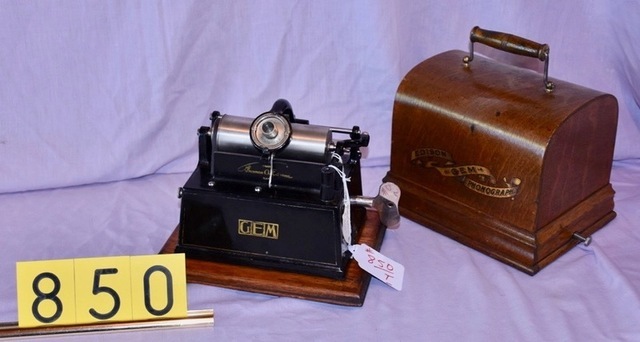 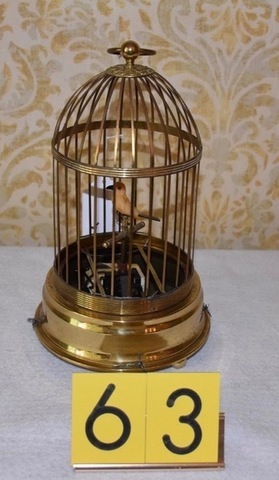 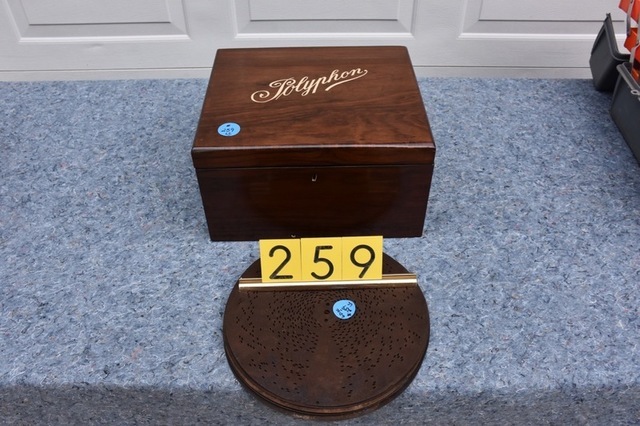 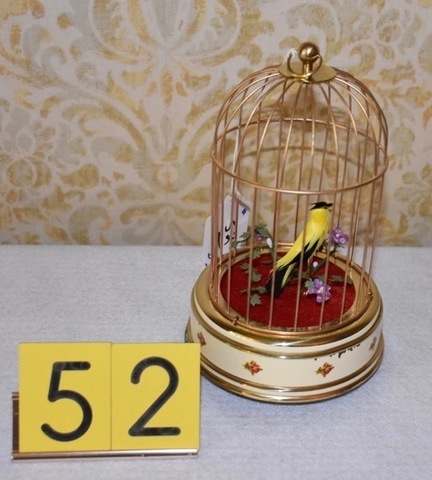 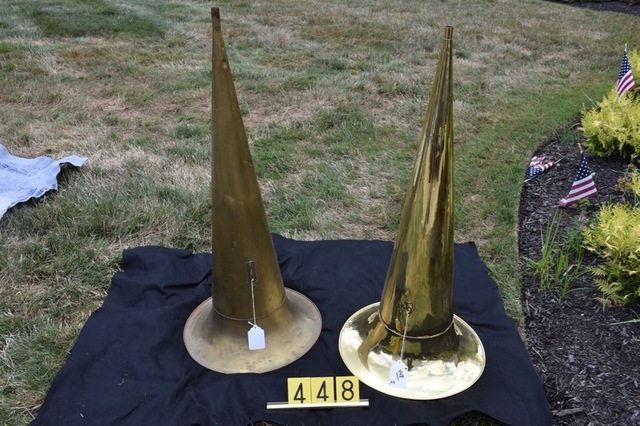 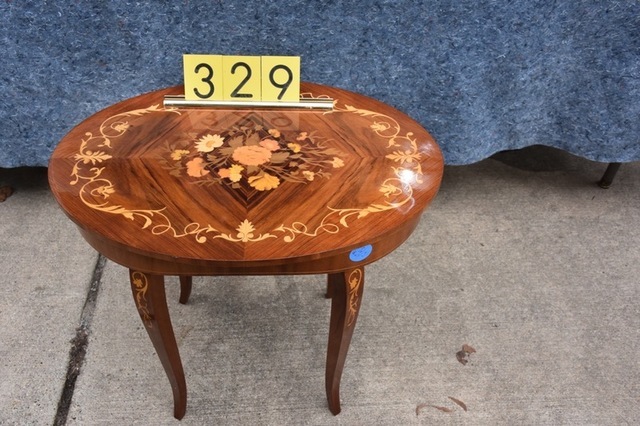 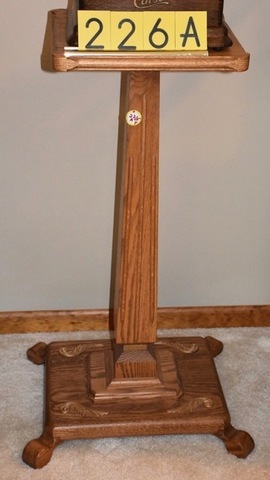 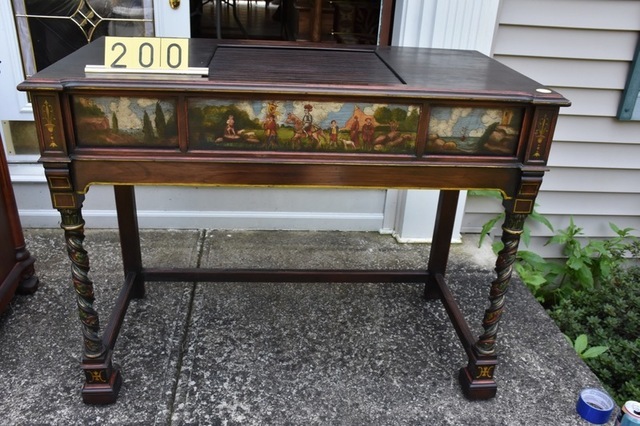 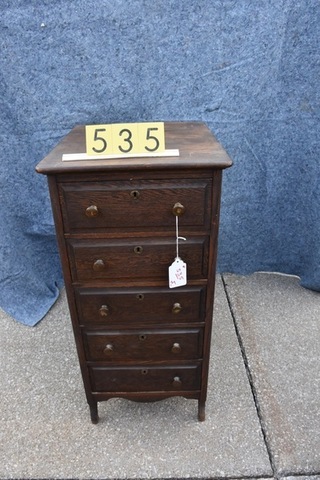 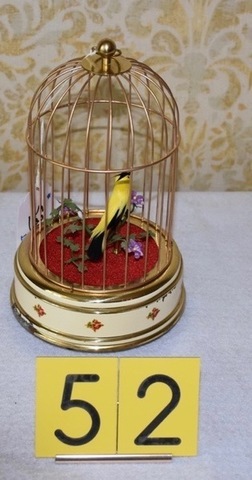 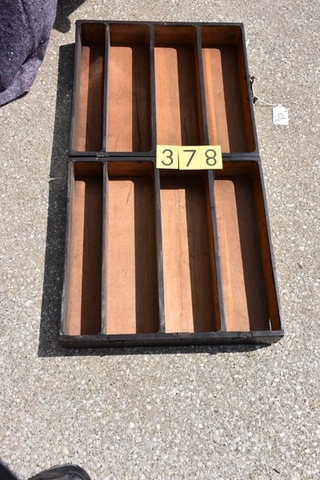 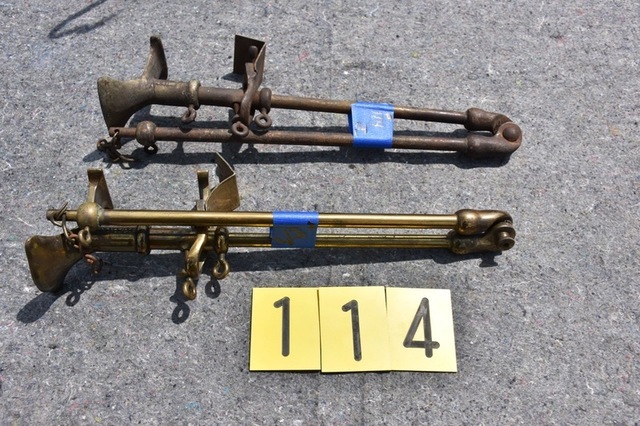 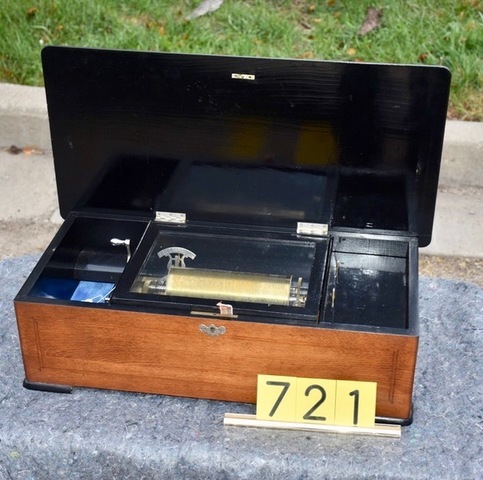 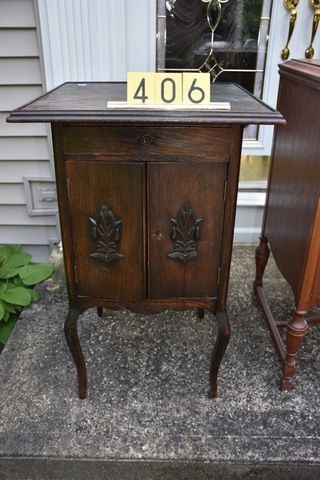 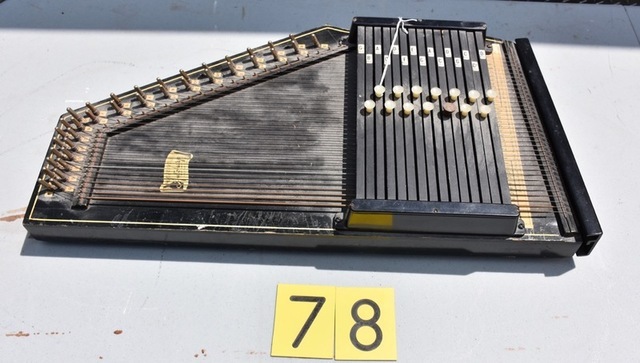 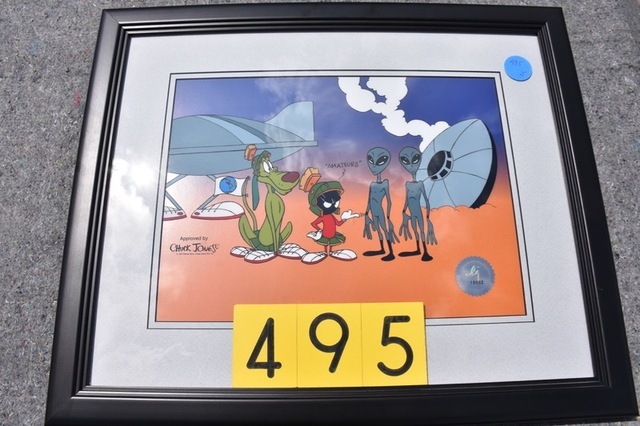 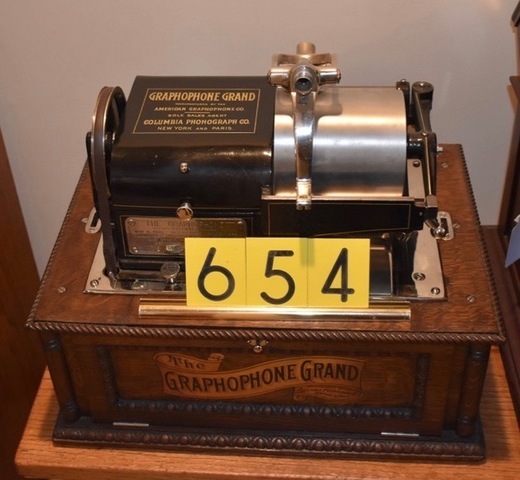 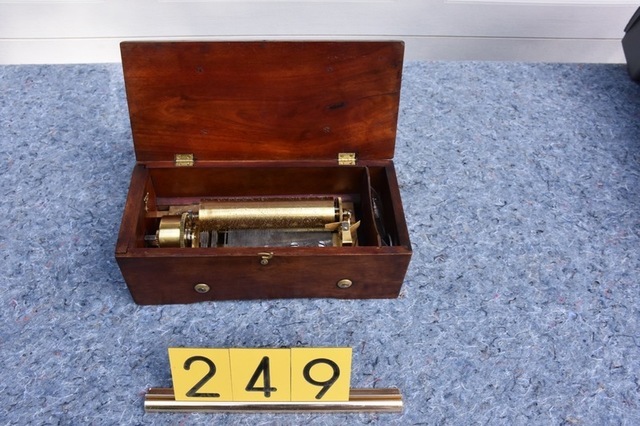 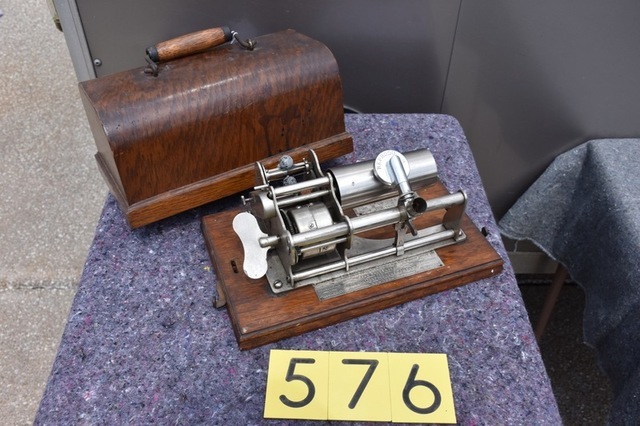 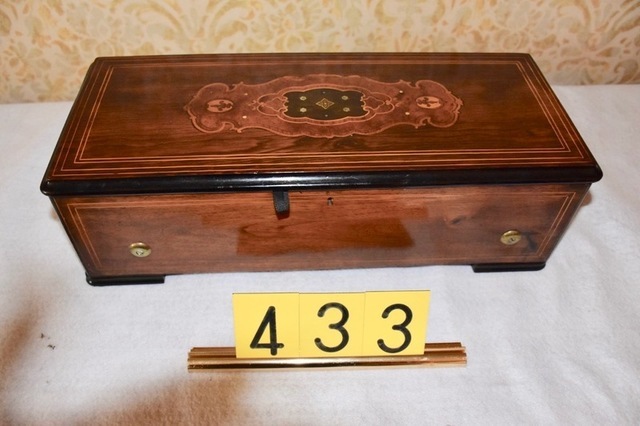 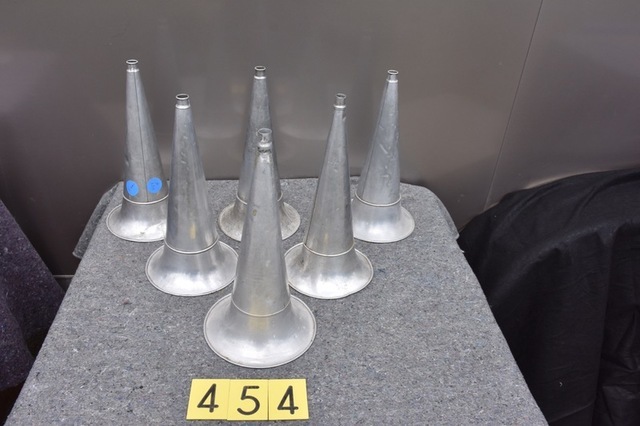 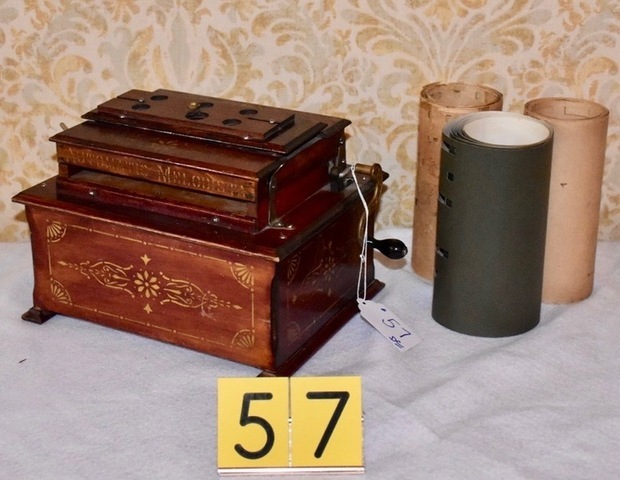 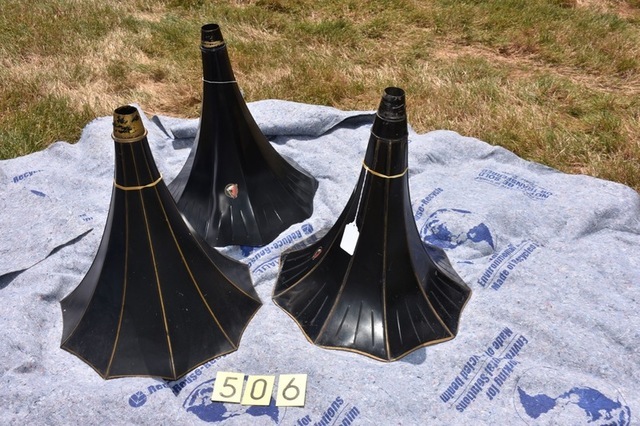 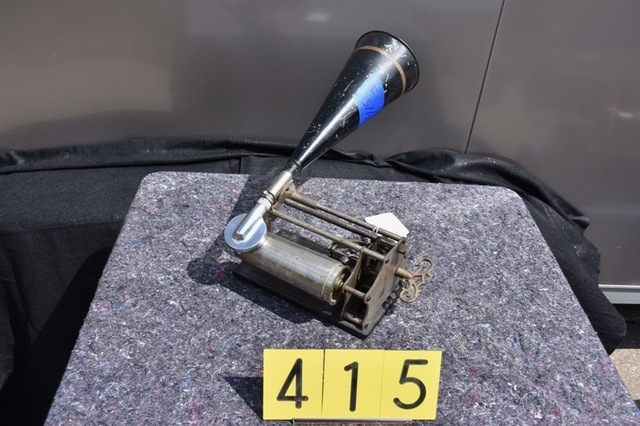 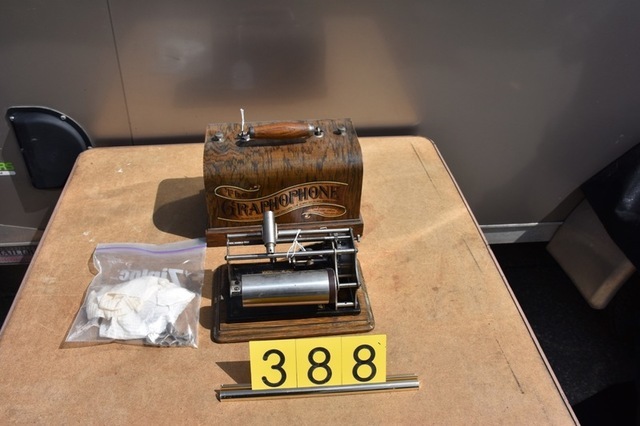 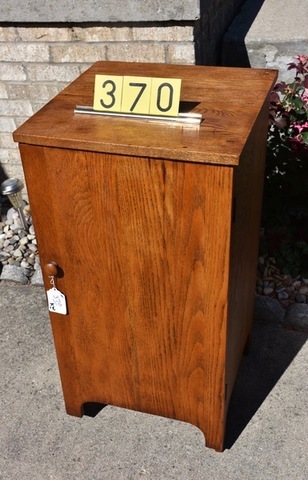 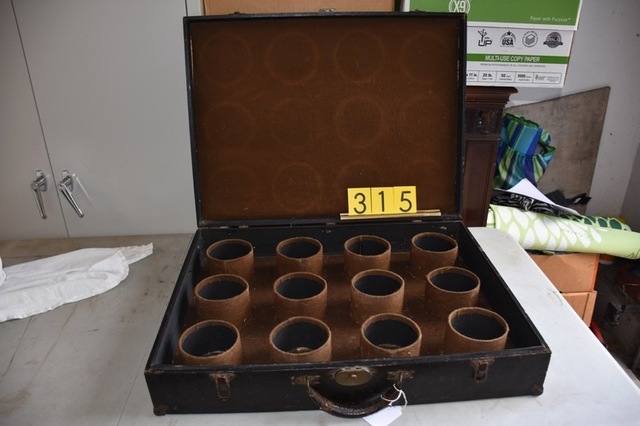 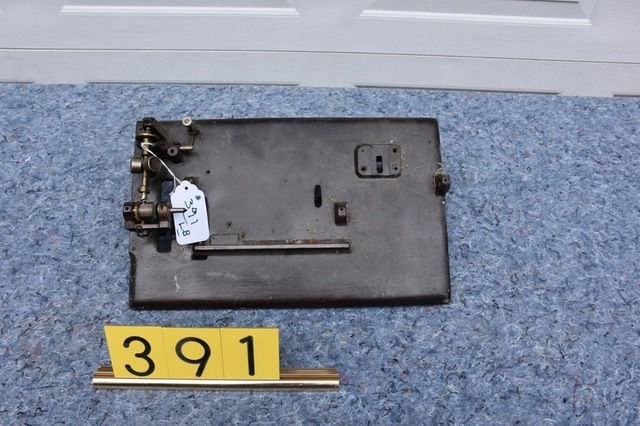 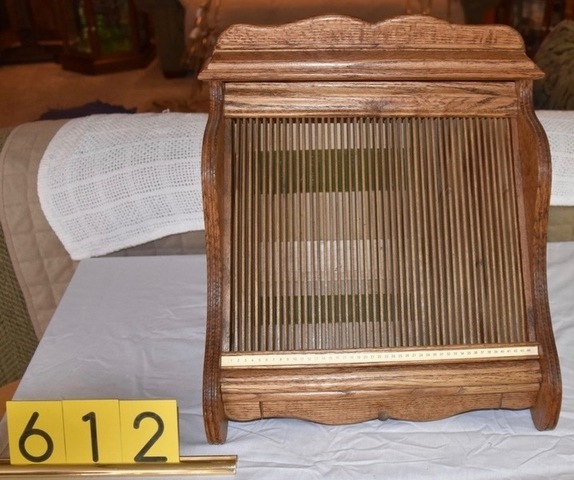 ‹ HUGE PUBLIC AUCTION, Sat. 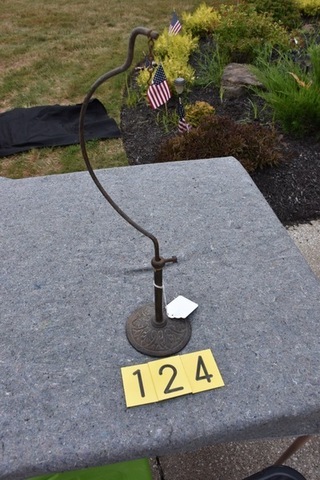 Morning, June 23rd @ 9:30 A.M.